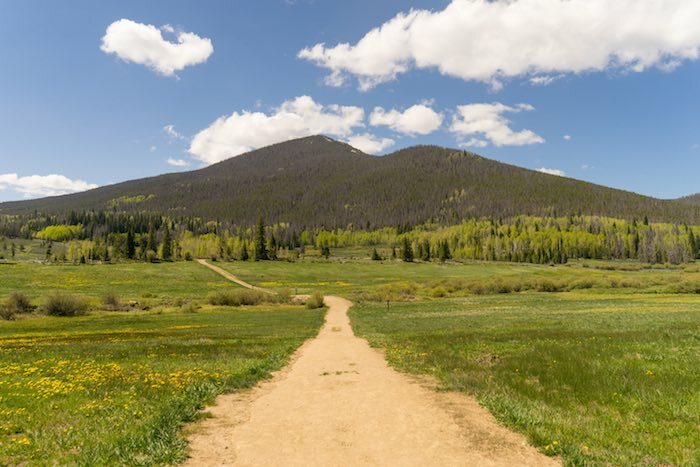 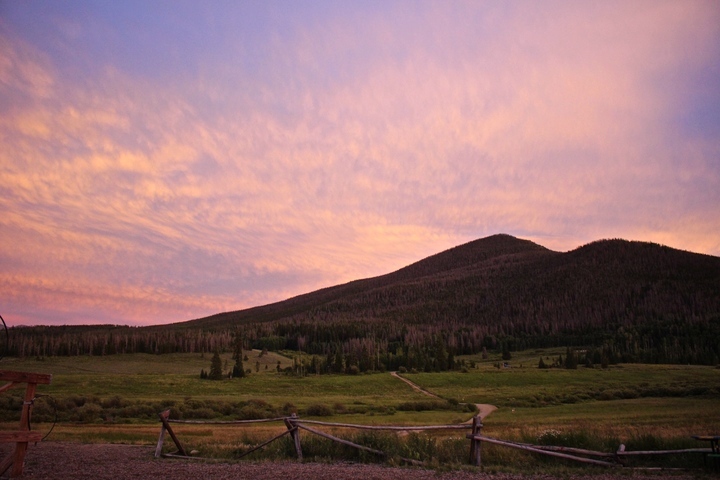 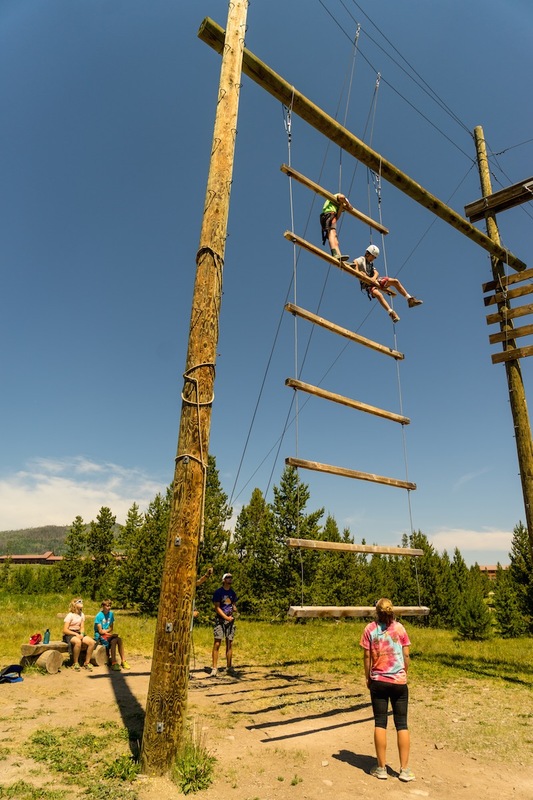 Looking for an incredible experience this summer in the Colorado Rockies? 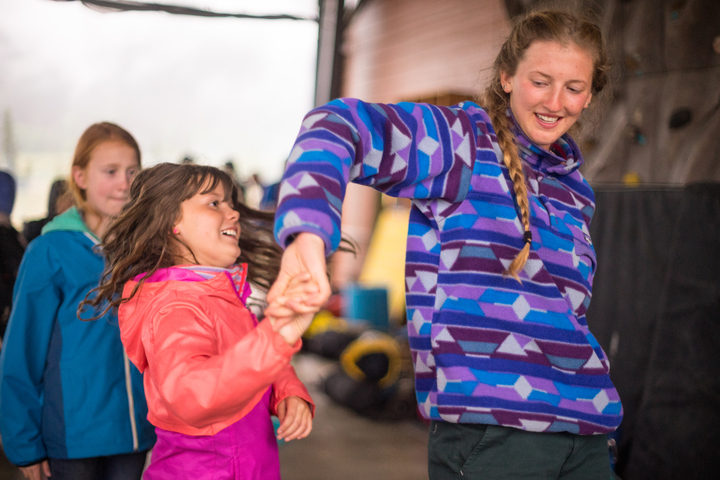 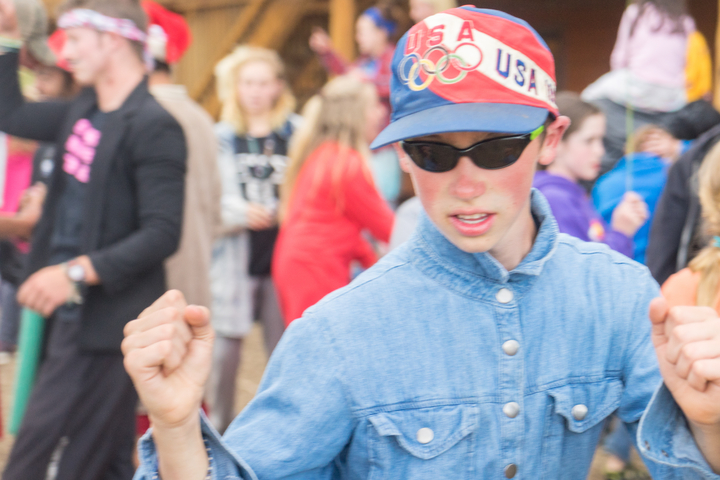 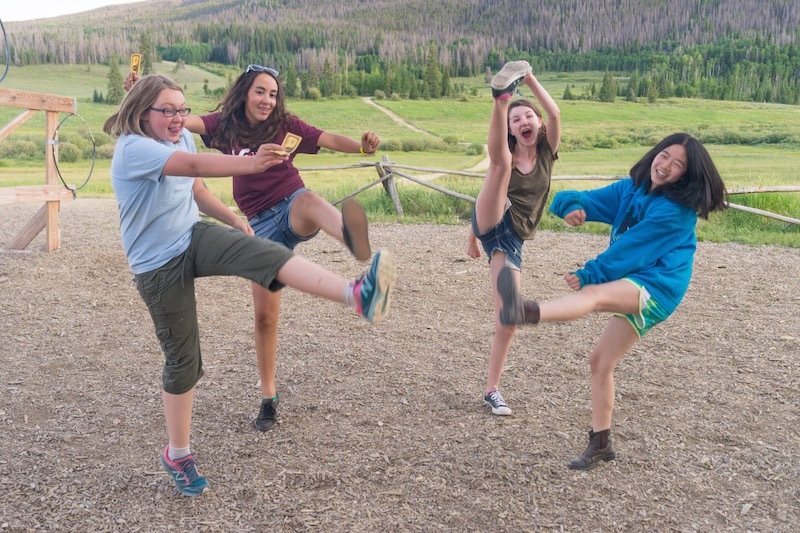 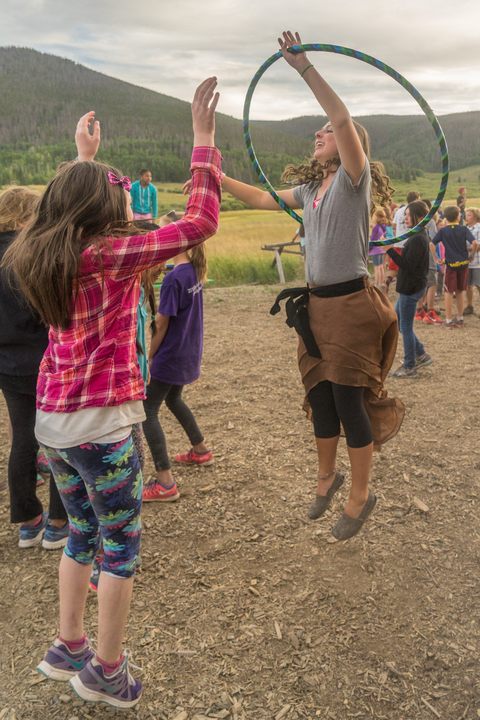 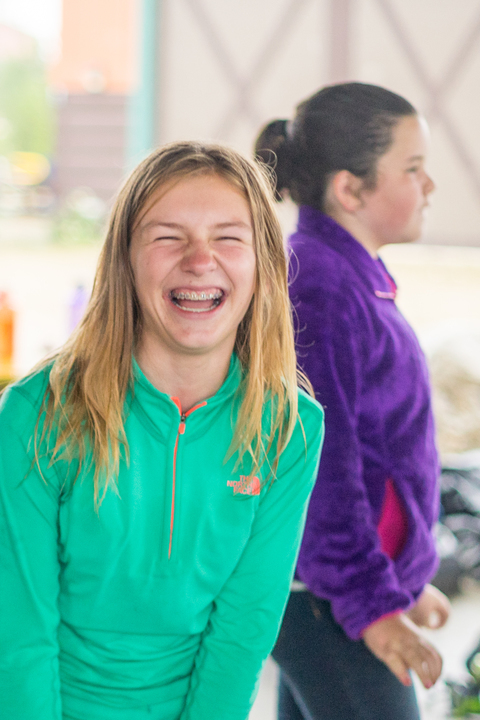 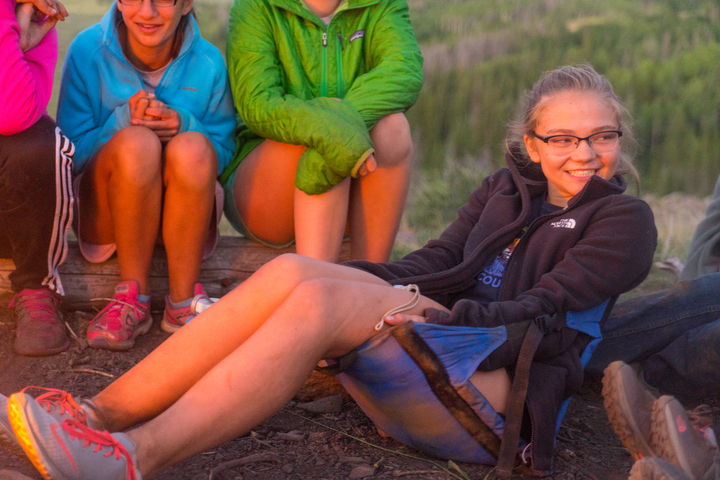 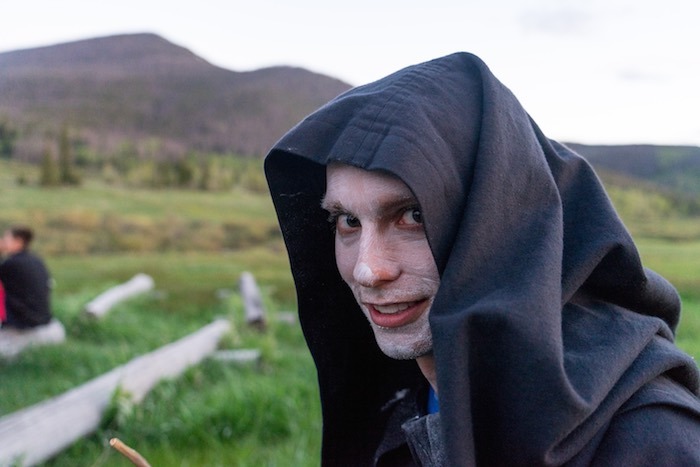 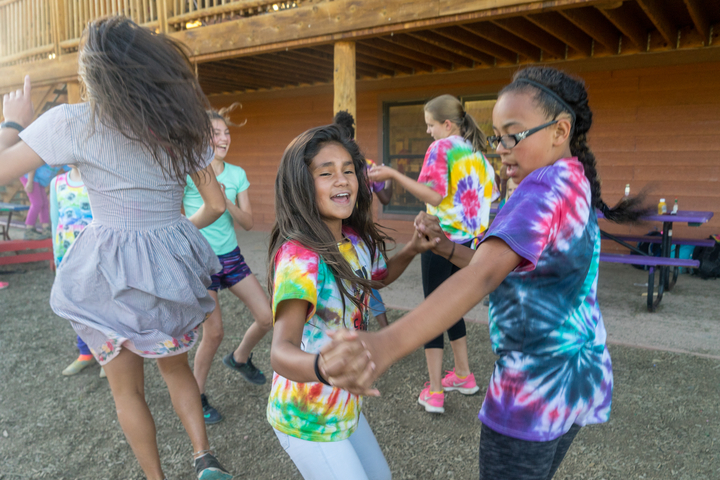 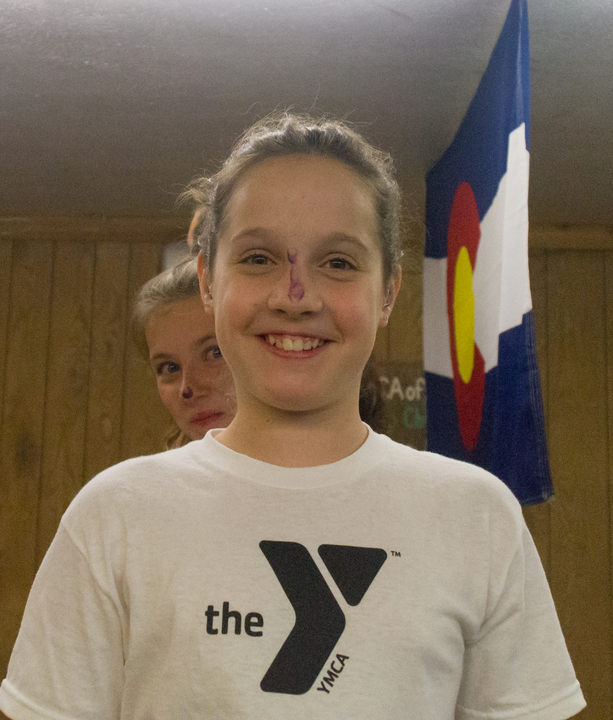 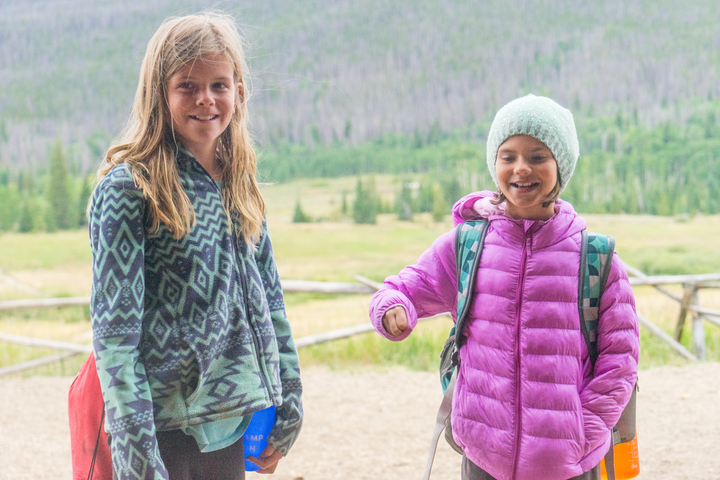 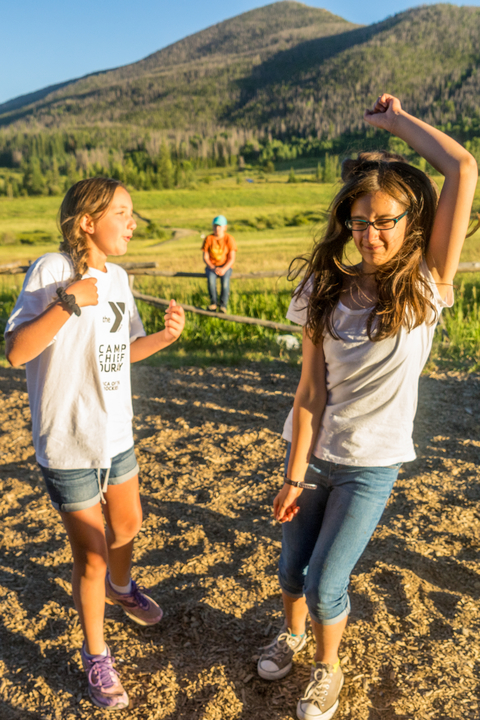 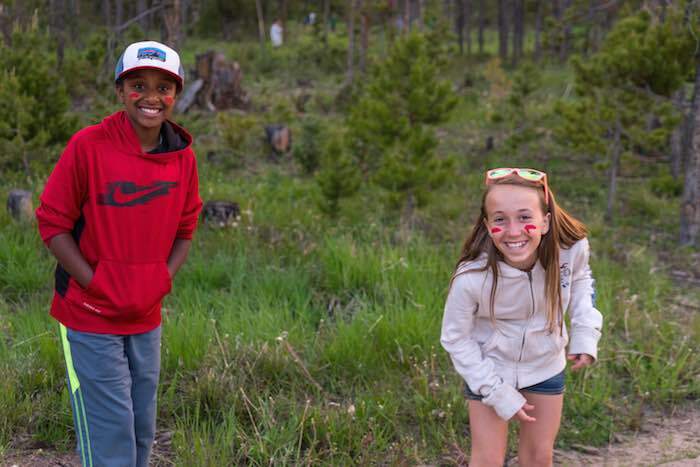 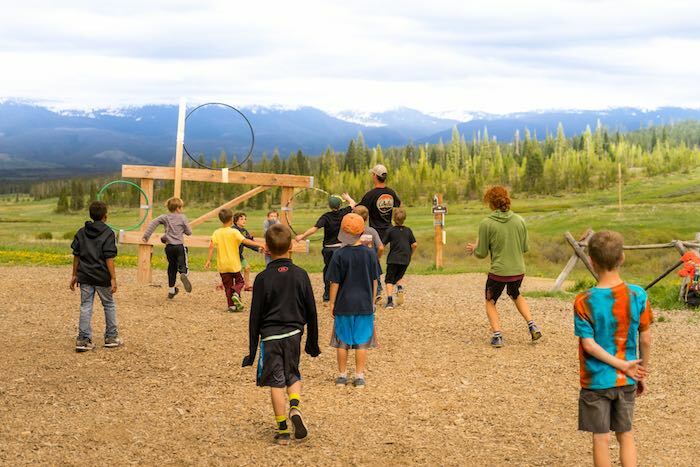 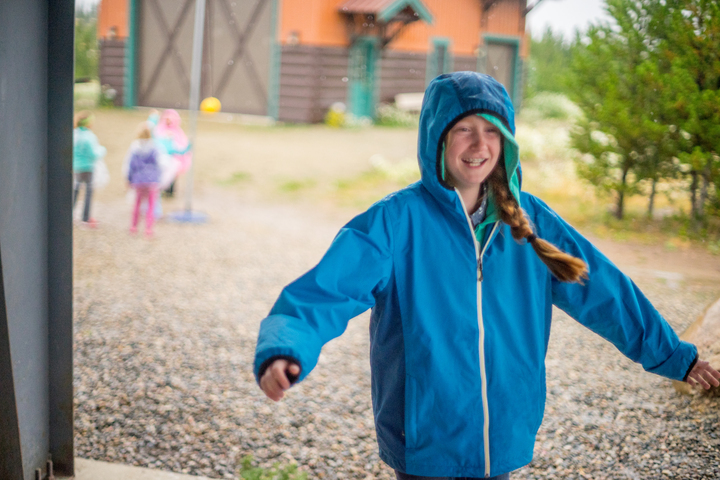 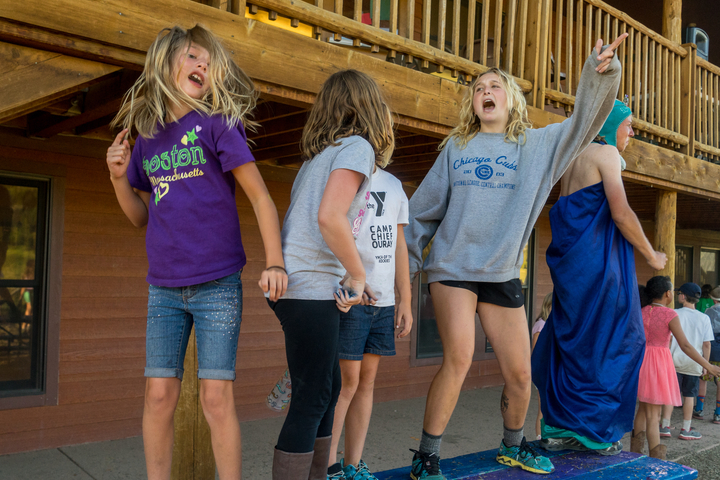 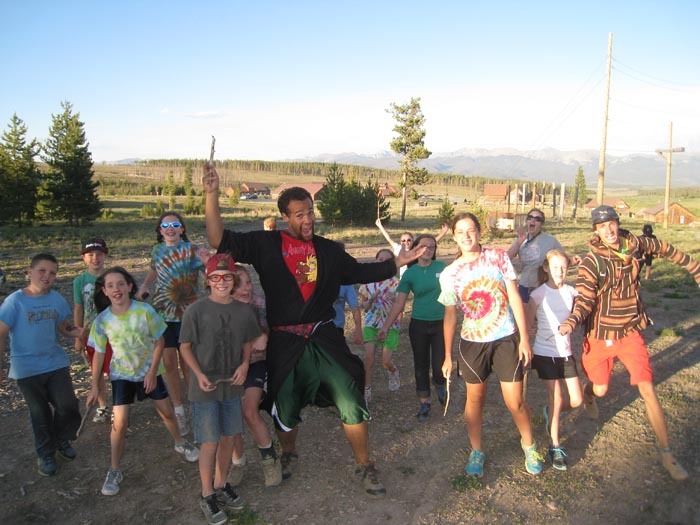 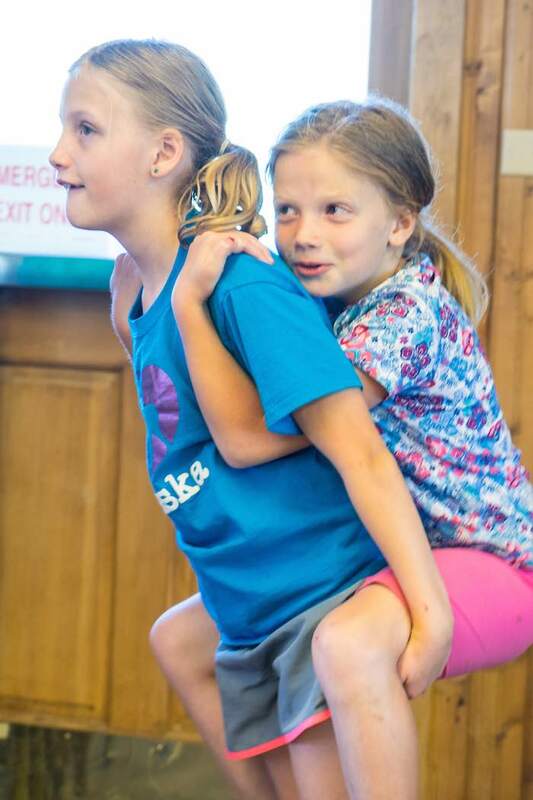 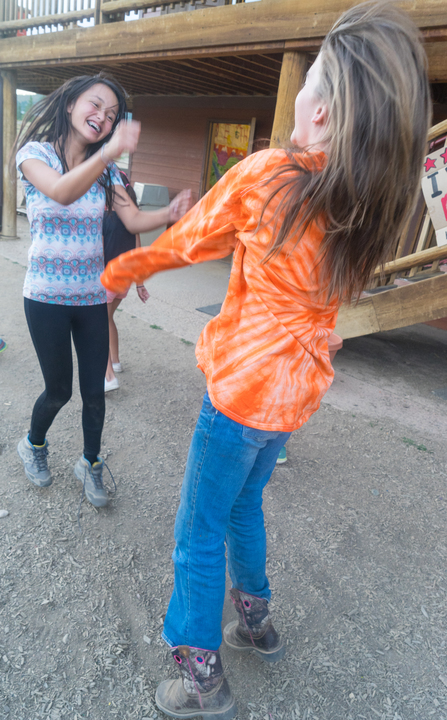 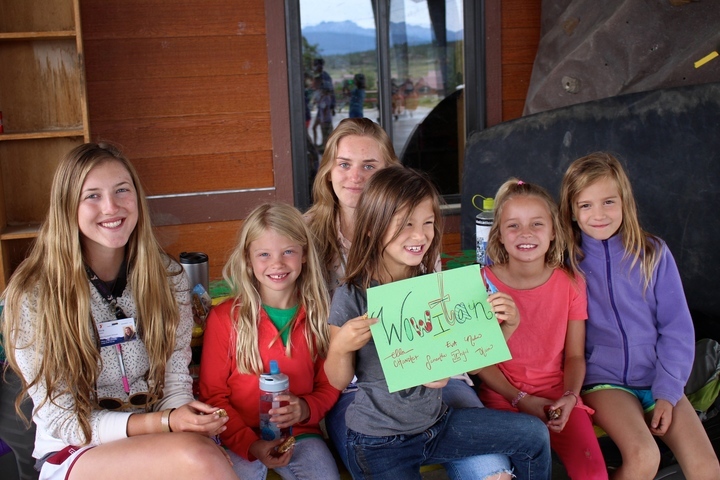 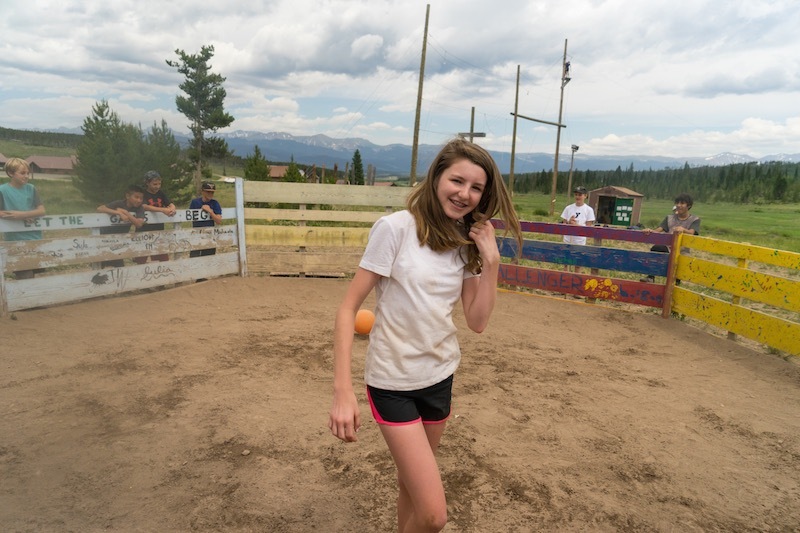 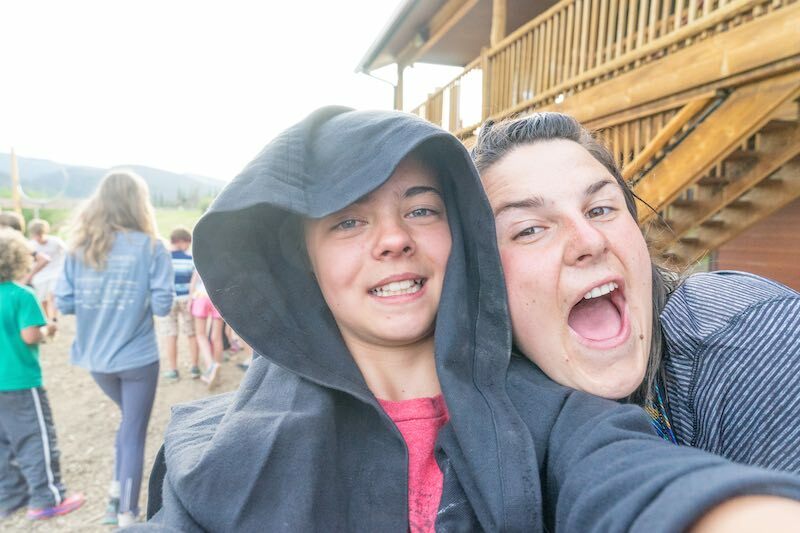 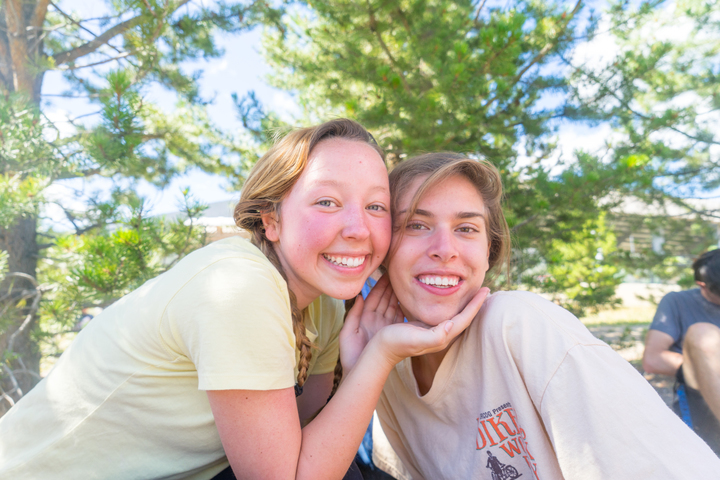 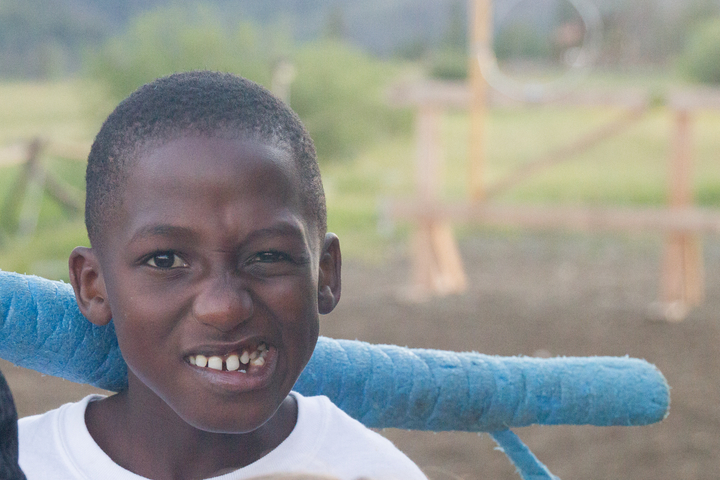 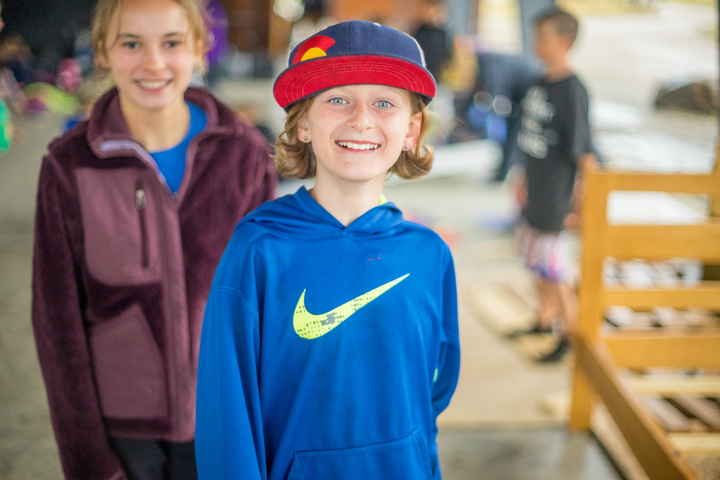 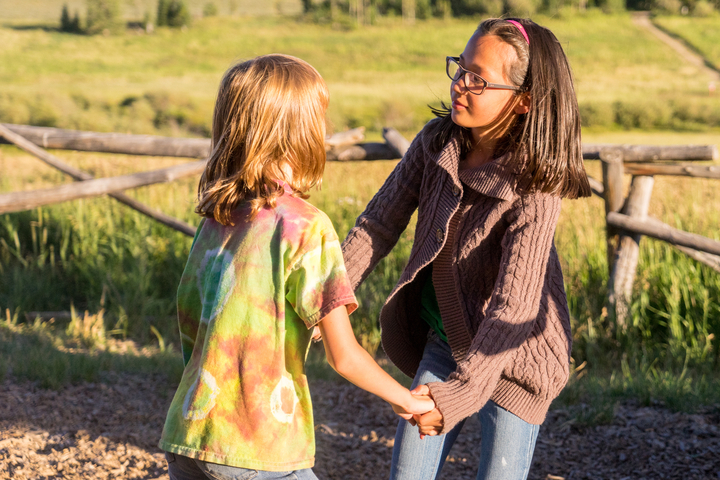 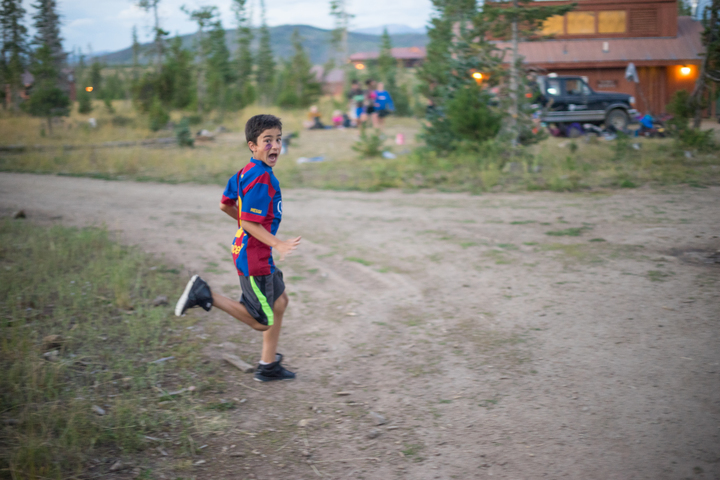 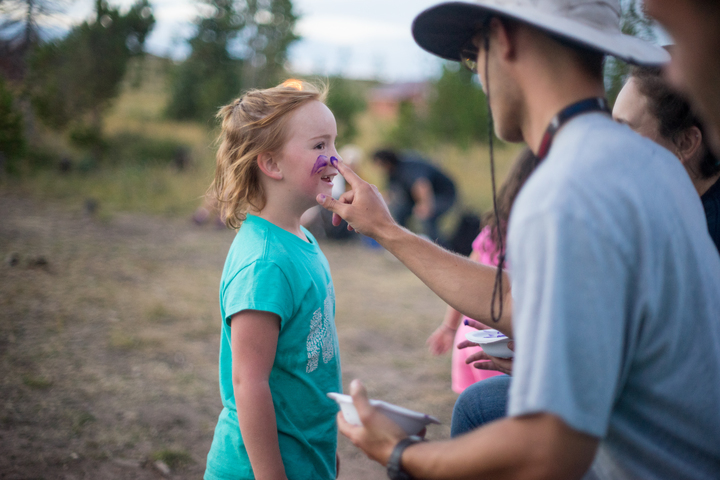 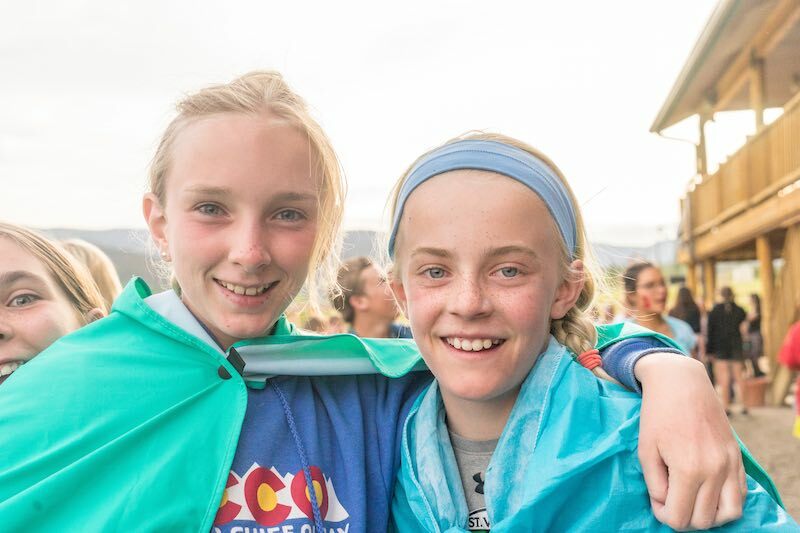 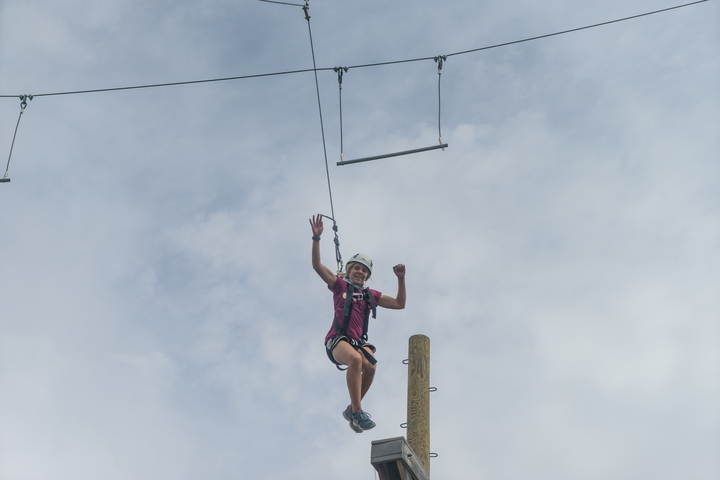 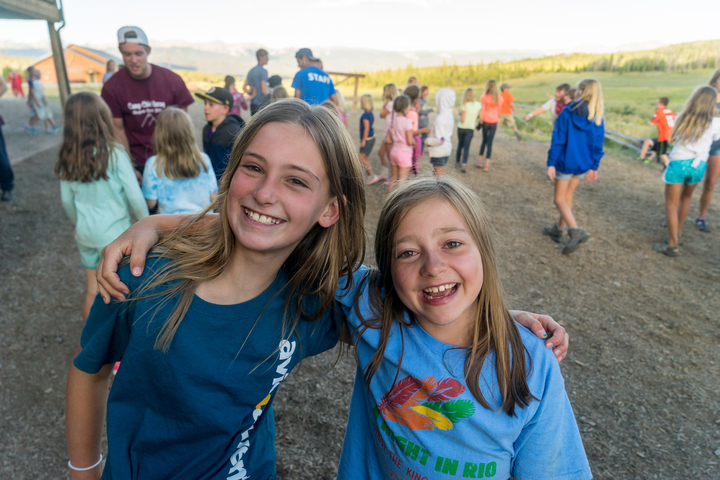 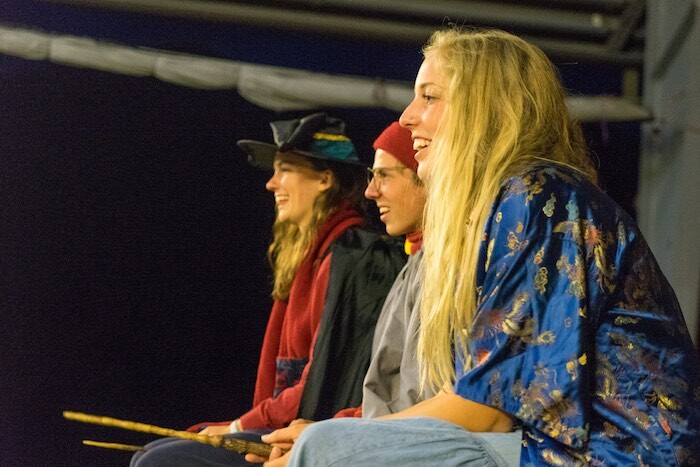 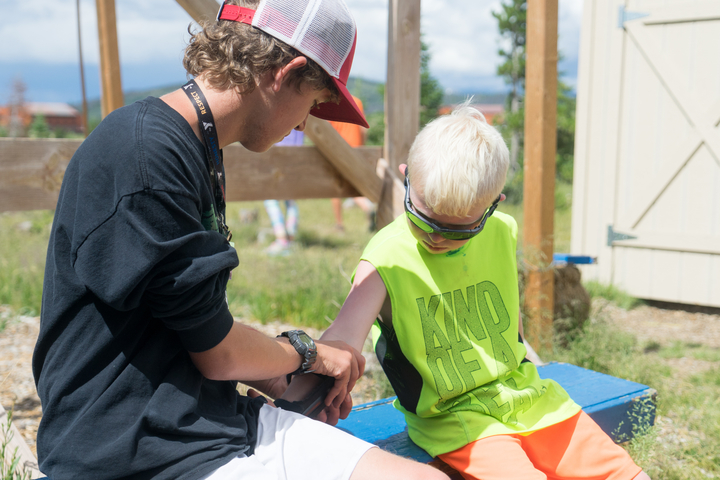 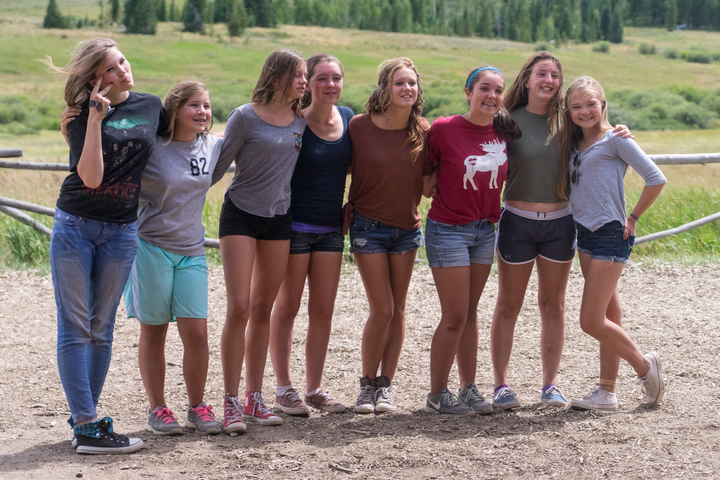 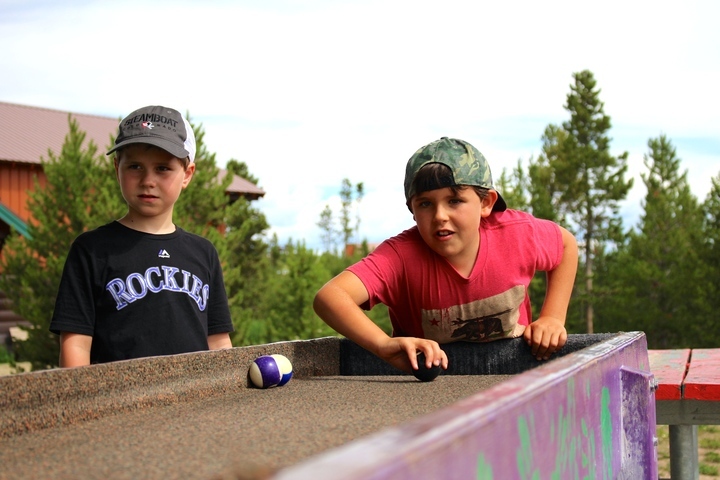 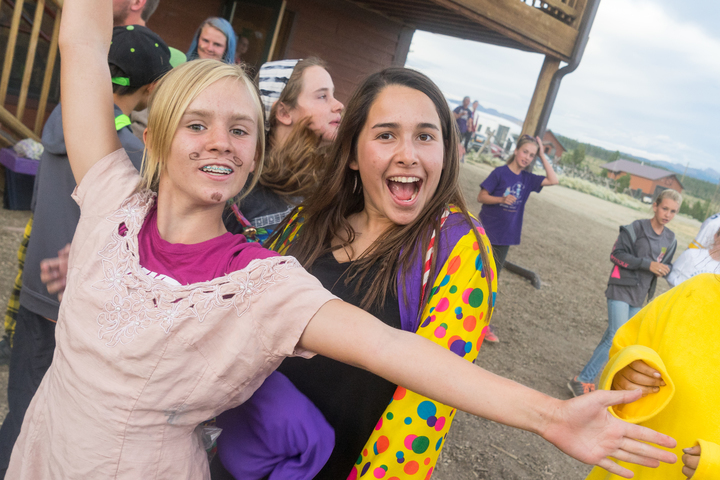 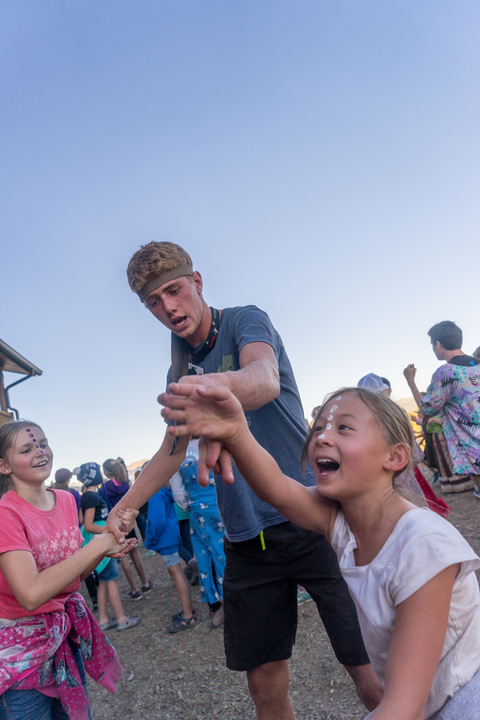 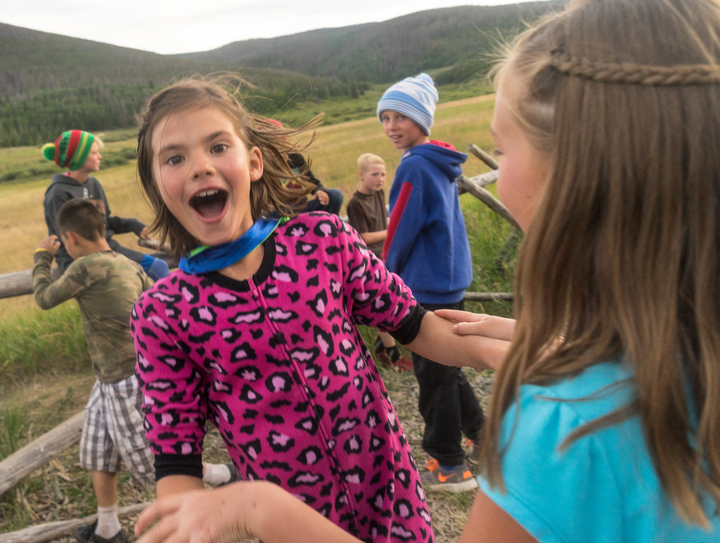 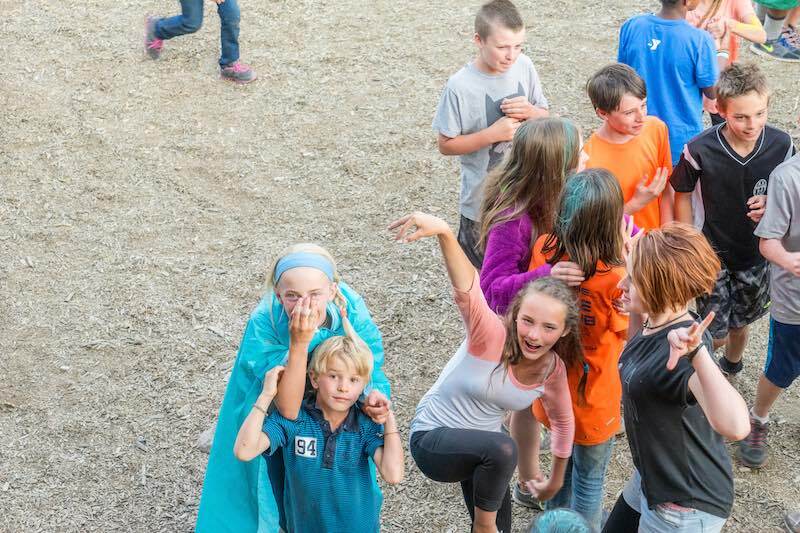 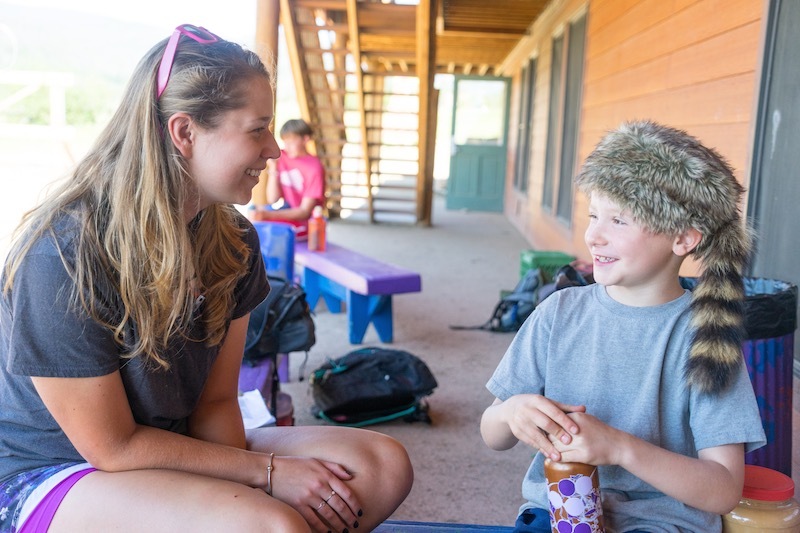 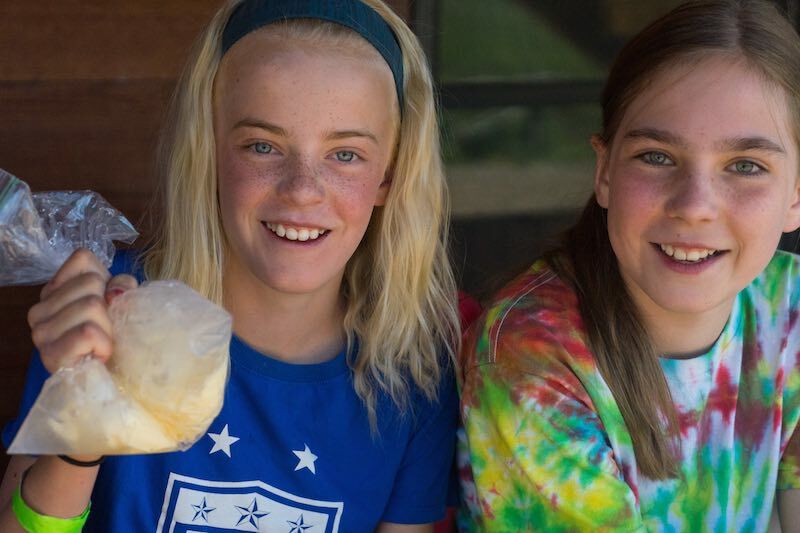 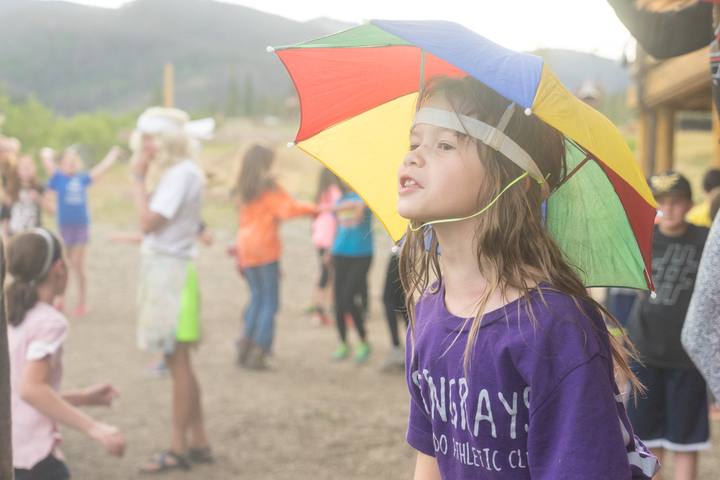 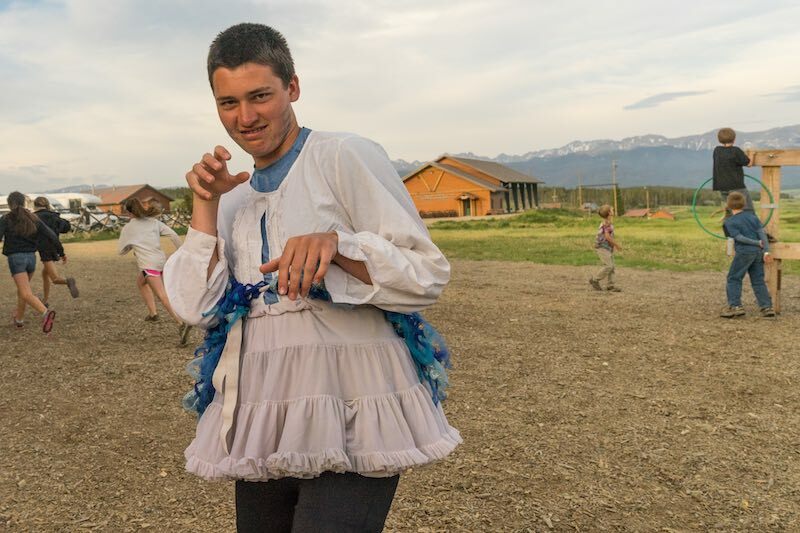 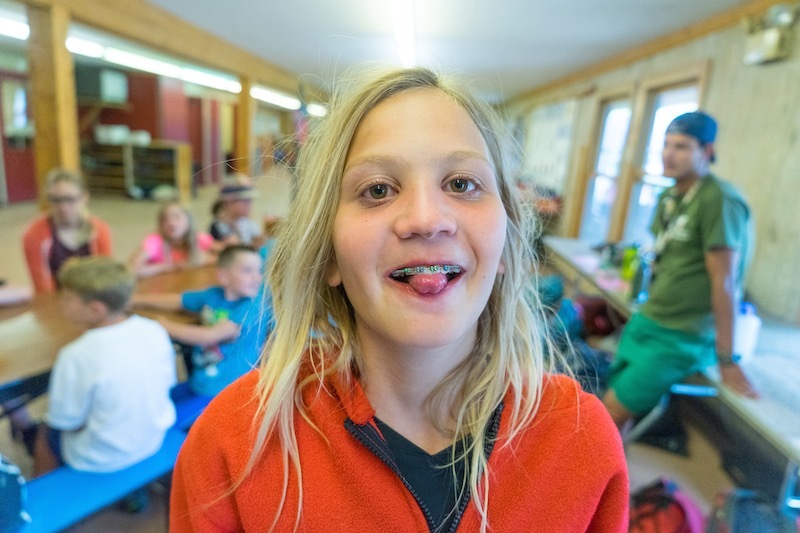 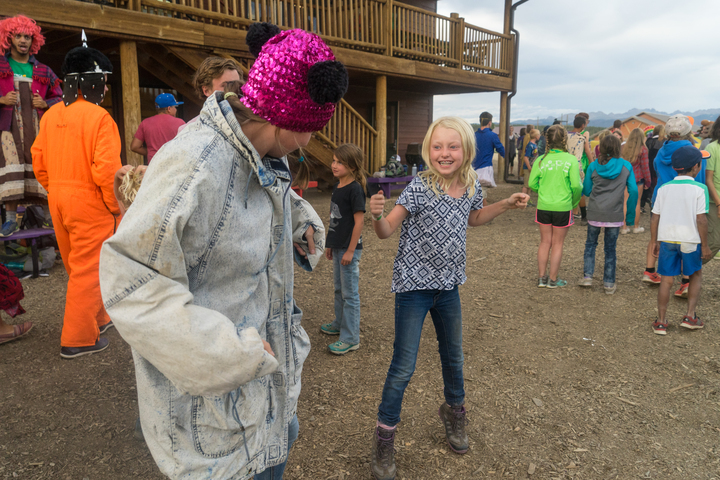 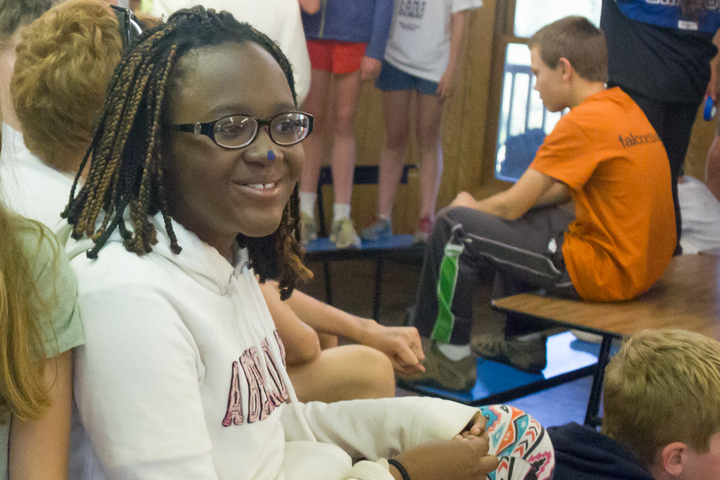 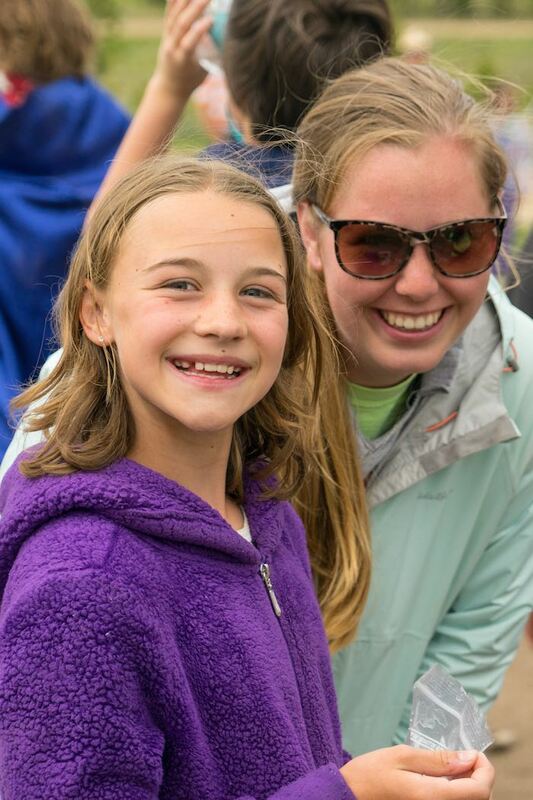 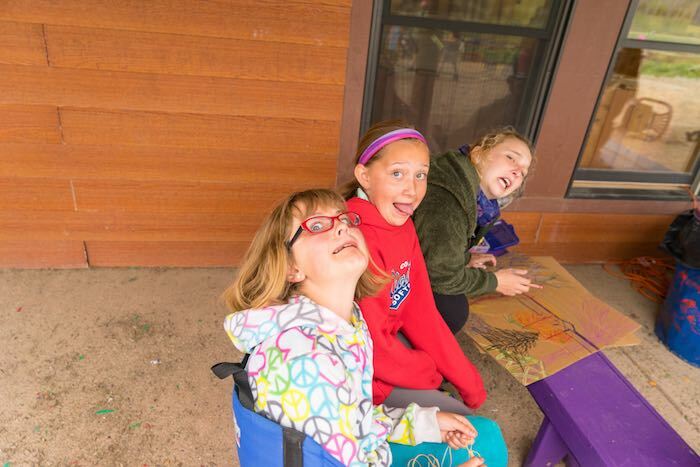 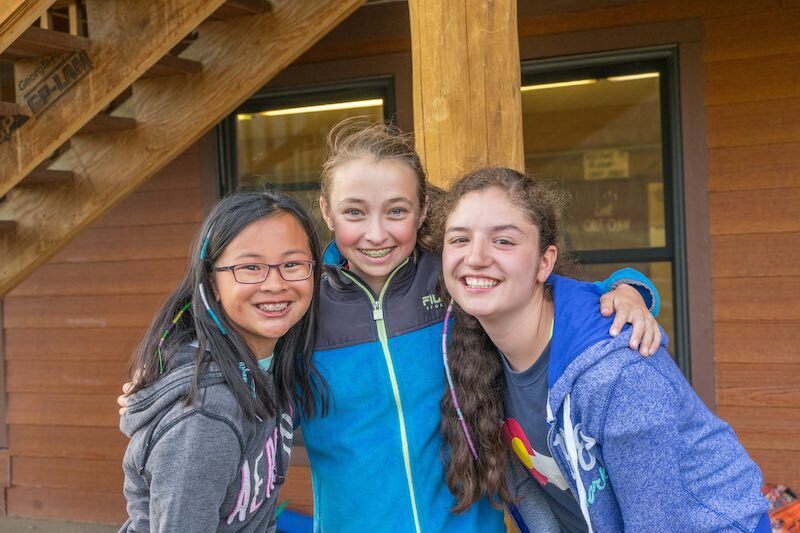 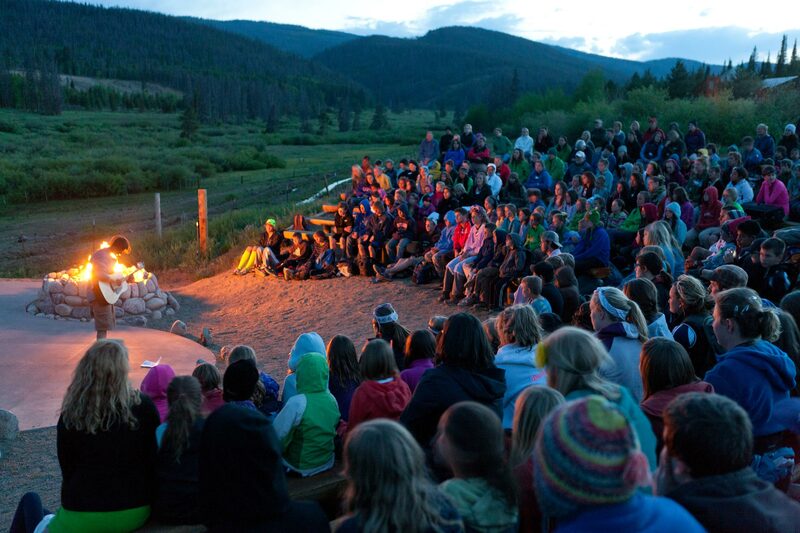 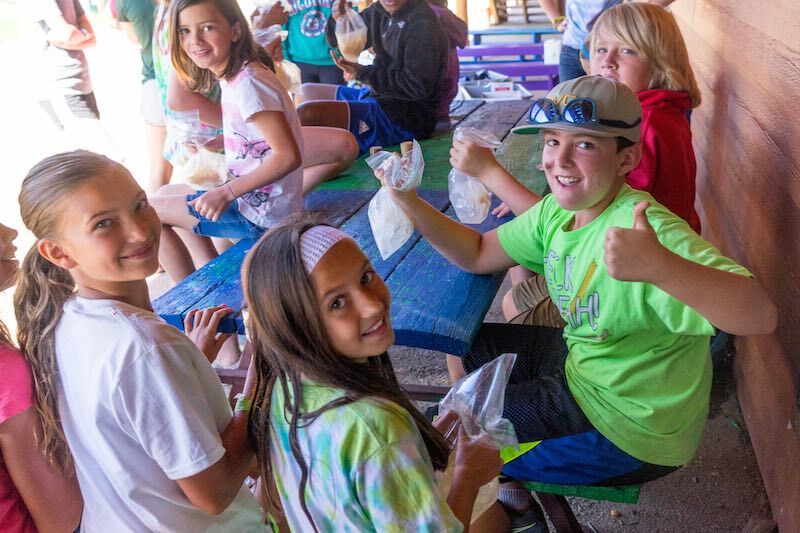 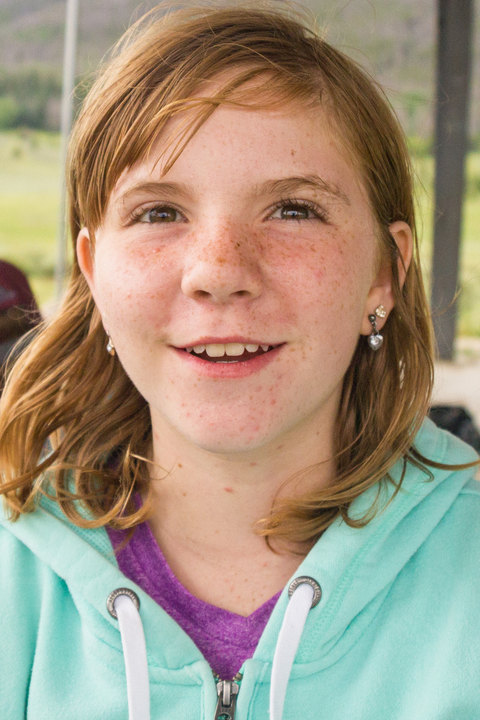 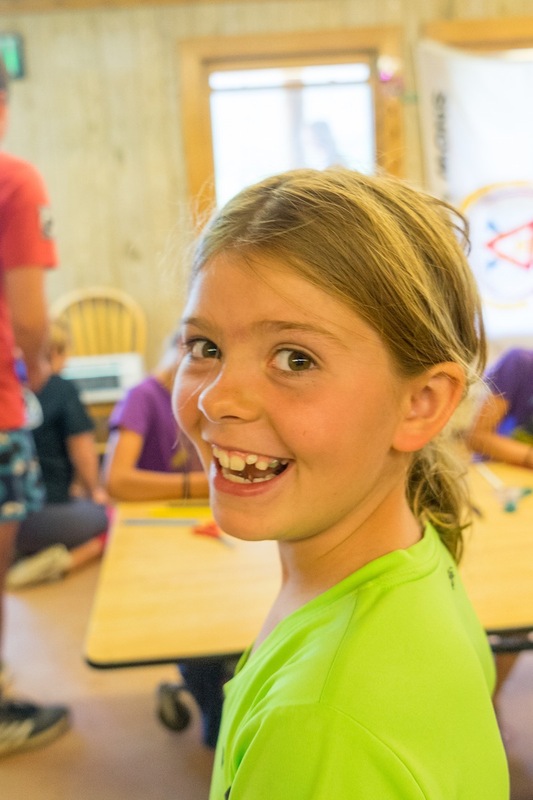 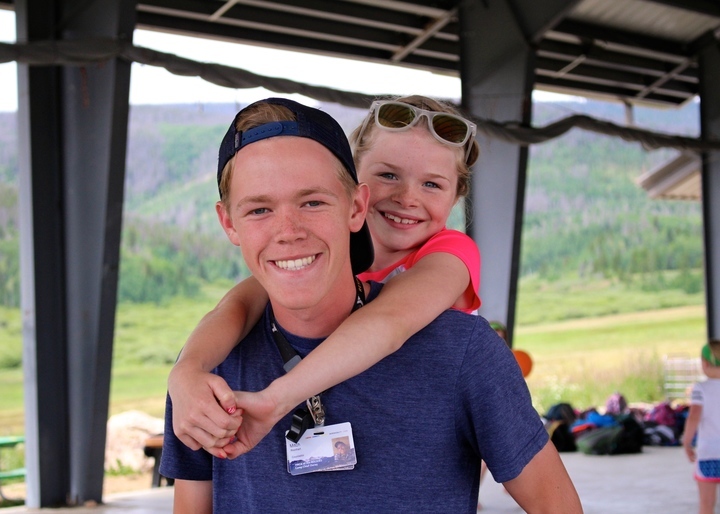 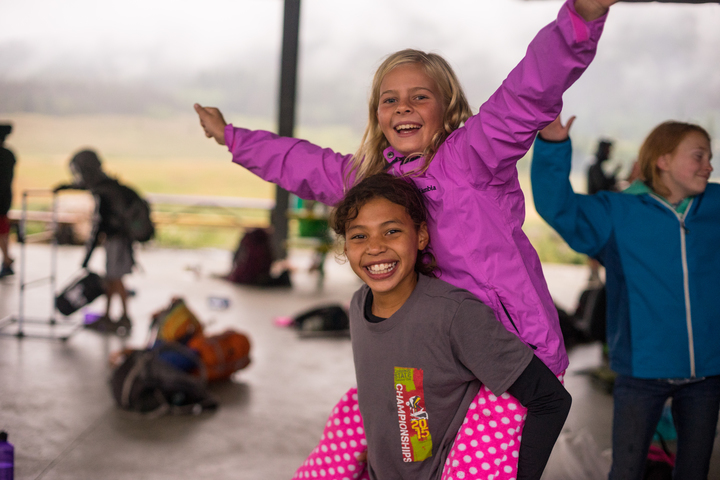 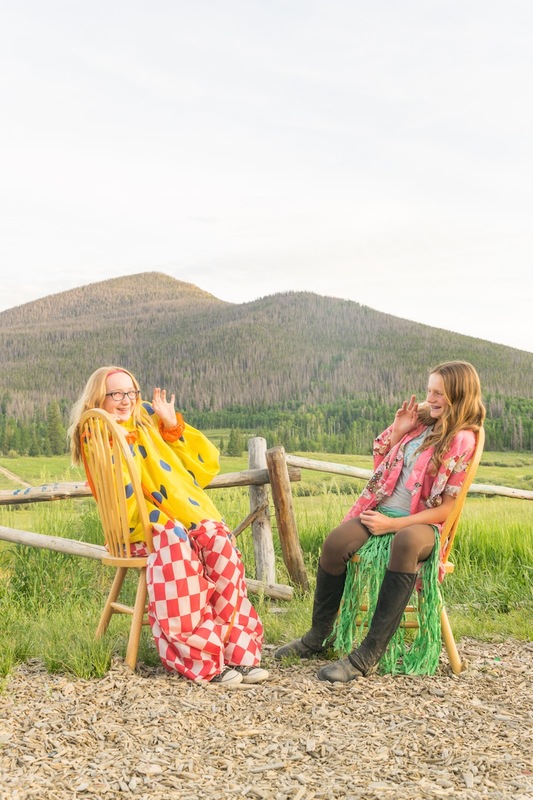 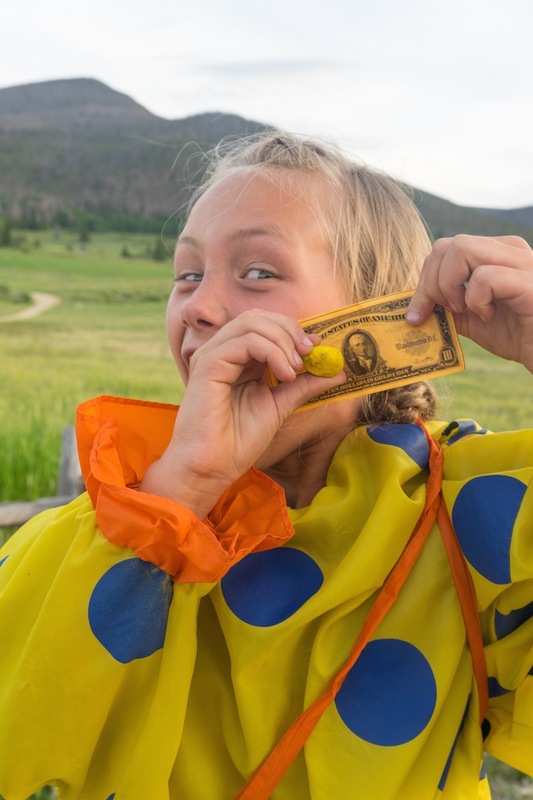 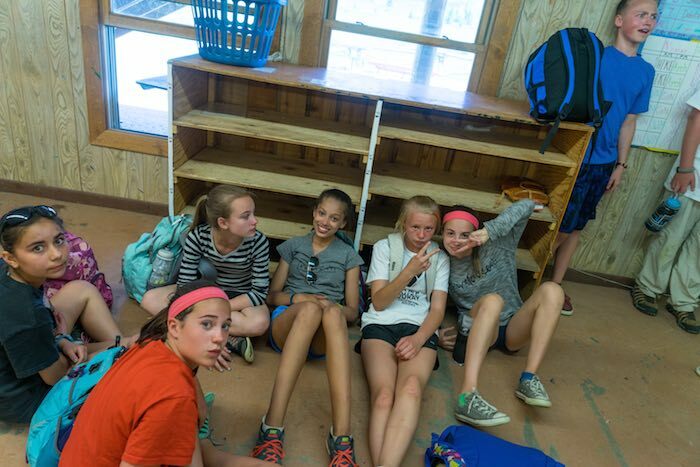 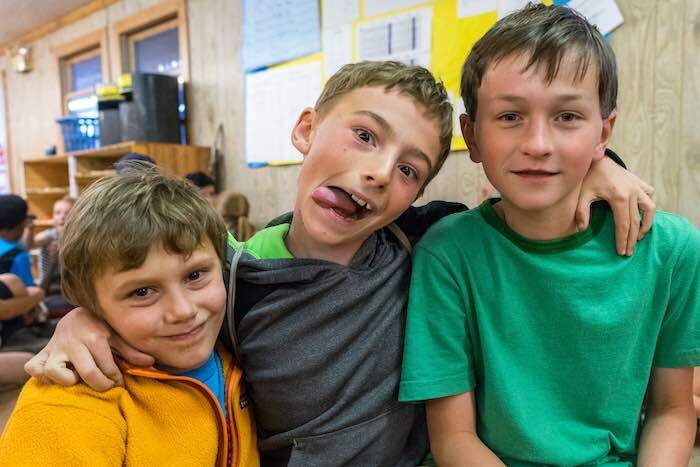 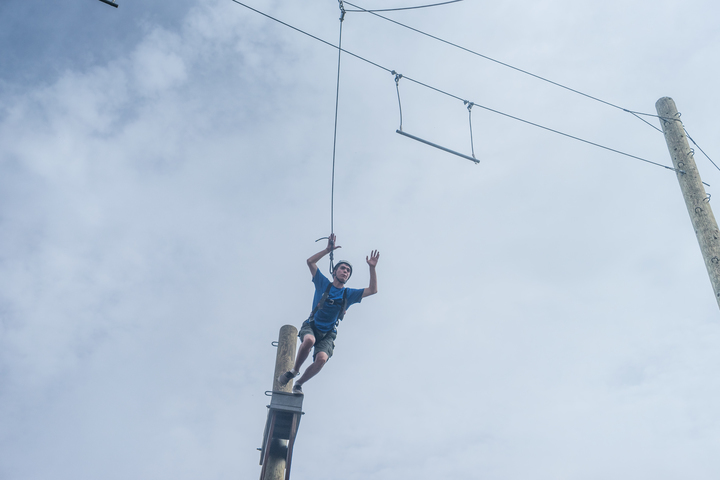 Join us at Camp Chief Ouray this summer for a week or more of fun, adventure, friendship and Camp Magic! 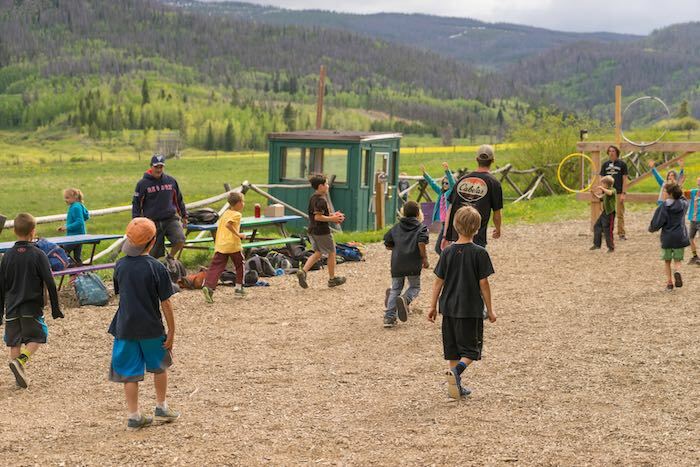 Camp Chief Ouray is a coed camp located on over 5,000 acres of mountains, streams and valleys in the heart of the Colorado Rockies. 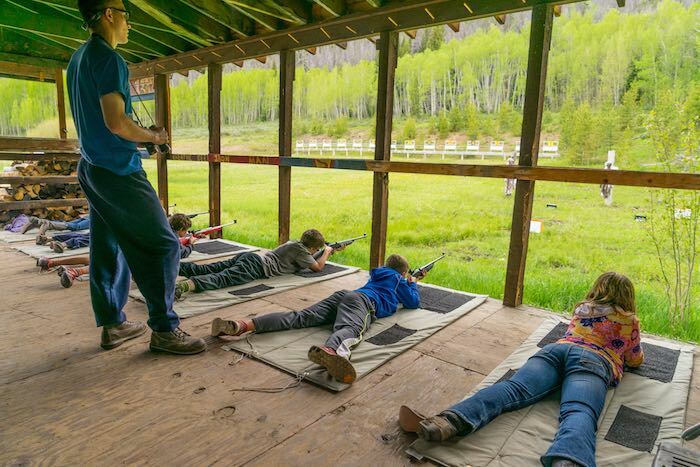 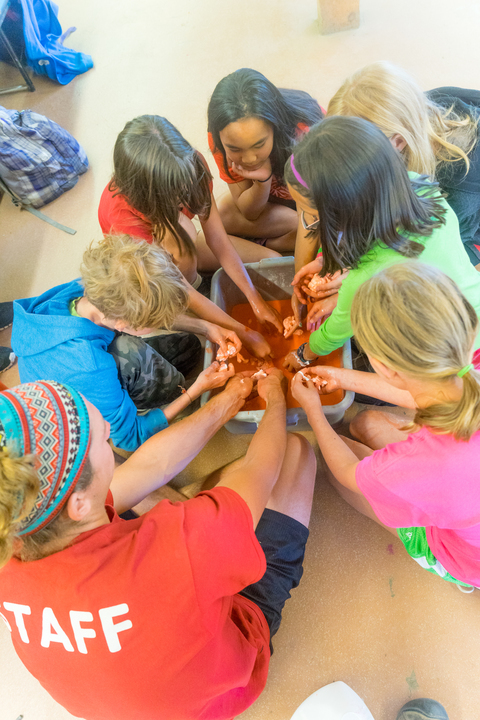 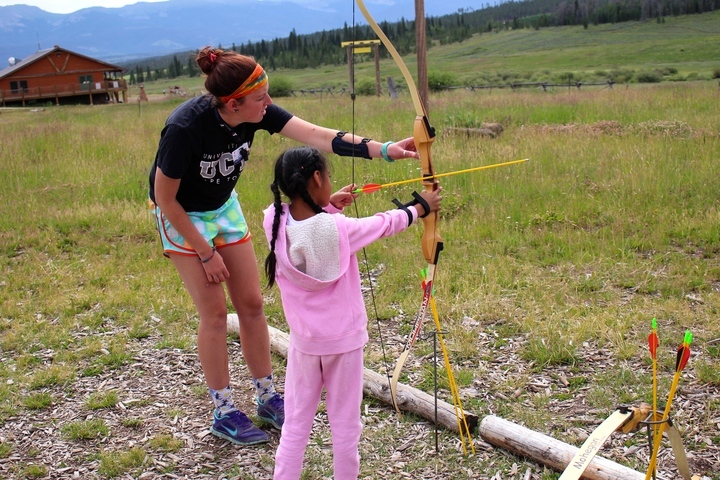 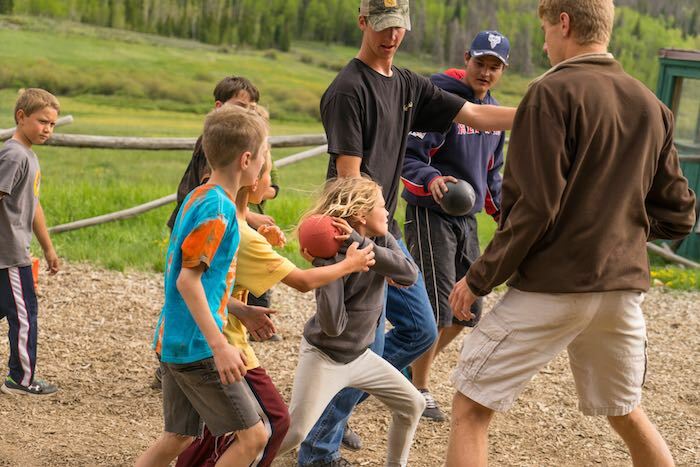 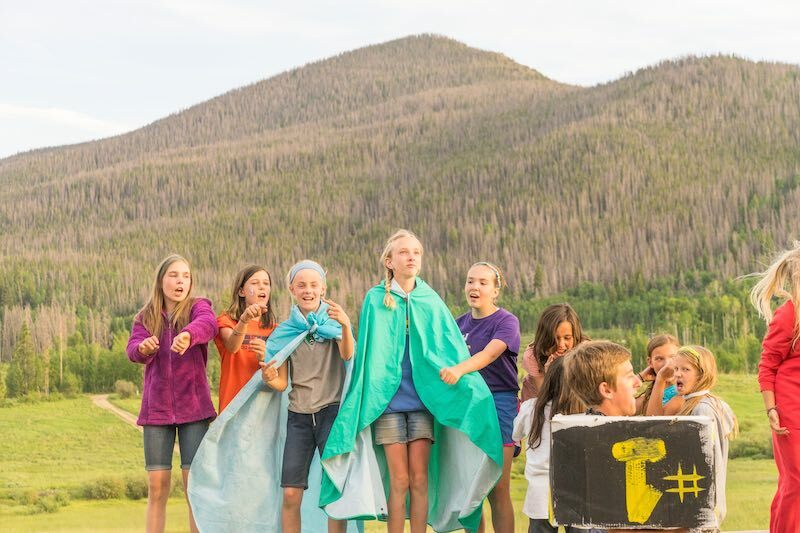 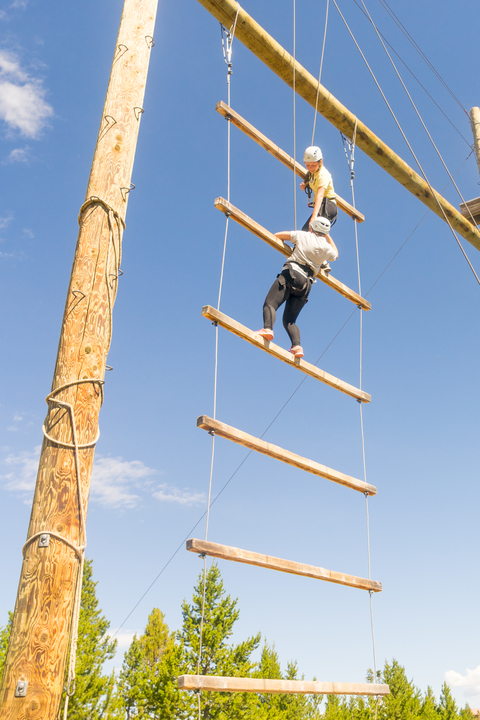 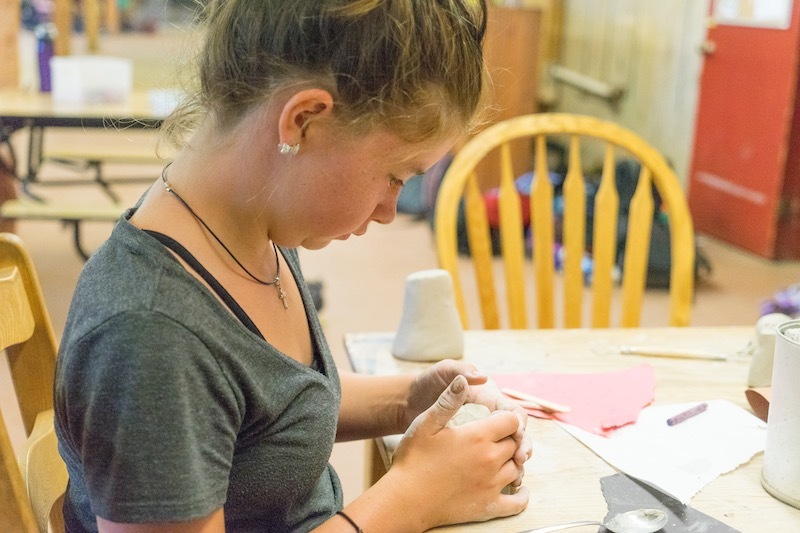 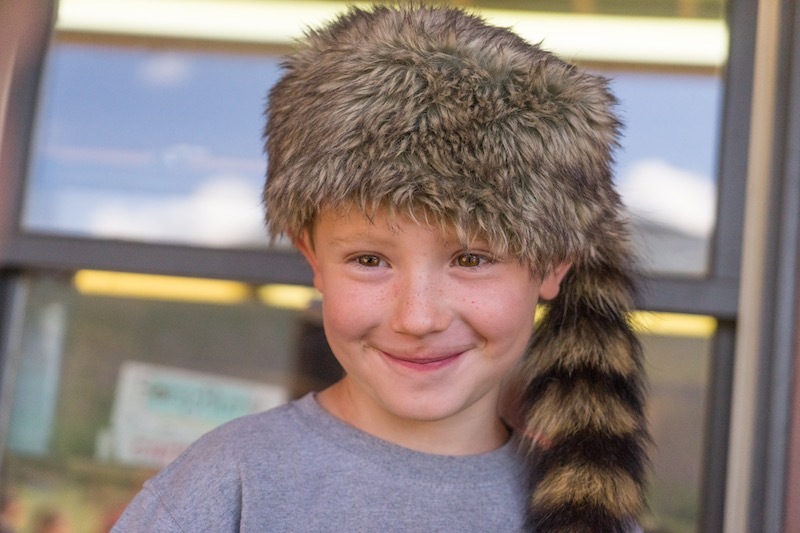 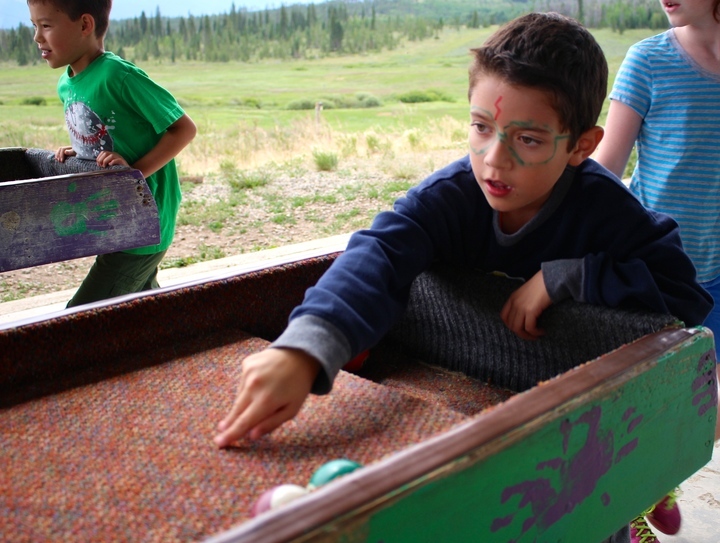 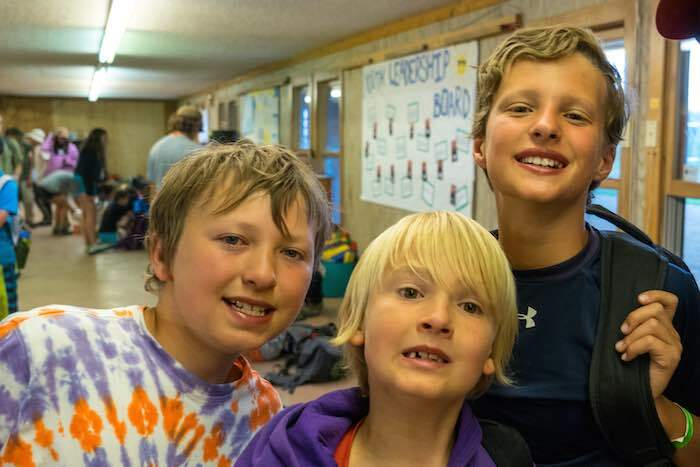 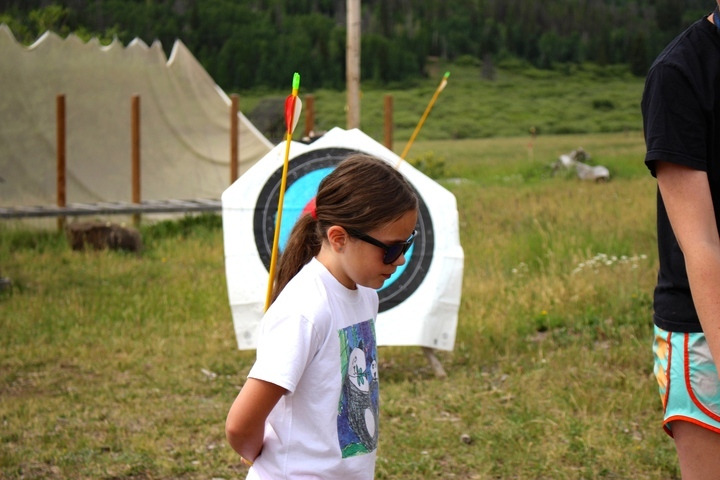 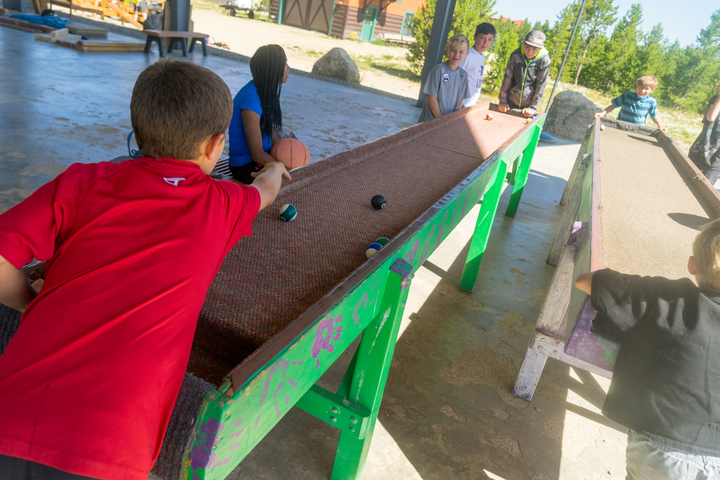 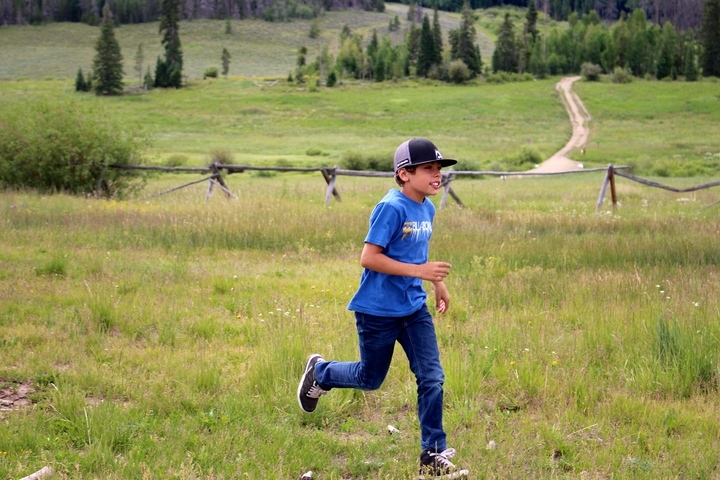 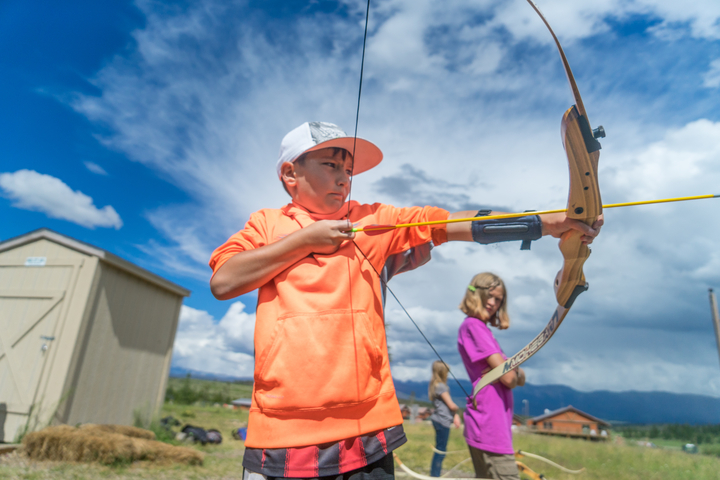 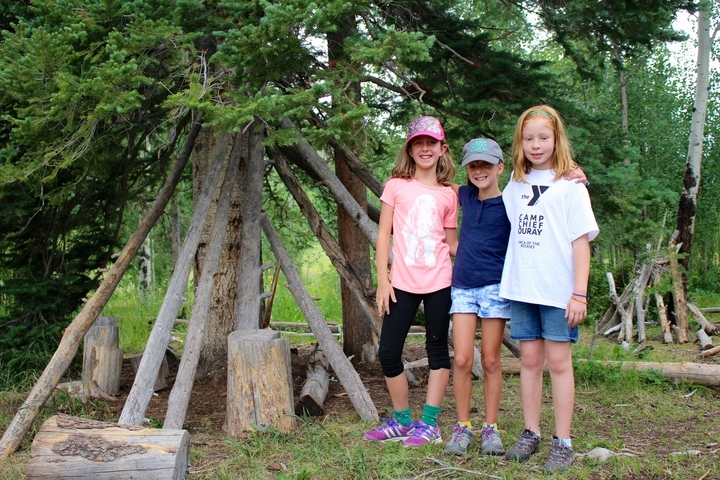 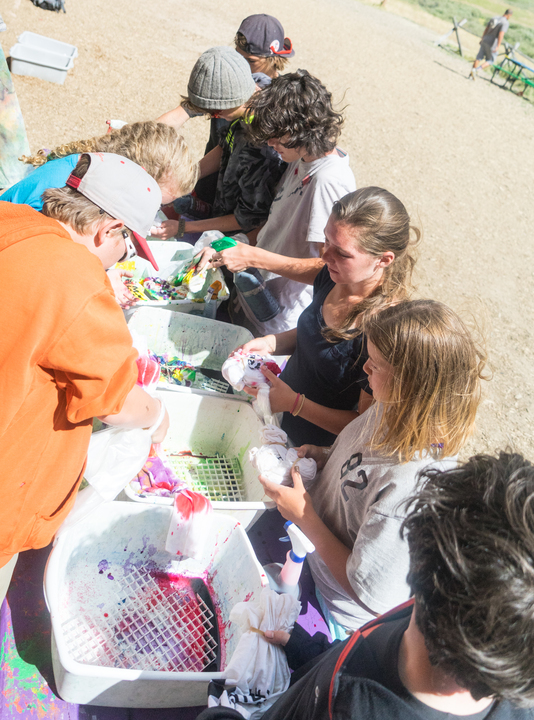 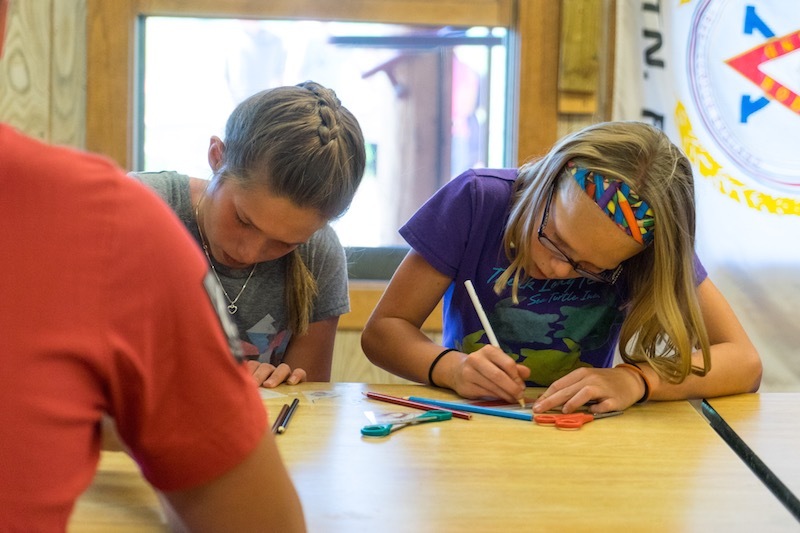 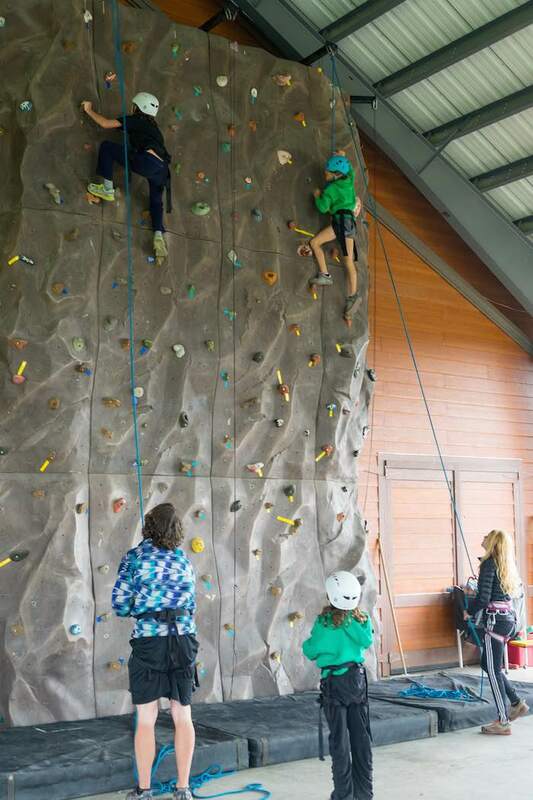 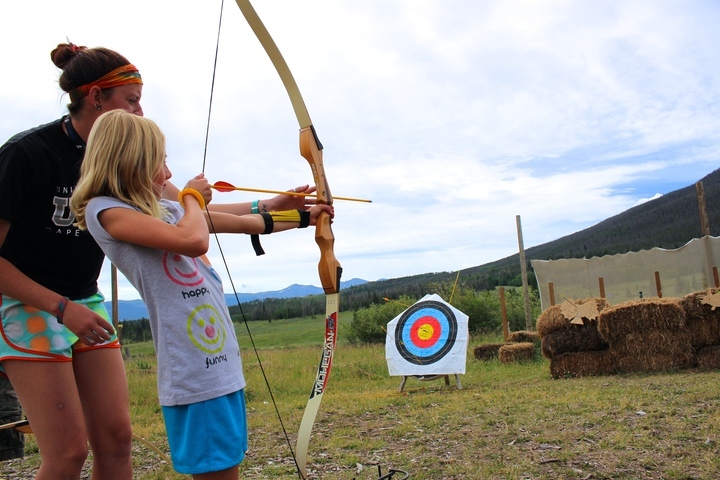 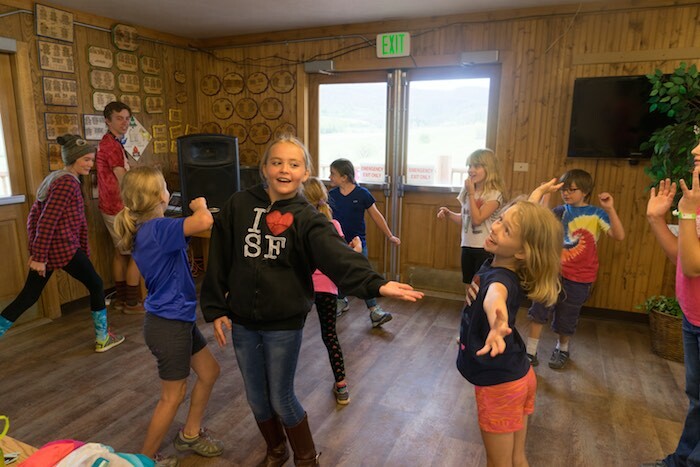 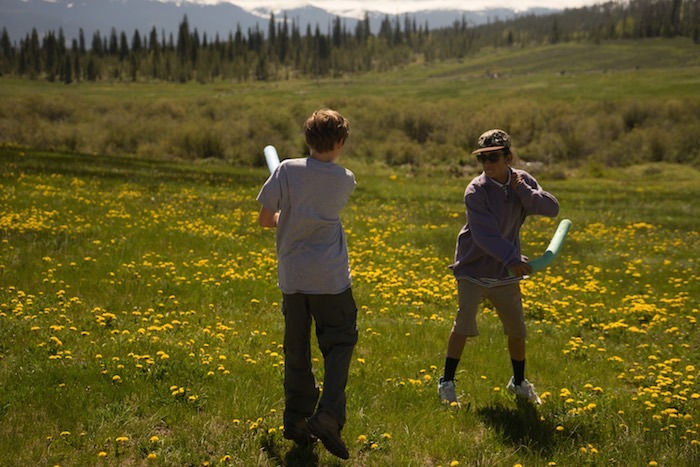 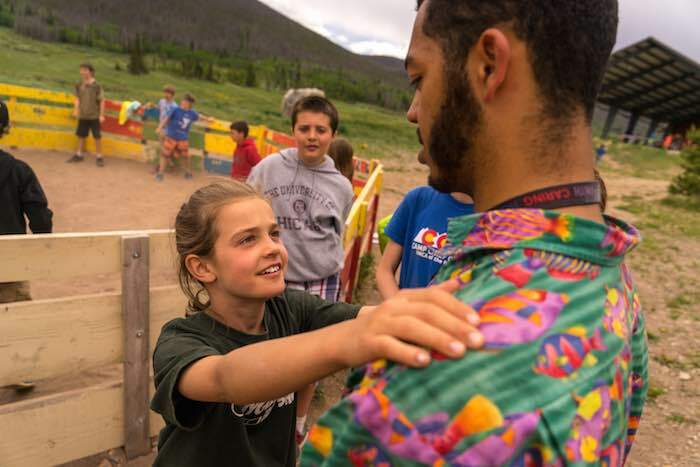 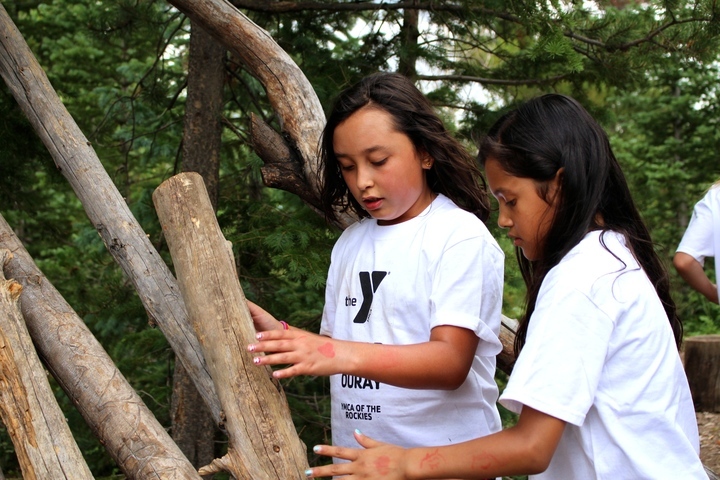 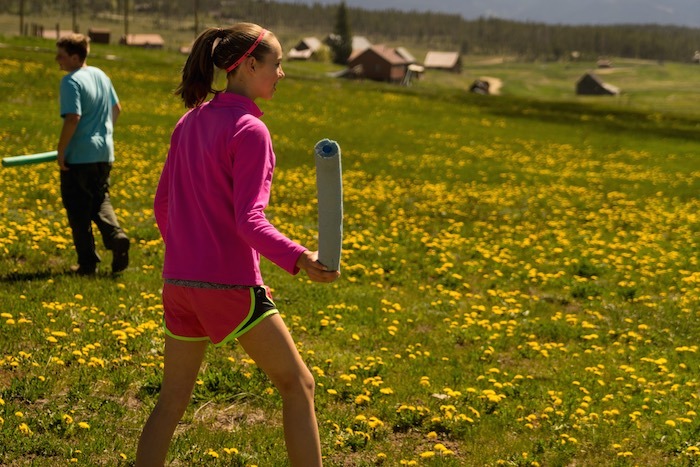 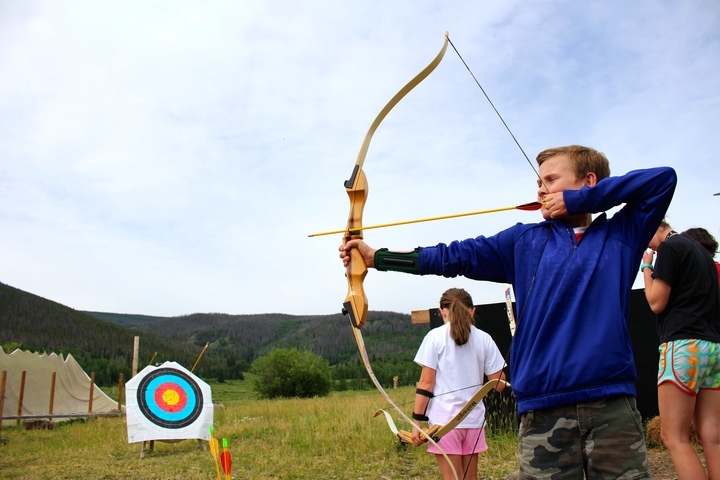 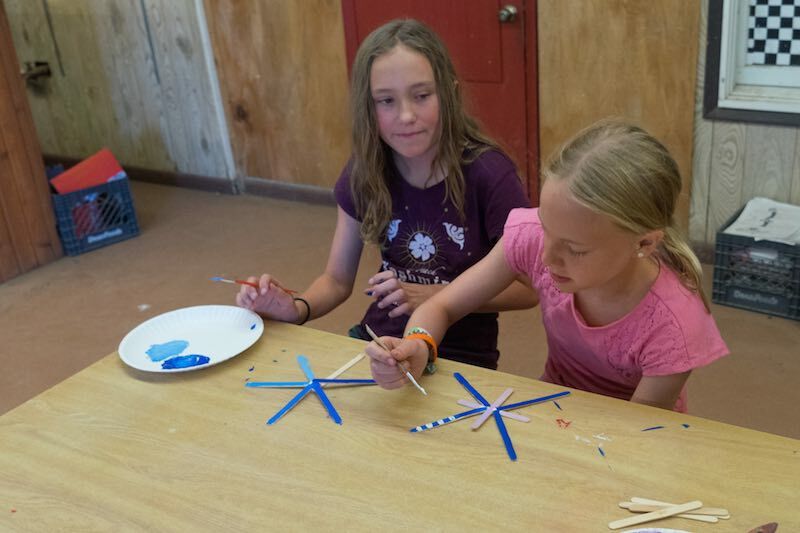 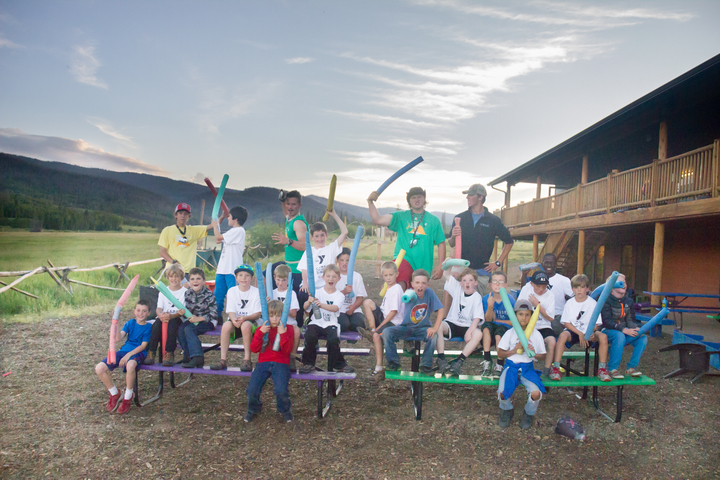 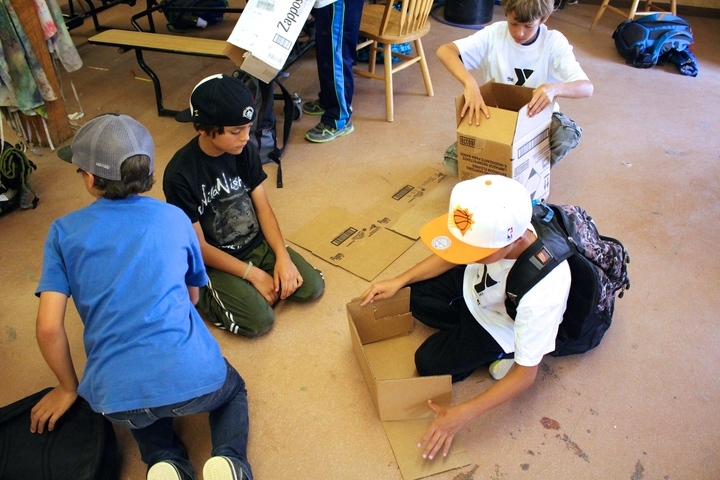 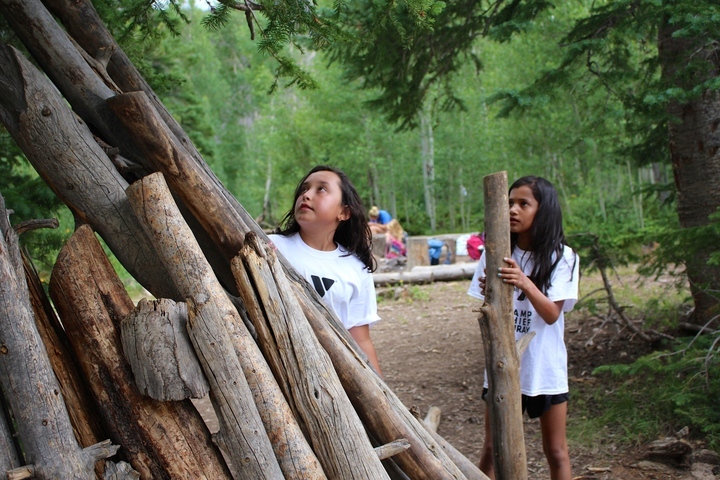 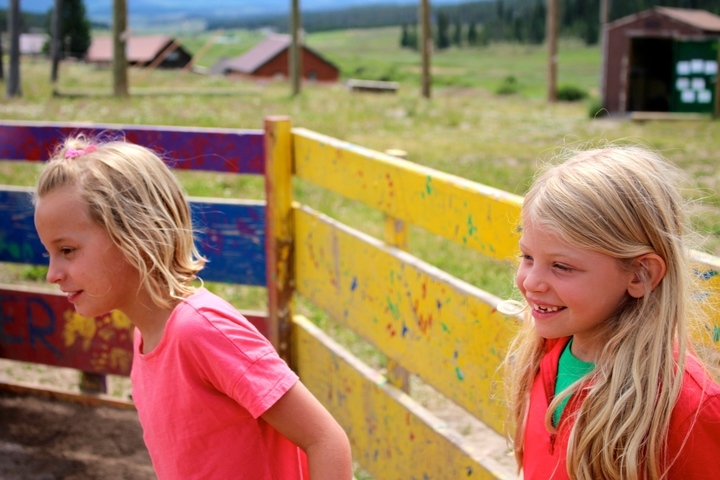 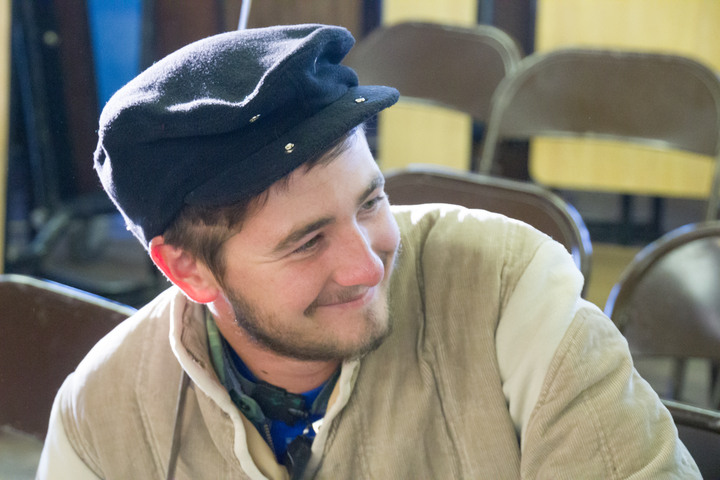 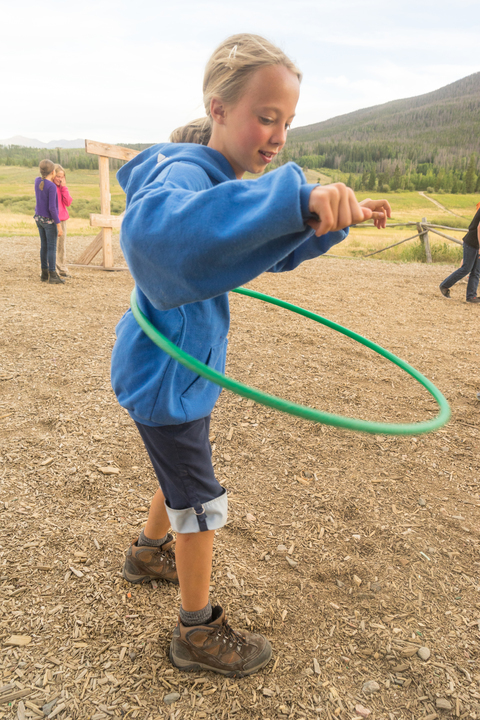 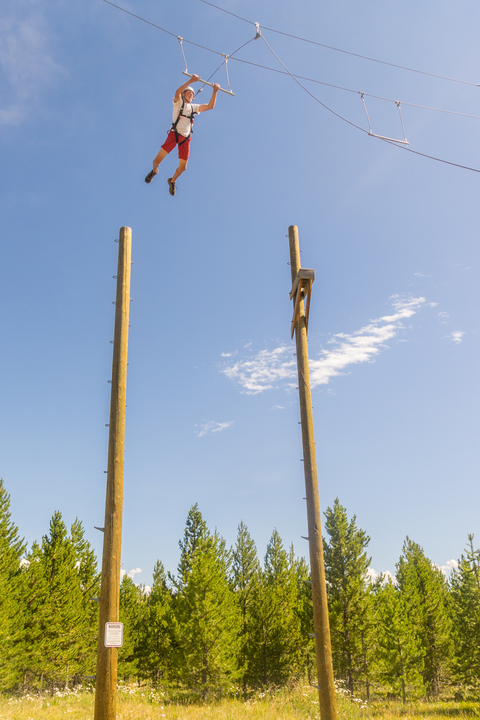 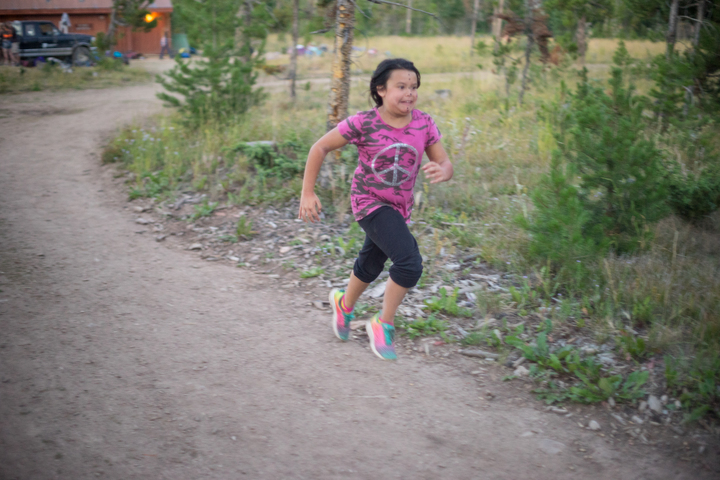 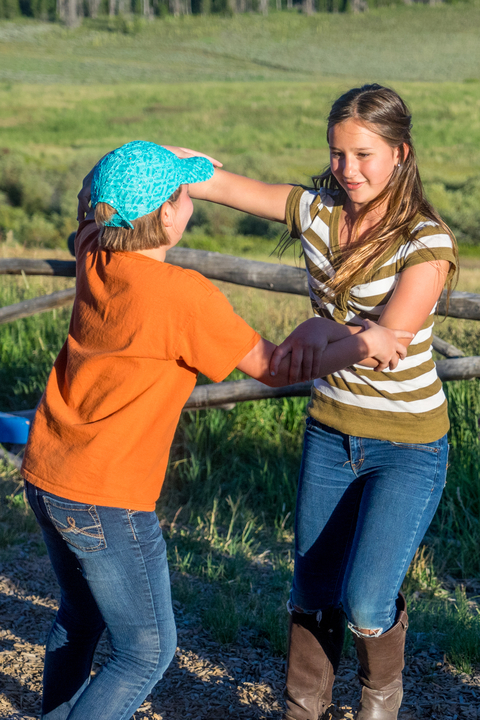 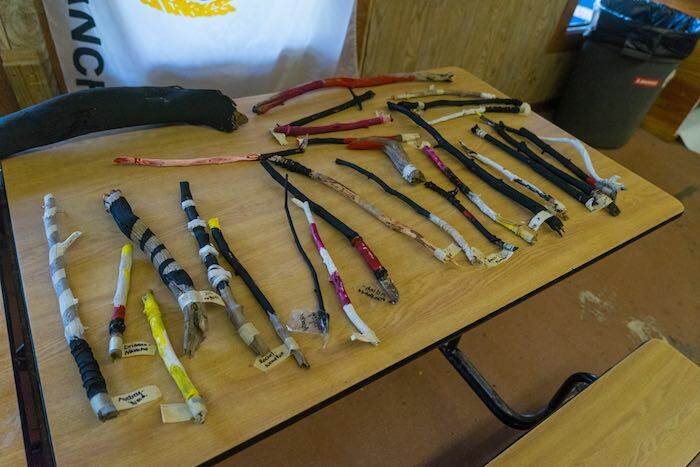 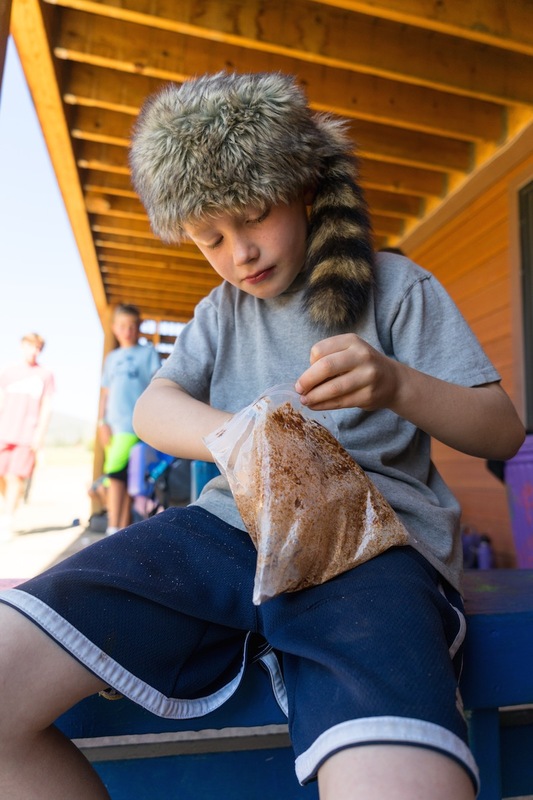 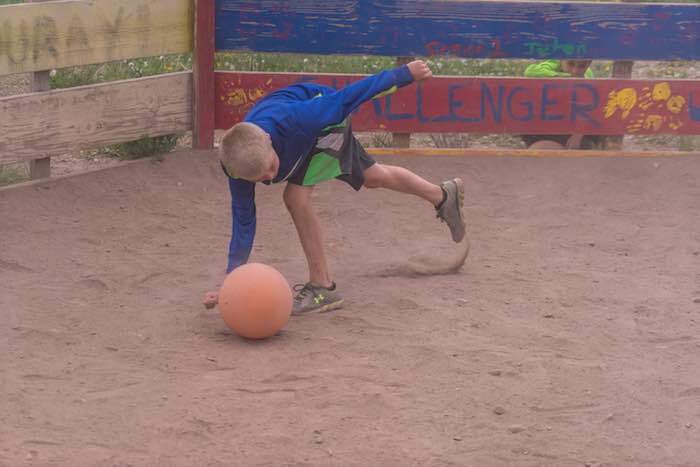 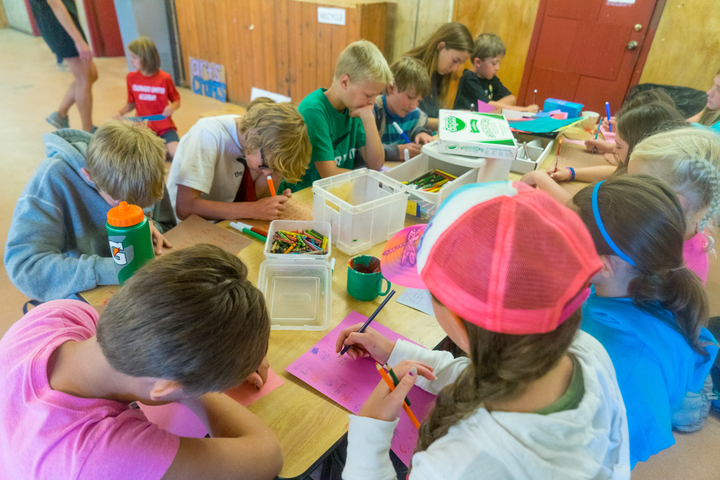 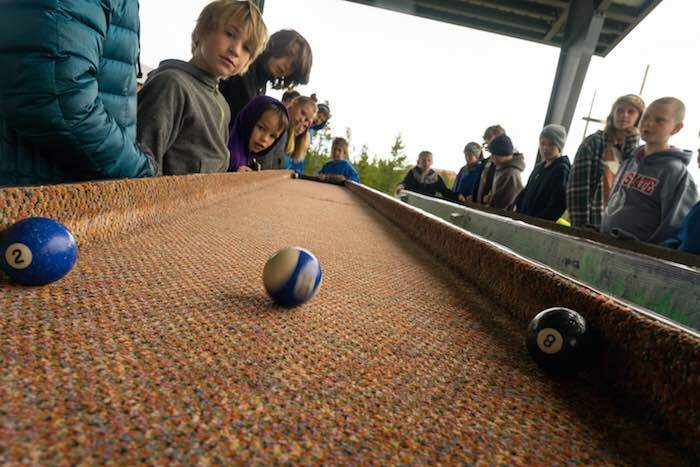 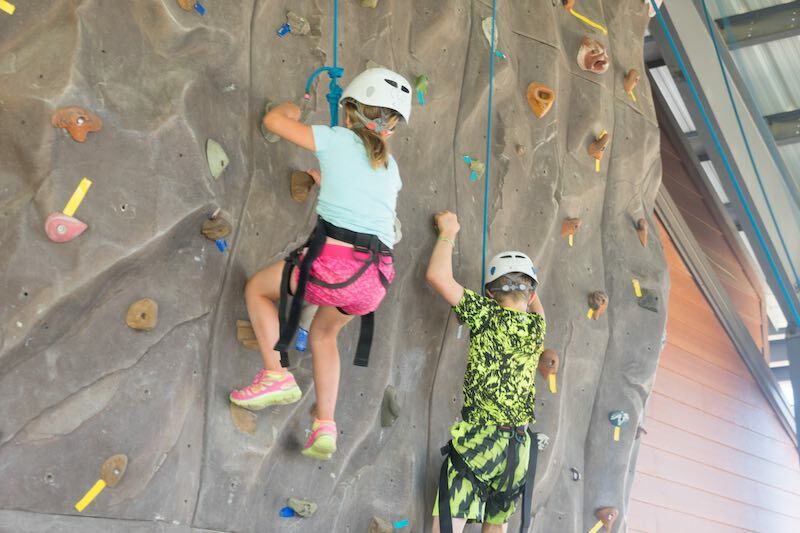 Camp Chief Ouray offers 9 one-week sessions of Traditional Camp. 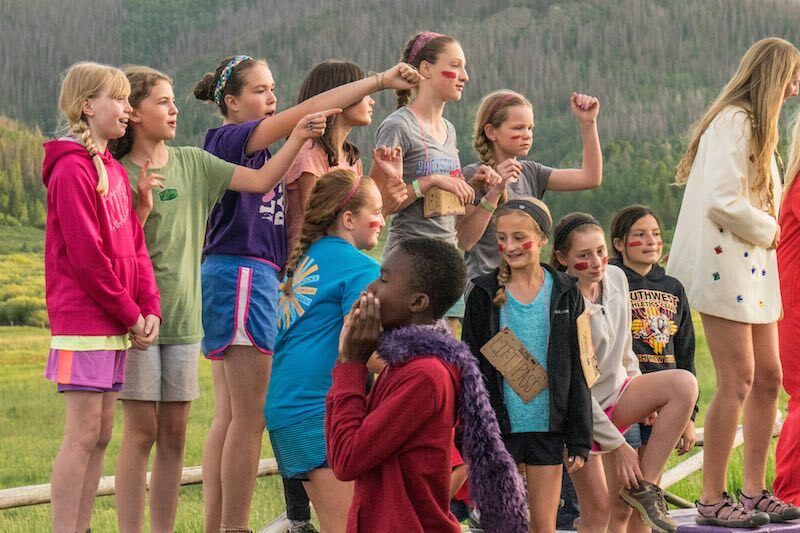 You will live in a cabin with 7 other campers of your same age and gender and two counselors. 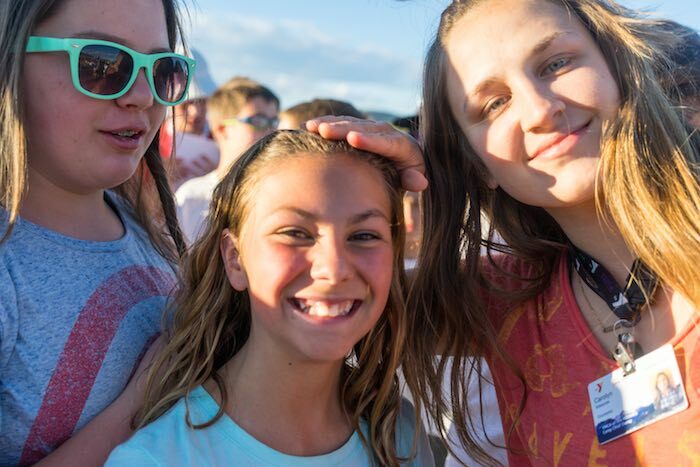 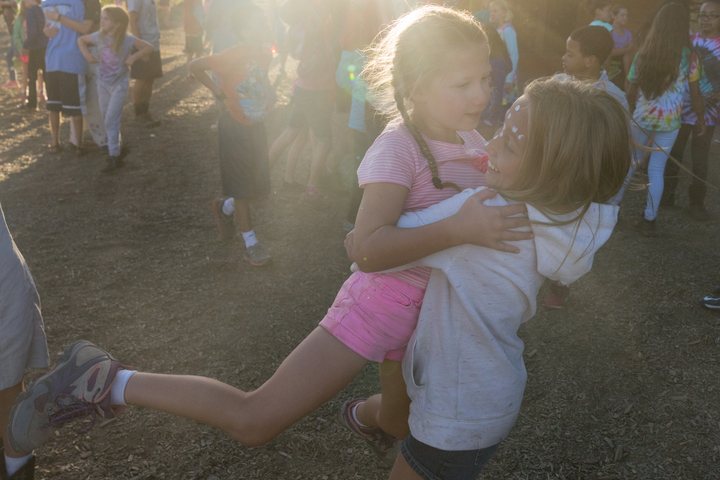 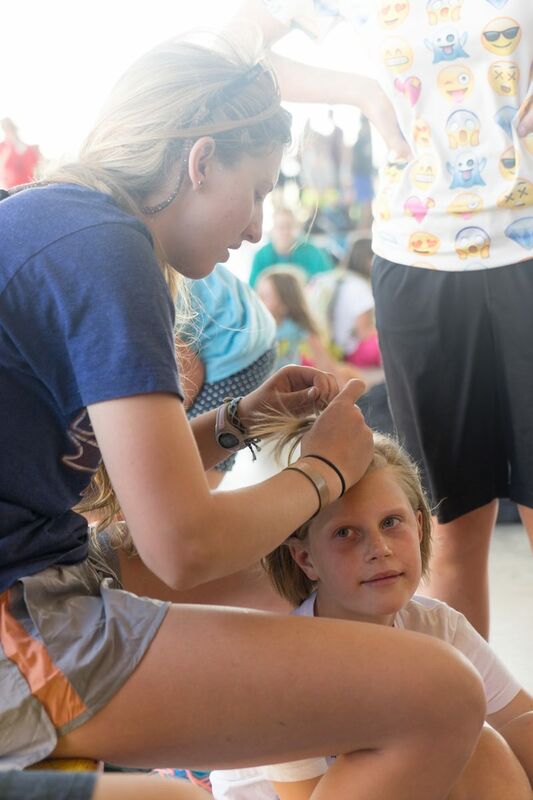 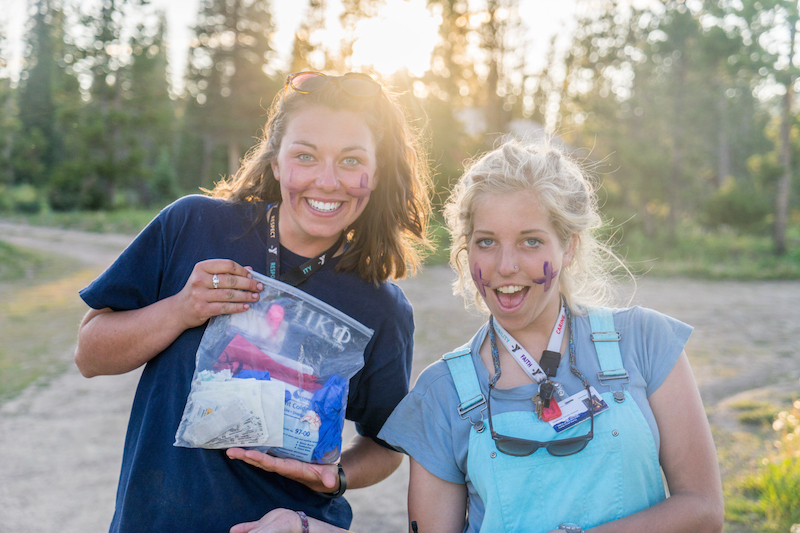 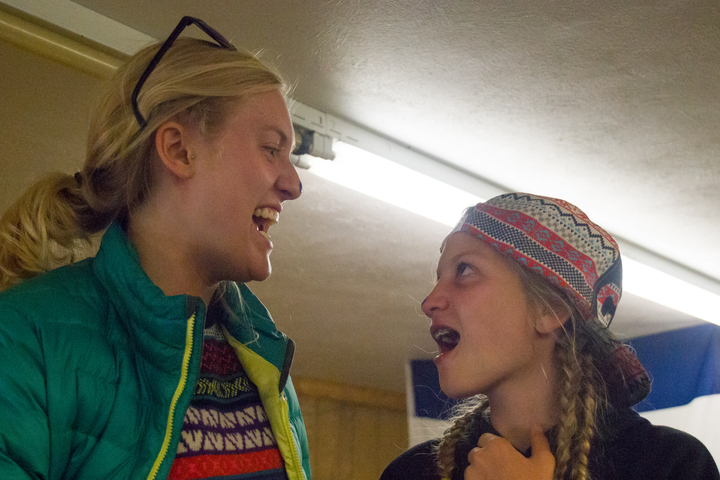 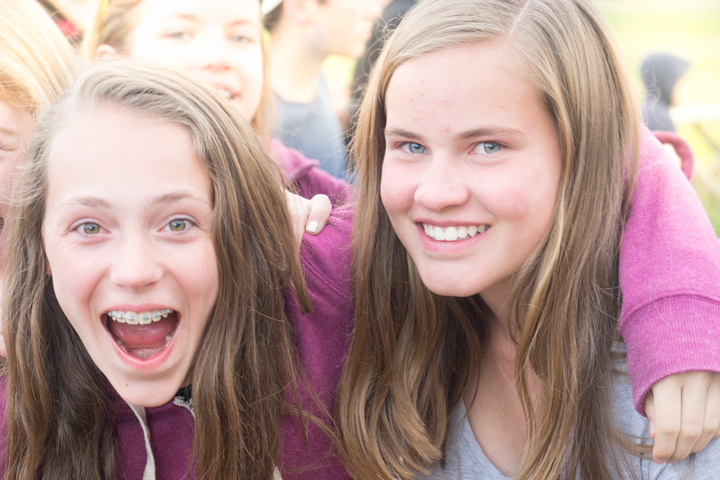 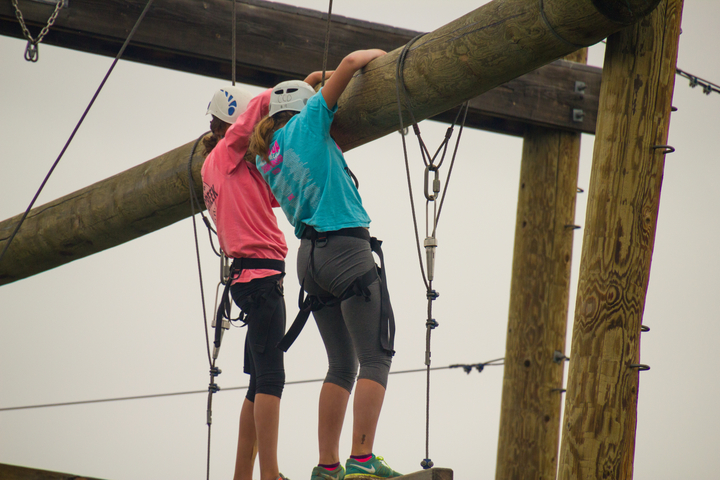 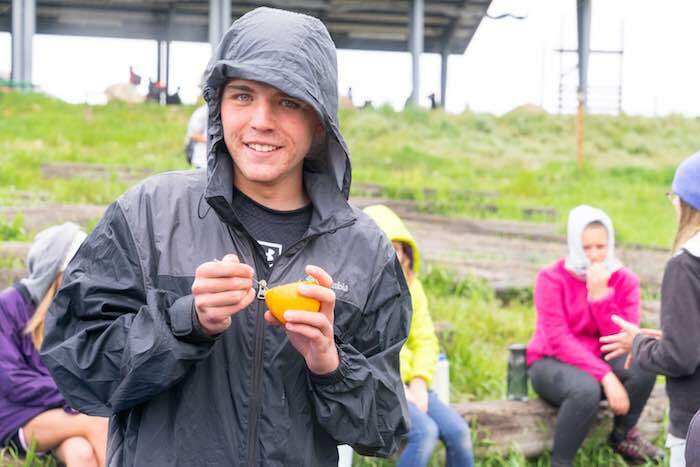 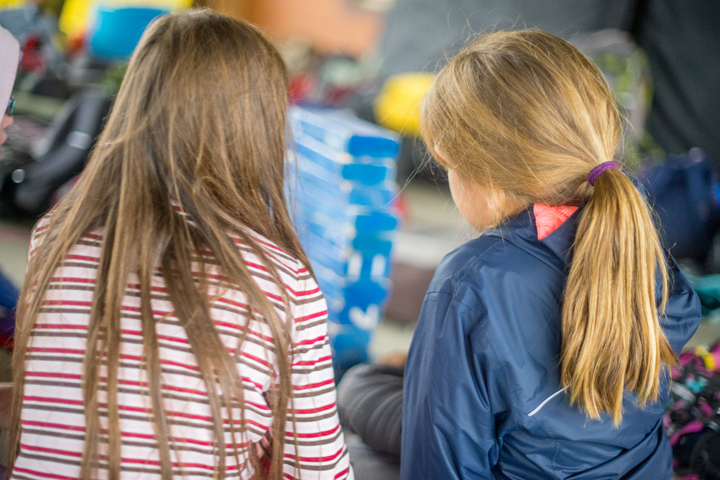 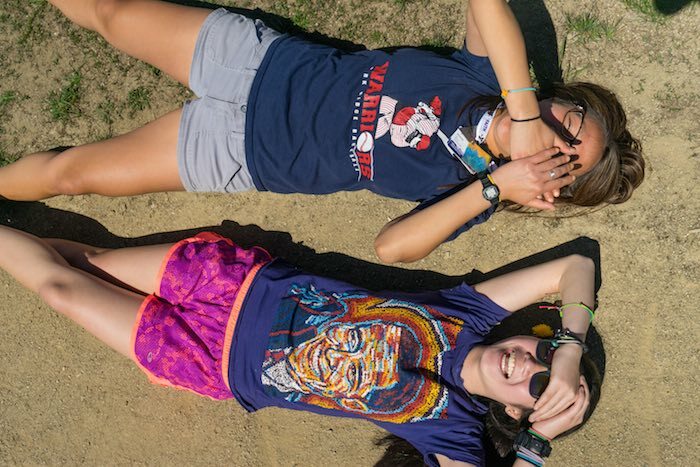 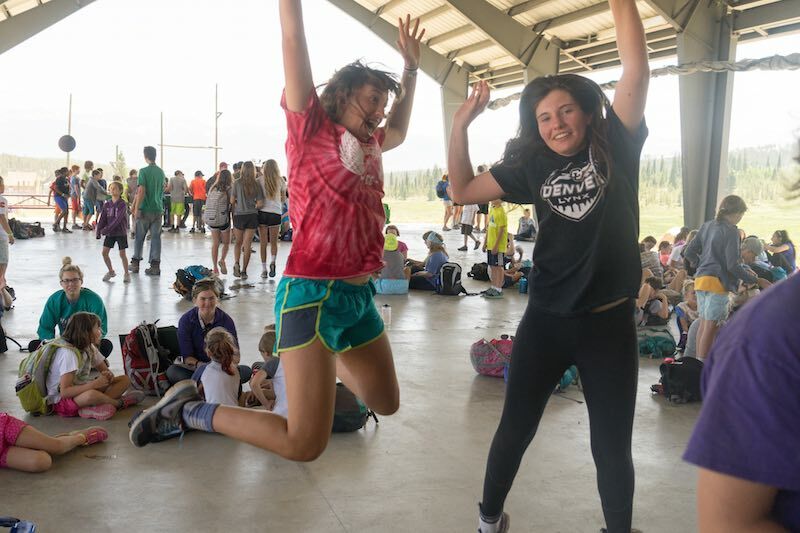 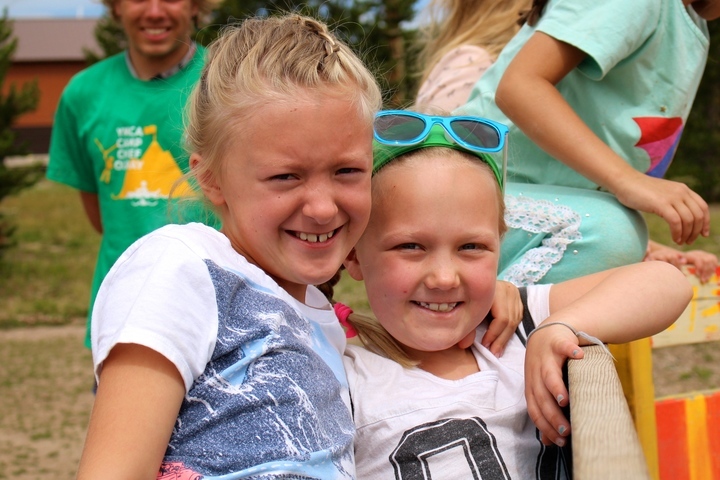 You can even bring a friend to share the camp experience with you! 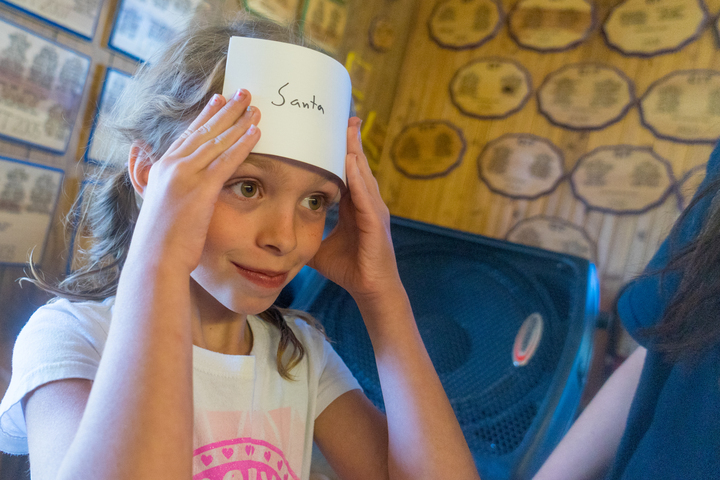 If you sign up with a friend of the same age we will be able to place you in the same cabin. 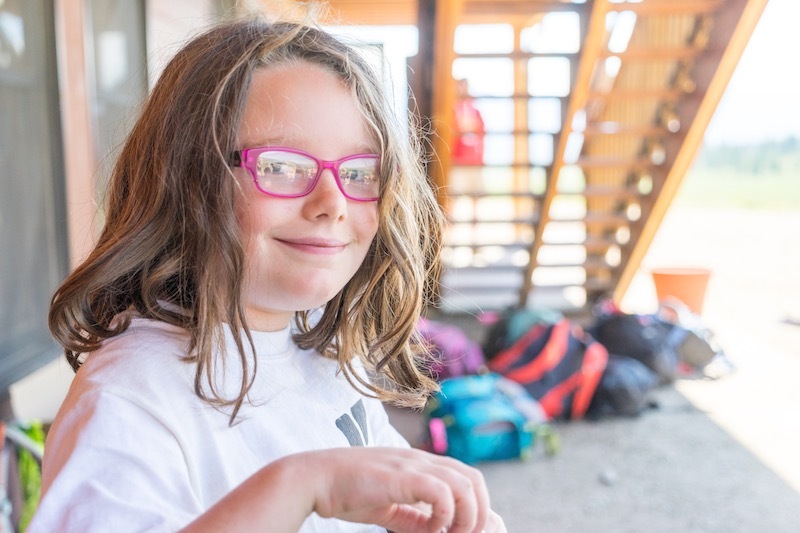 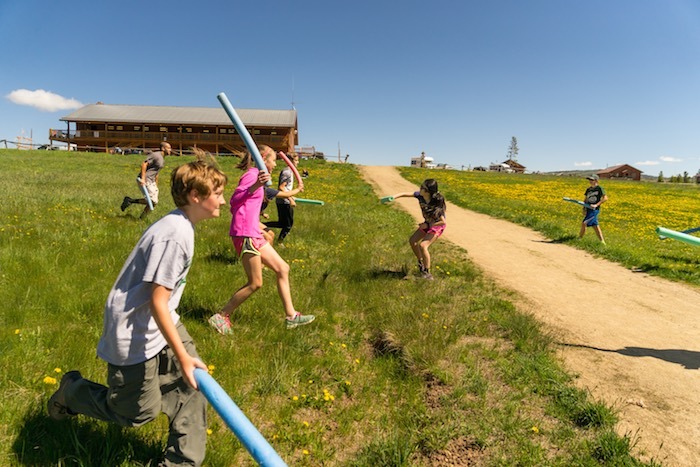 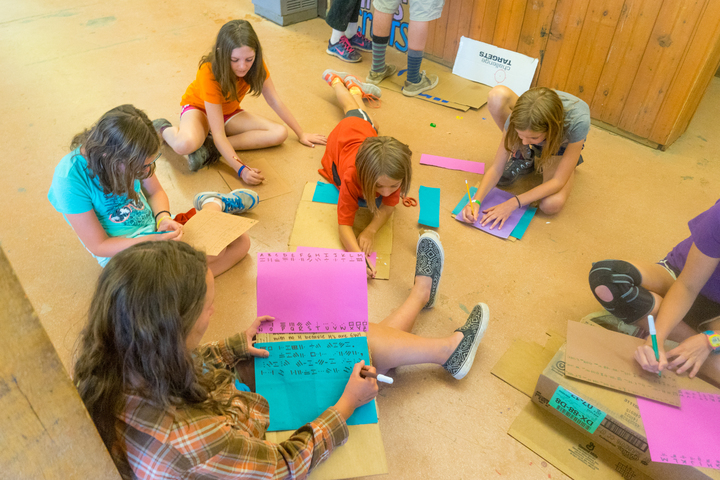 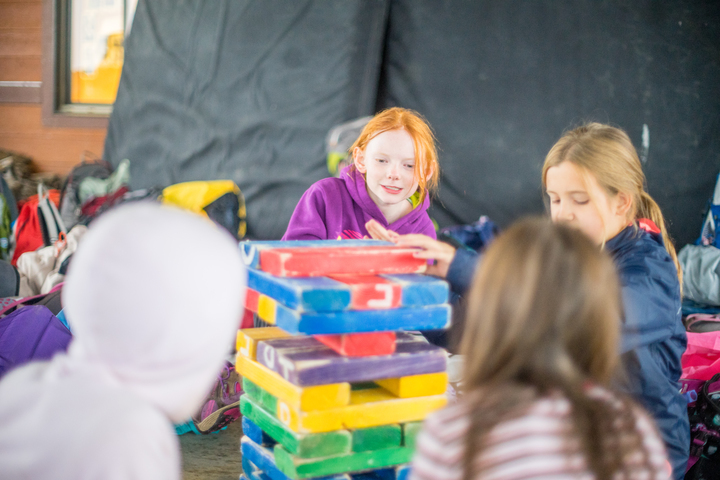 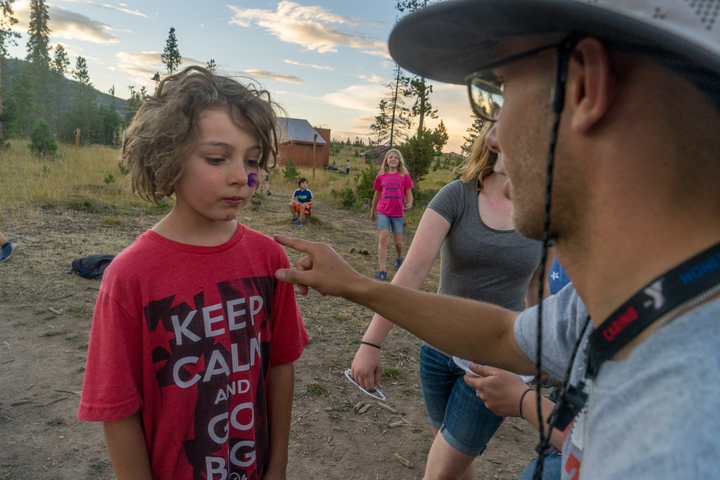 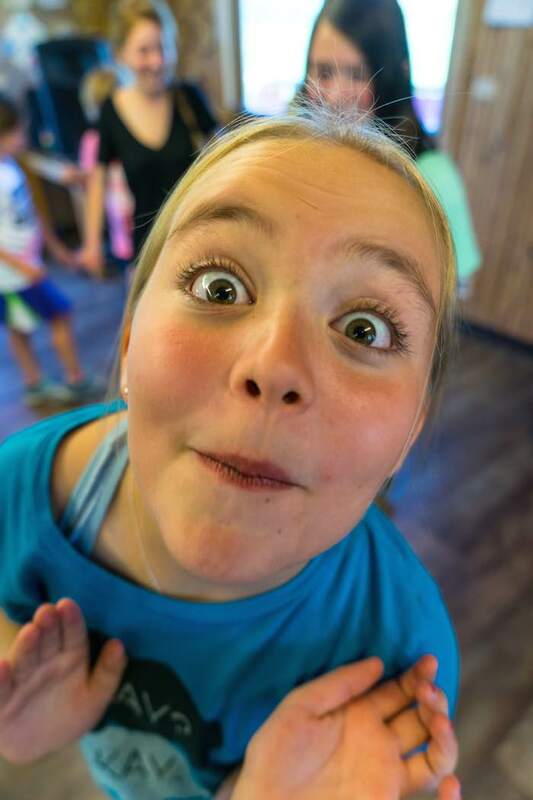 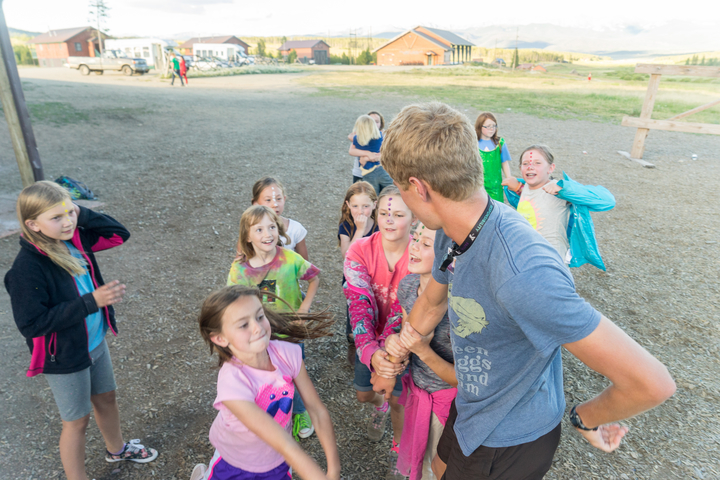 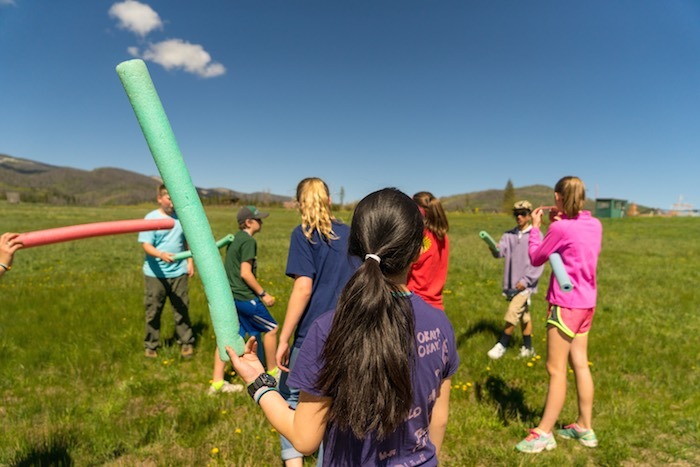 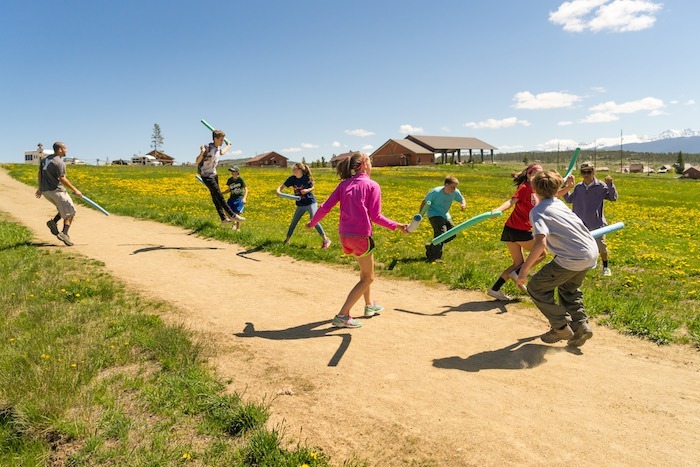 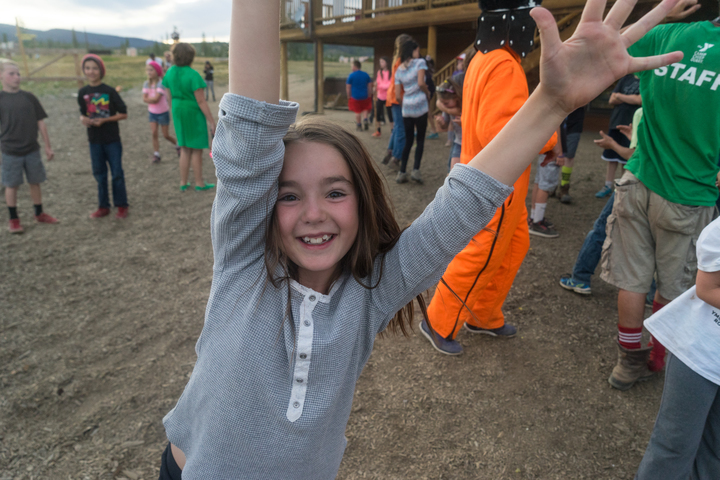 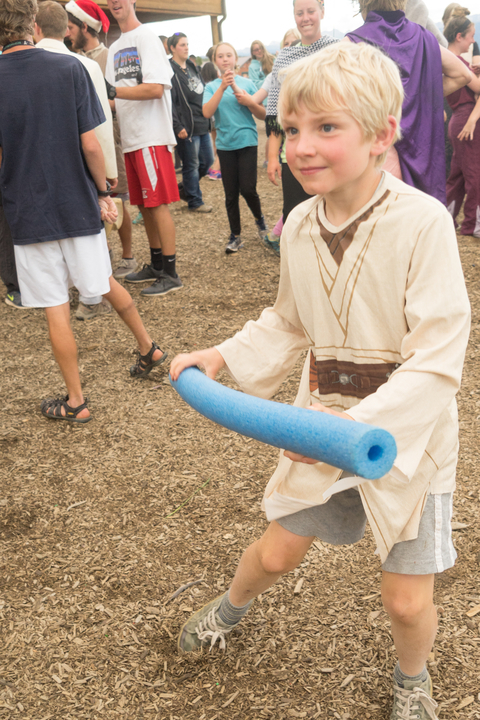 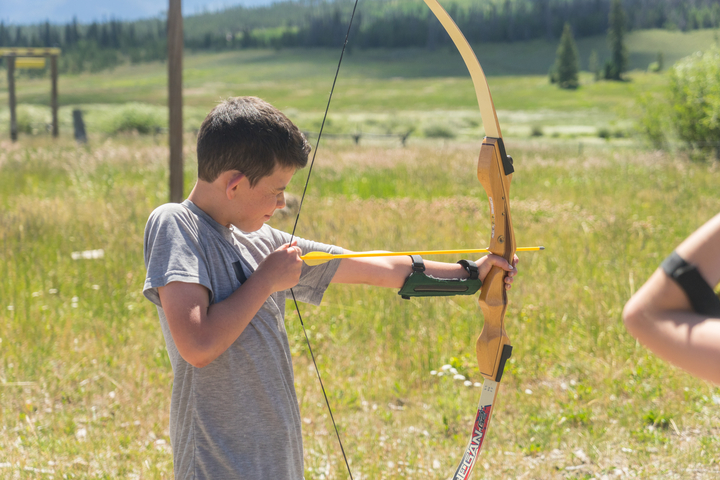 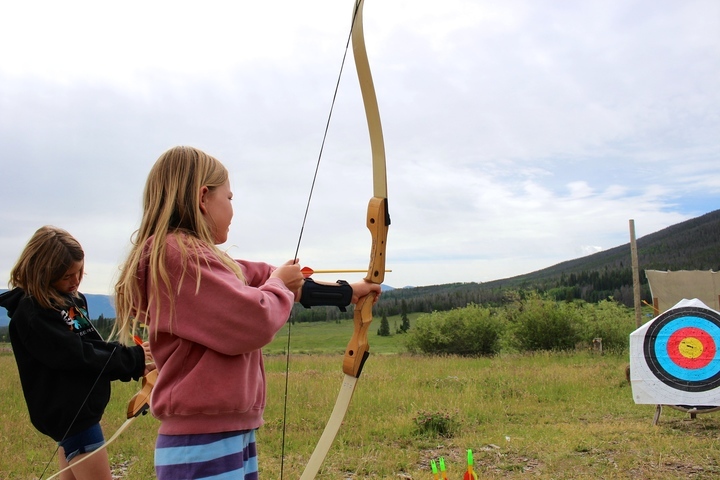 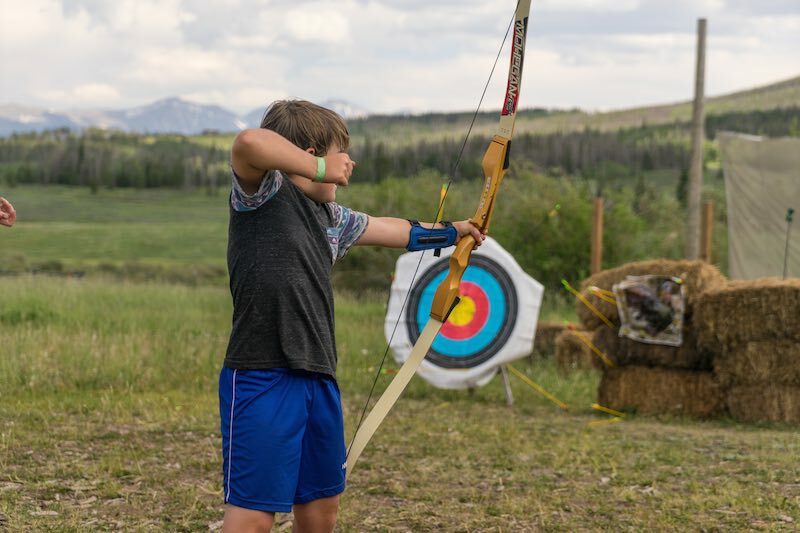 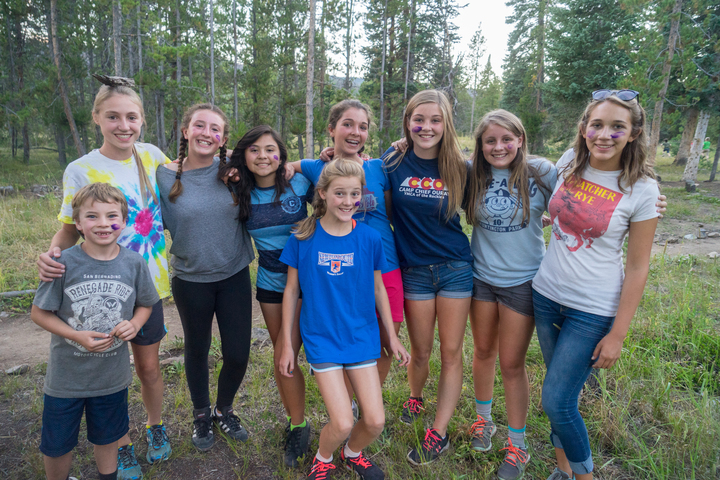 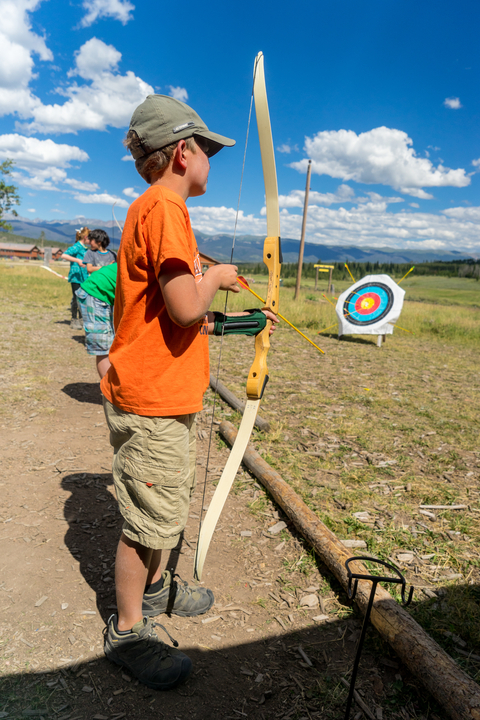 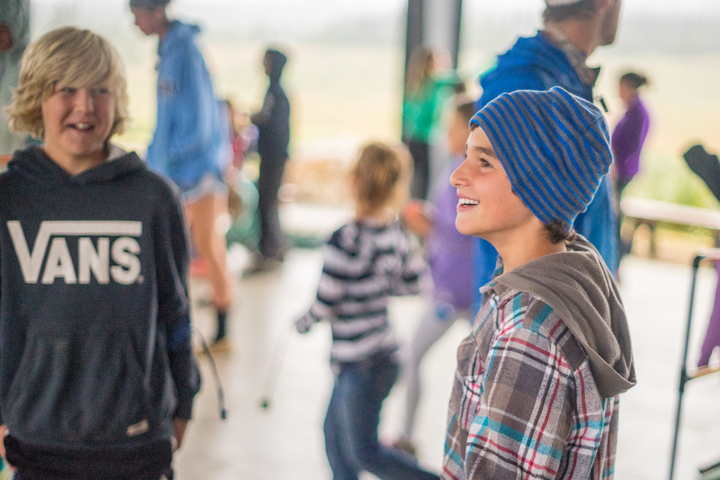 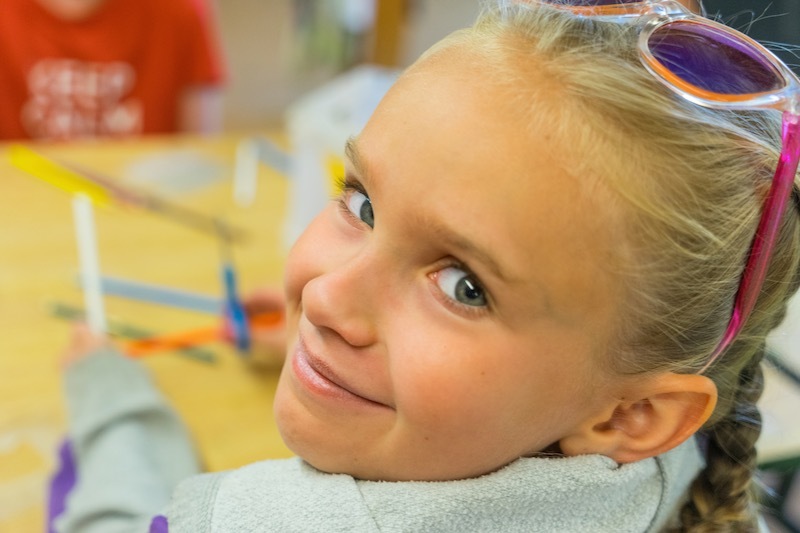 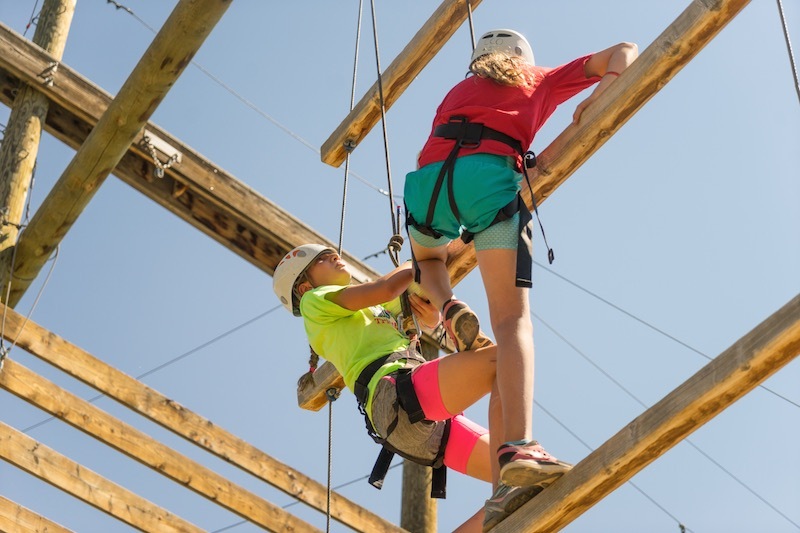 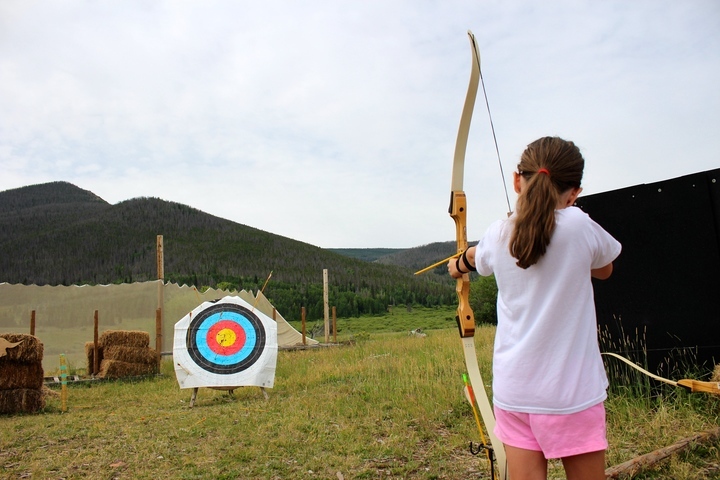 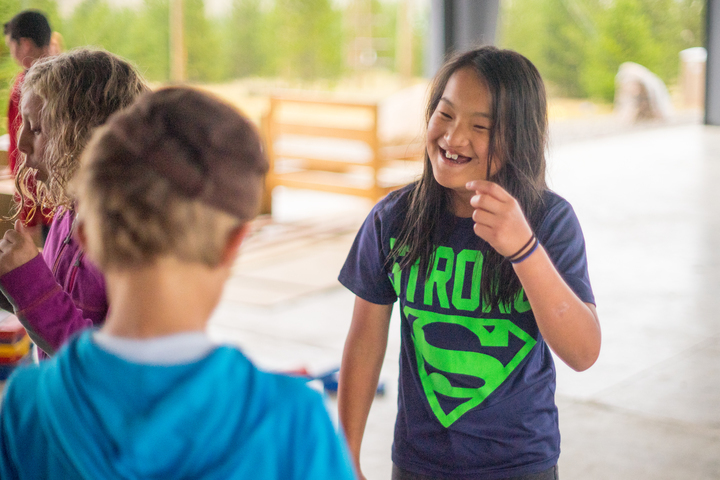 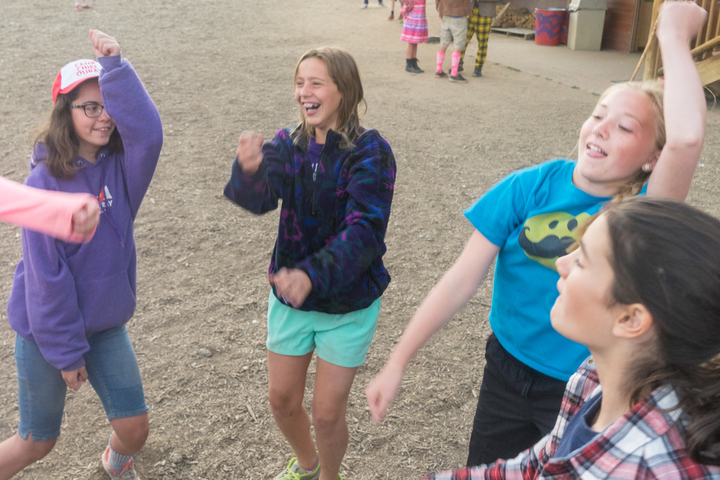 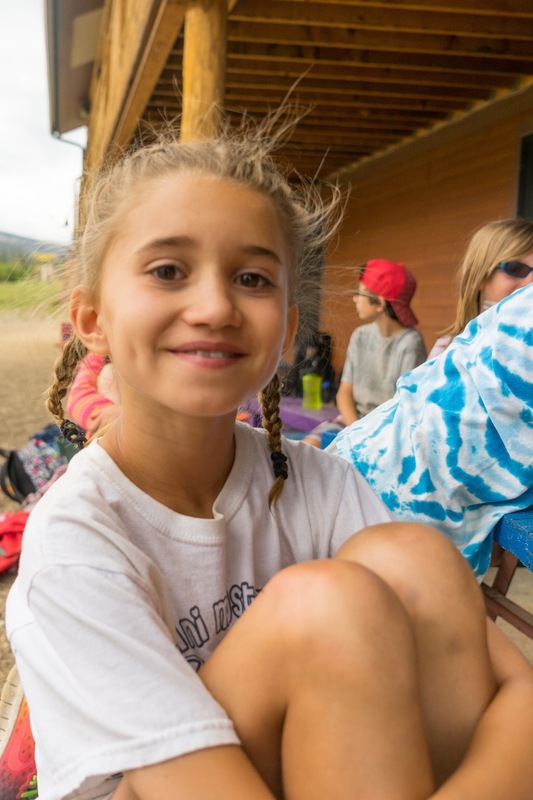 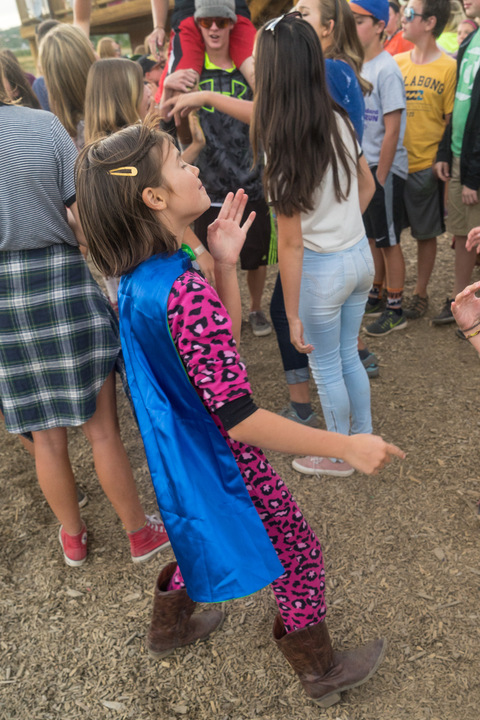 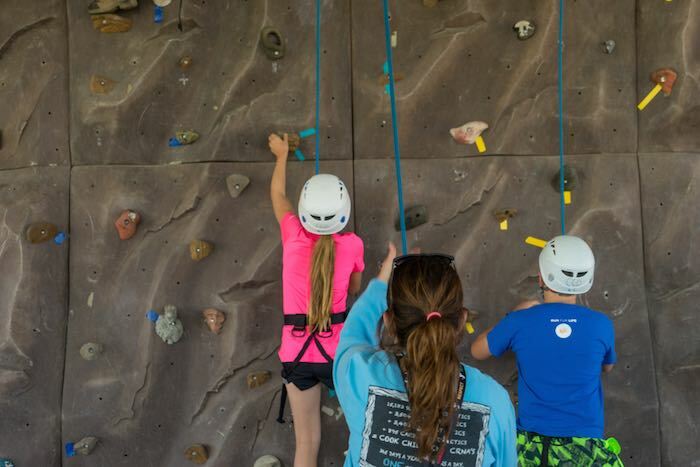 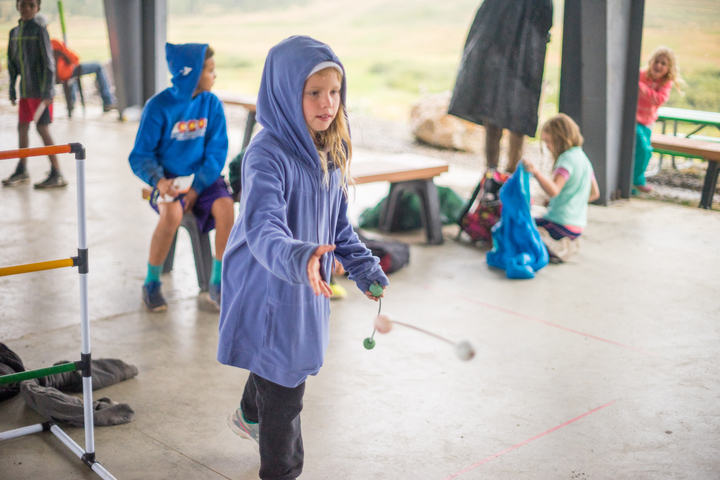 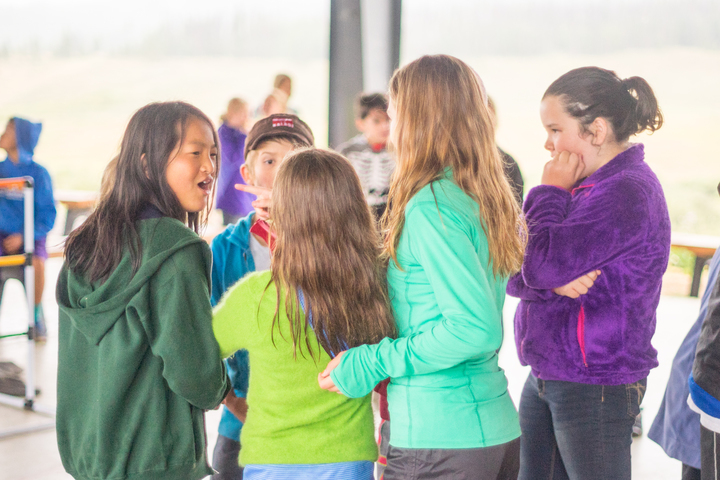 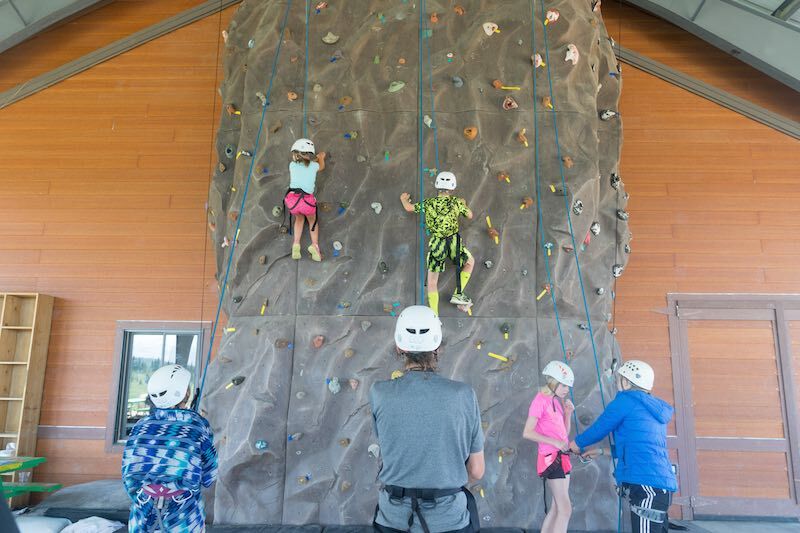 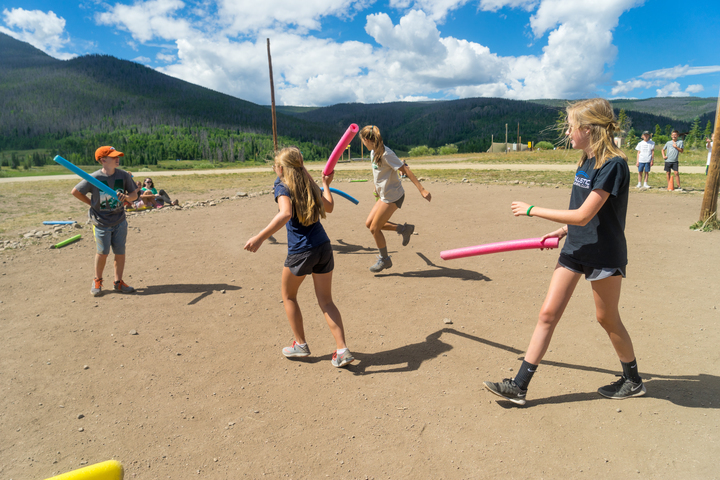 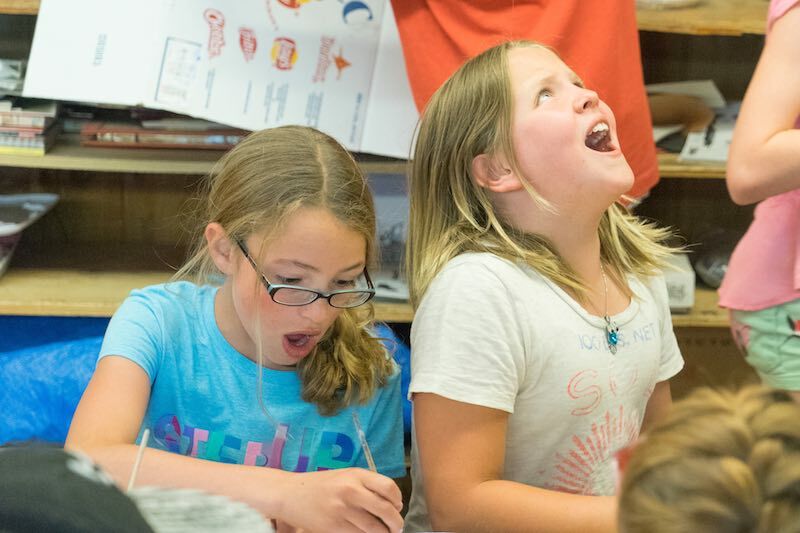 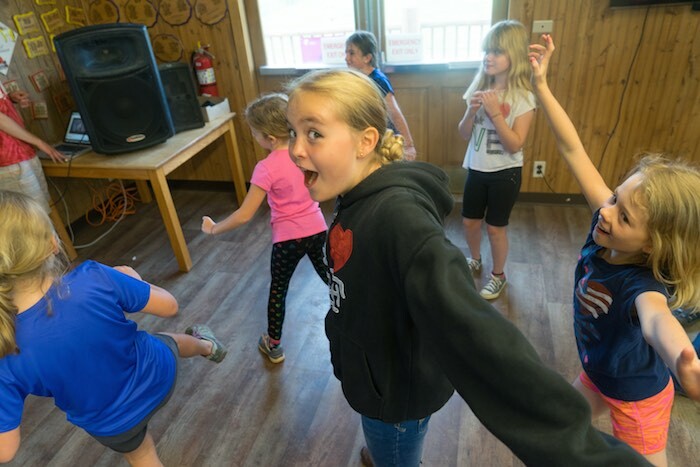 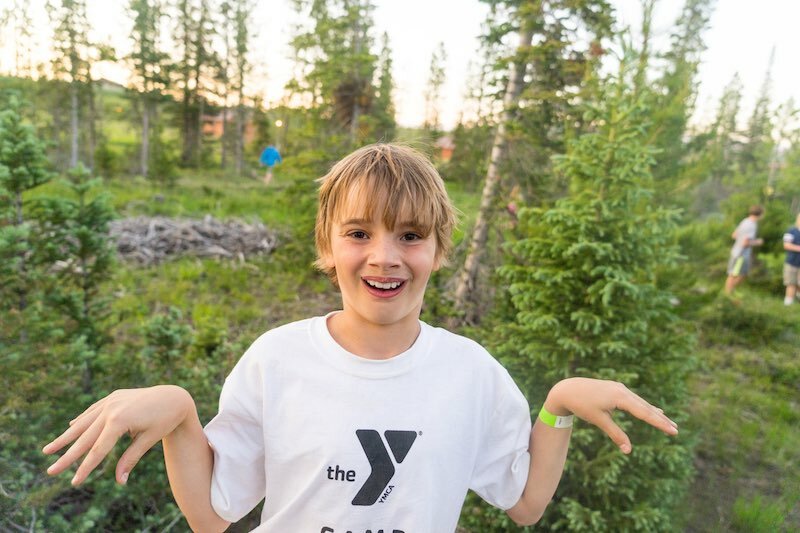 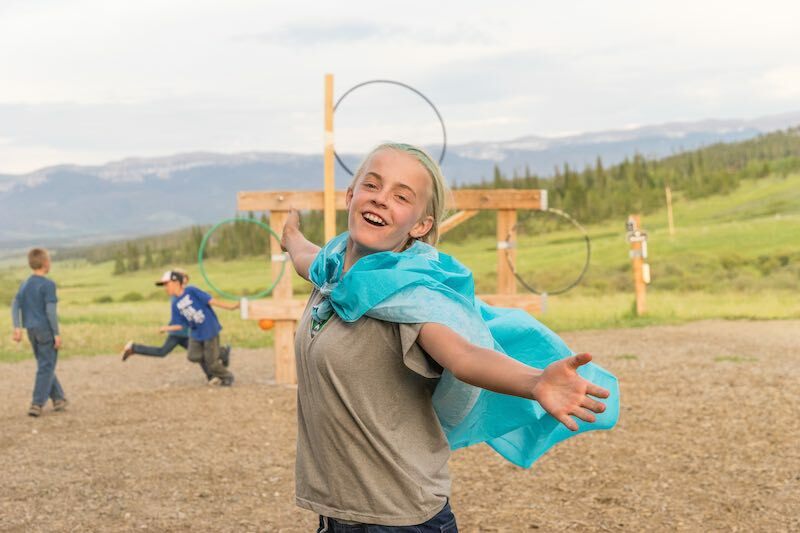 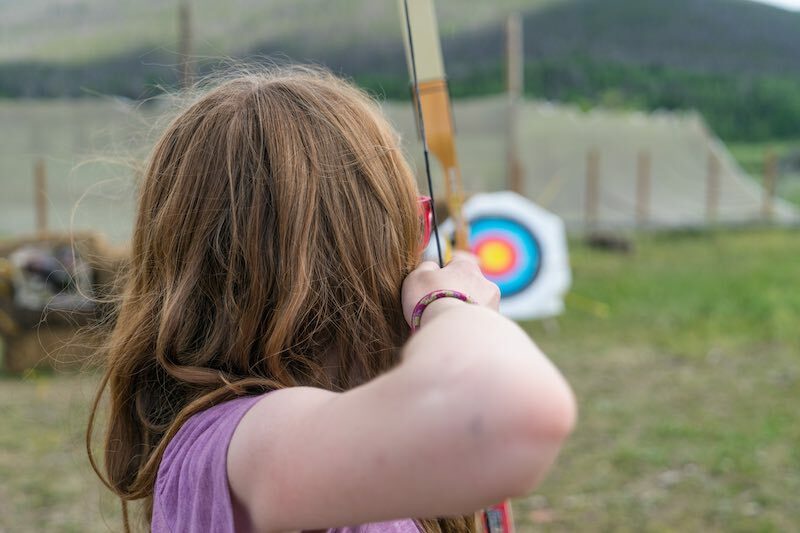 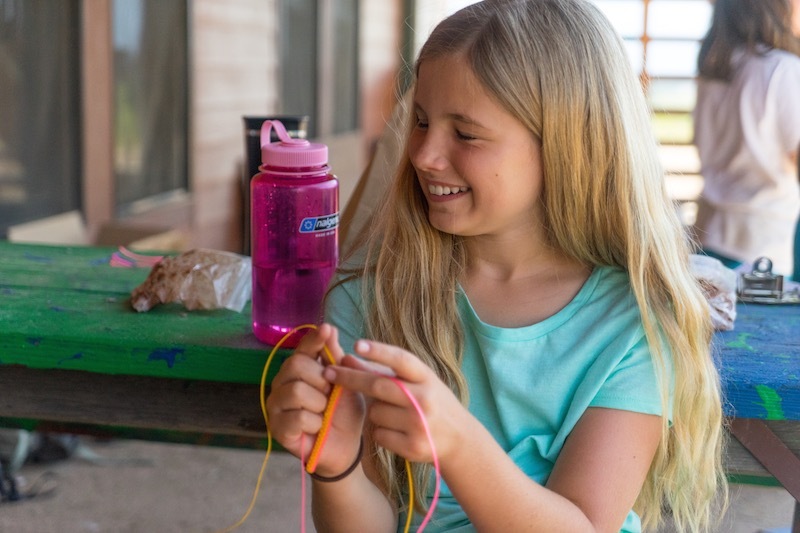 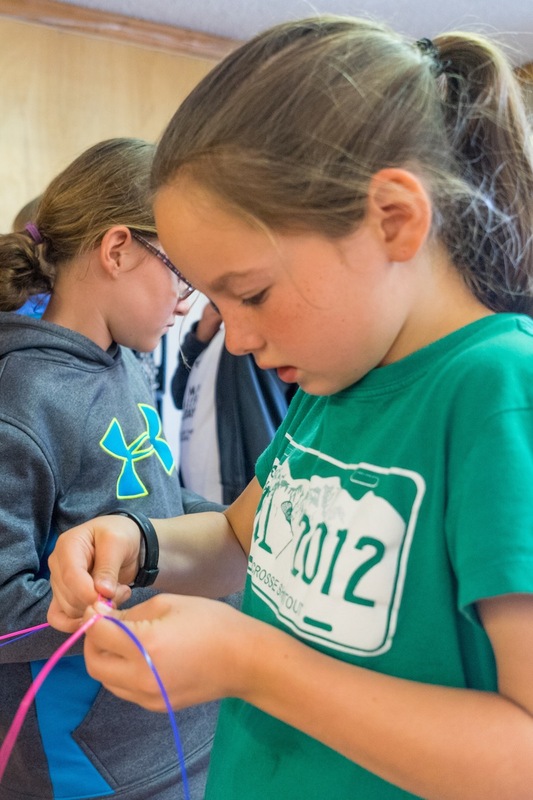 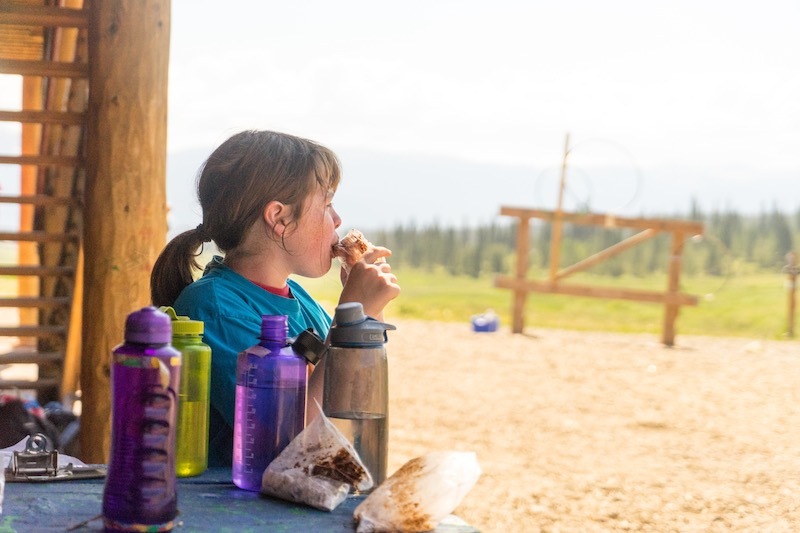 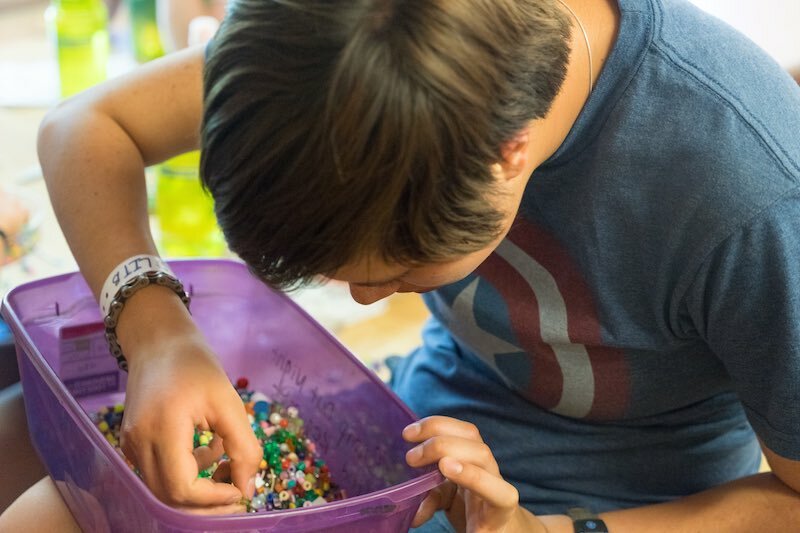 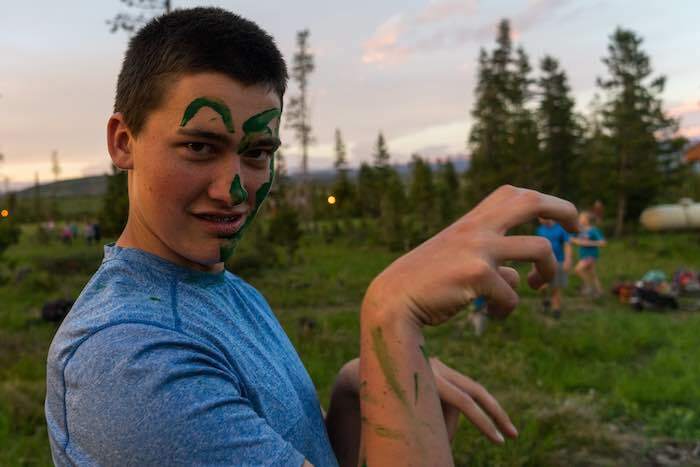 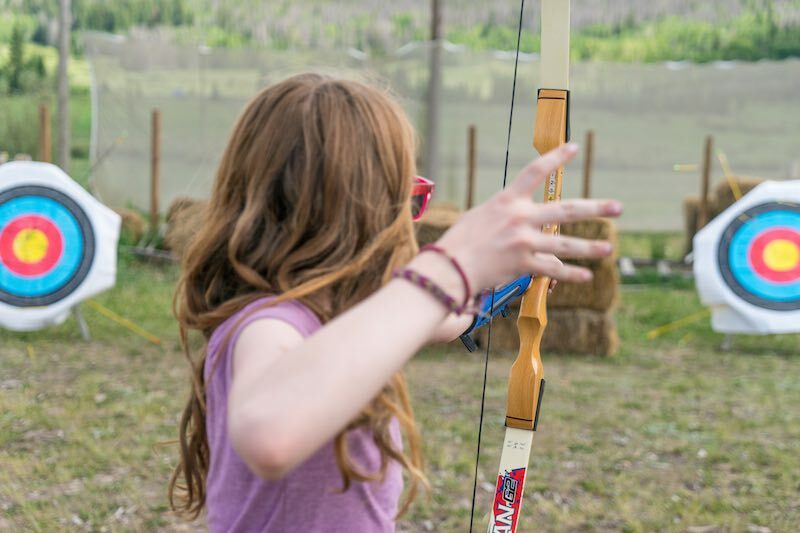 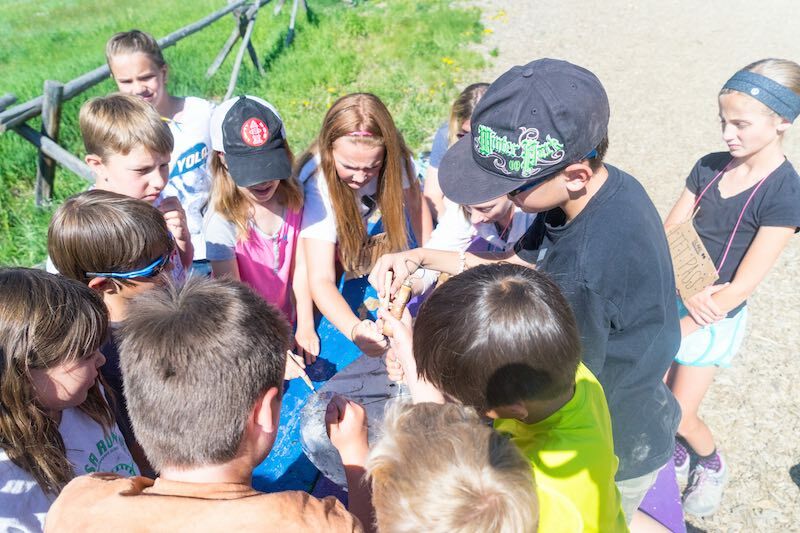 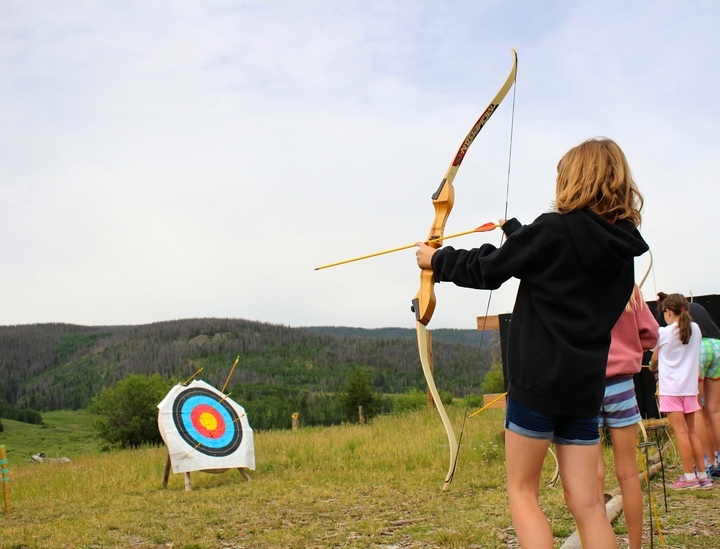 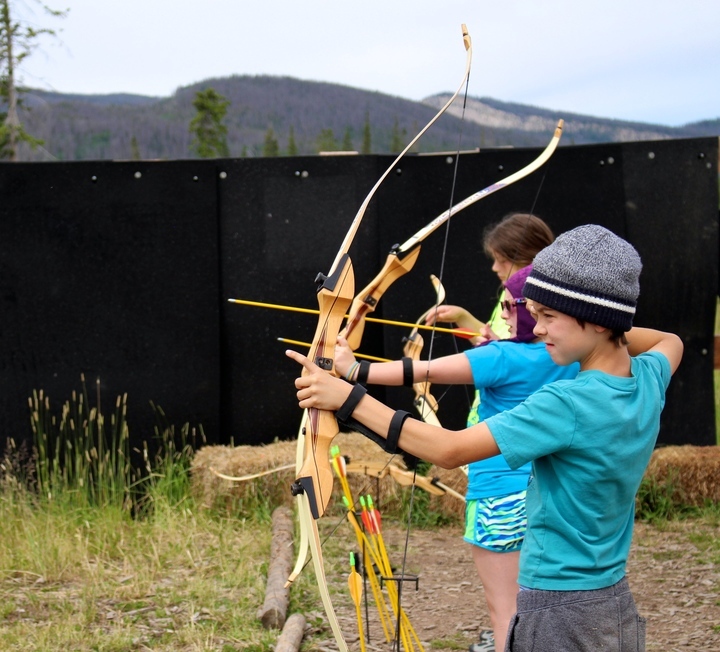 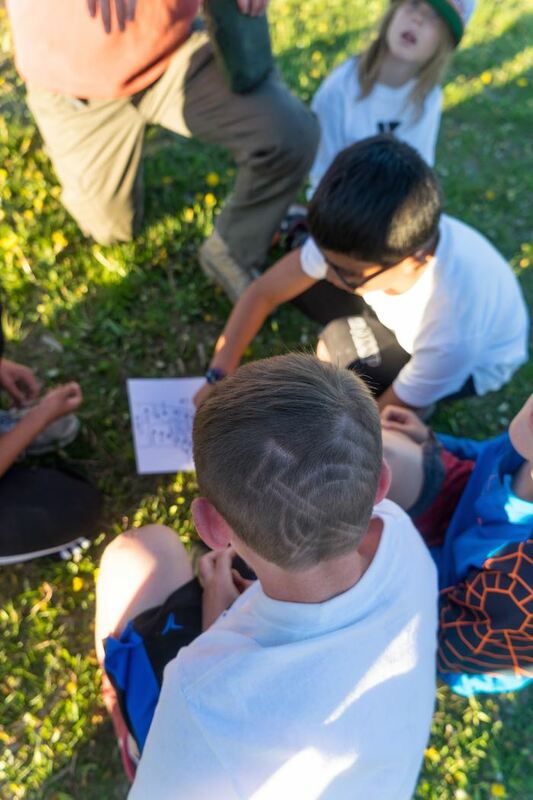 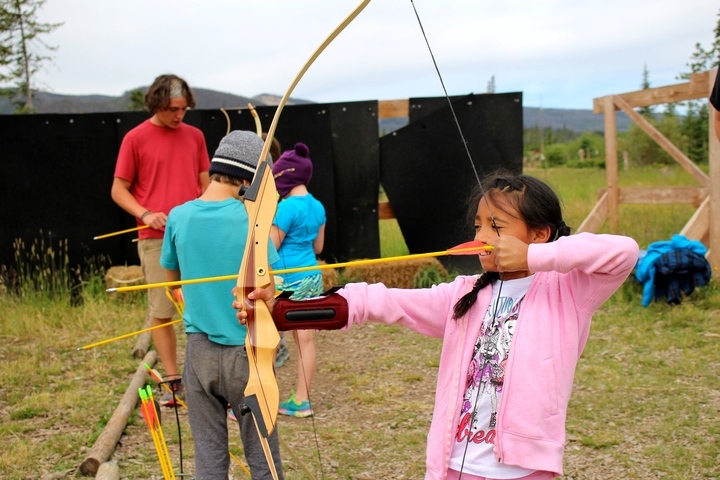 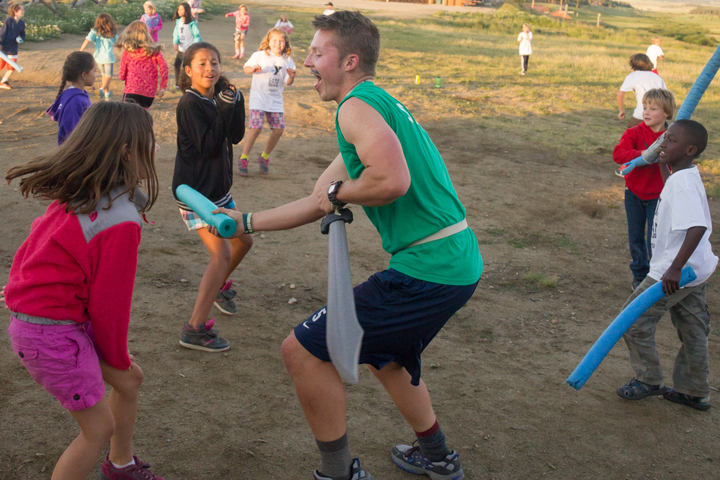 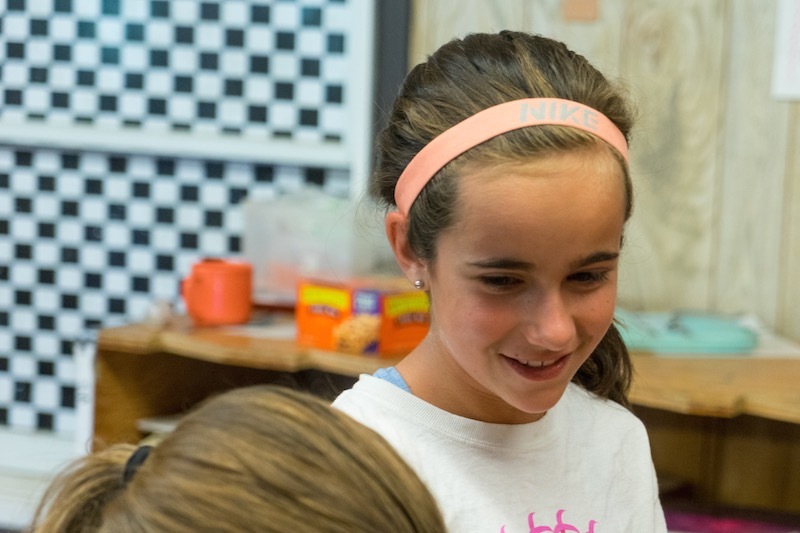 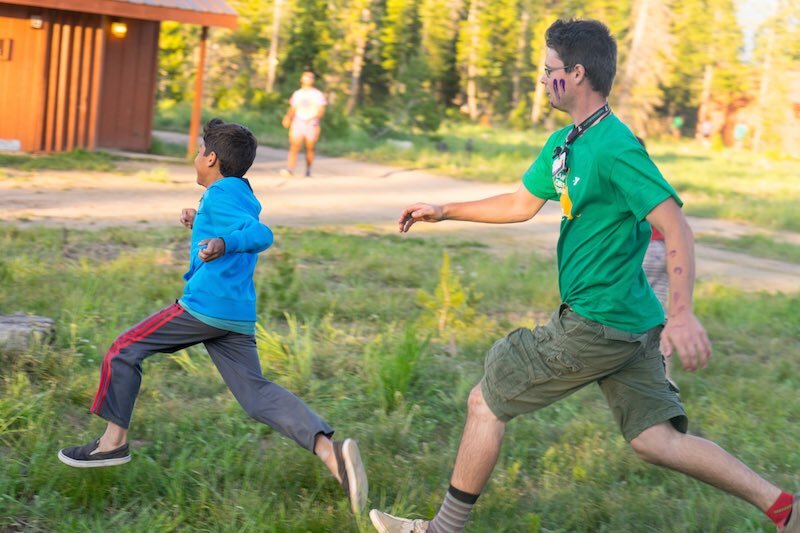 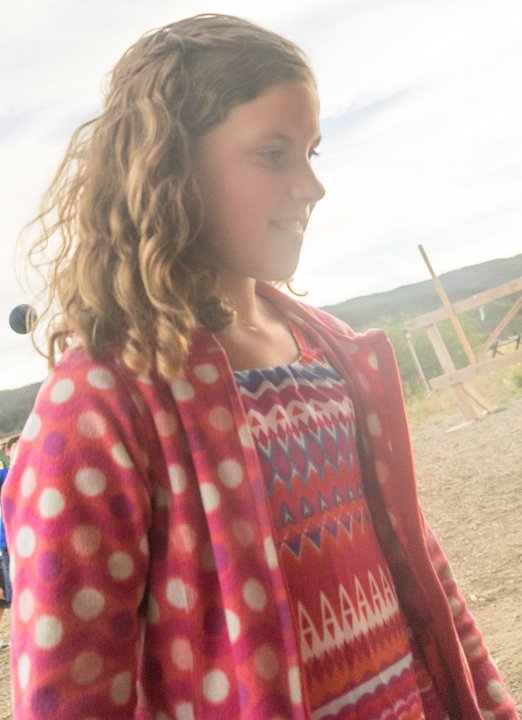 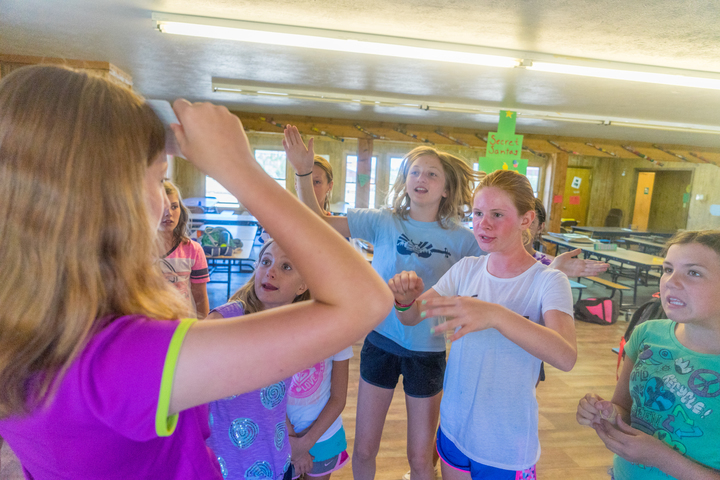 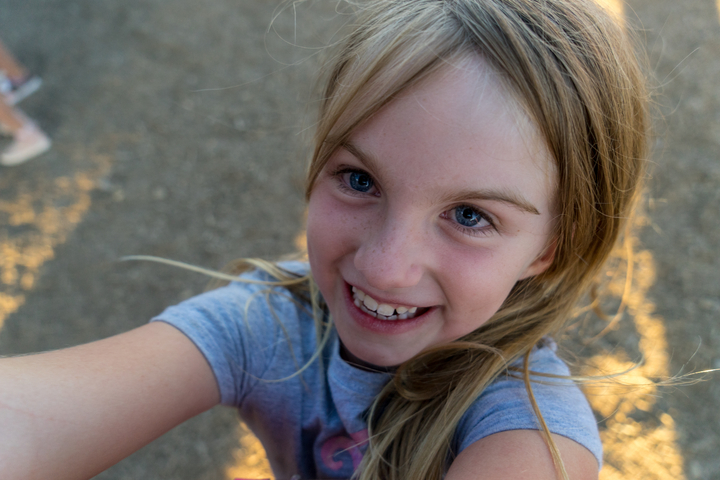 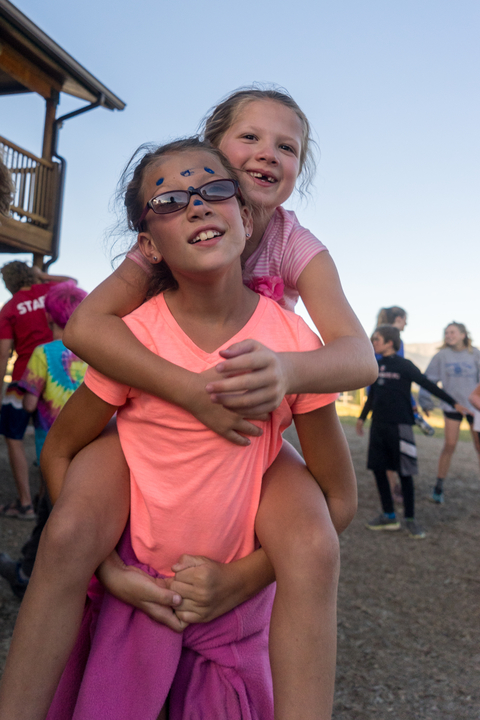 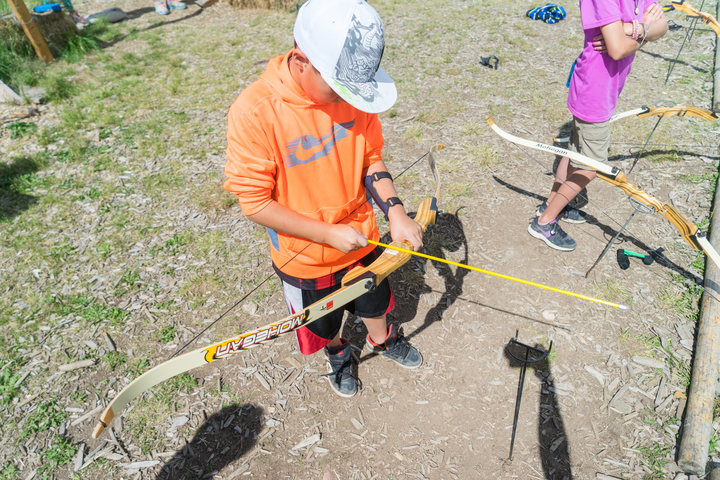 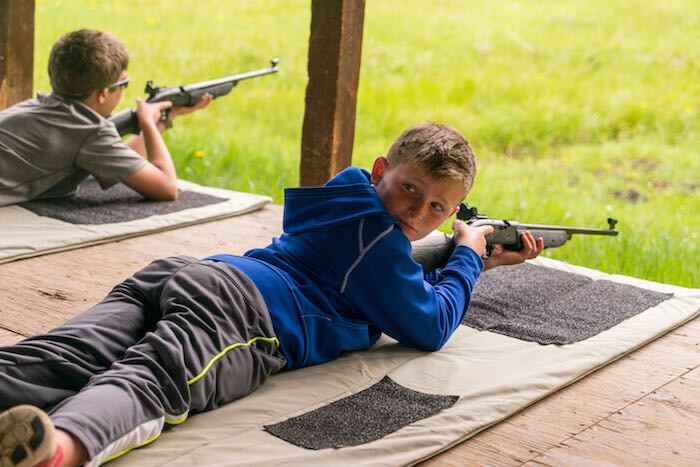 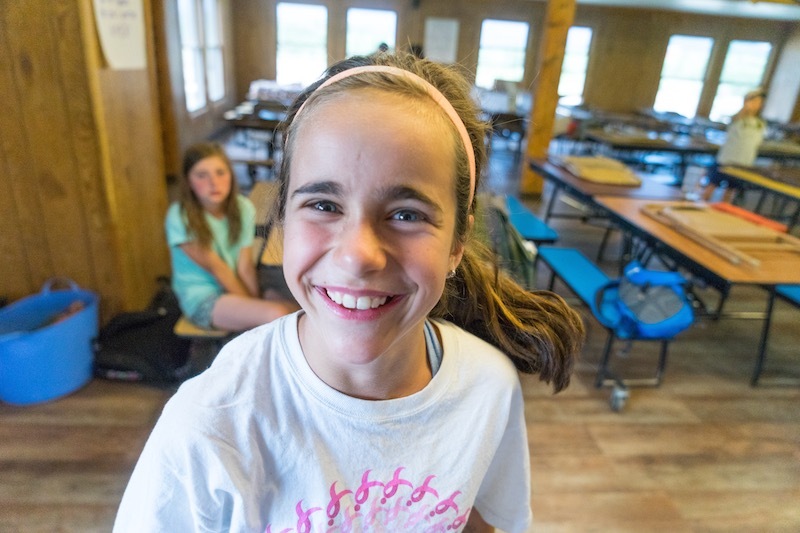 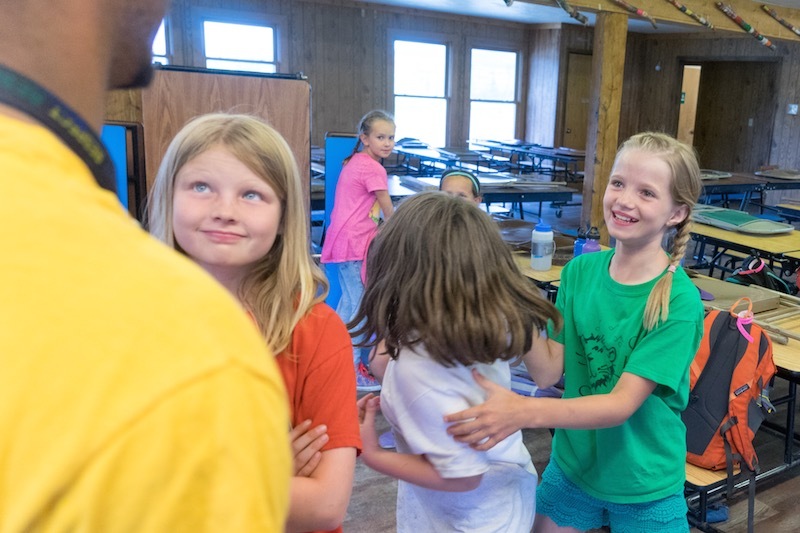 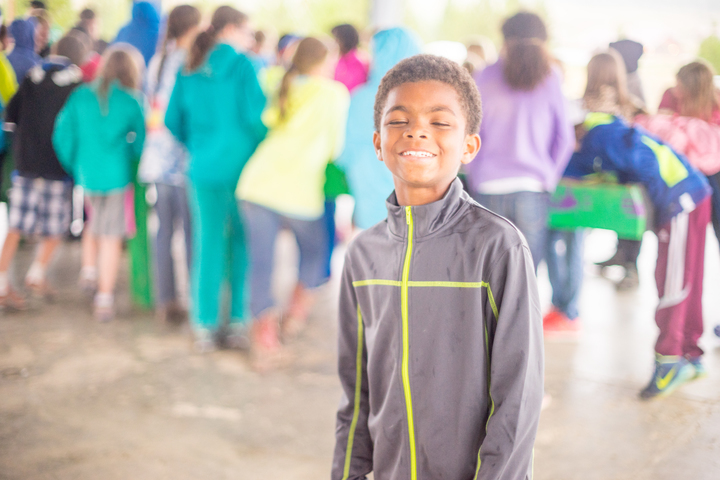 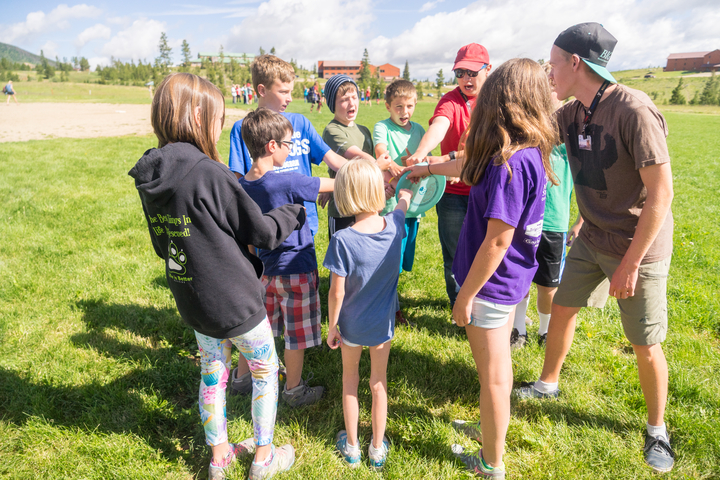 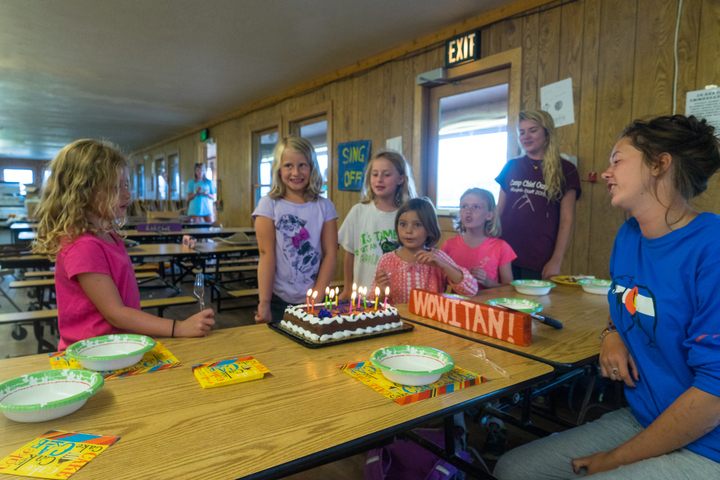 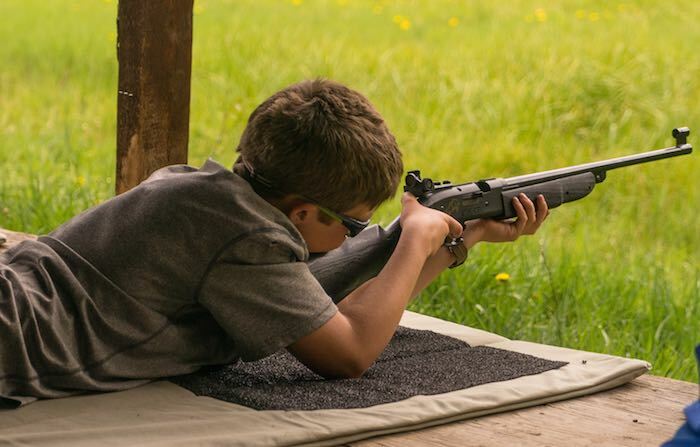 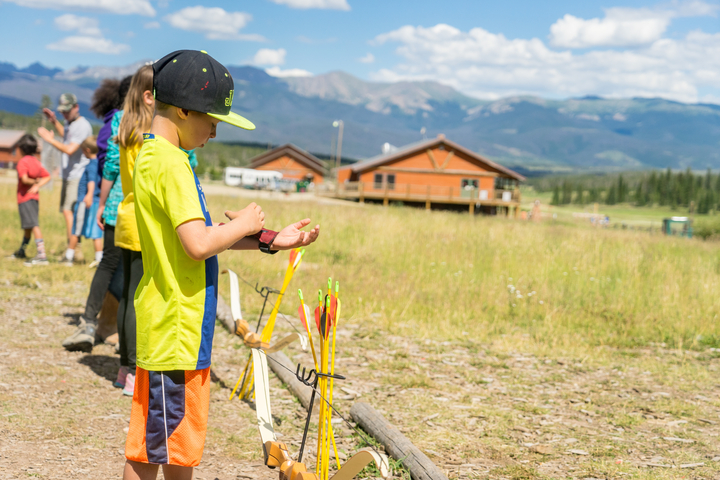 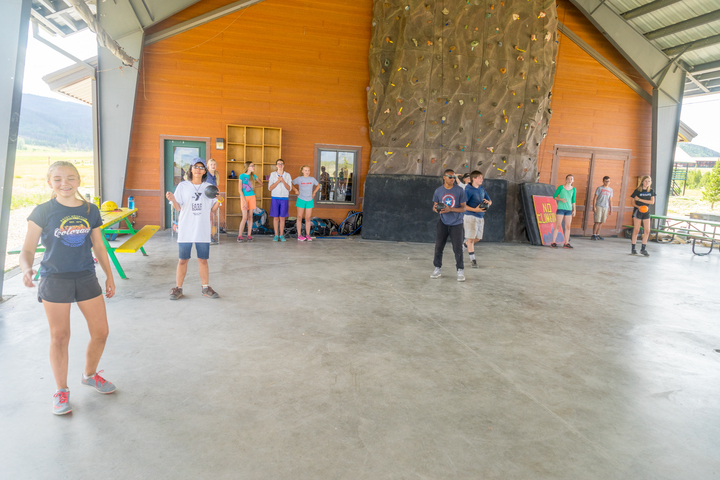 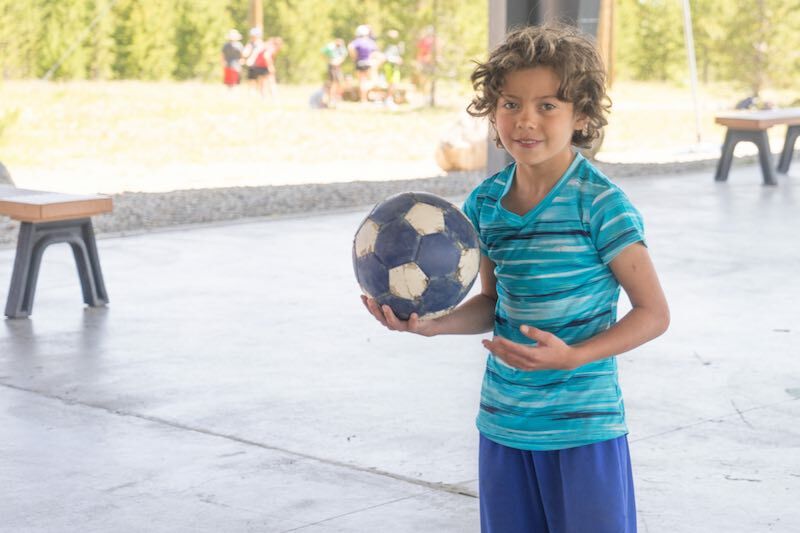 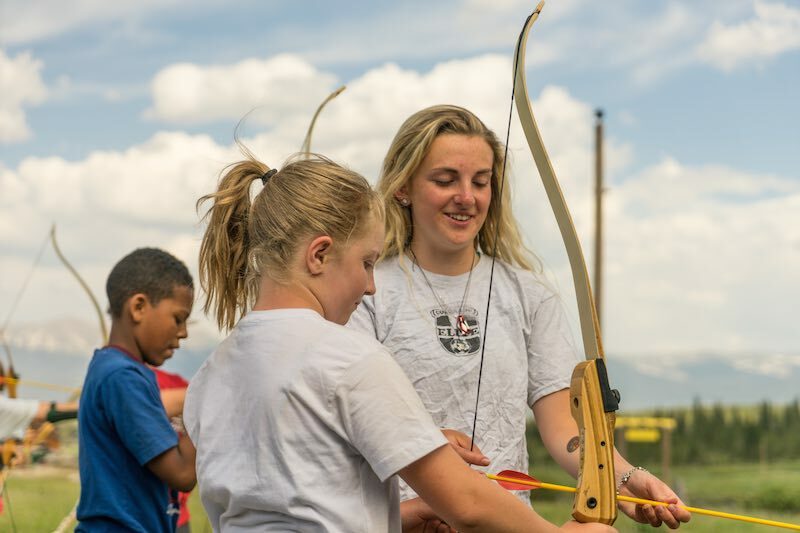 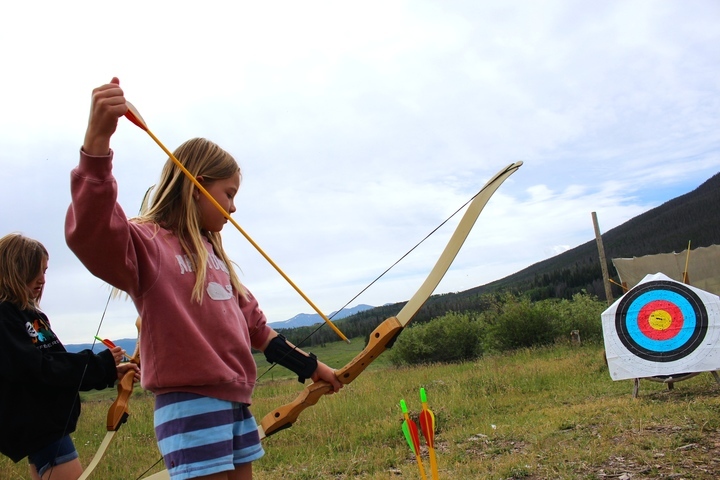 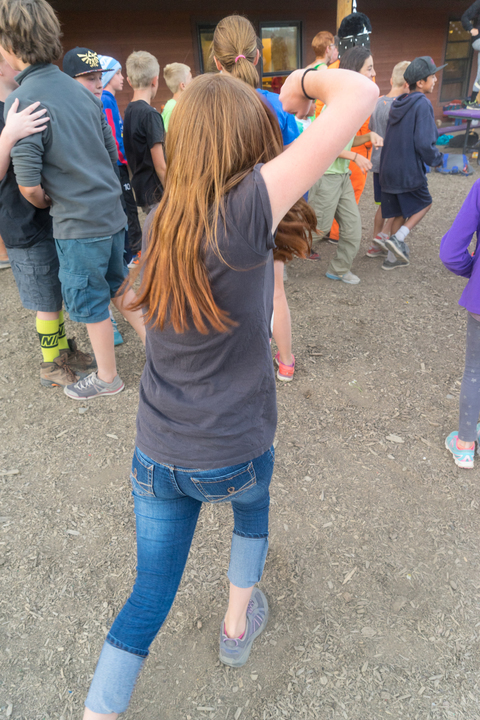 During your week of camp you will learn to shoot an arrow at the archery range, learn how to build a fire, sleep under the stars on Campout night, sing silly songs with your cabin at dinner, and dress up like your favorite super hero during a game of capture the flag. 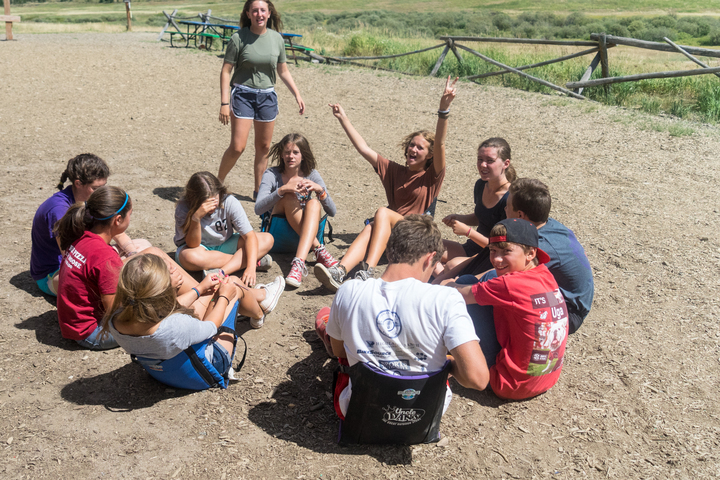 At CCO, boredom is simply not an option!! 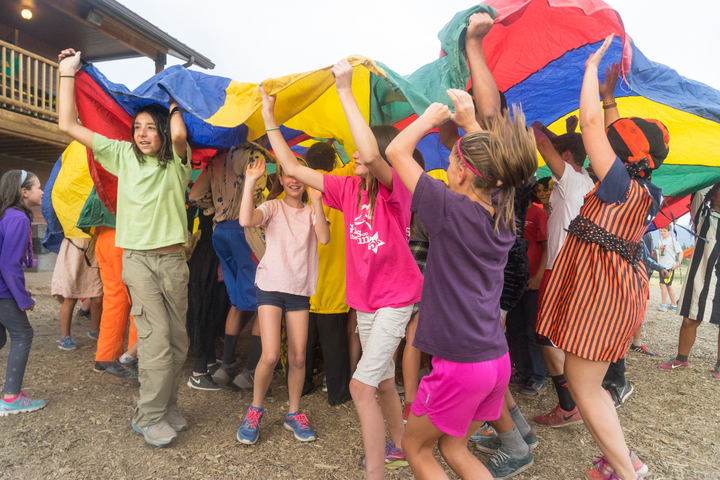 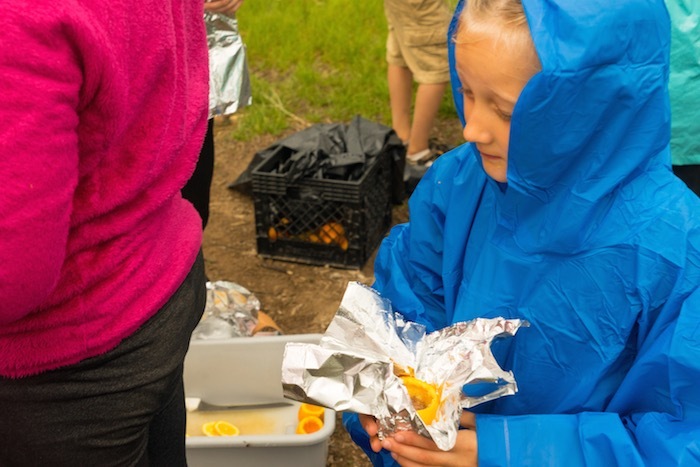 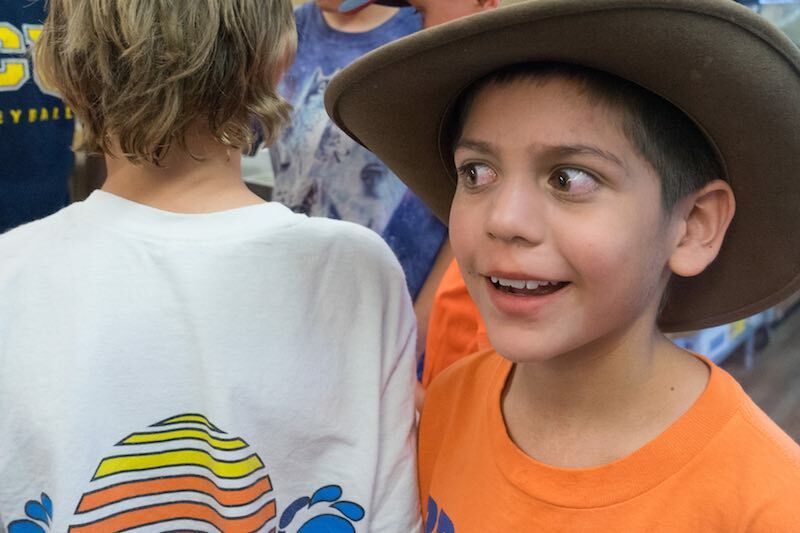 The Challenger Program is for the oldest campers in Traditional Camp. 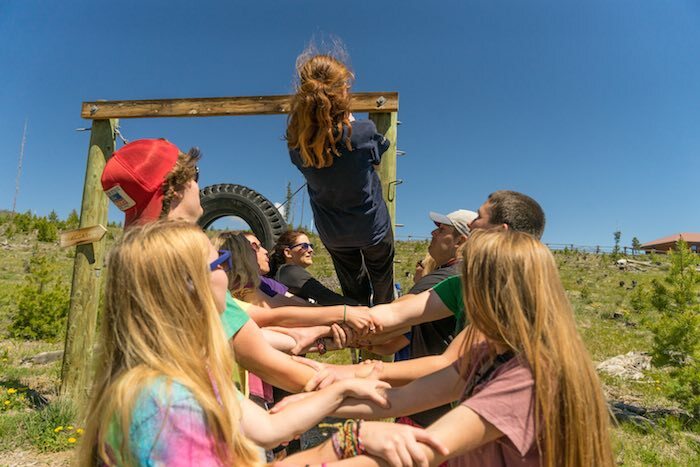 This program offers you a choice of activities and provides an opportunity for greater personal challenge. 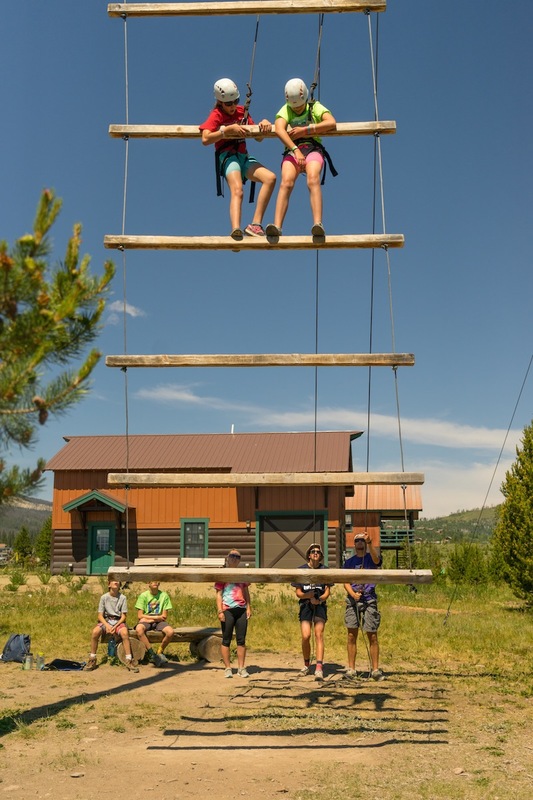 This program is comprised of two cabins, one male (Teton Cabin) and one female (Dakota Cabin). 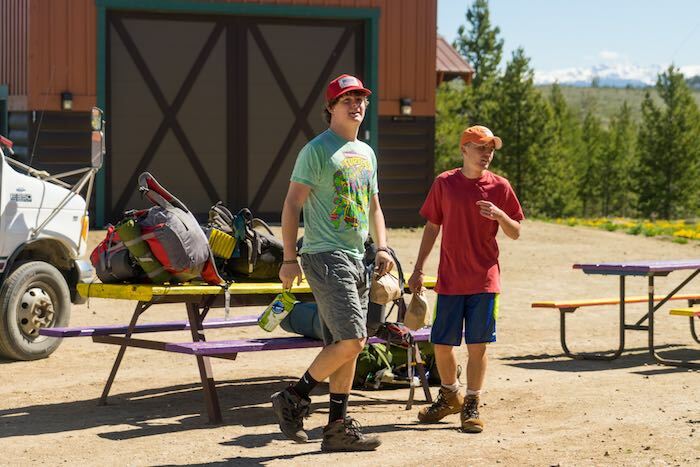 Twenty Challenger campers stay in these larger cabins with three counselors. 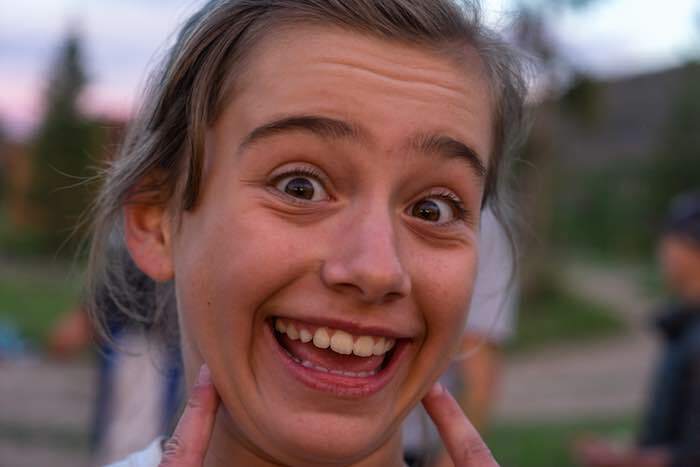 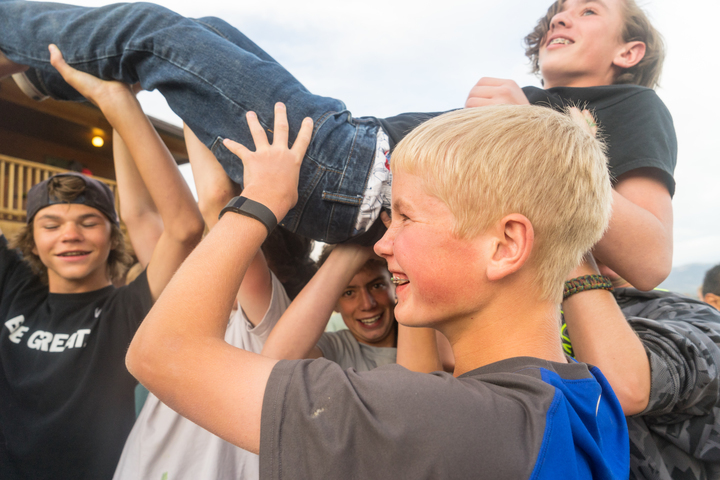 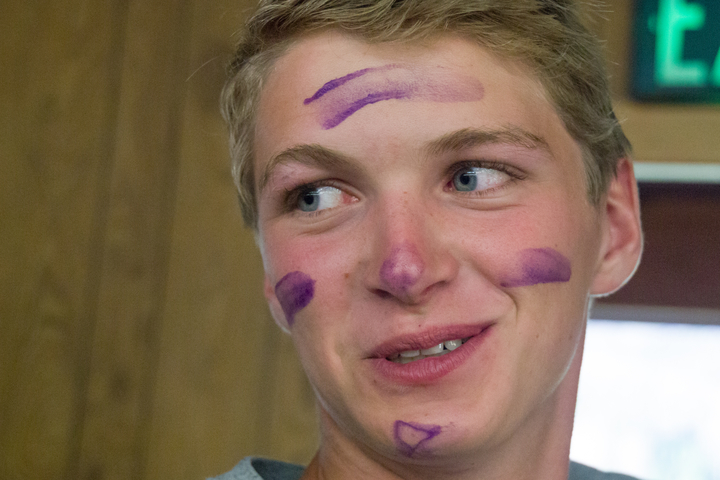 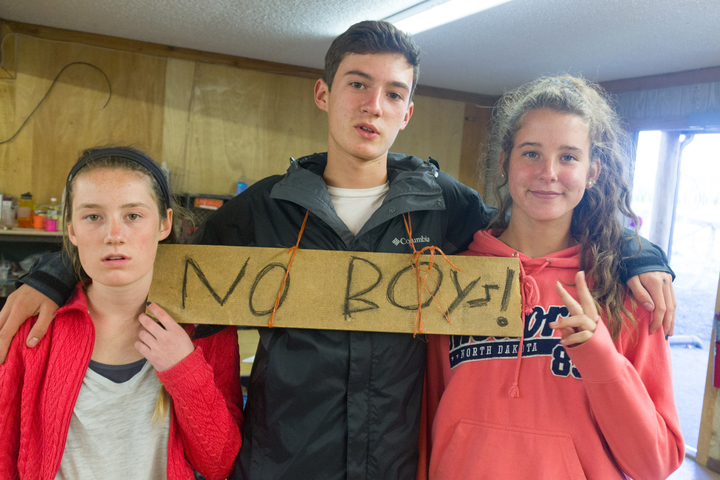 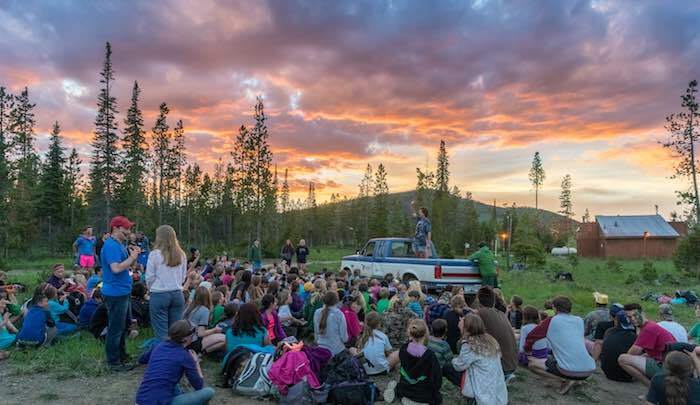 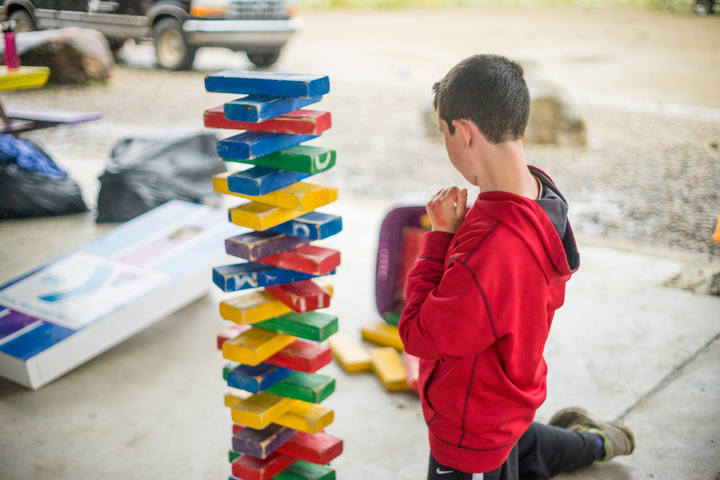 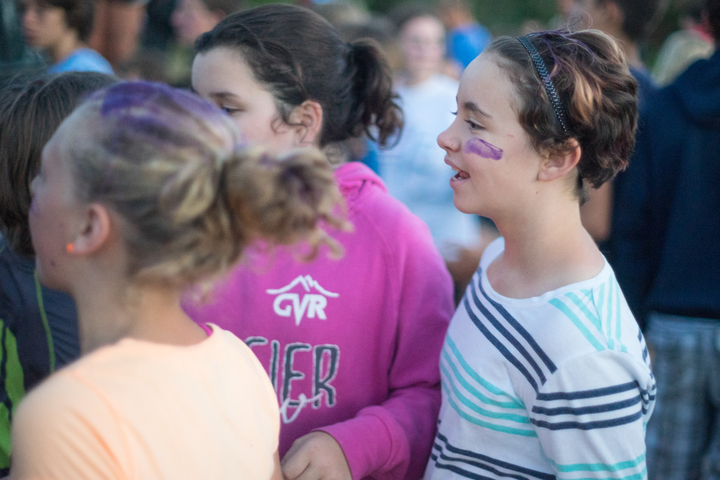 Challengers have their own camp out night and vespers and more time to hang out and just be with campers your age. 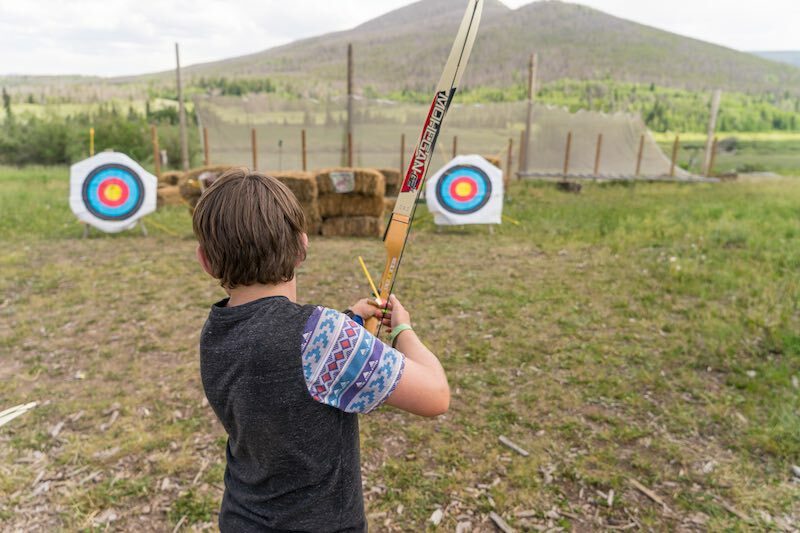 Special Challenger activities may include mountain biking, an all day hike to the 5th peak of Snow Mountain, dinner at Tipi Village and more. 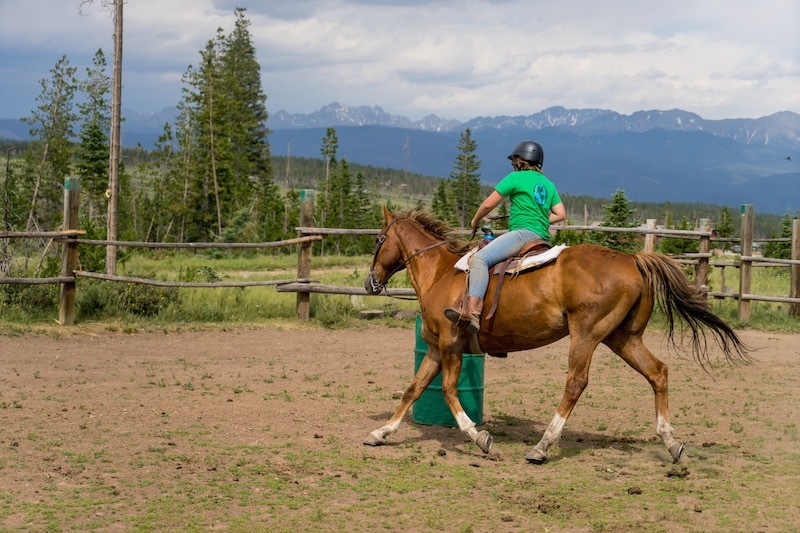 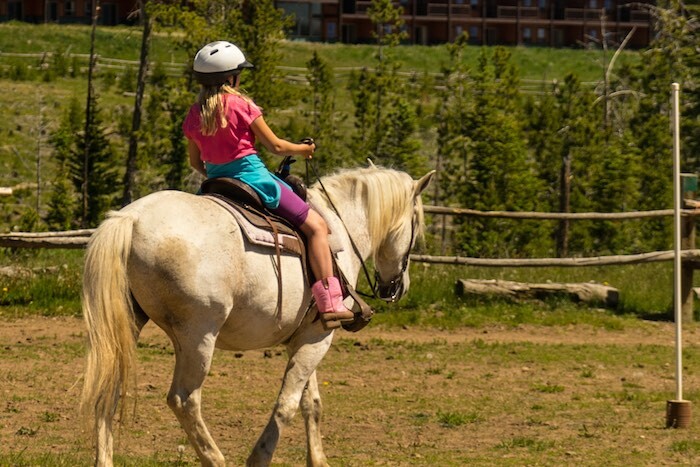 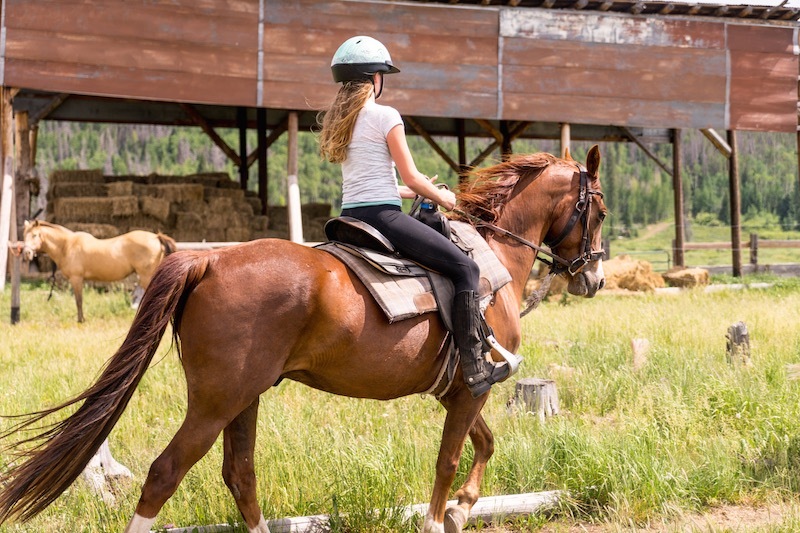 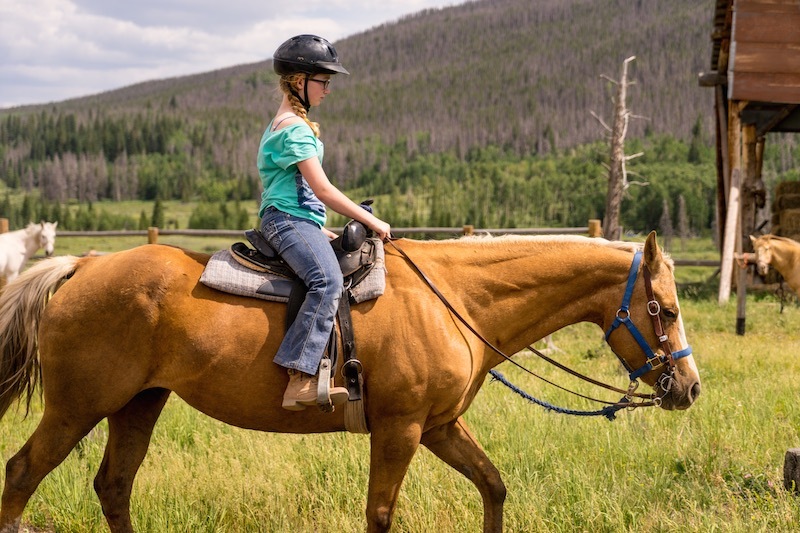 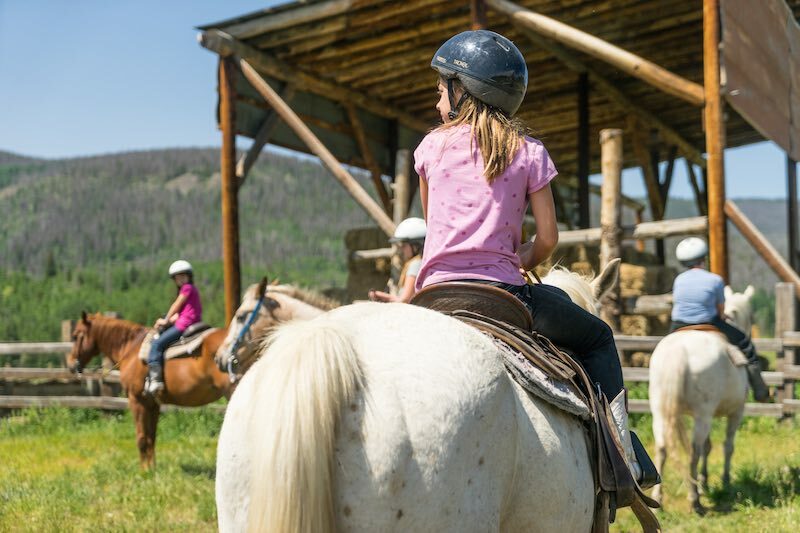 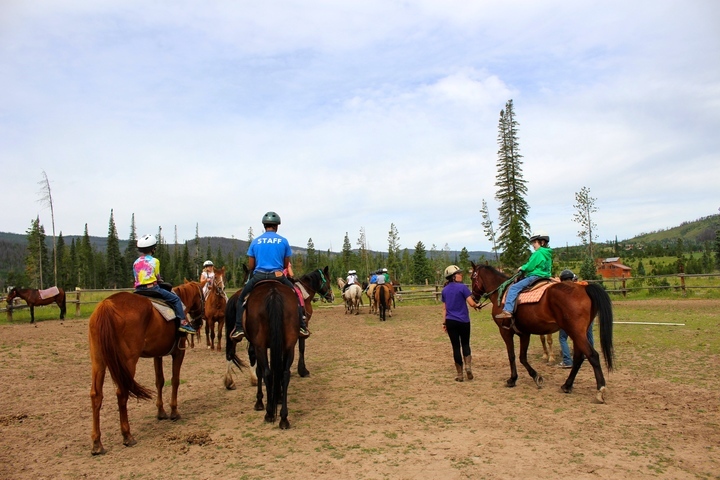 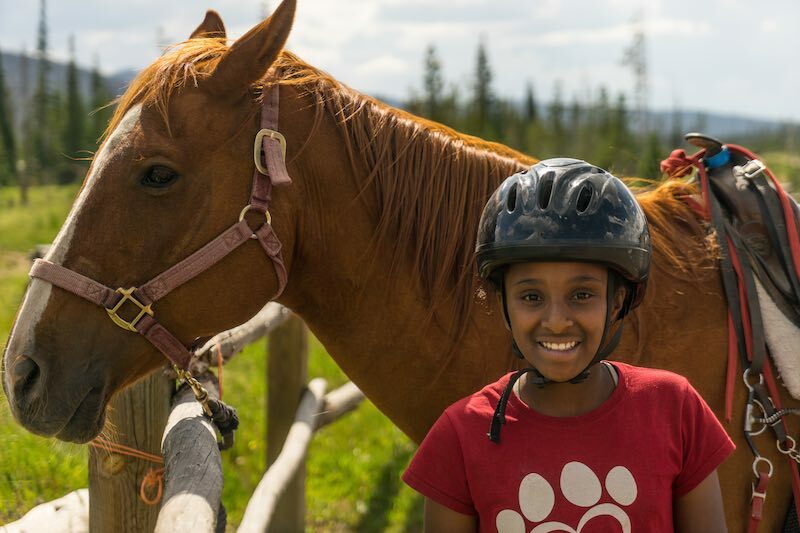 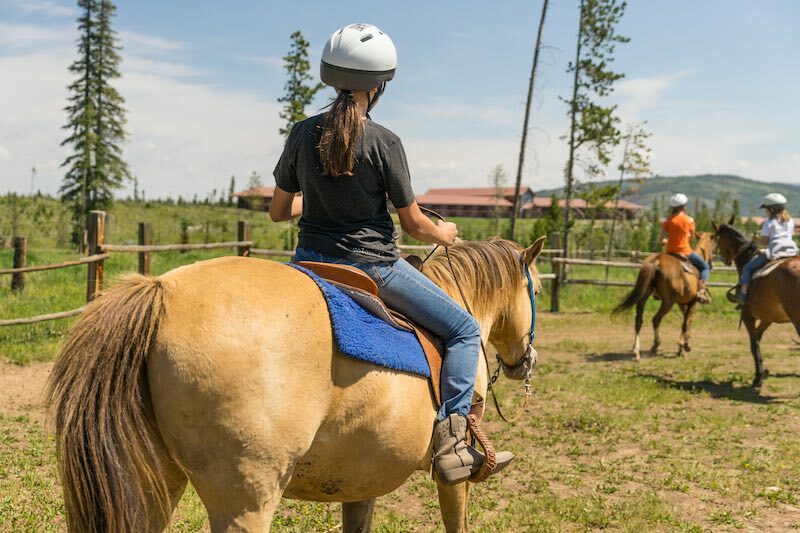 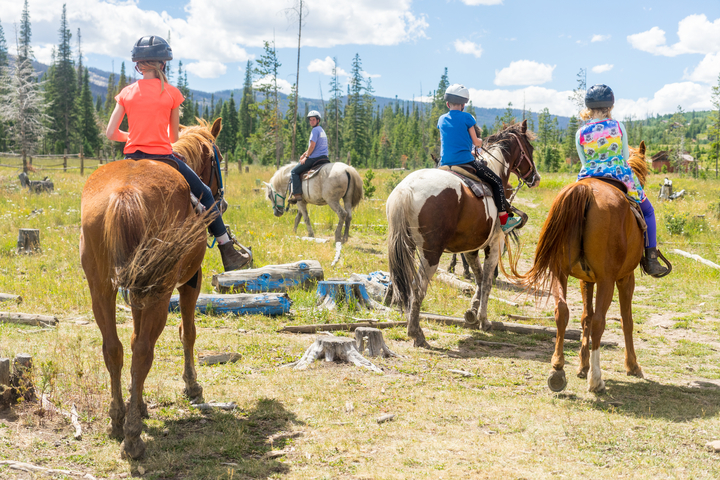 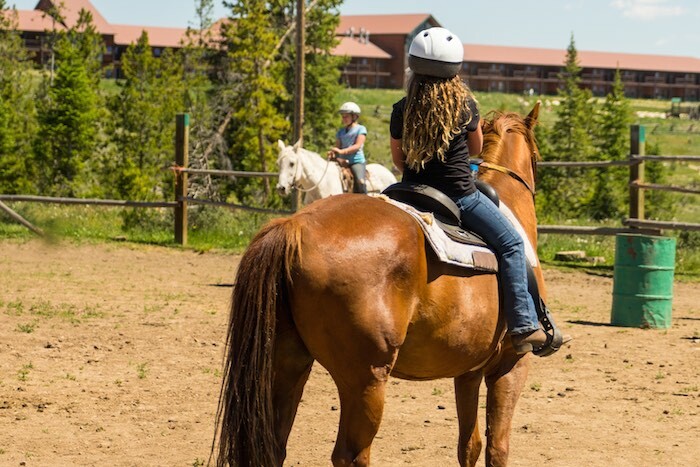 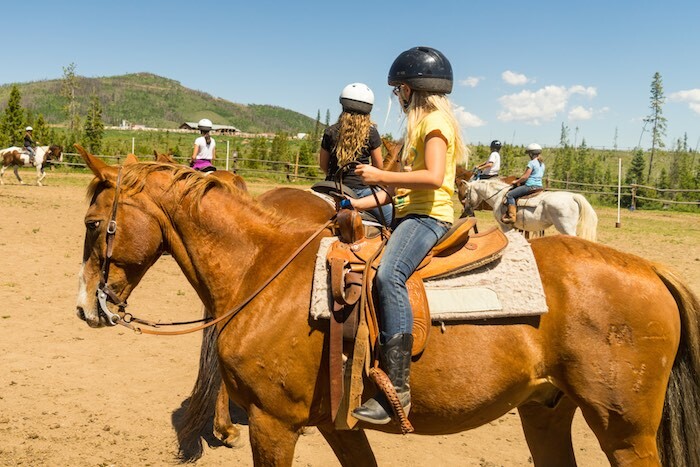 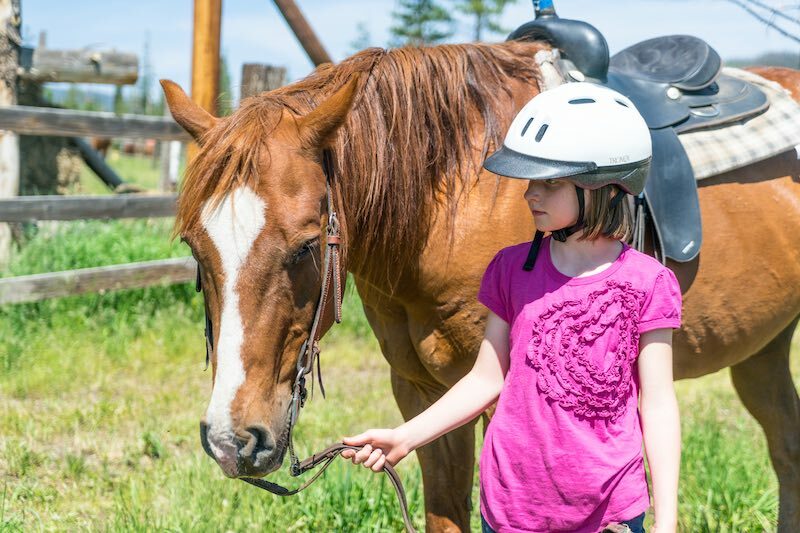 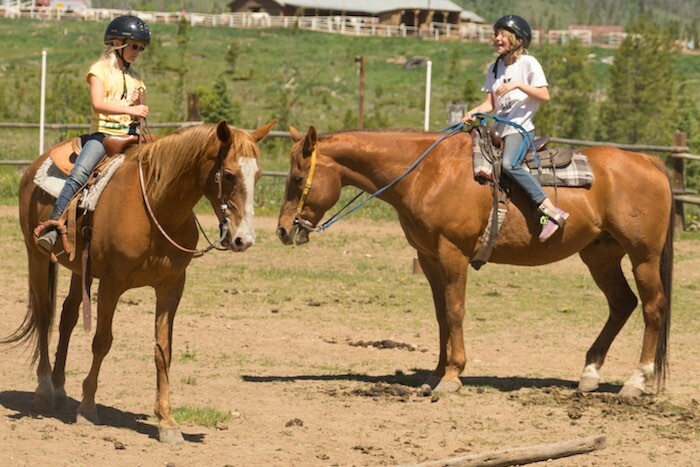 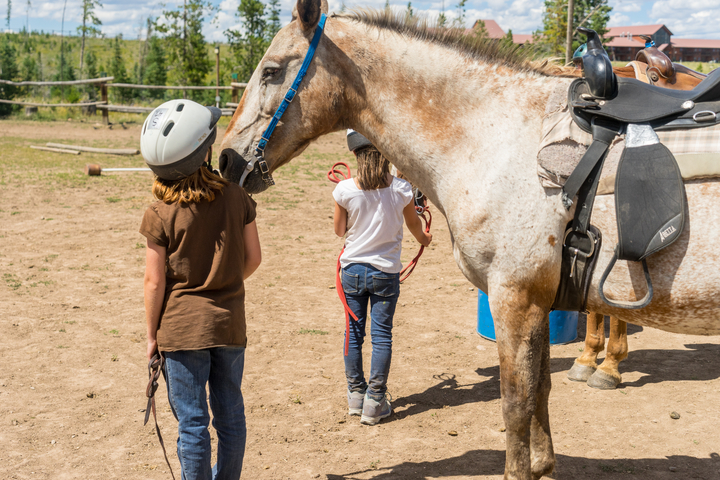 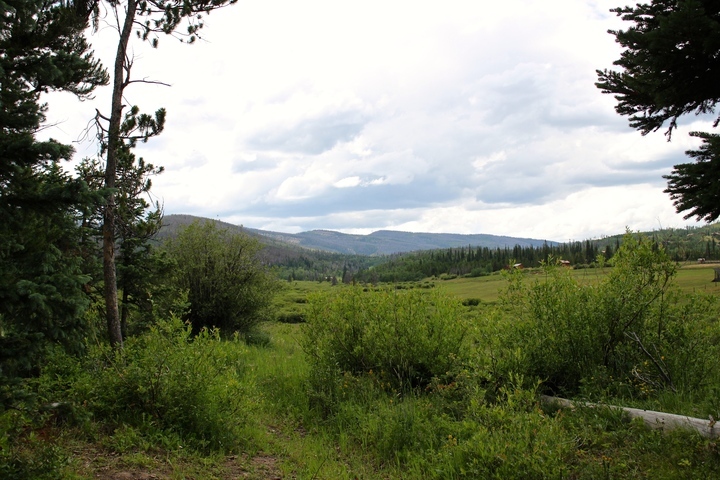 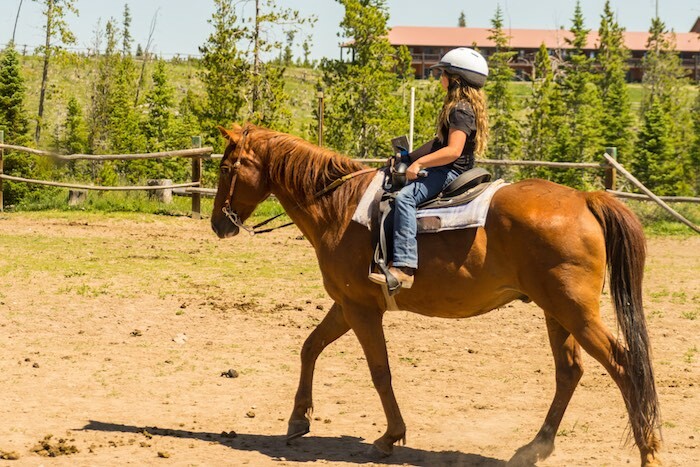 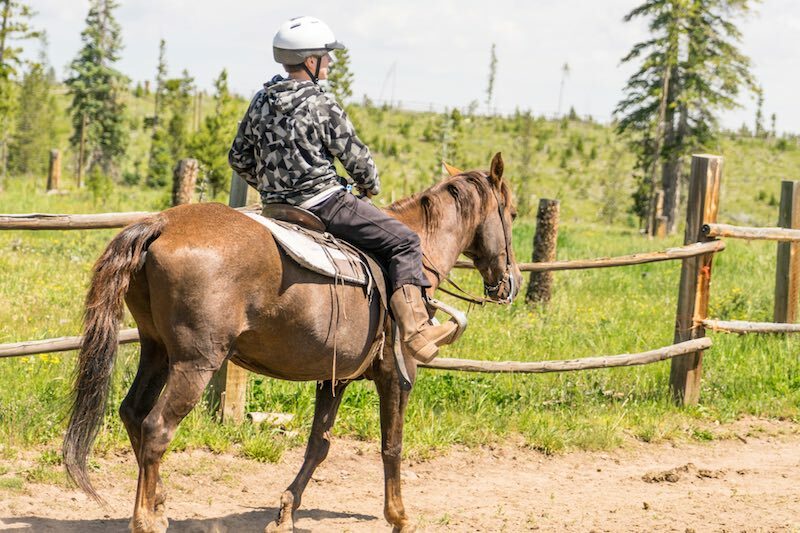 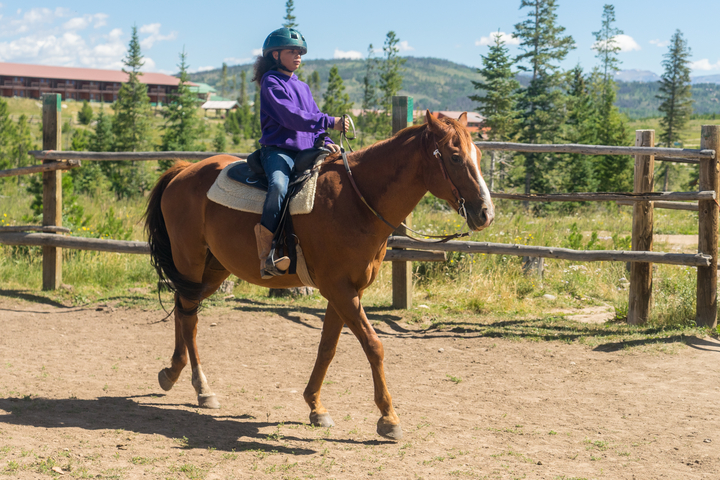 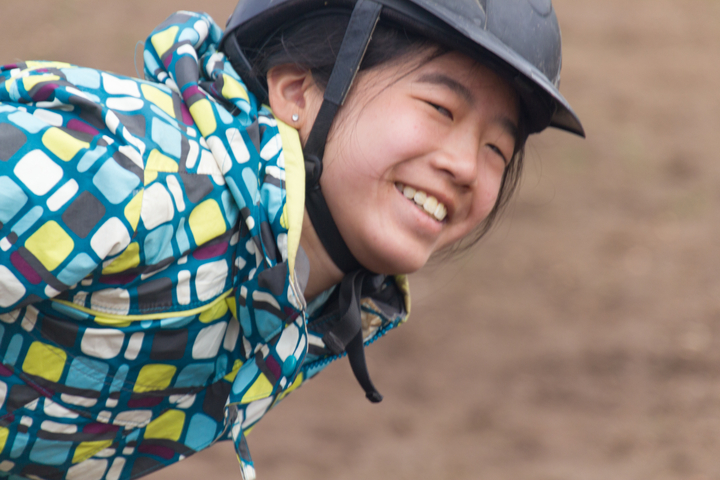 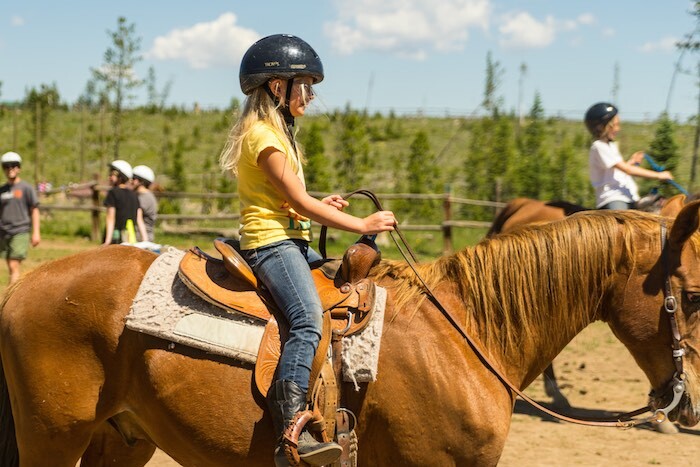 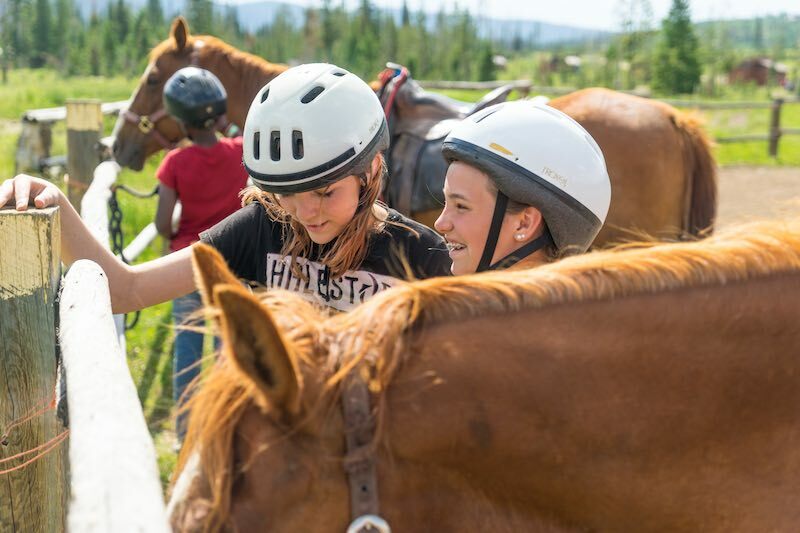 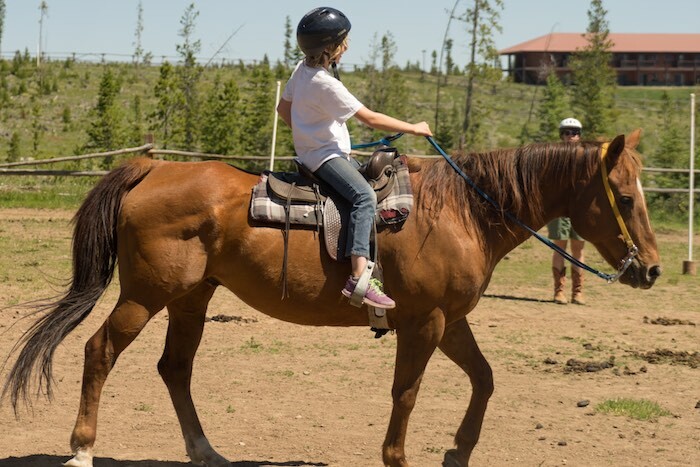 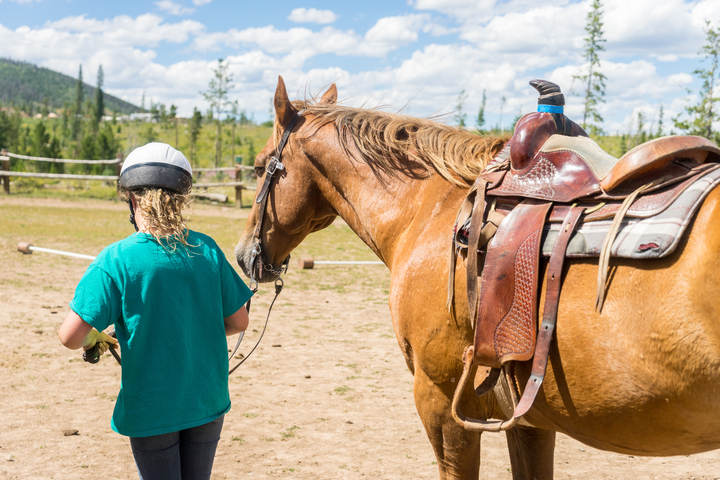 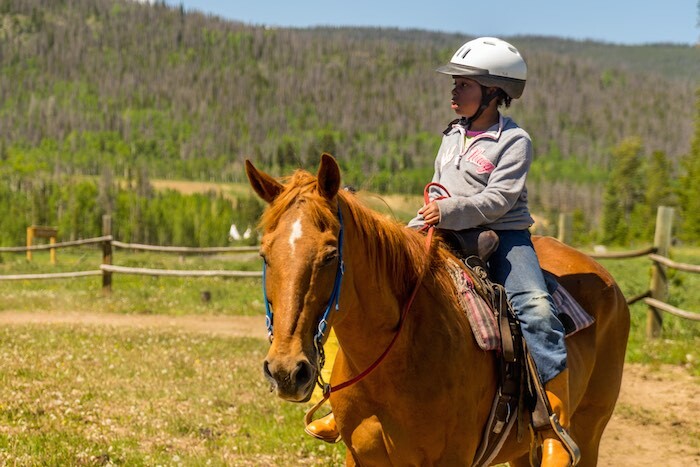 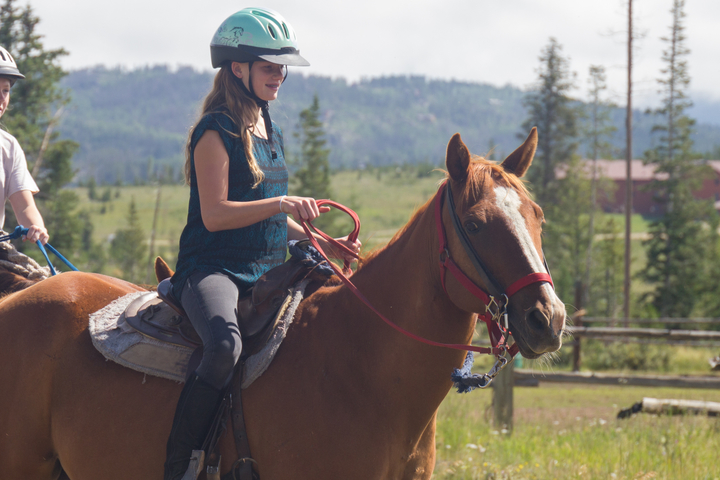 Would you like to make horseback riding your focus while at camp? 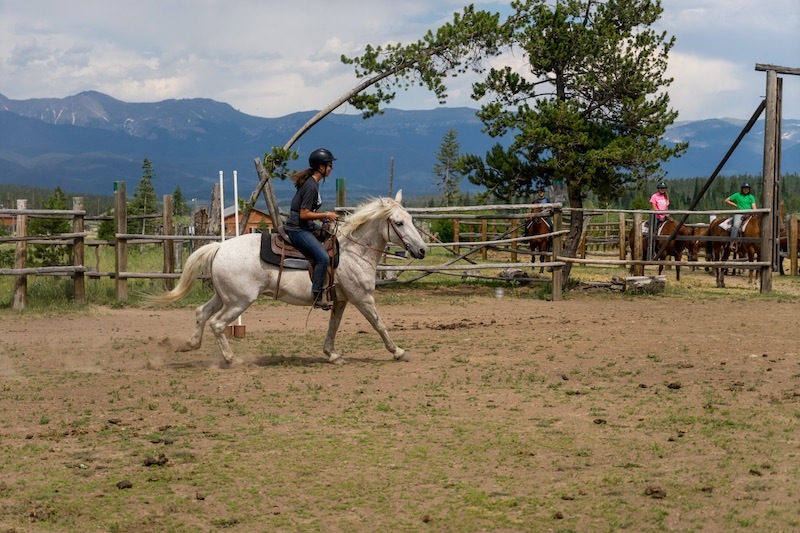 Then CCO’s Western Horse Program is for you! 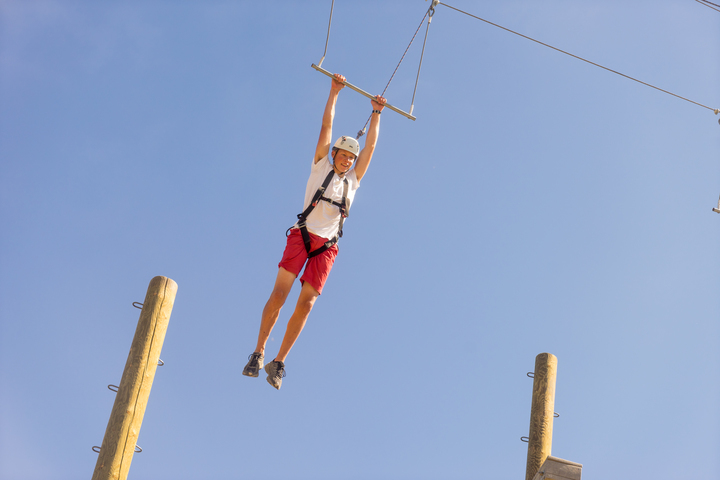 You have 5 different levels to choose from depending on your skill level. 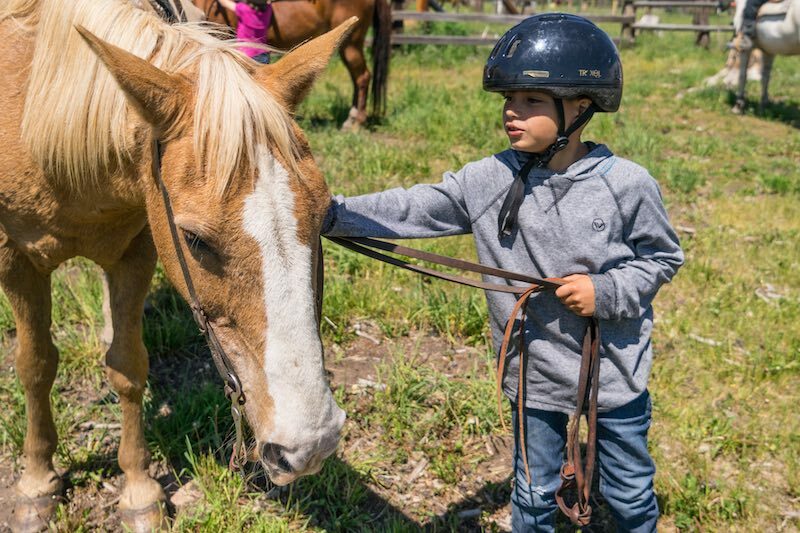 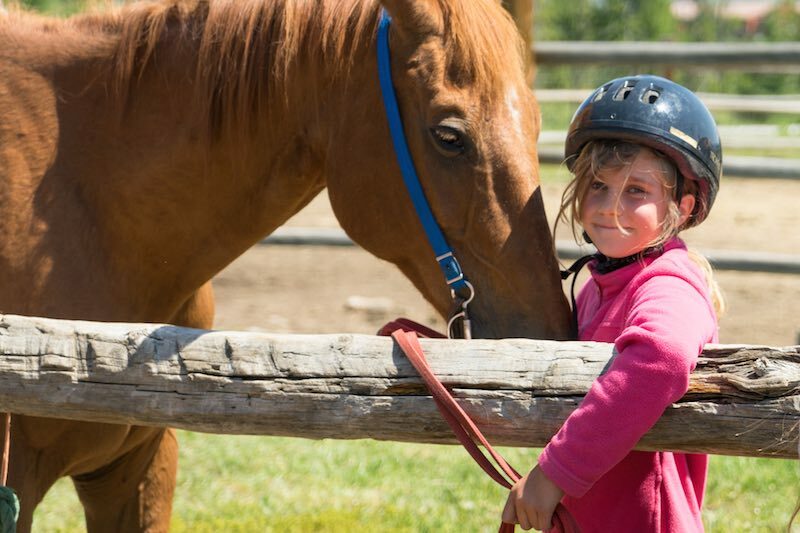 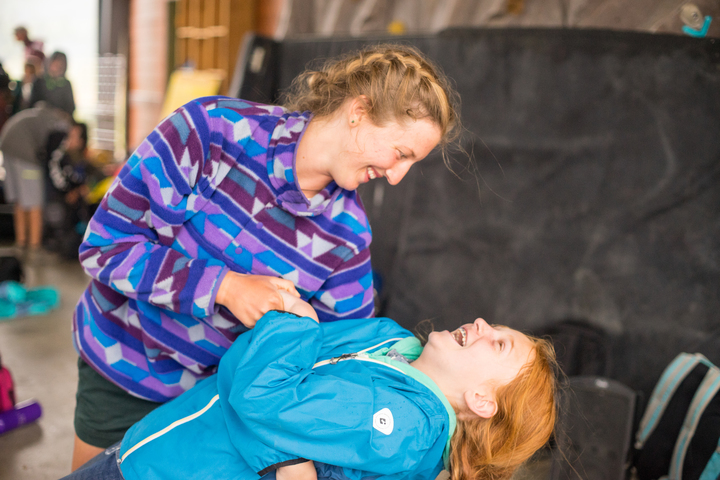 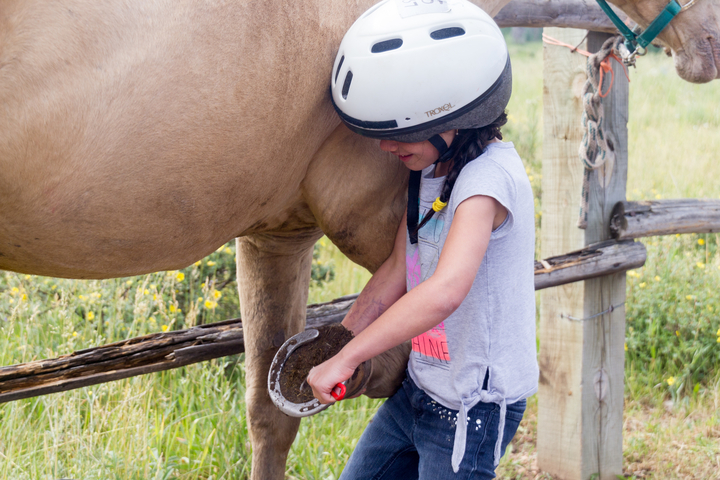 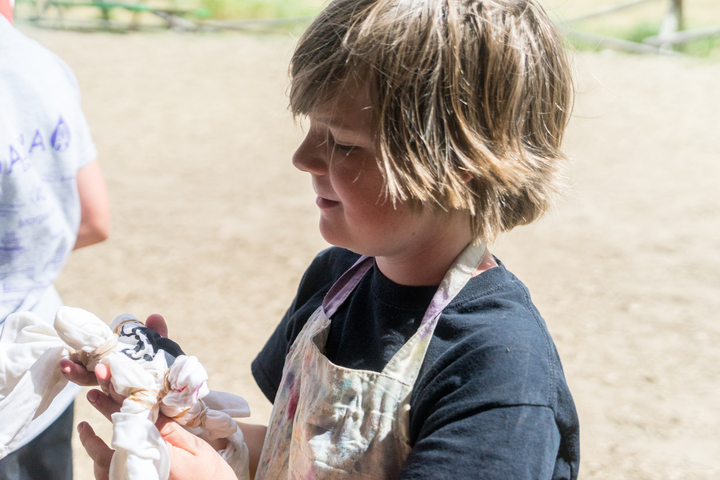 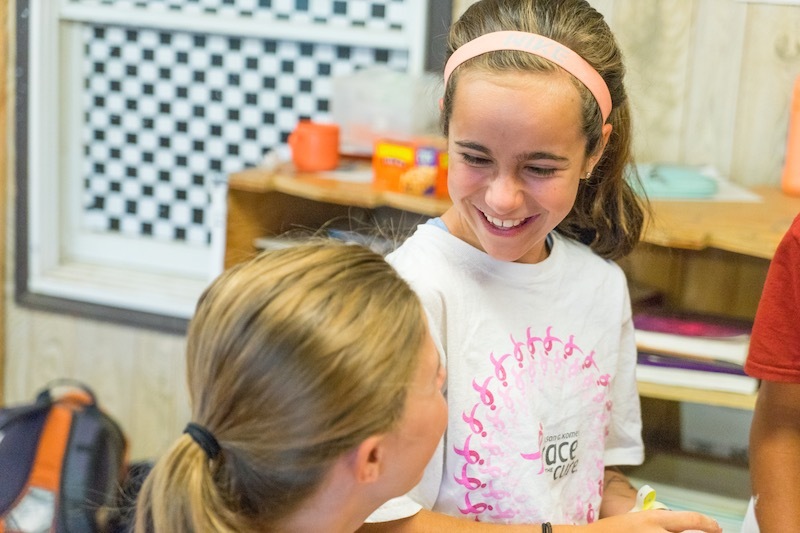 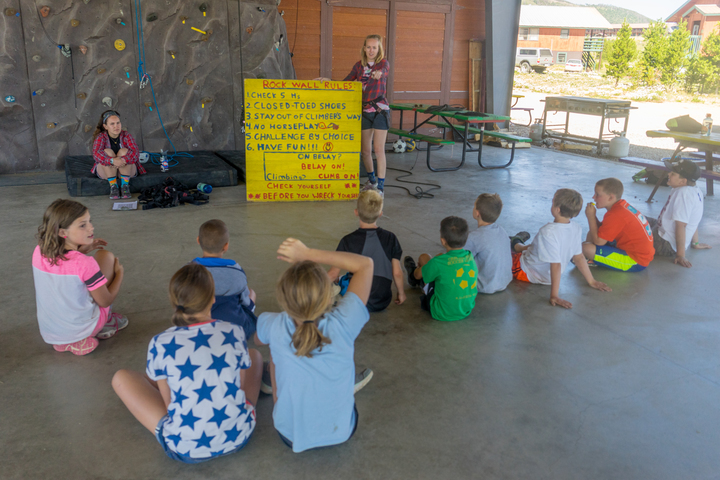 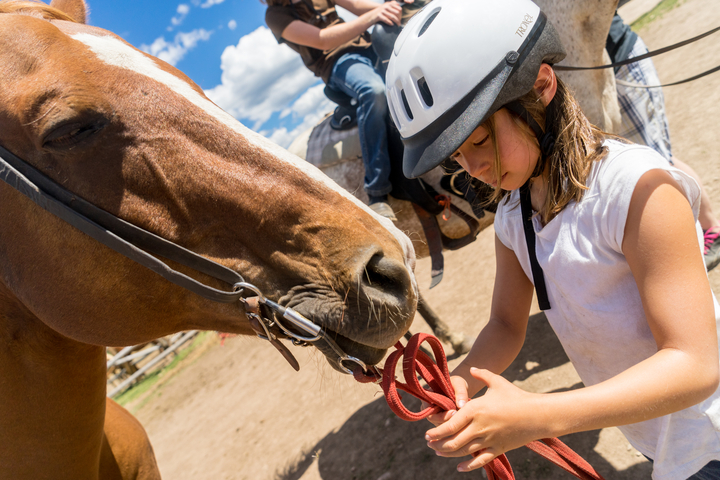 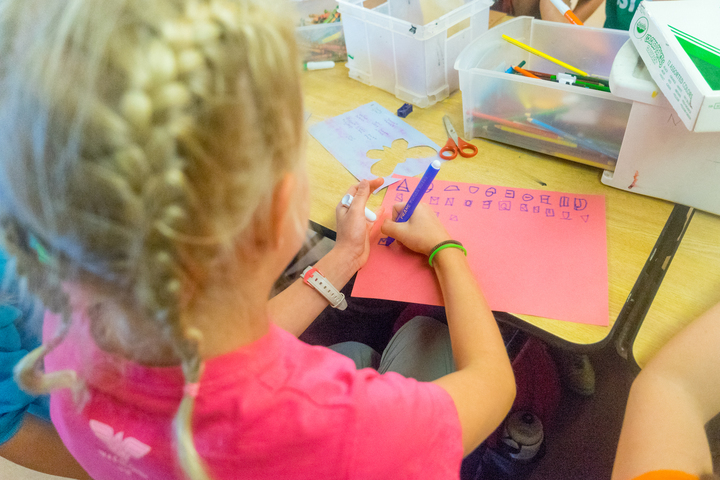 Campers spend half of their day at the CCO barn learning how to care for horses and improve their riding skills. 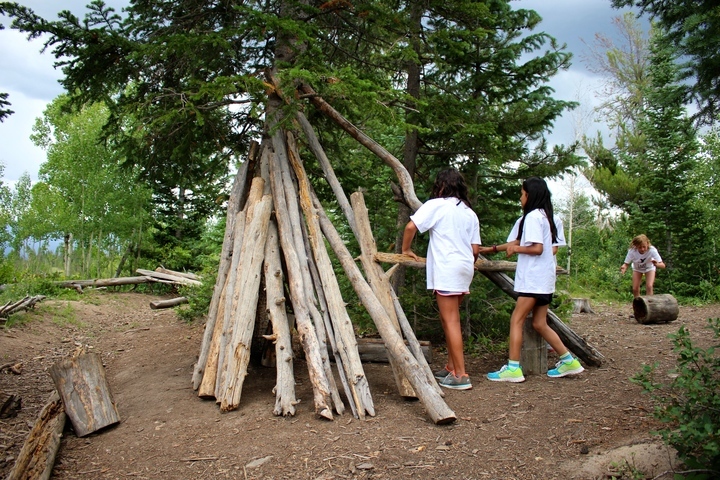 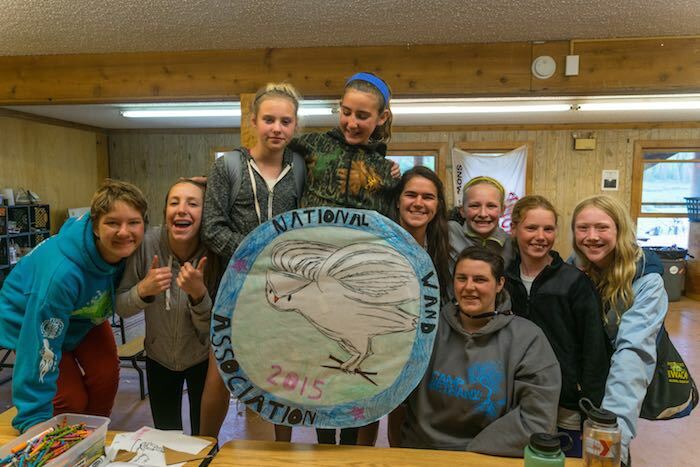 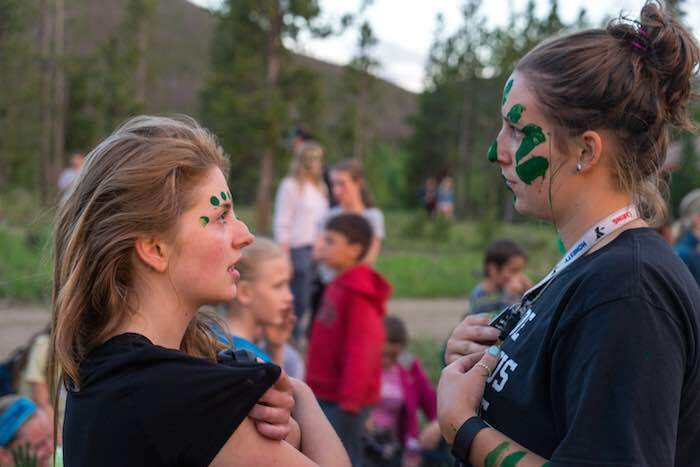 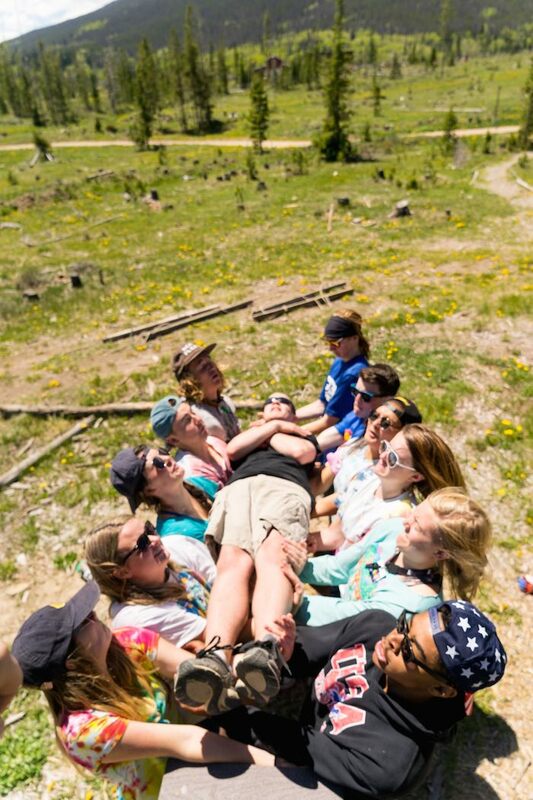 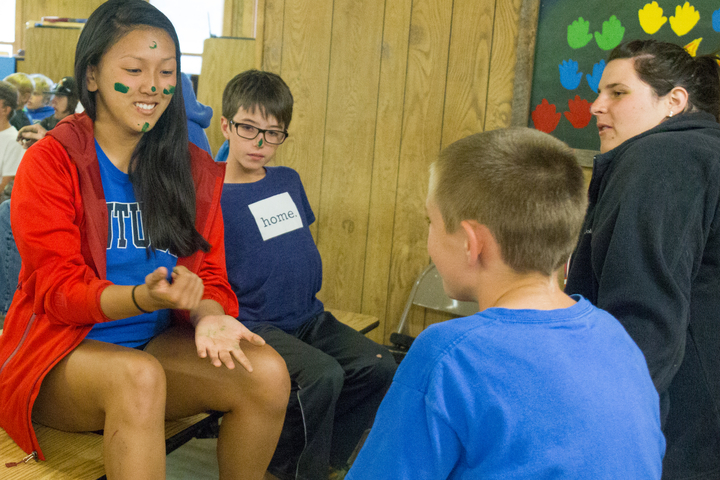 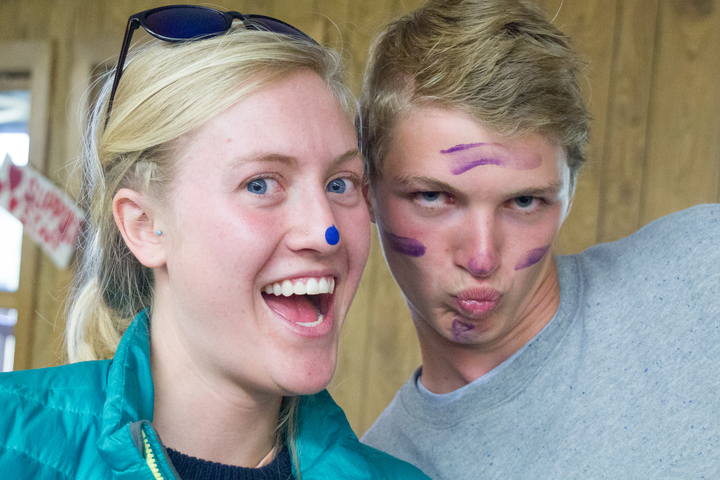 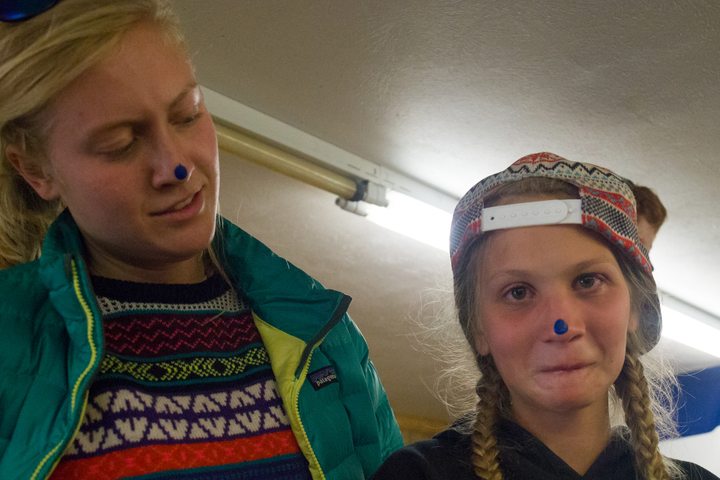 The remainder of the day is spent participating in traditional camp activities with your cabin mates. 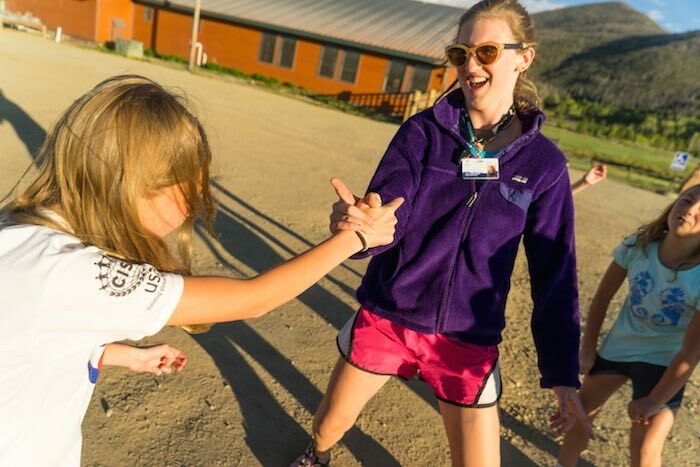 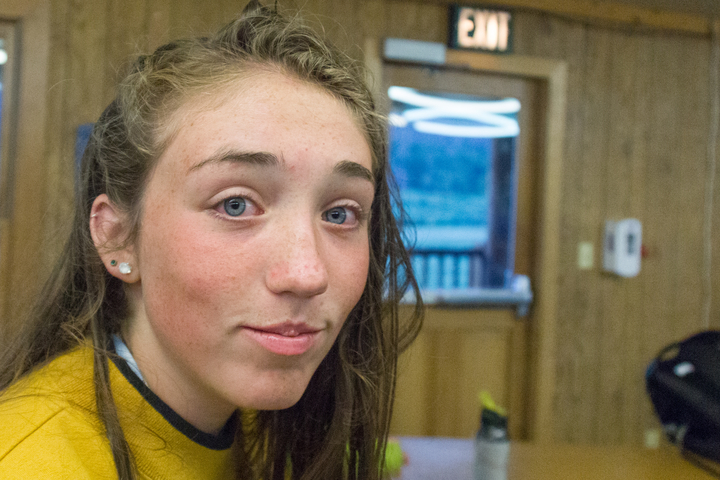 Do you want to come to camp, but not for an entire week? 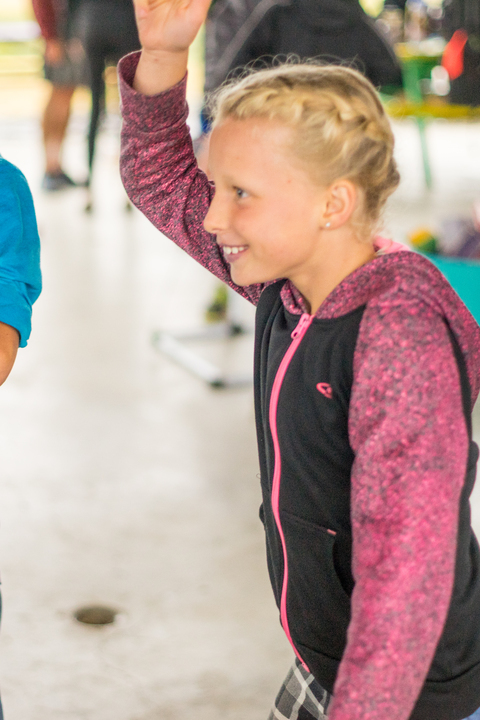 If you are between the ages of 7-10 years old please check out our Mini Camp! 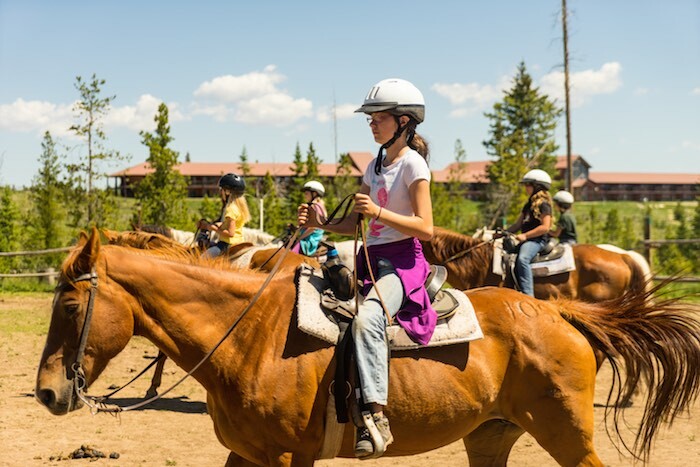 During this 3-day camp you will get to do most of the fun activities that the big kids get to do, but only be away from home for 2 nights. 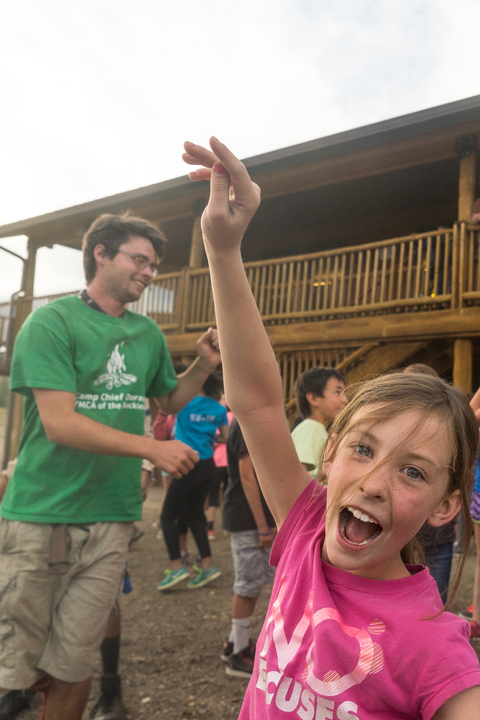 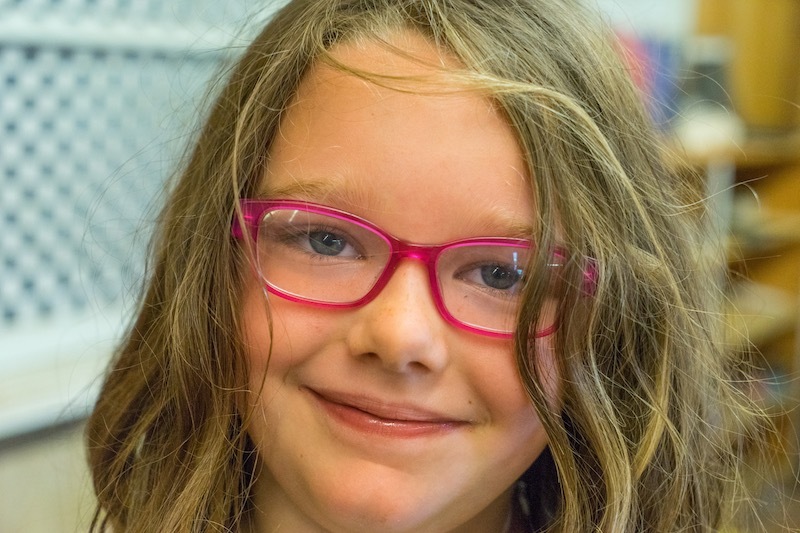 It is a great introduction to a summer camp experience. 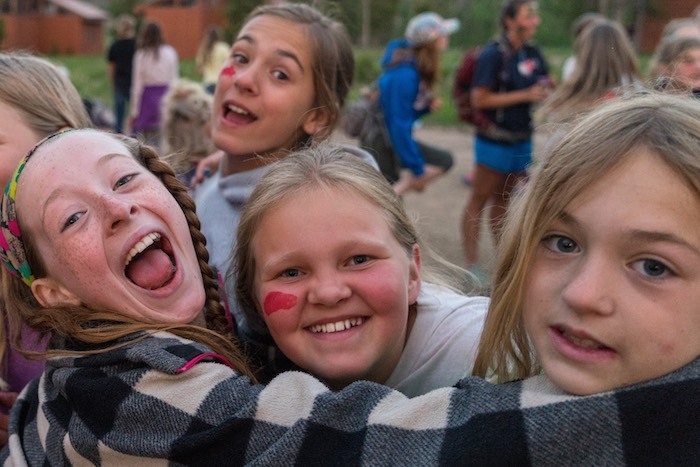 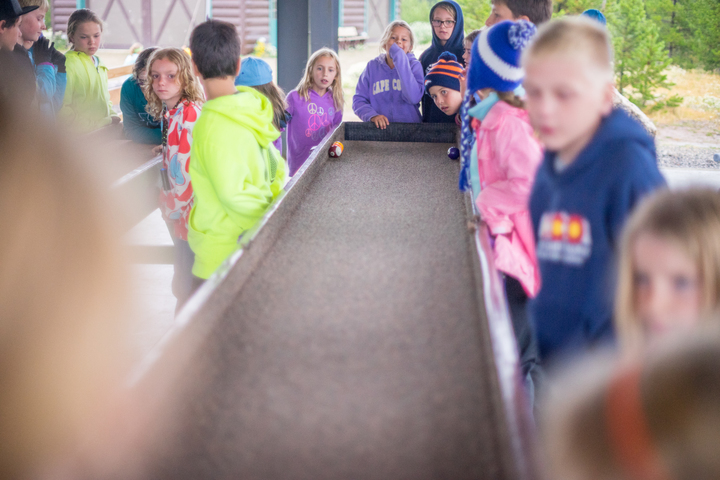 For Traditional Camp fees and dates, please click here! 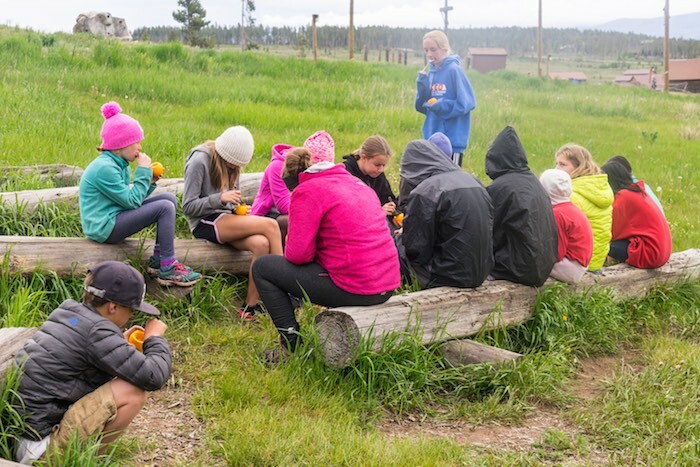 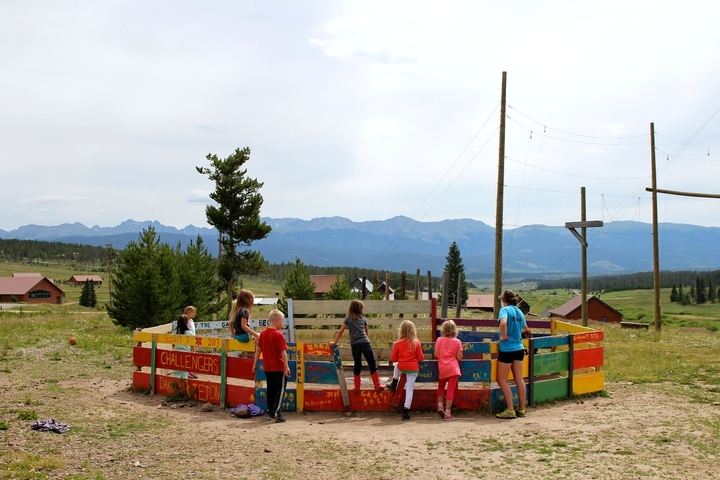 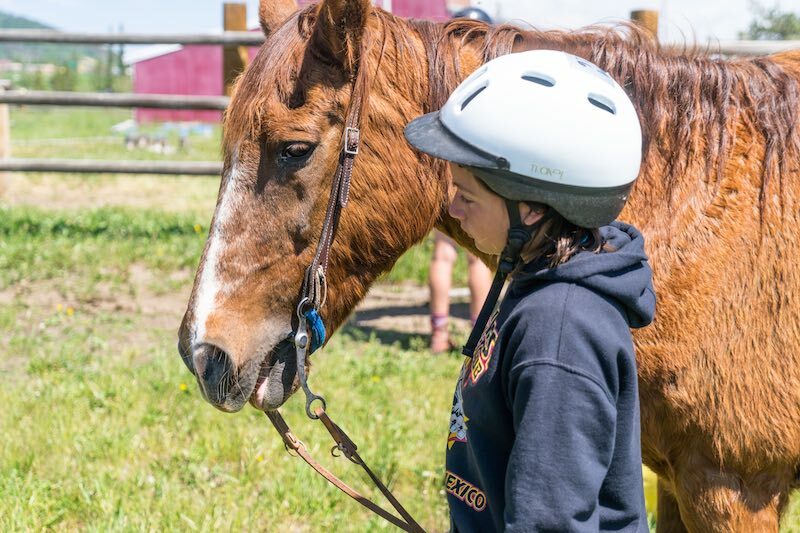 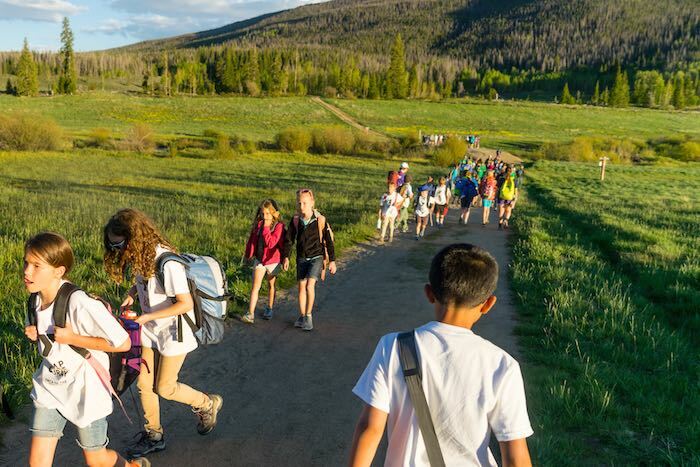 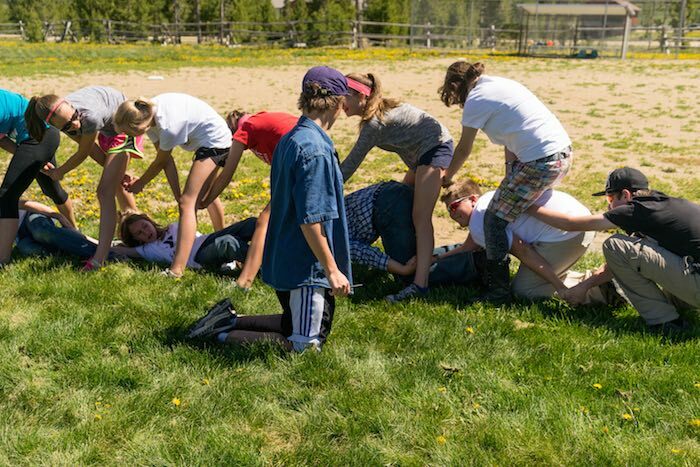 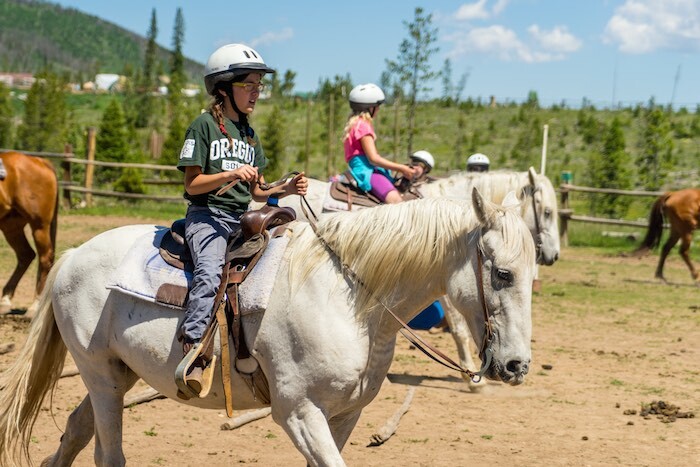 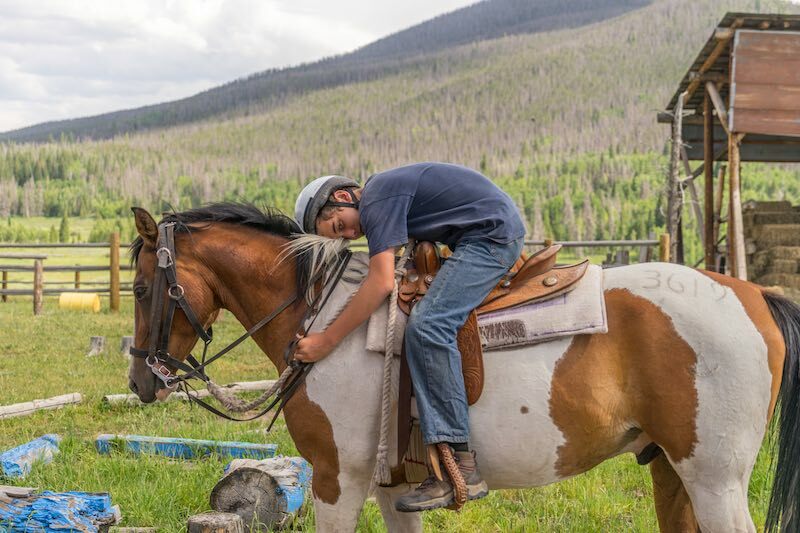 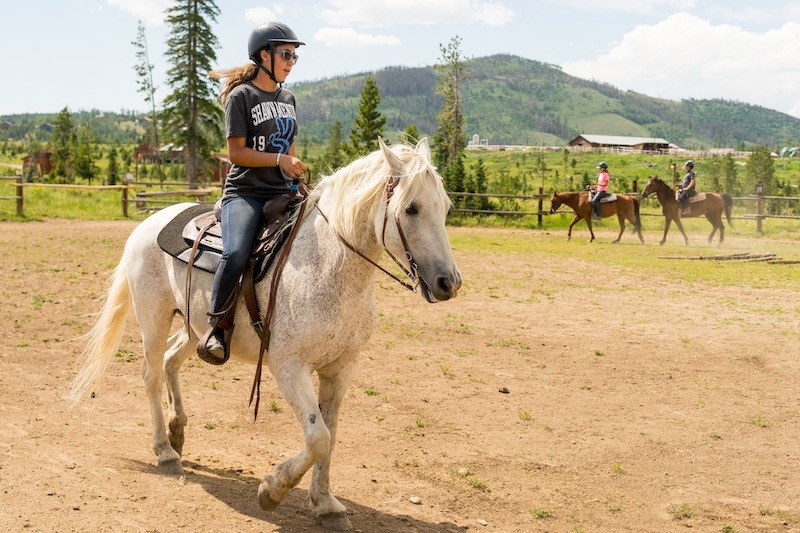 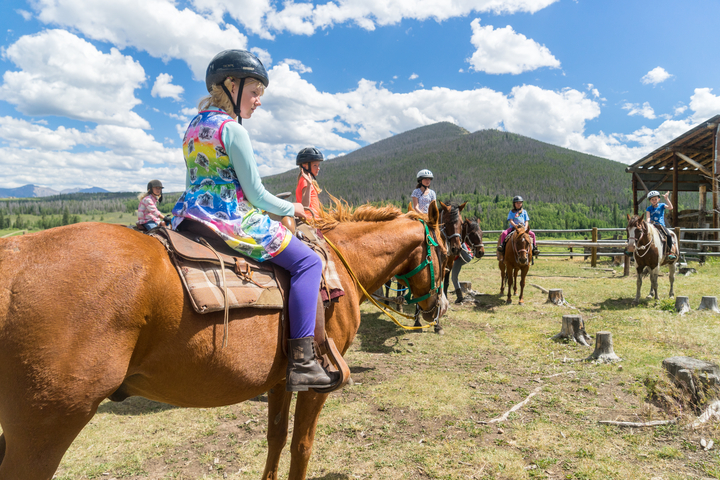 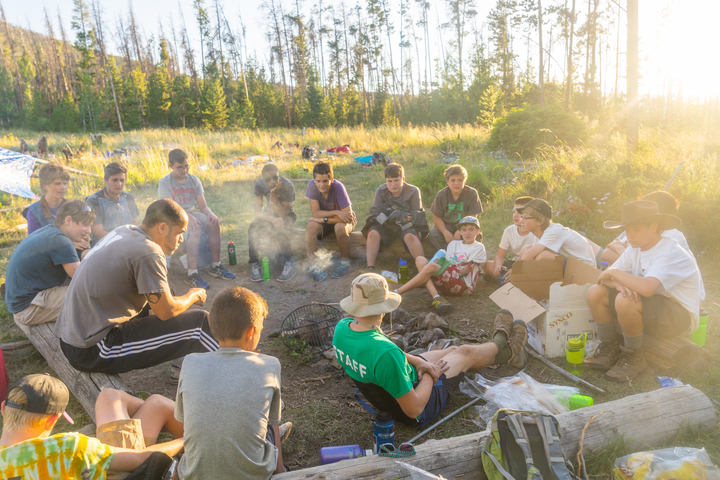 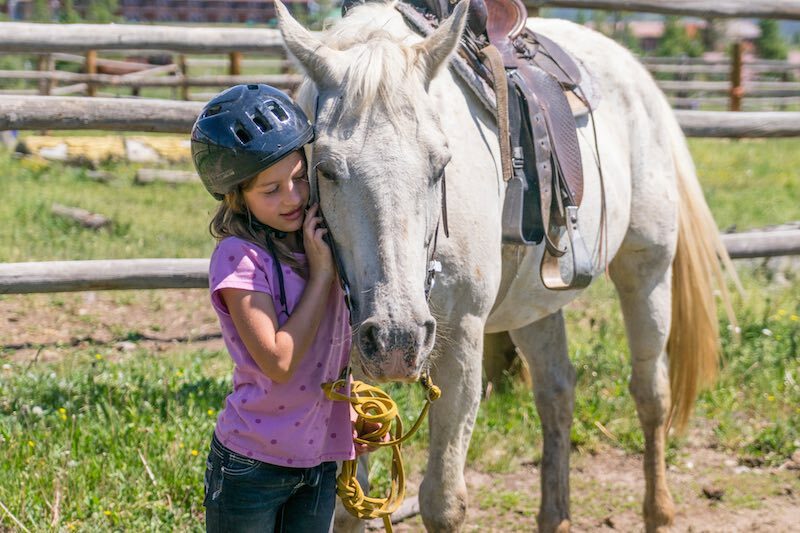 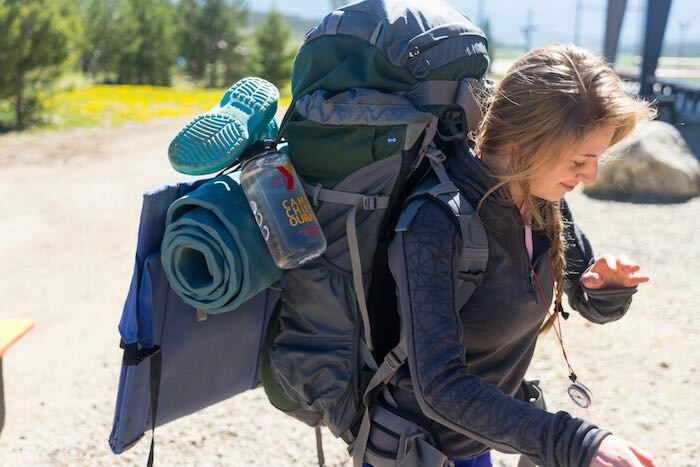 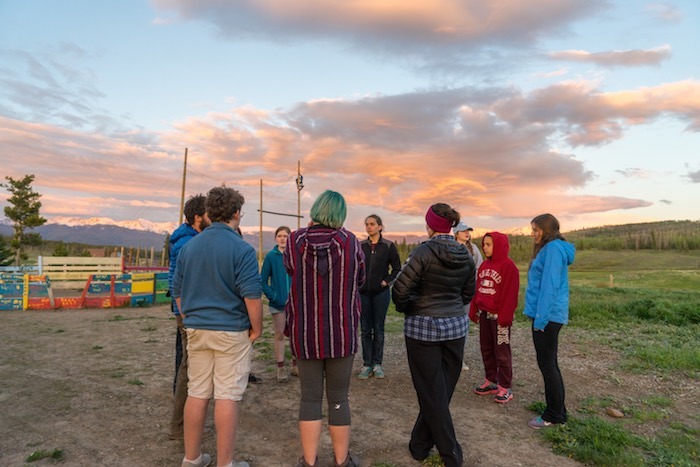 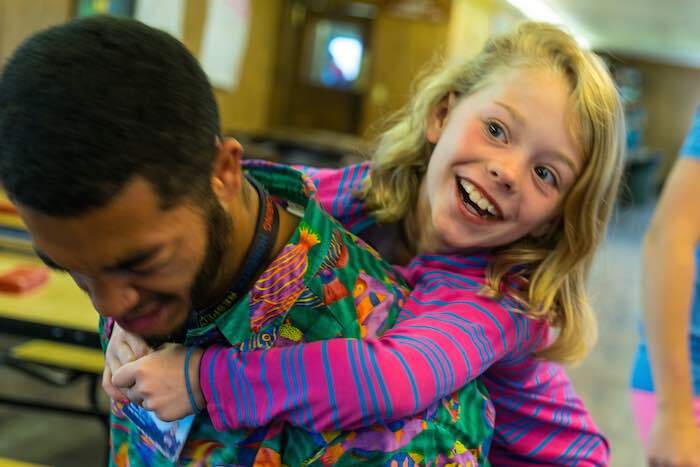 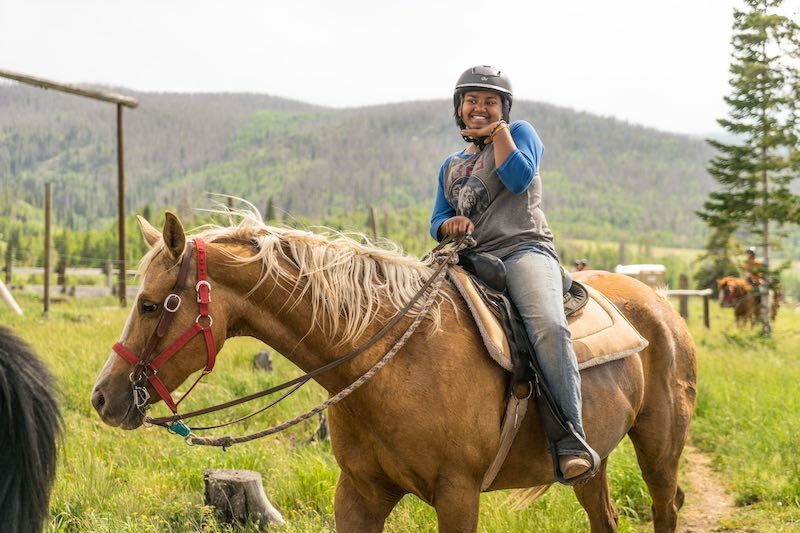 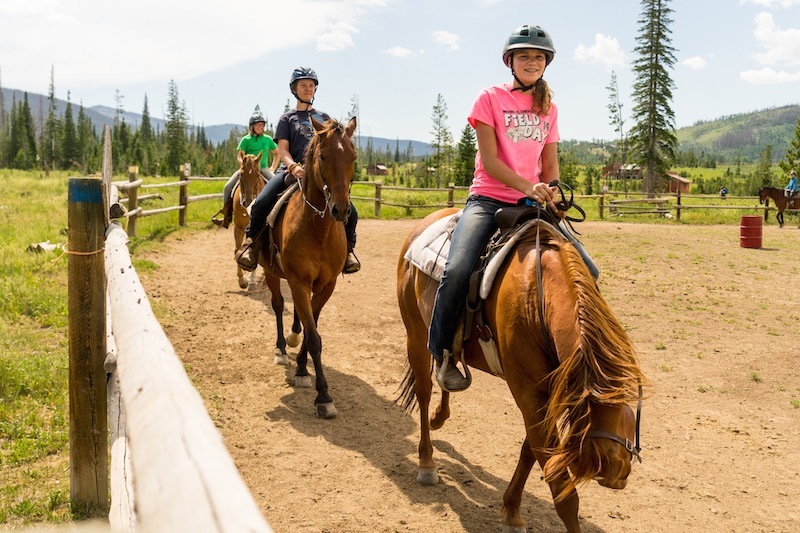 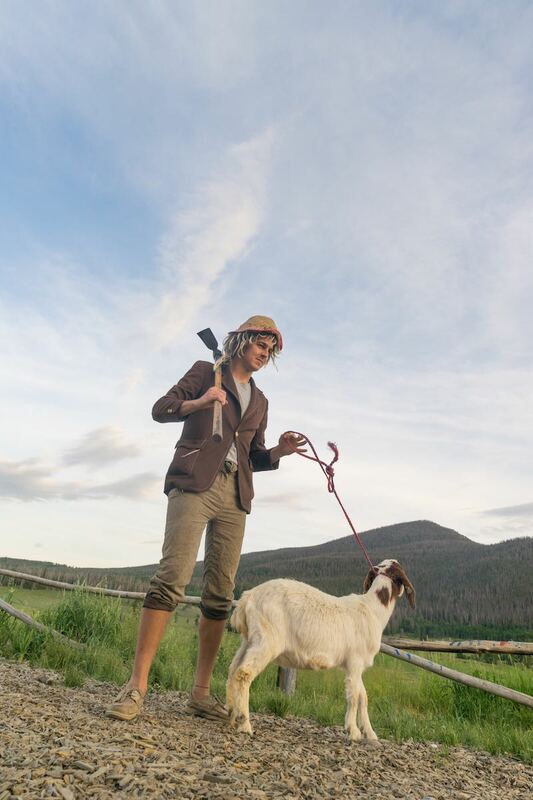 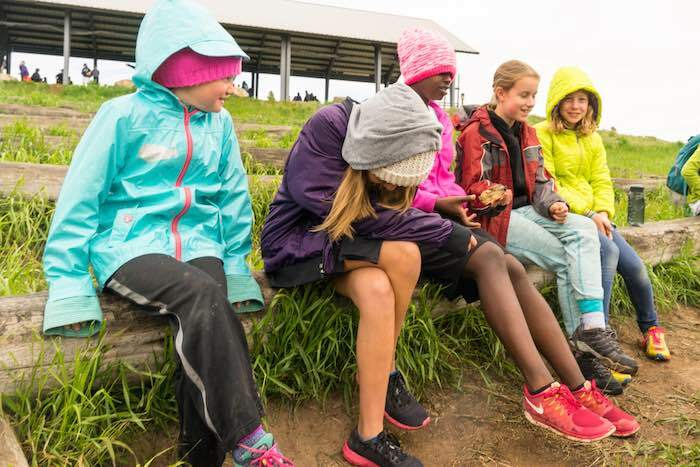 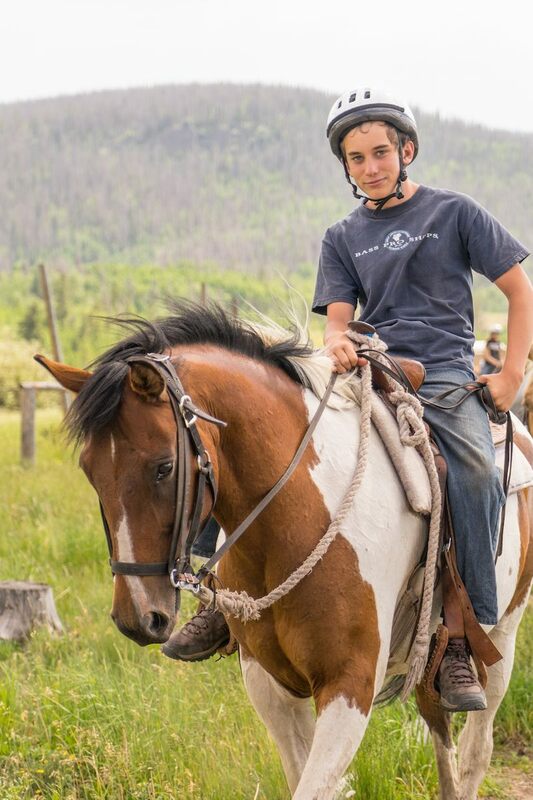 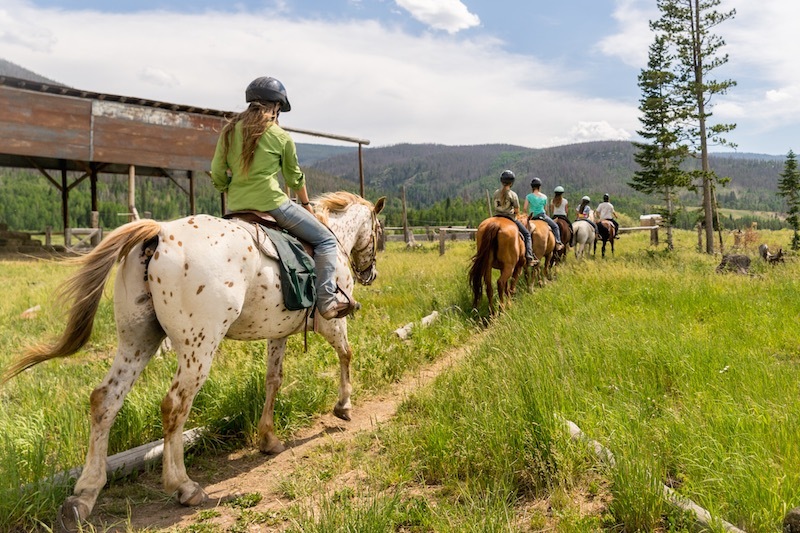 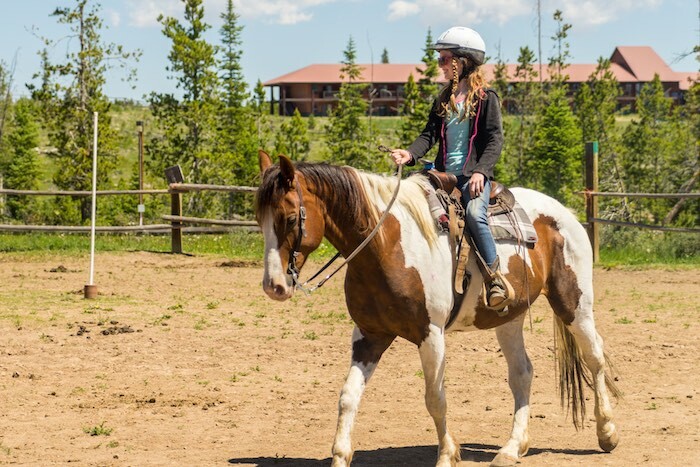 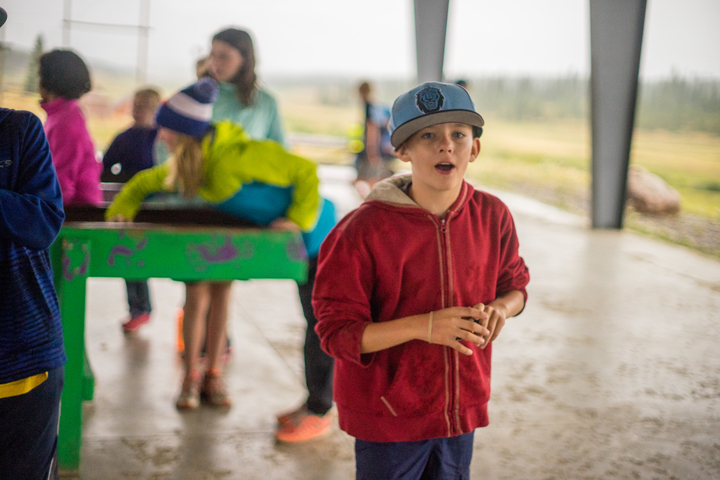 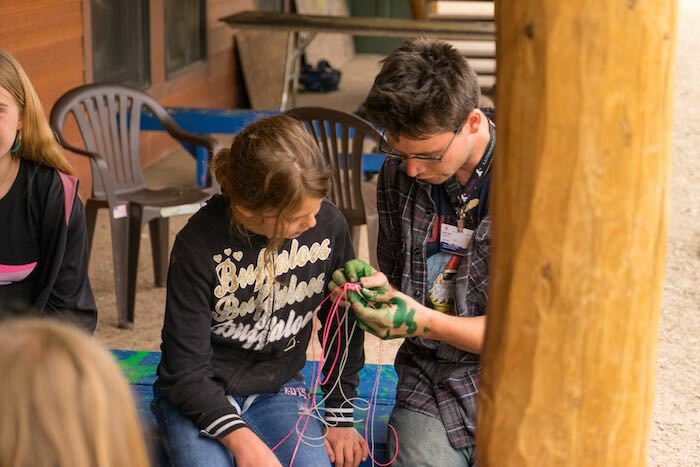 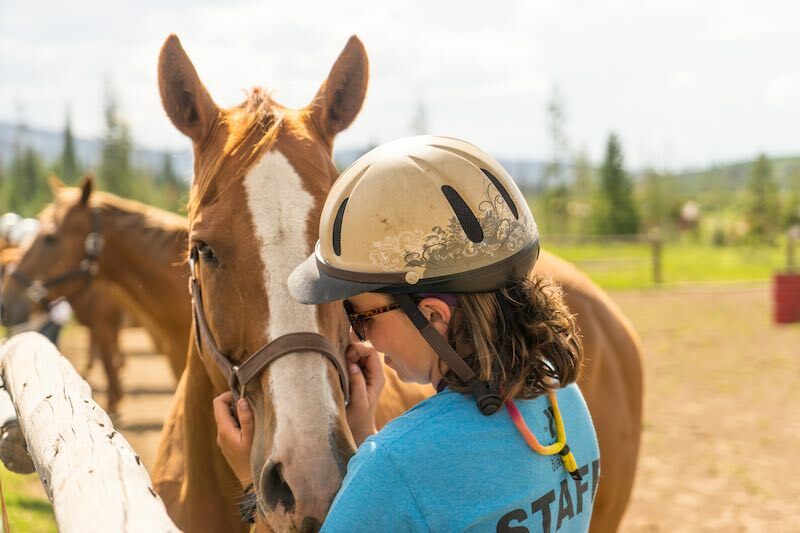 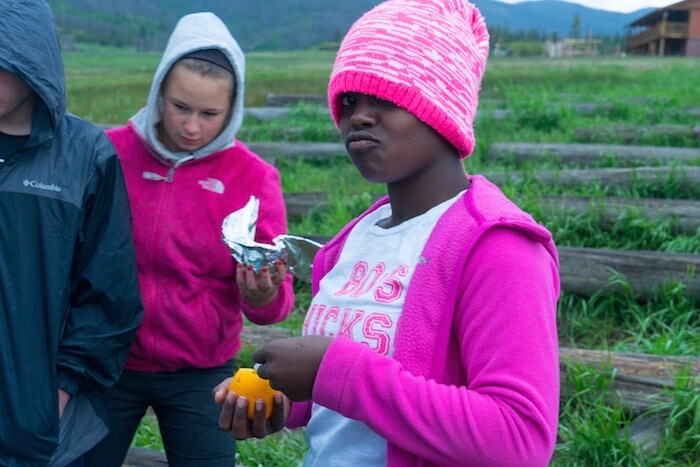 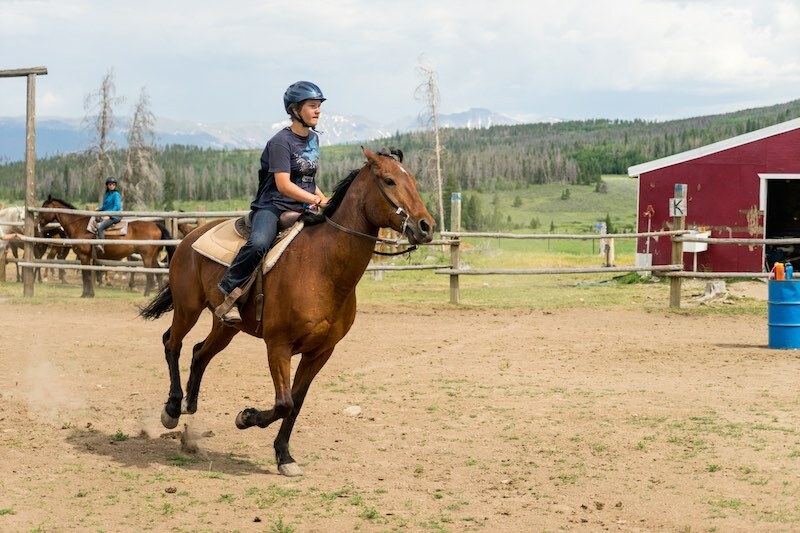 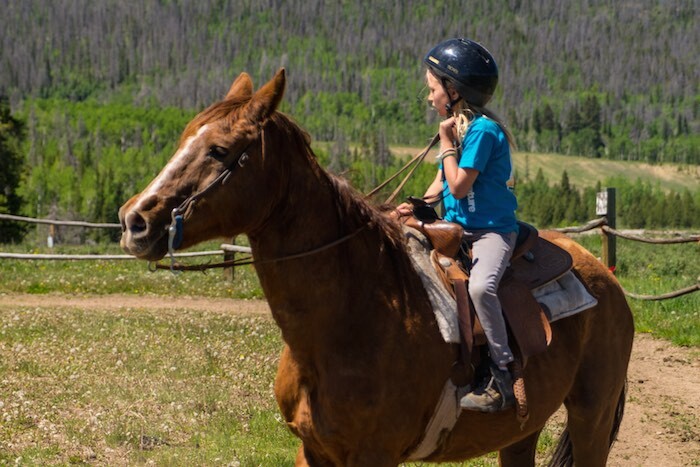 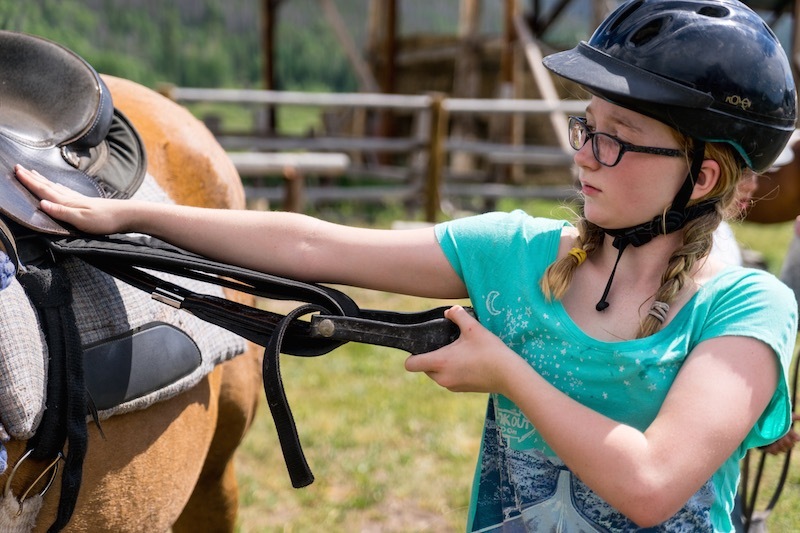 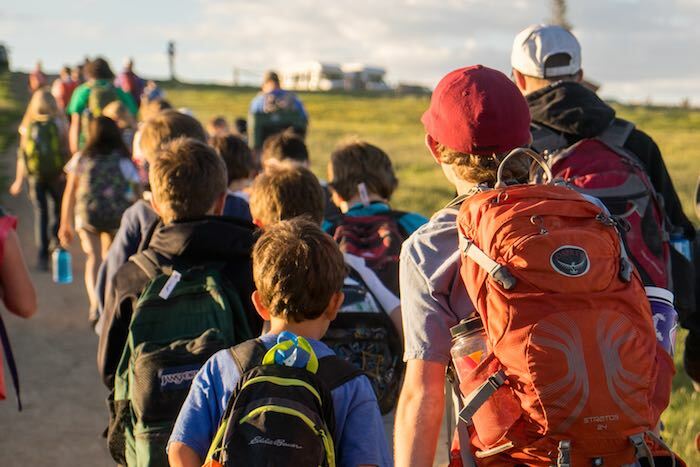 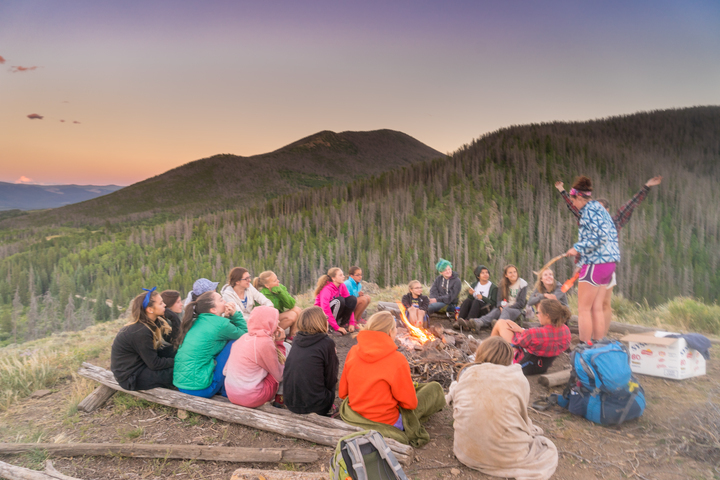 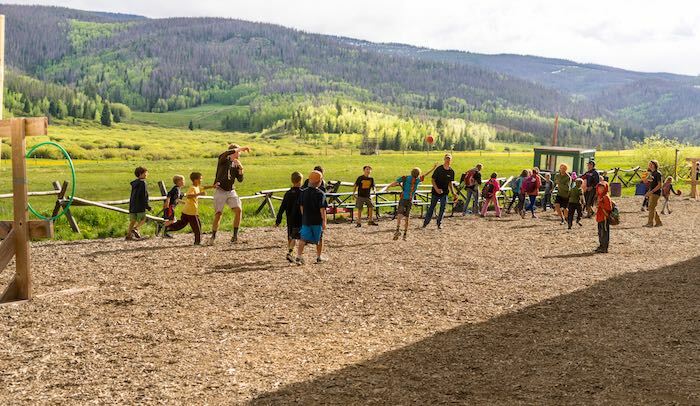 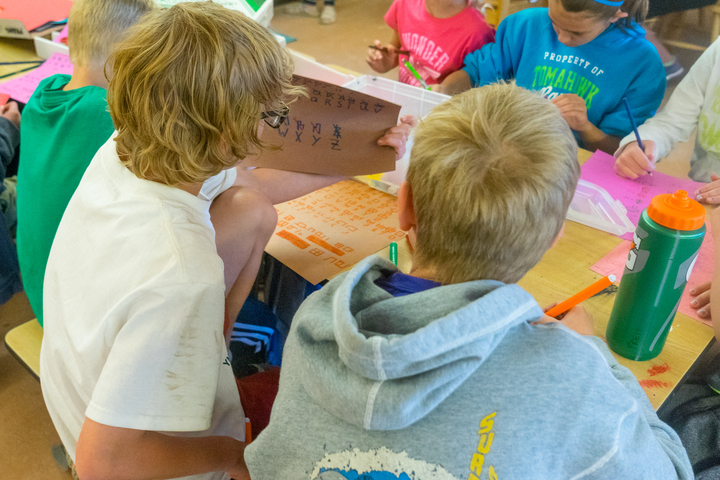 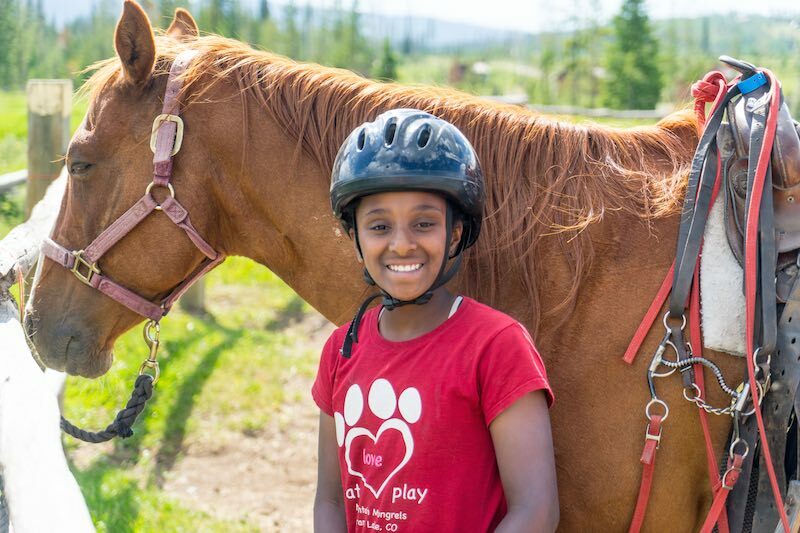 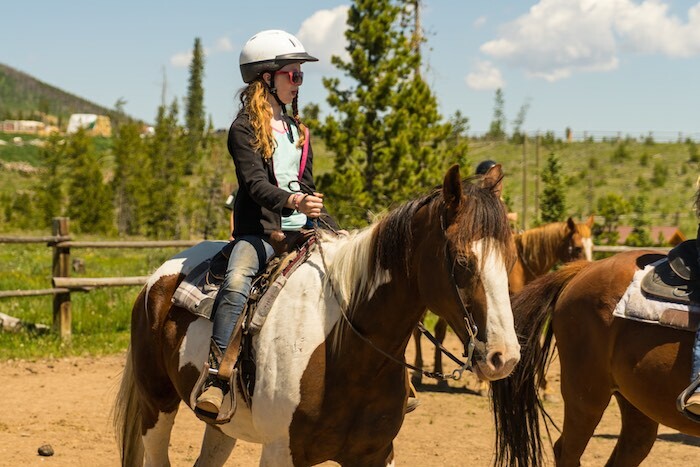 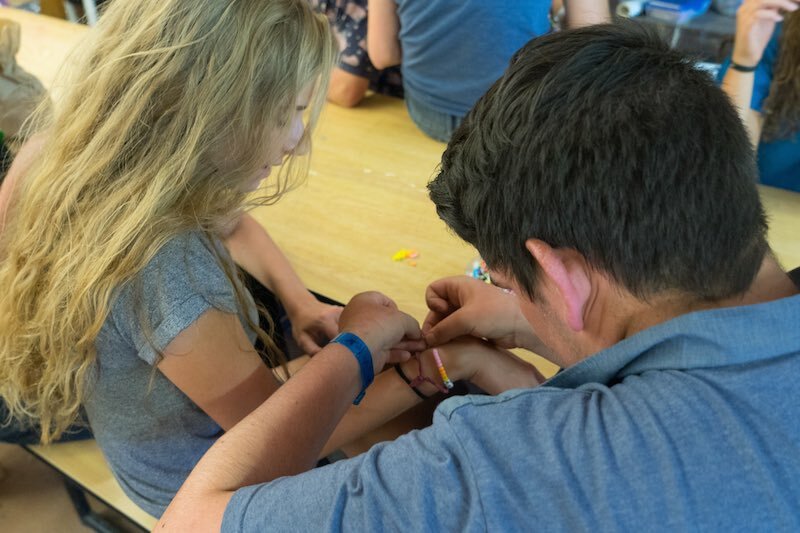 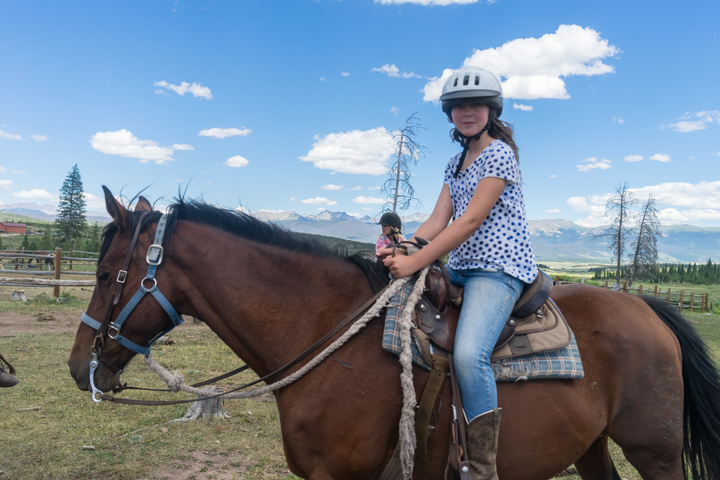 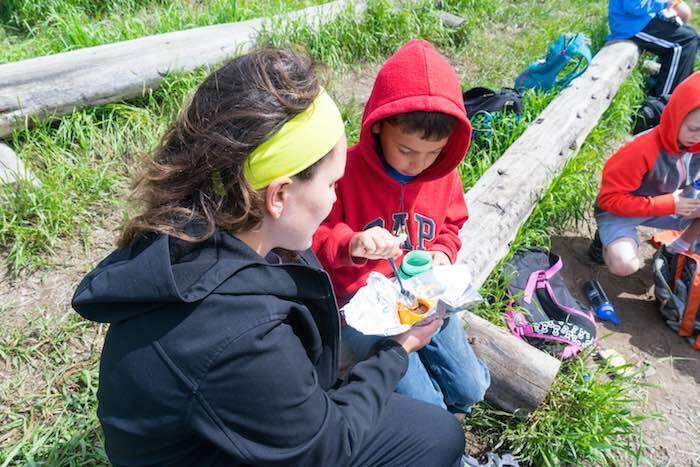 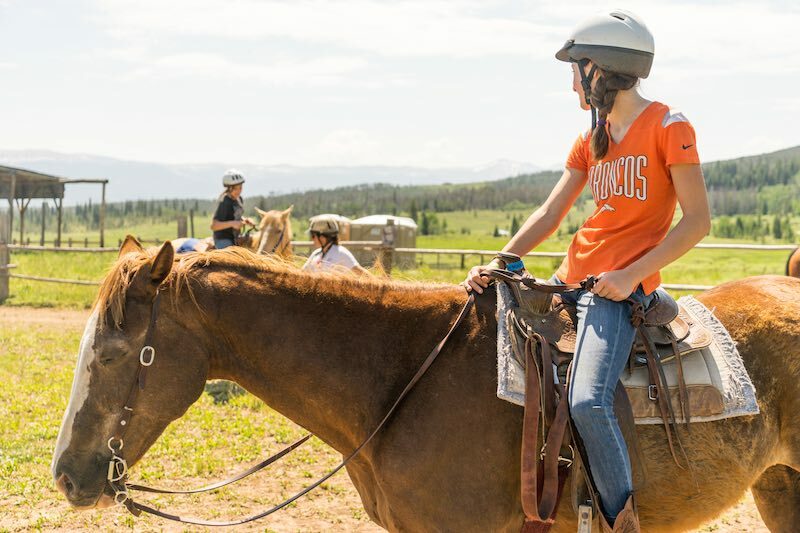 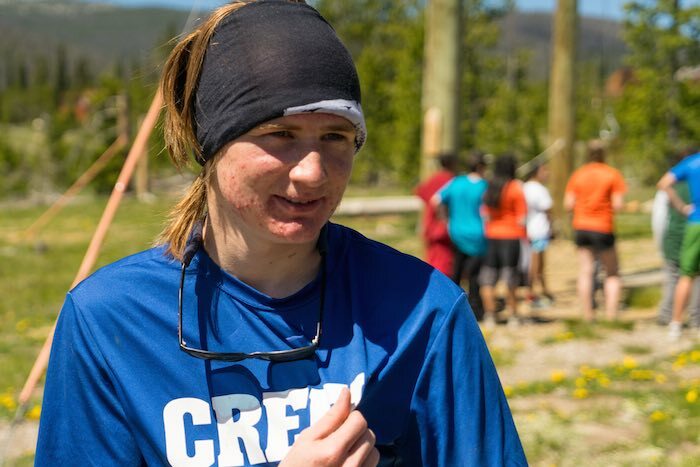 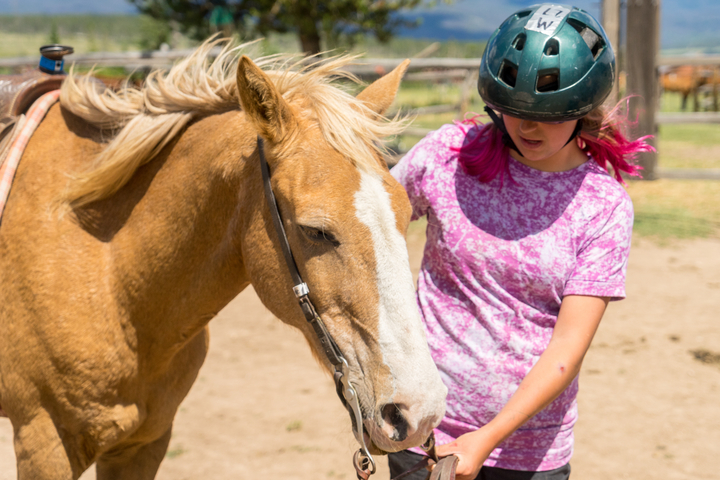 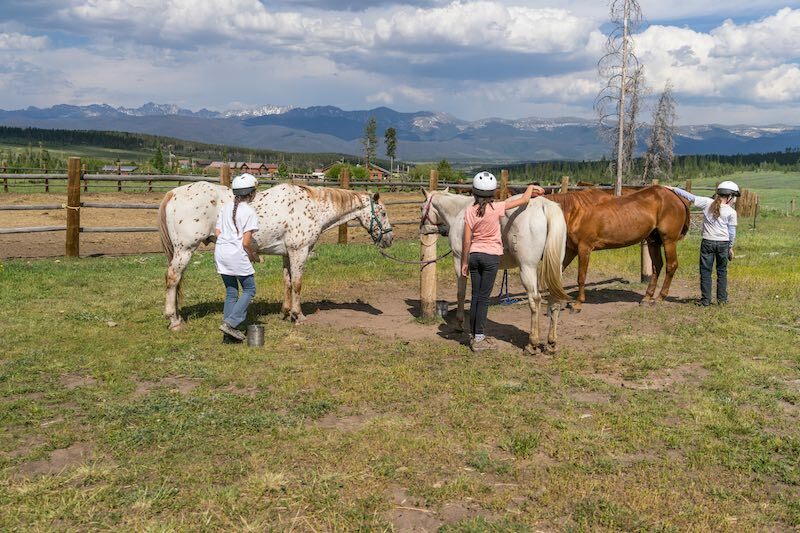 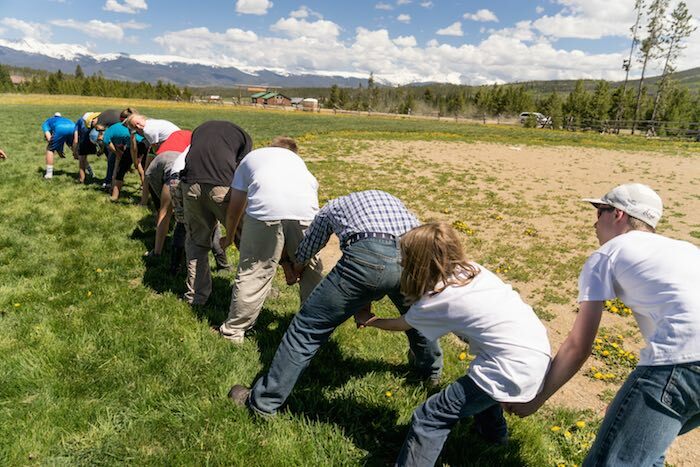 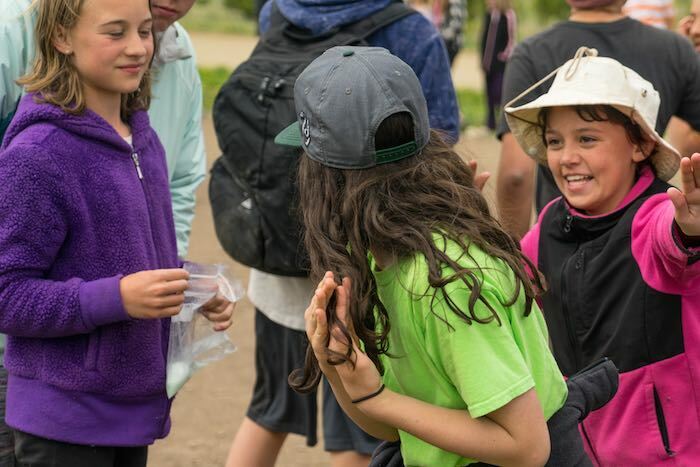 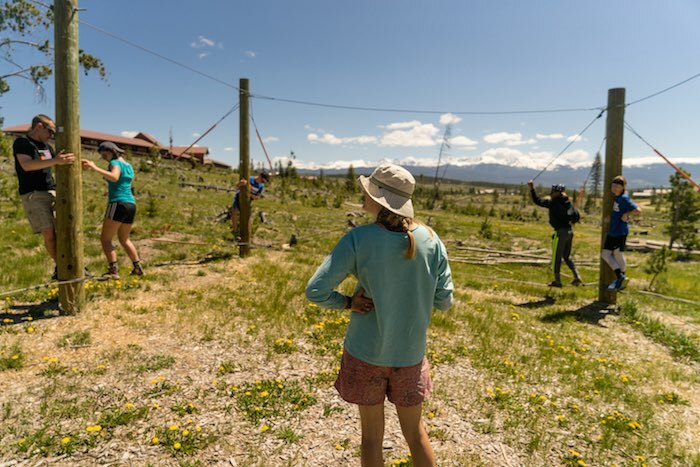 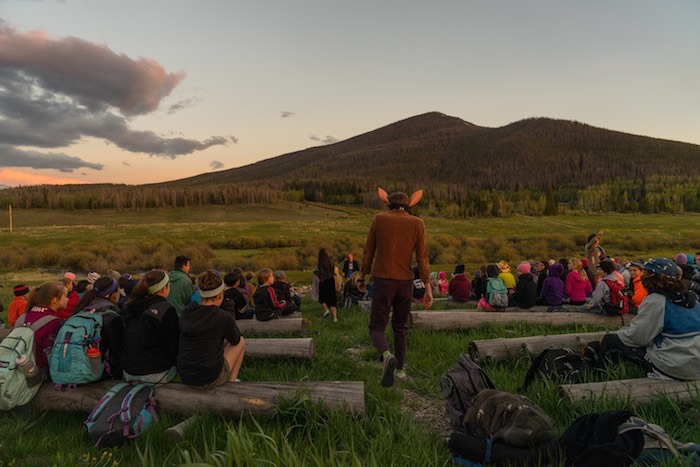 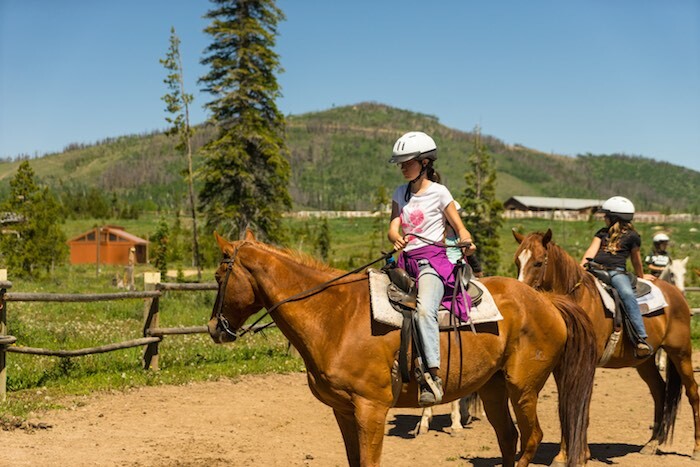 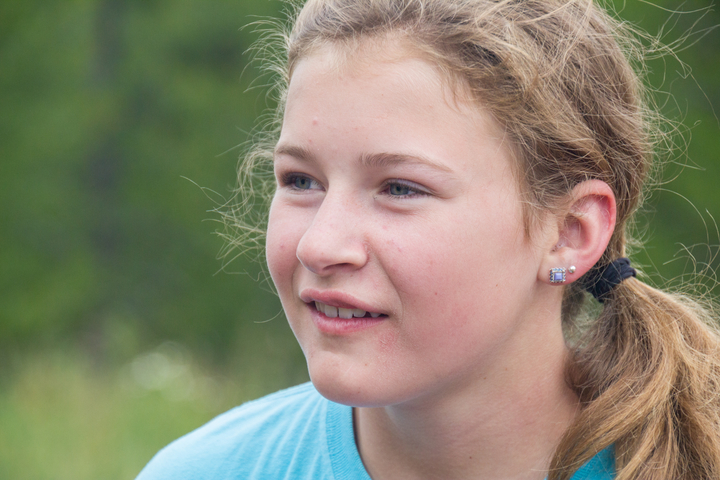 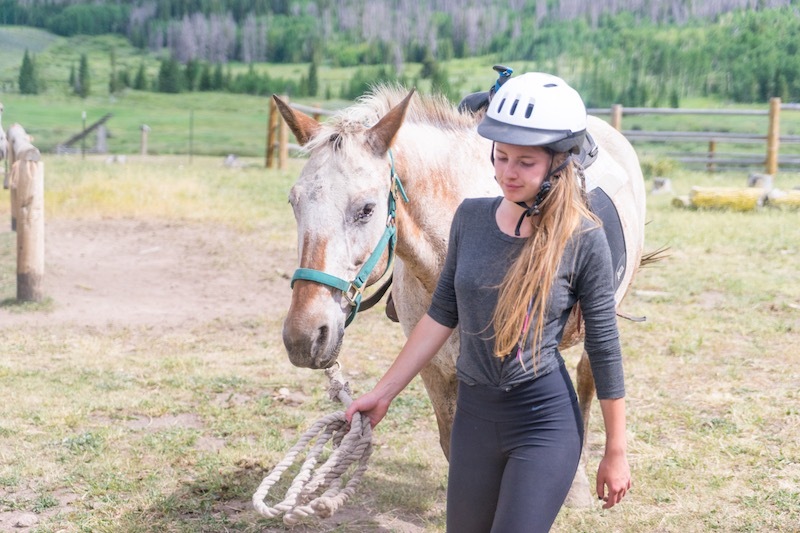 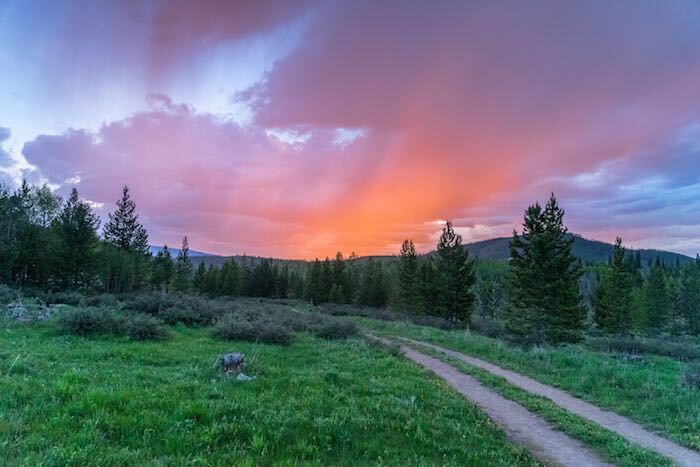 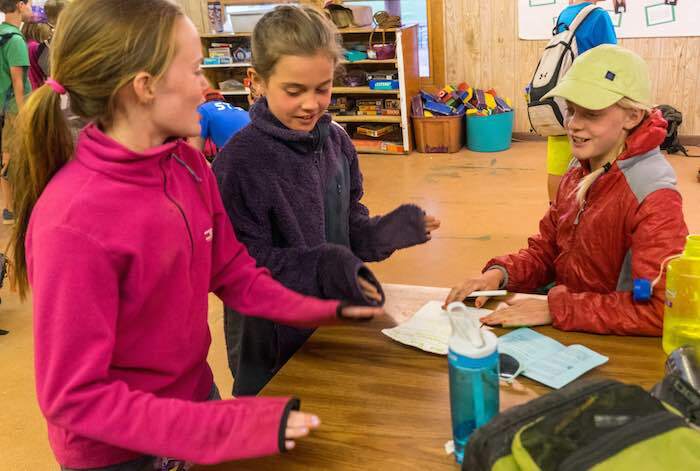 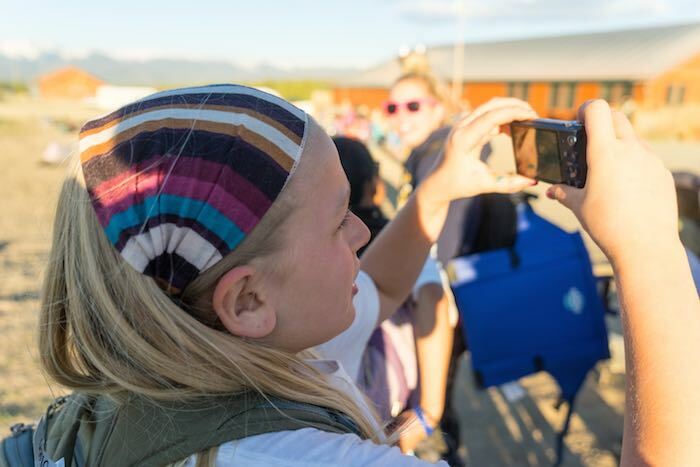 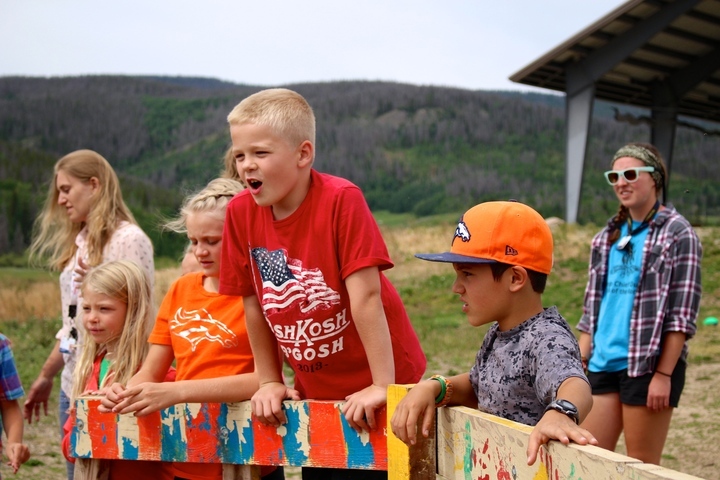 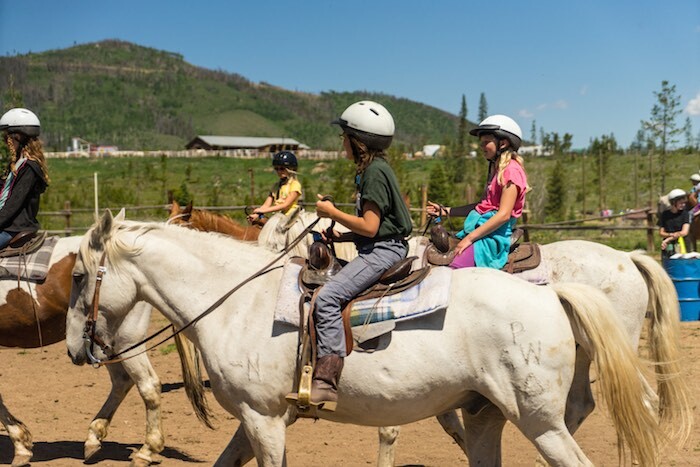 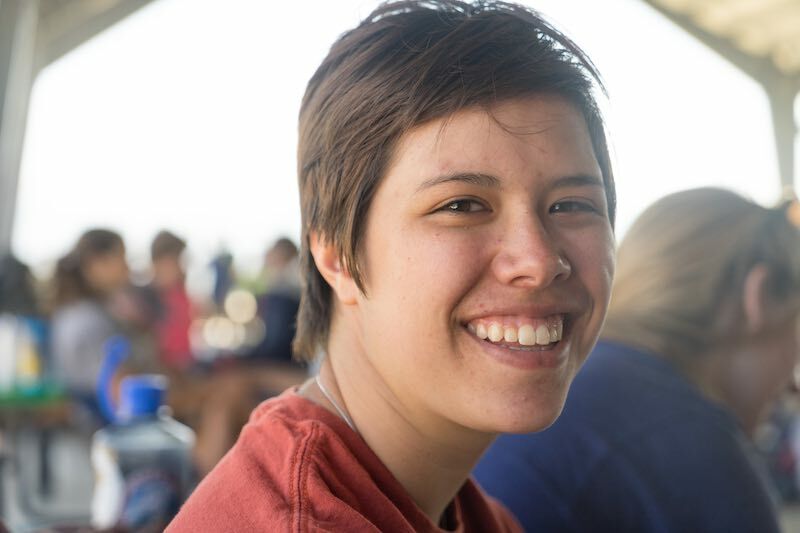 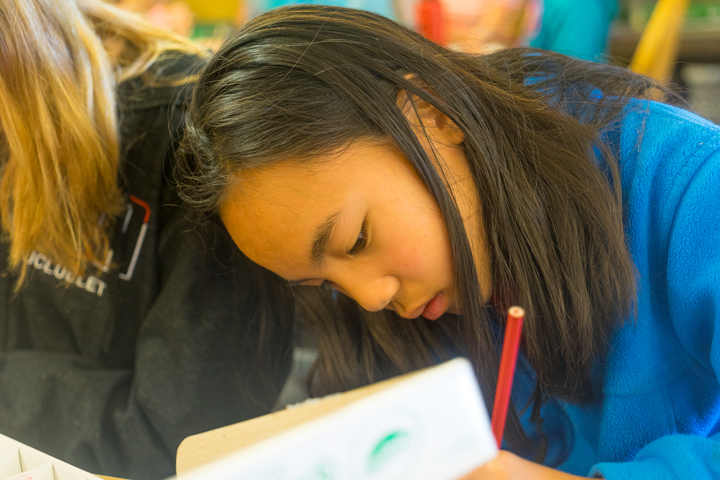 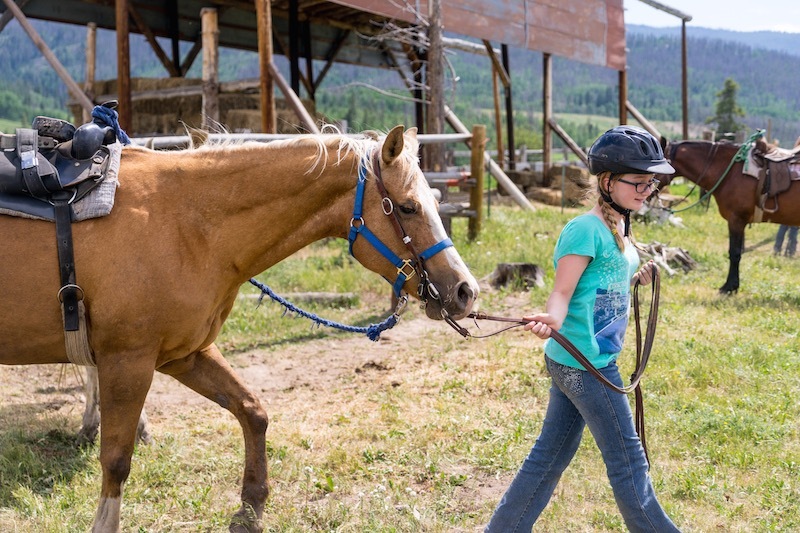 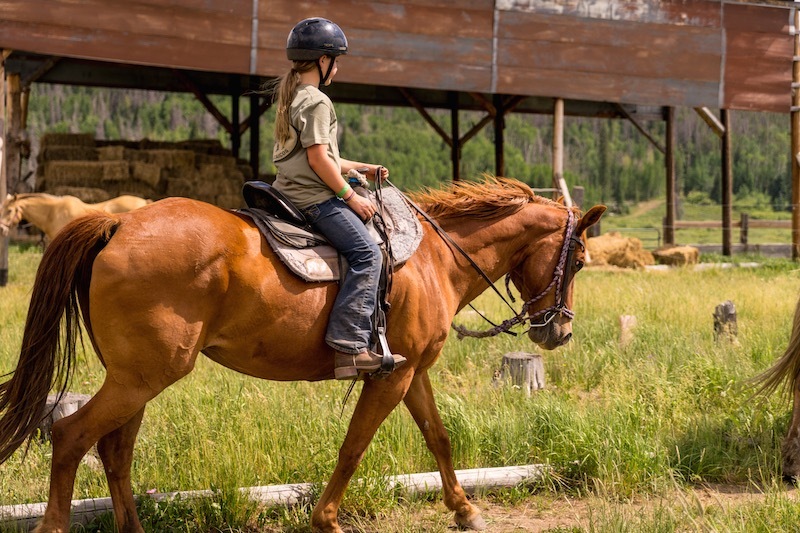 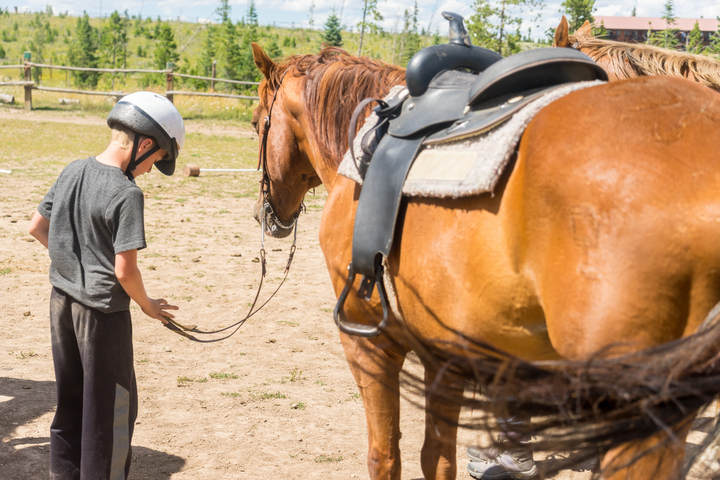 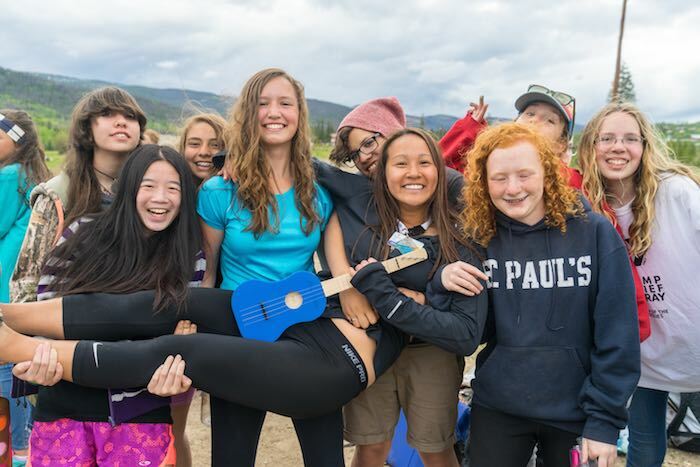 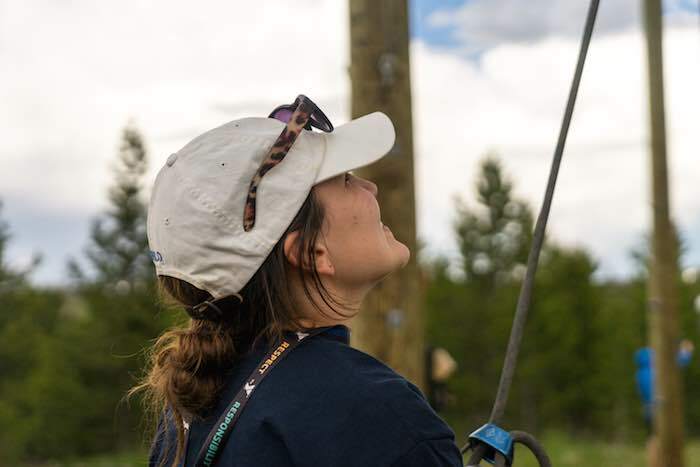 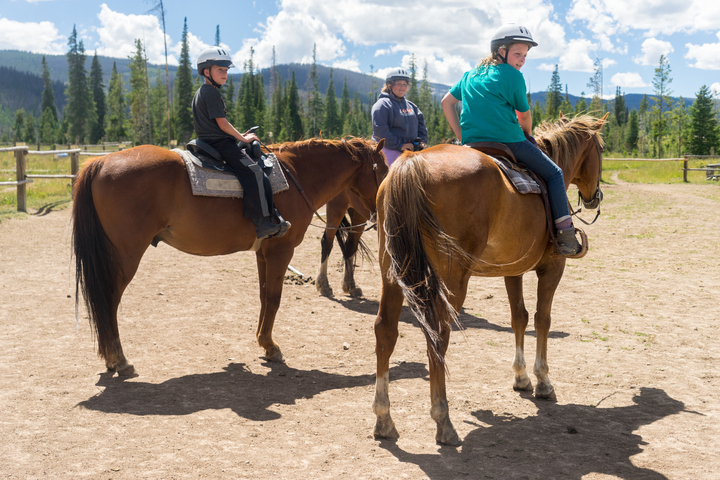 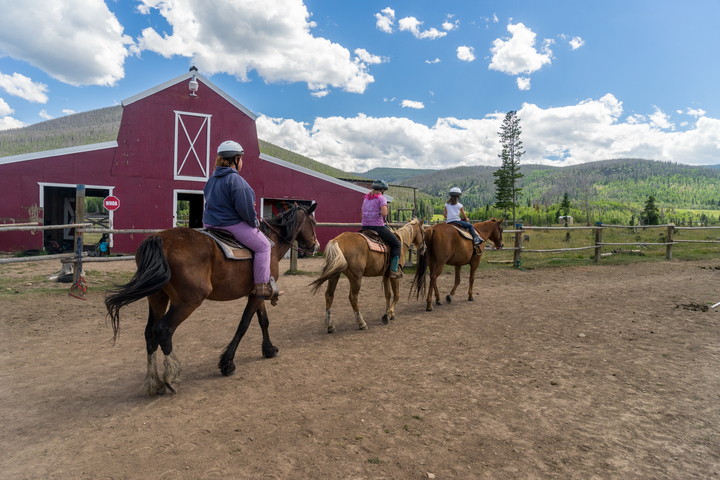 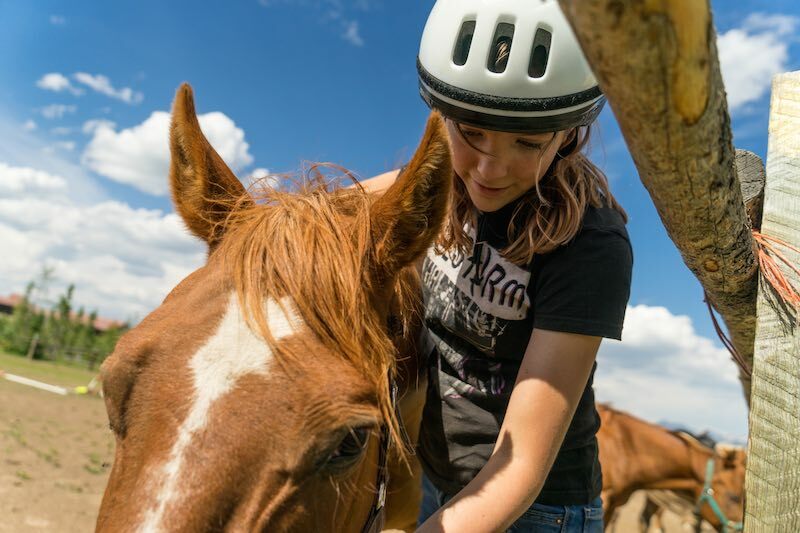 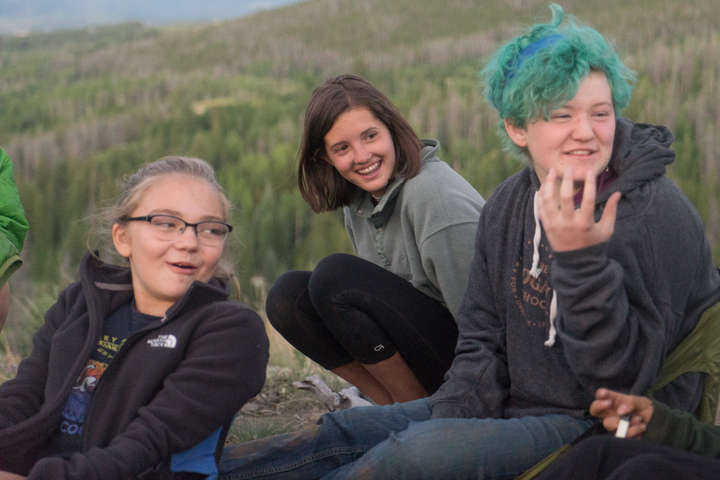 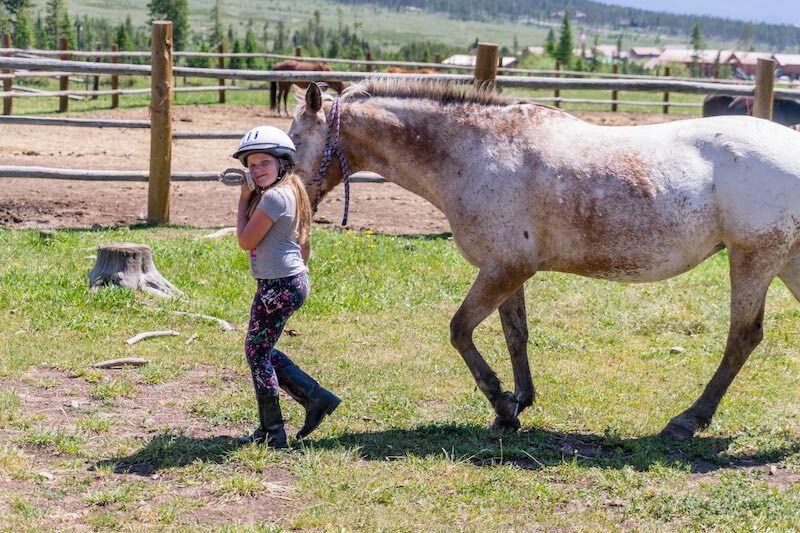 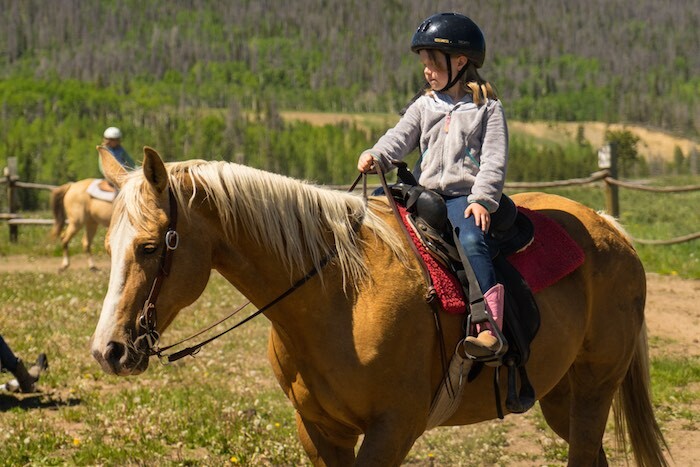 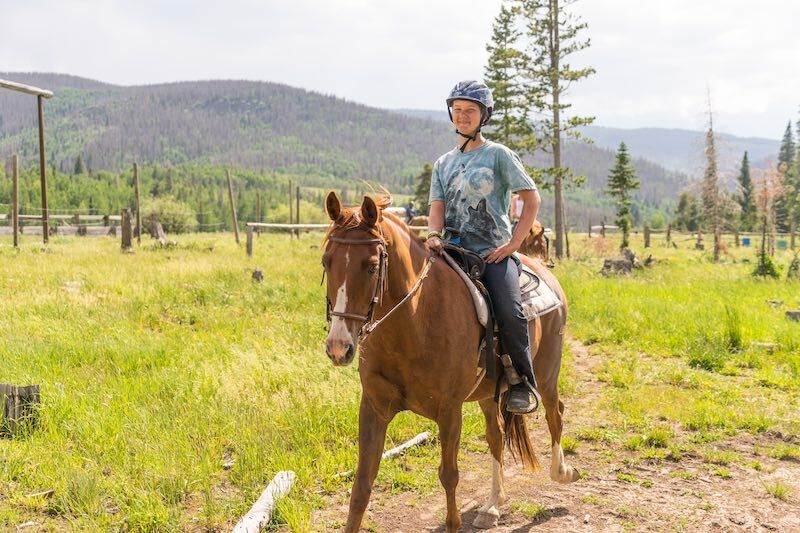 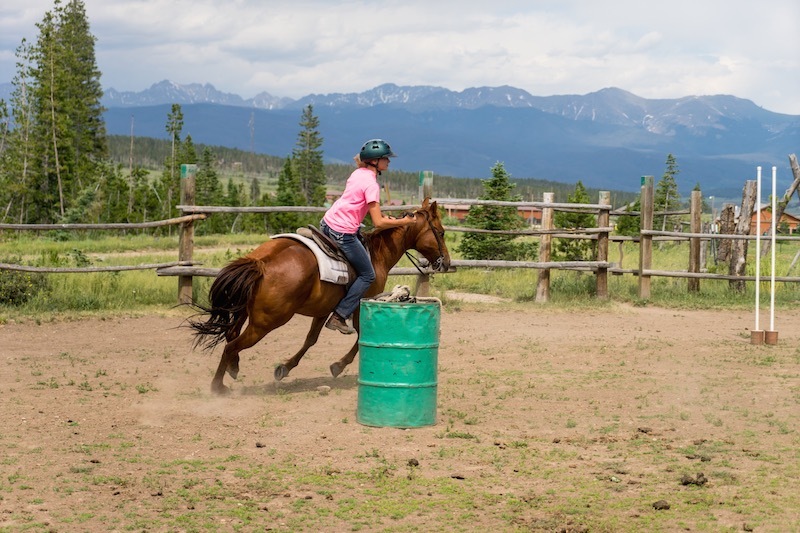 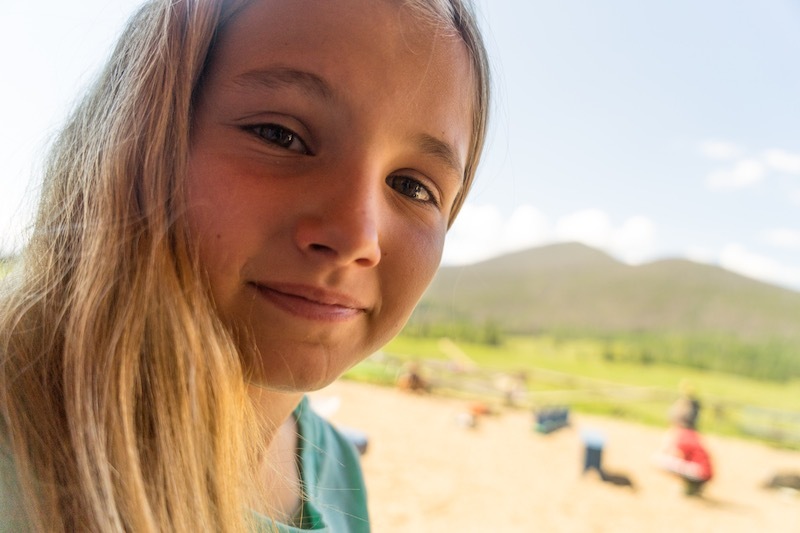 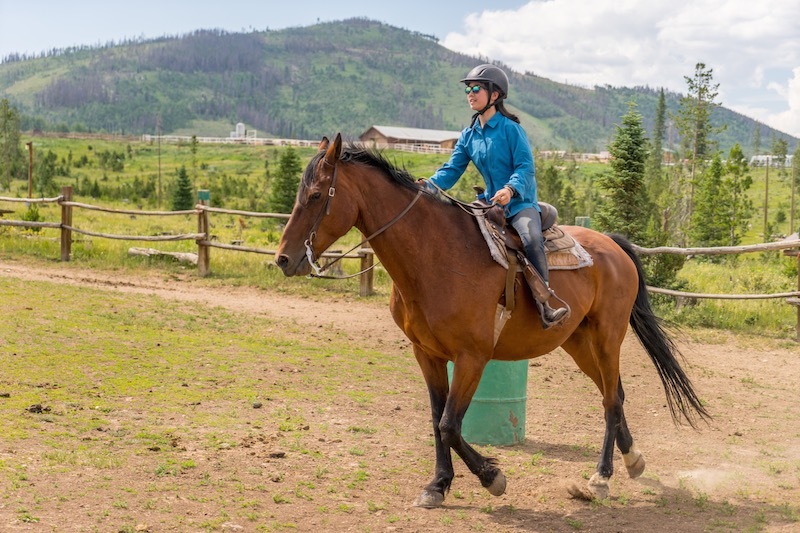 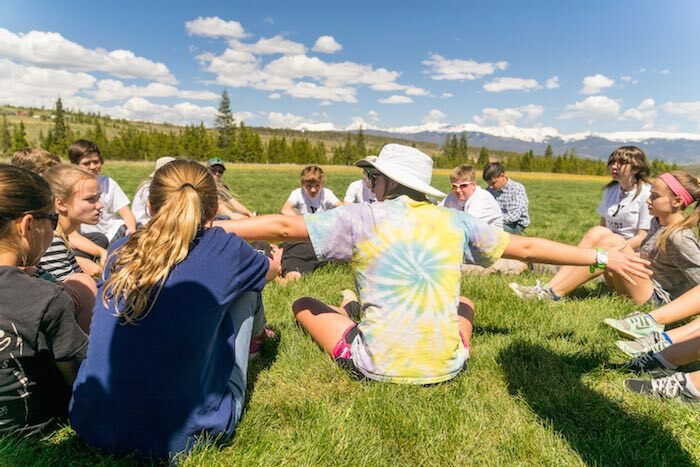 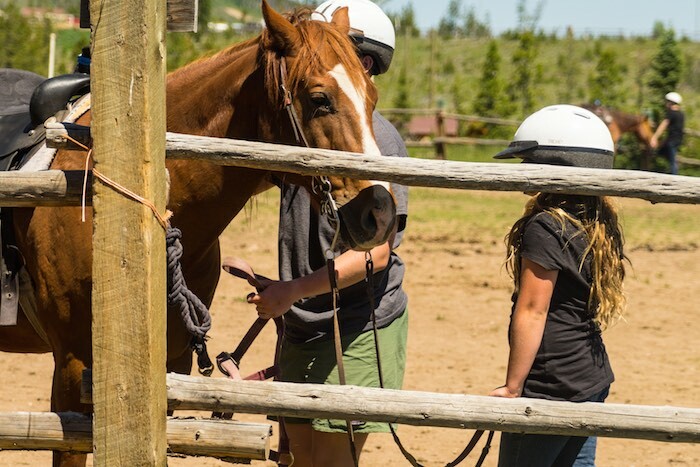 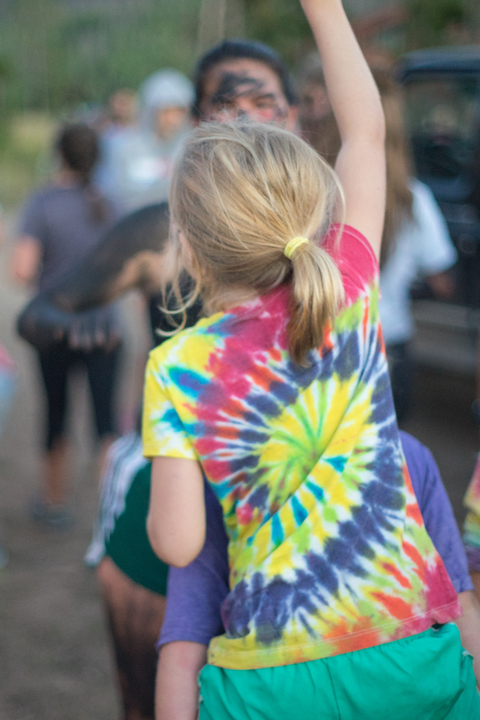 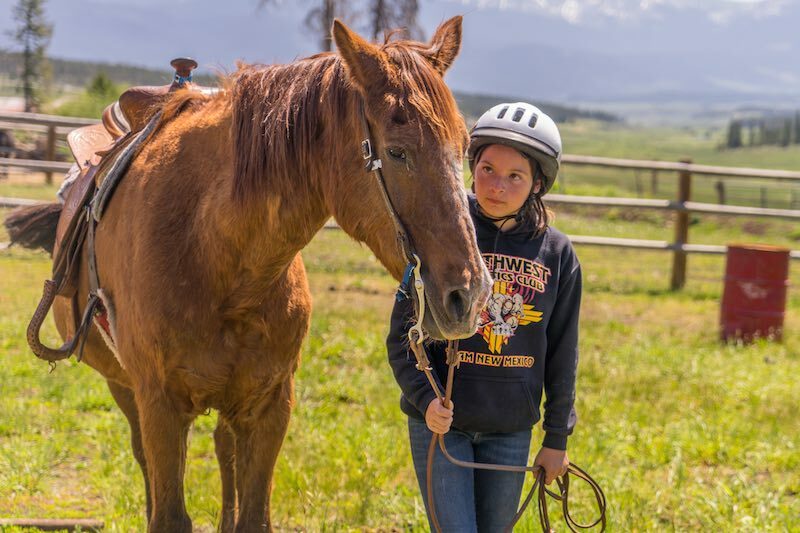 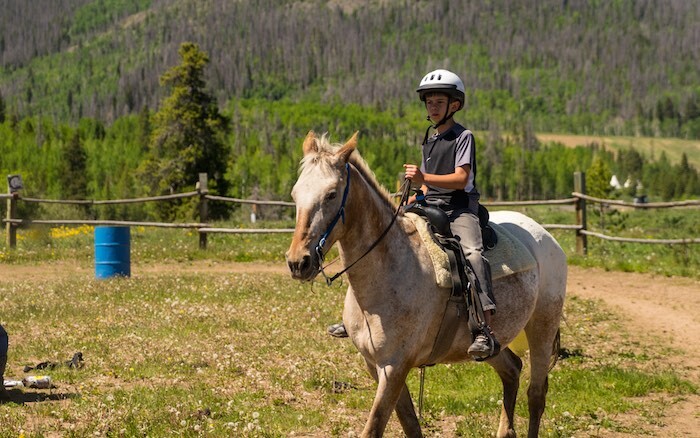 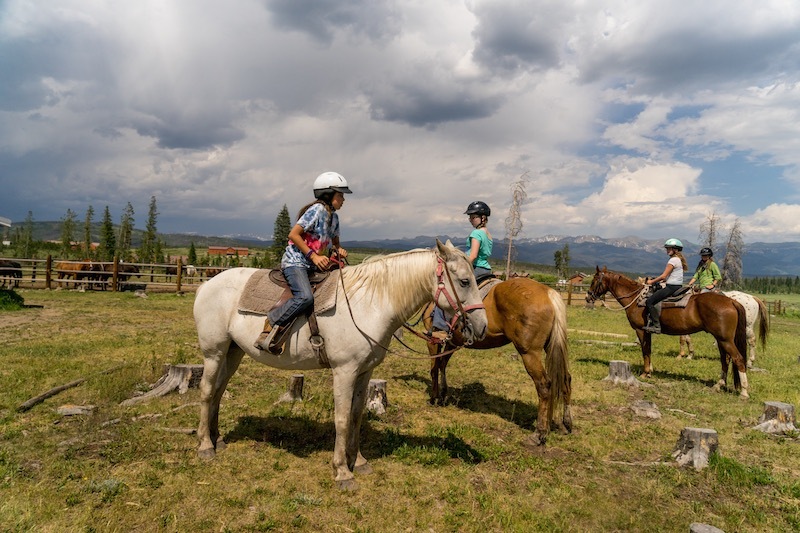 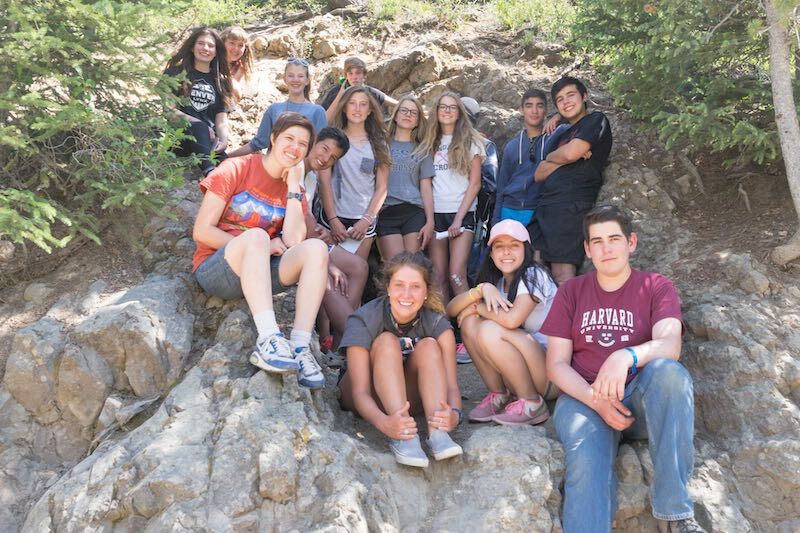 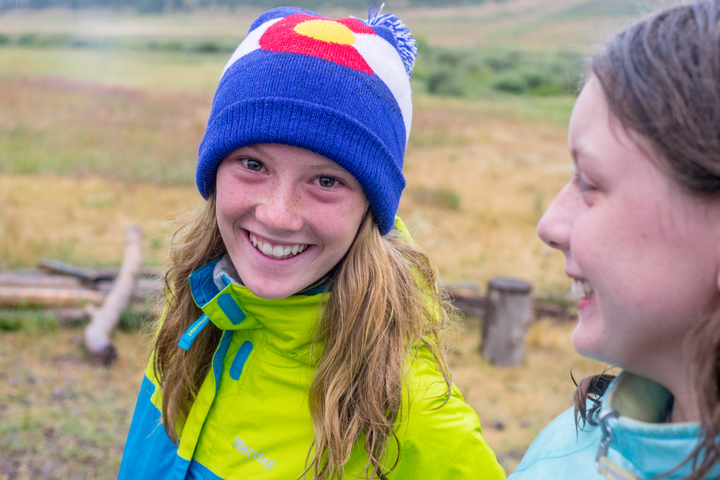 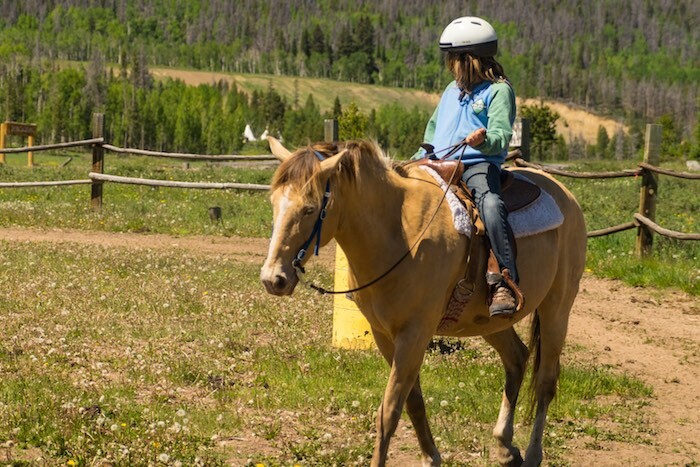 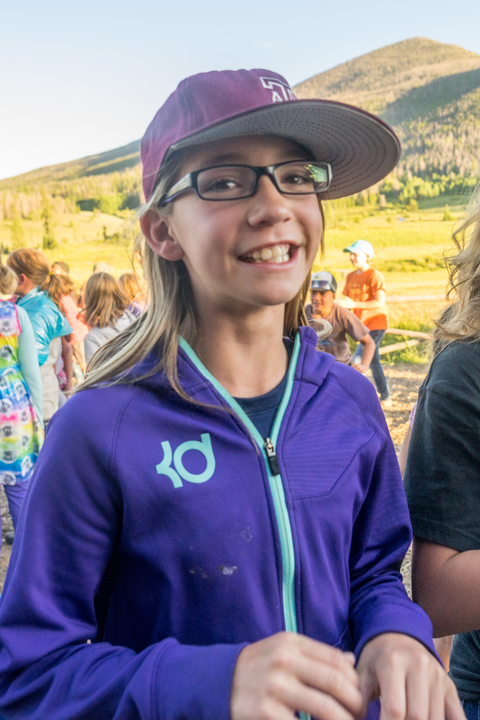 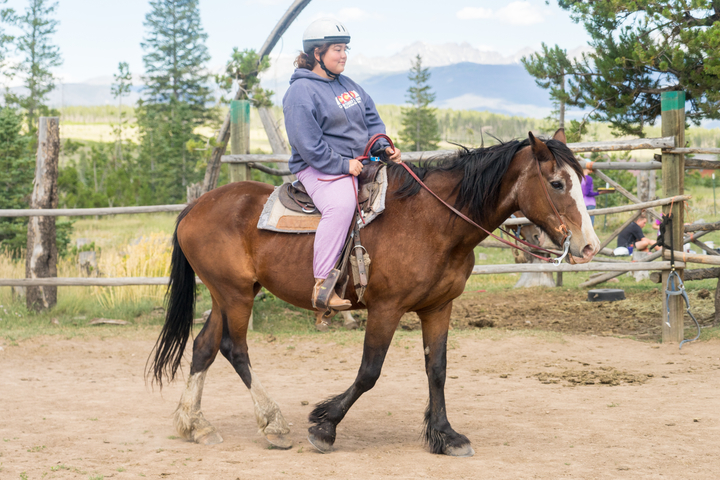 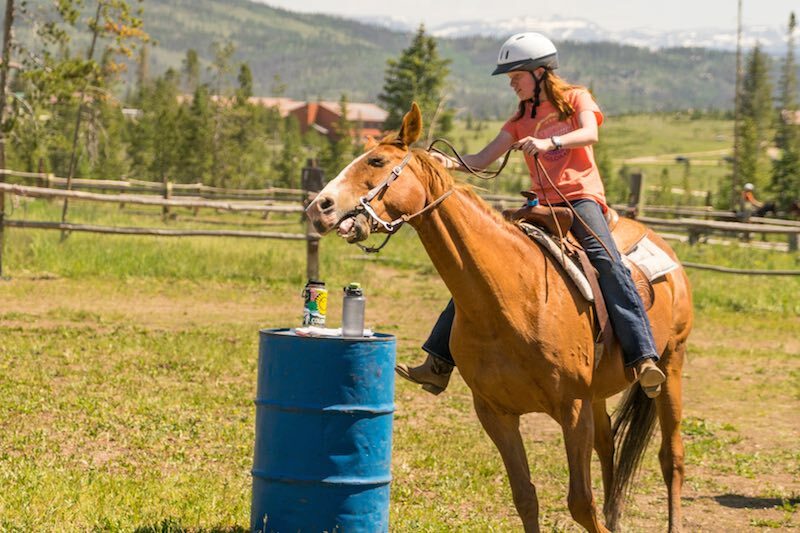 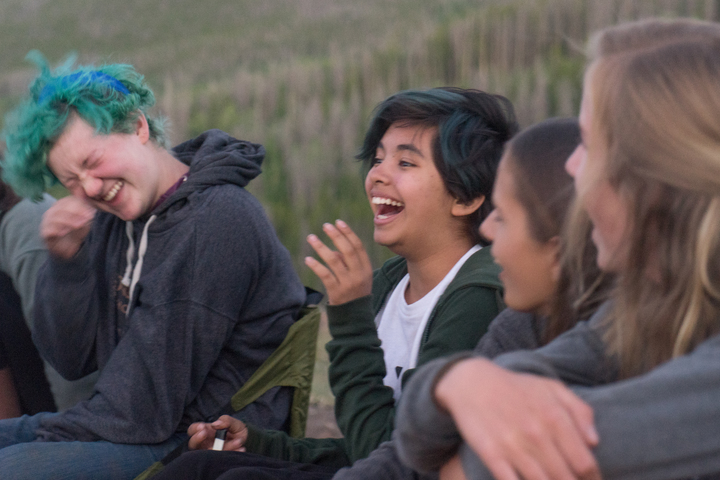 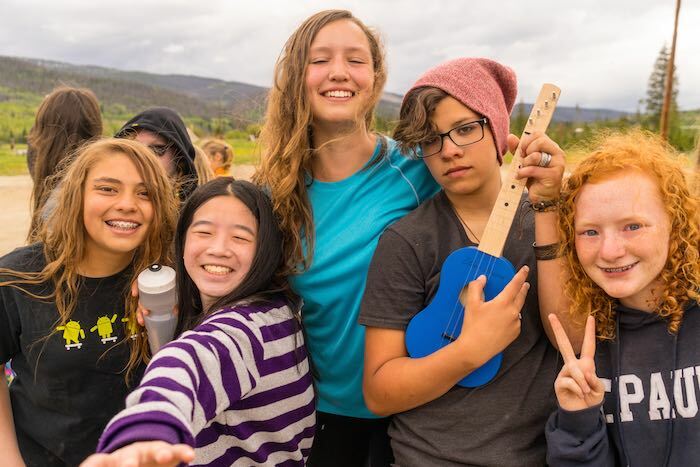 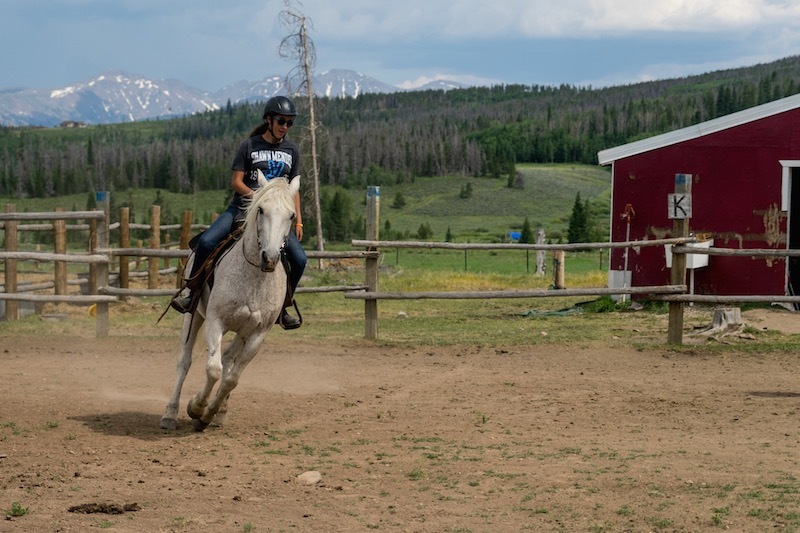 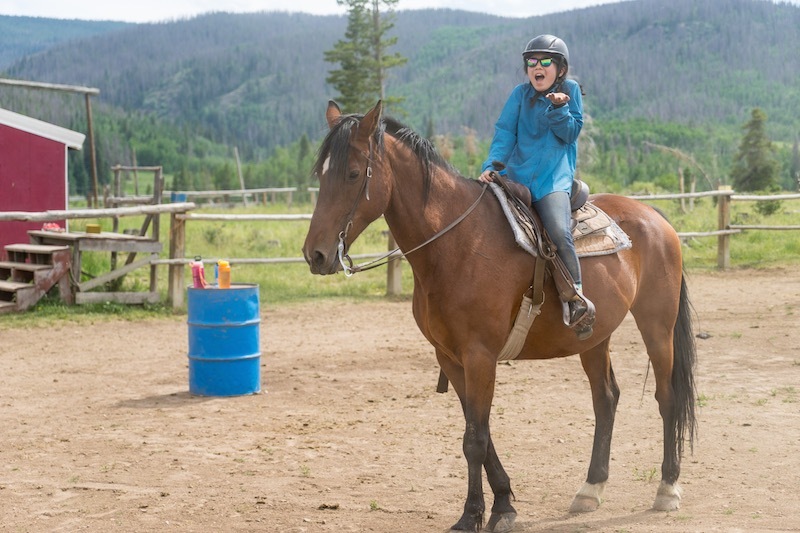 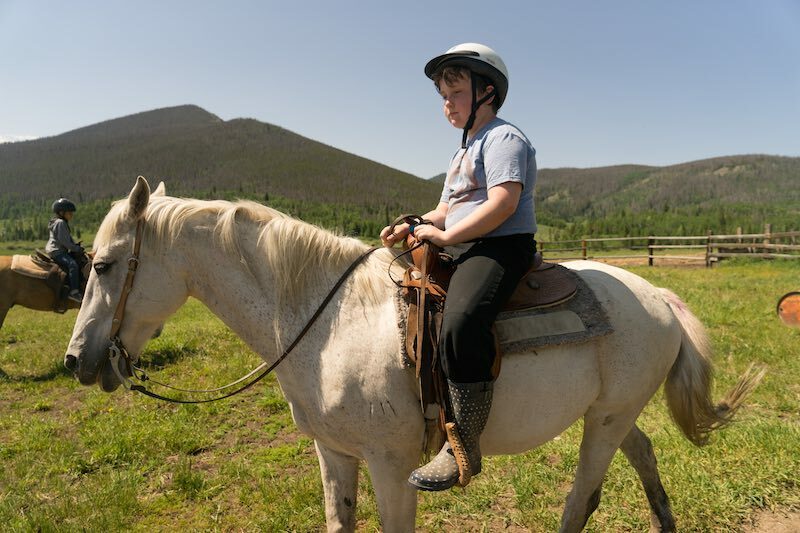 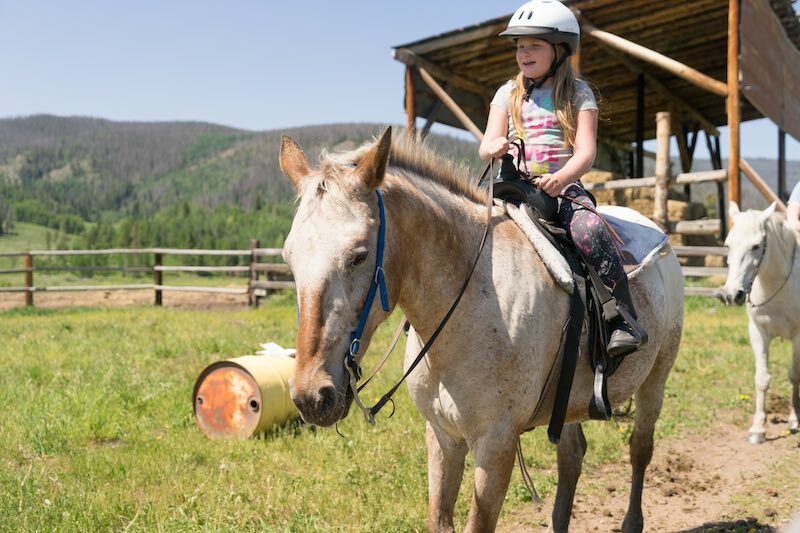 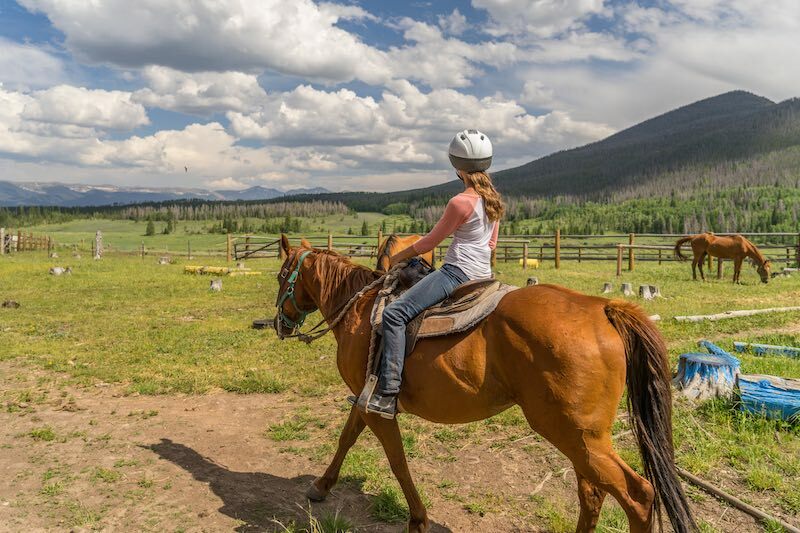 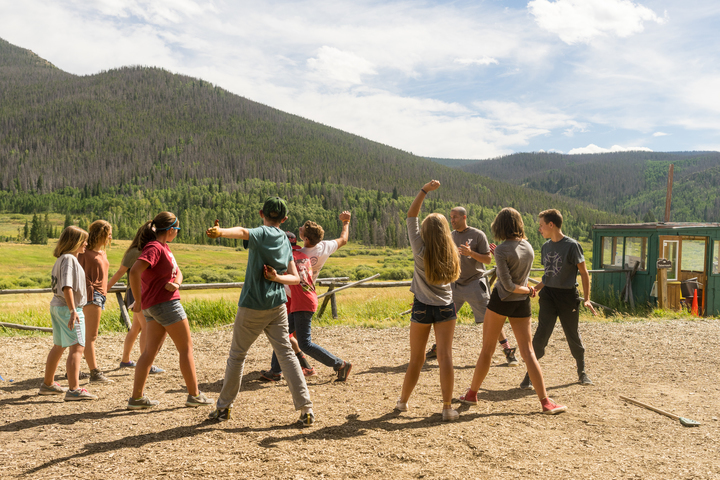 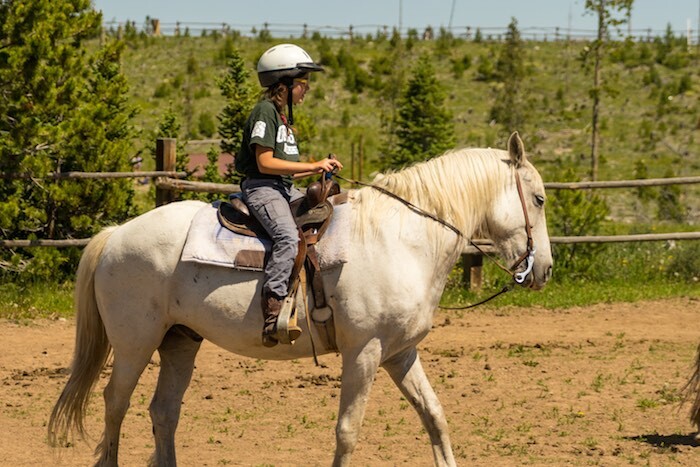 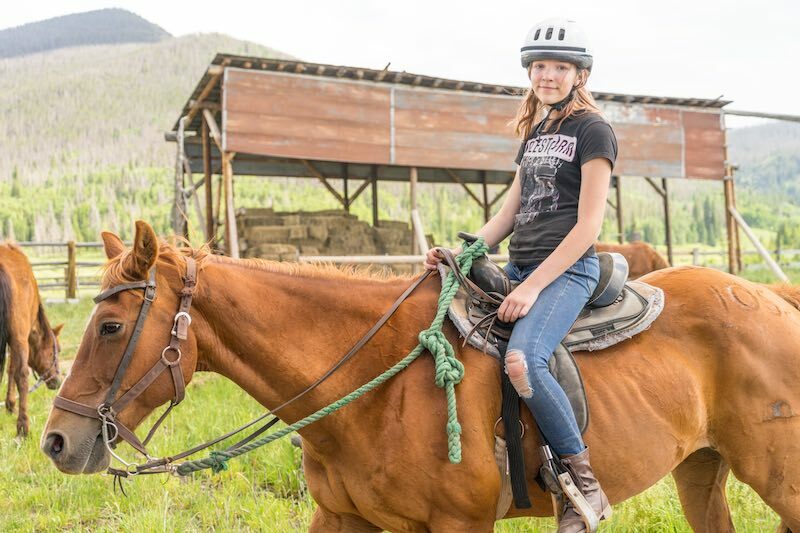 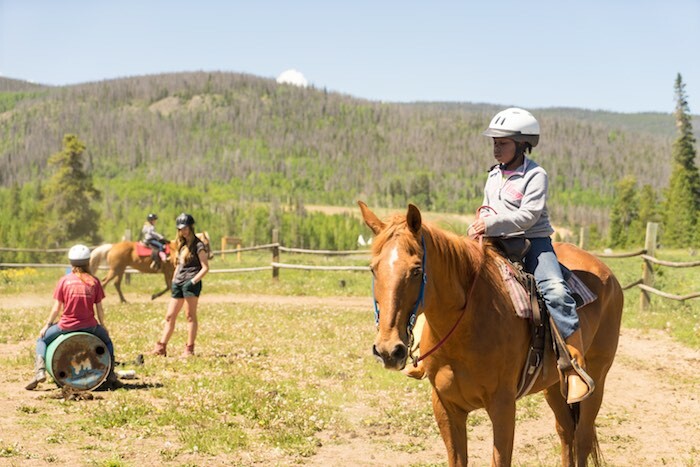 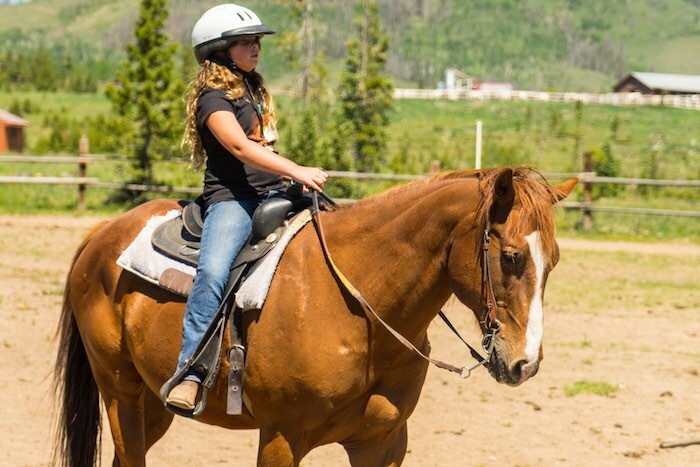 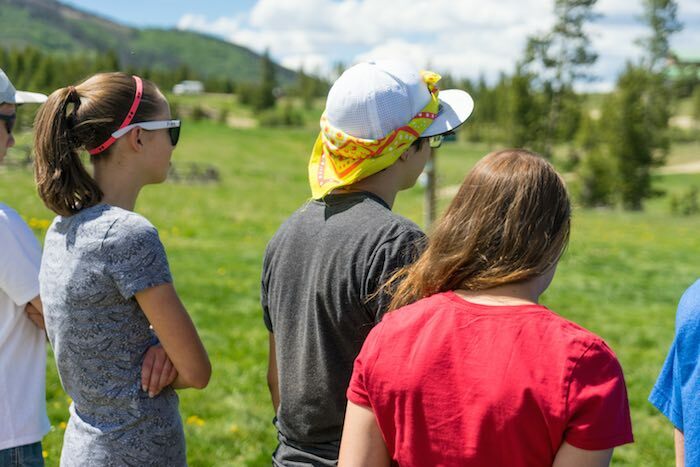 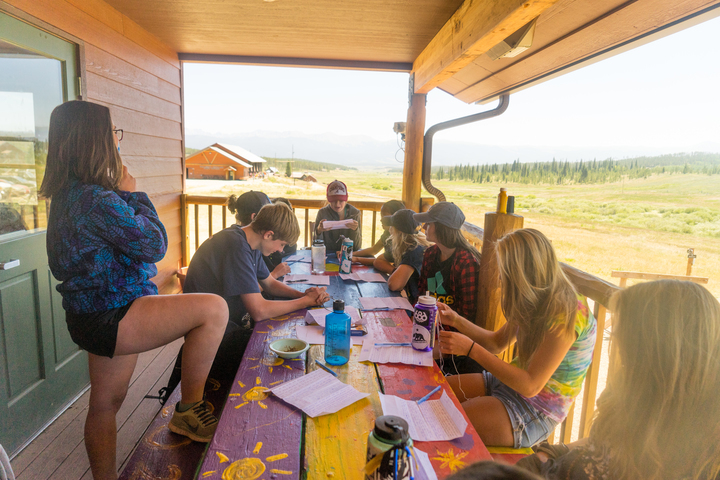 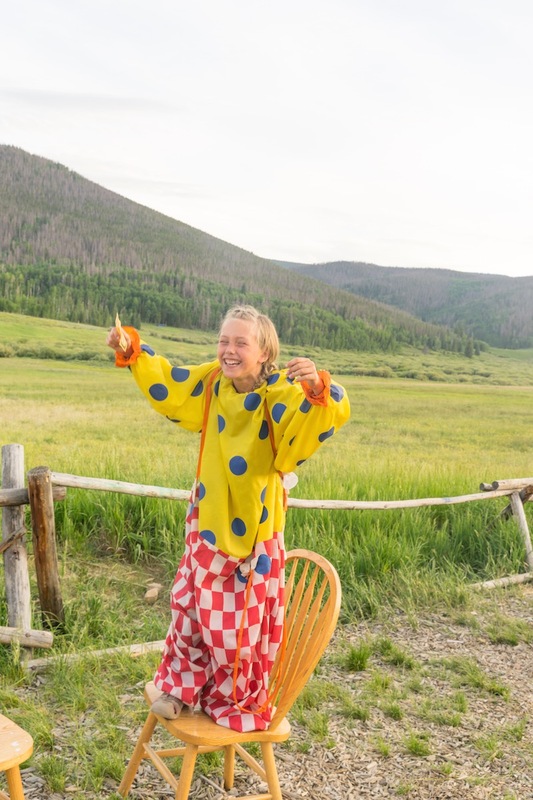 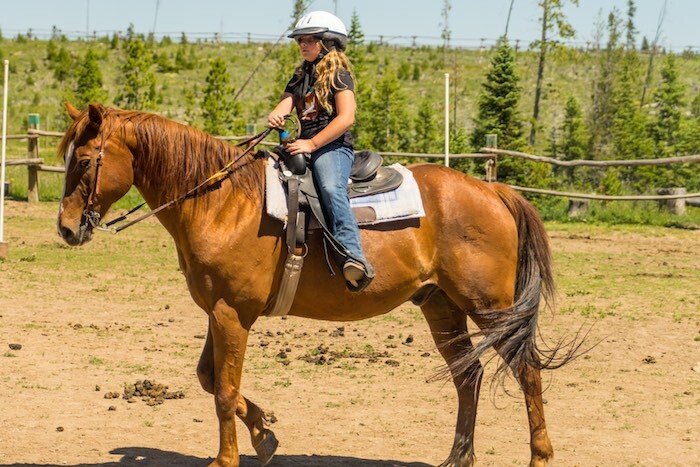 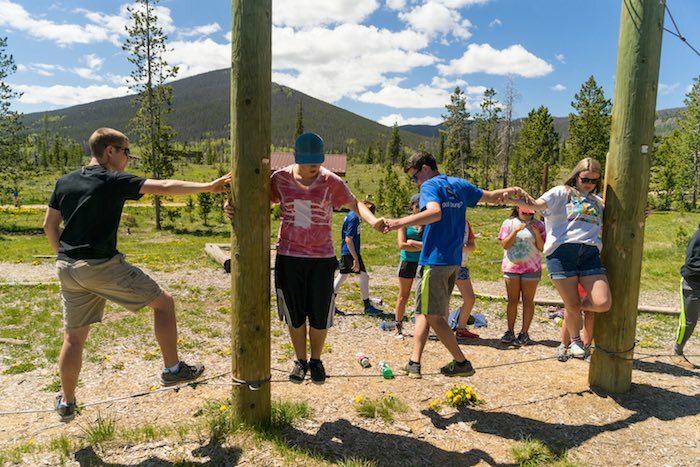 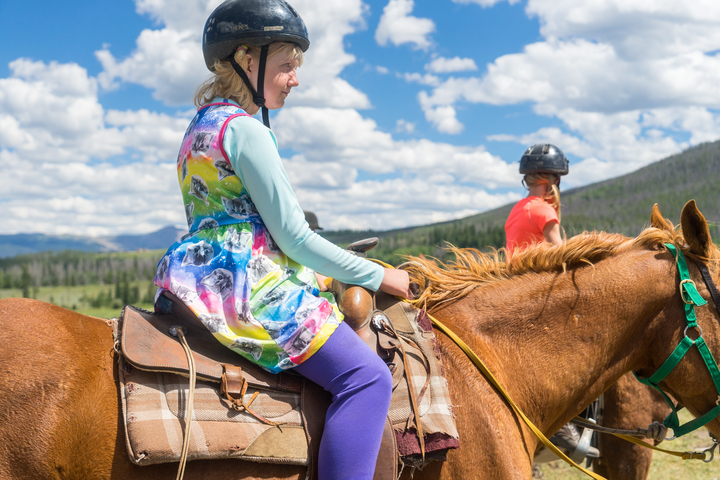 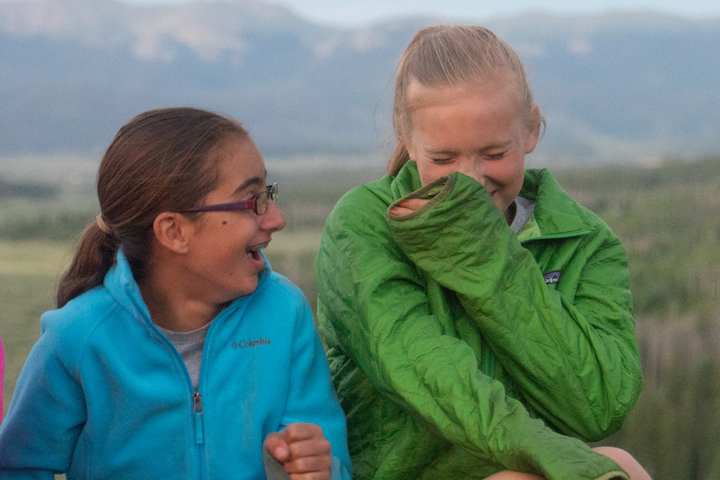 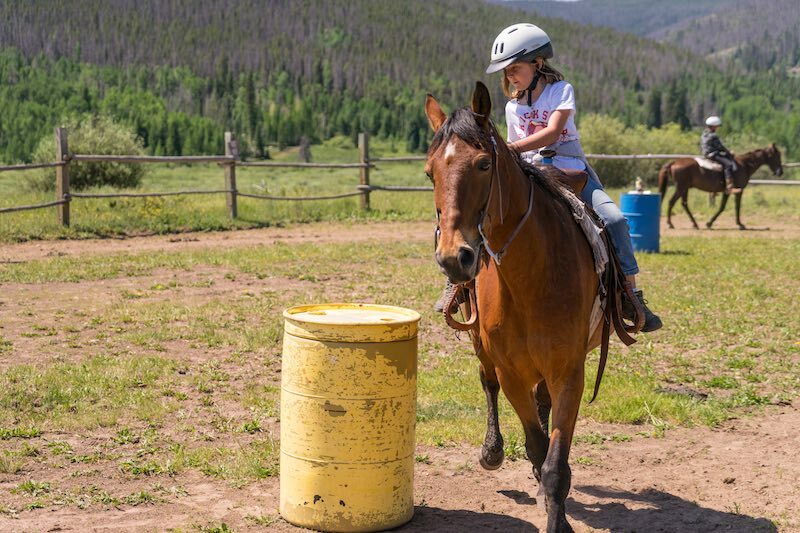 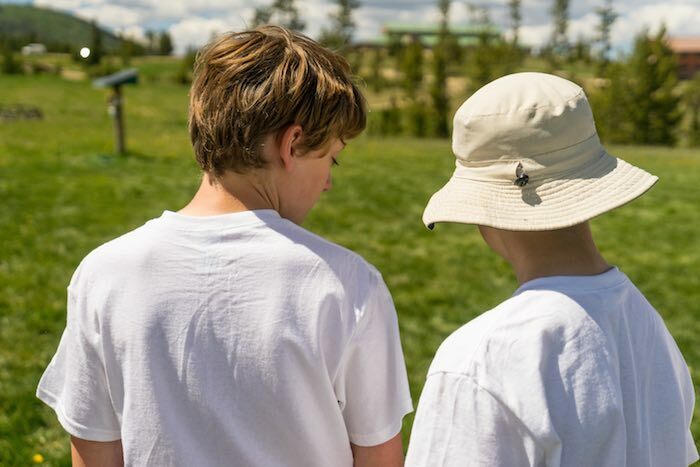 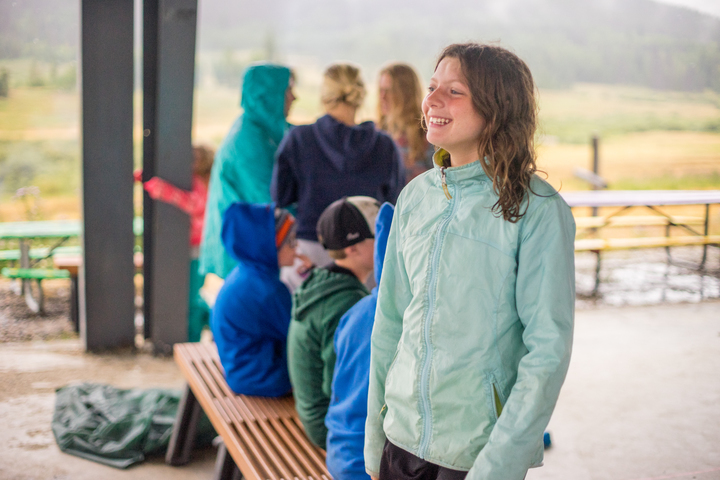 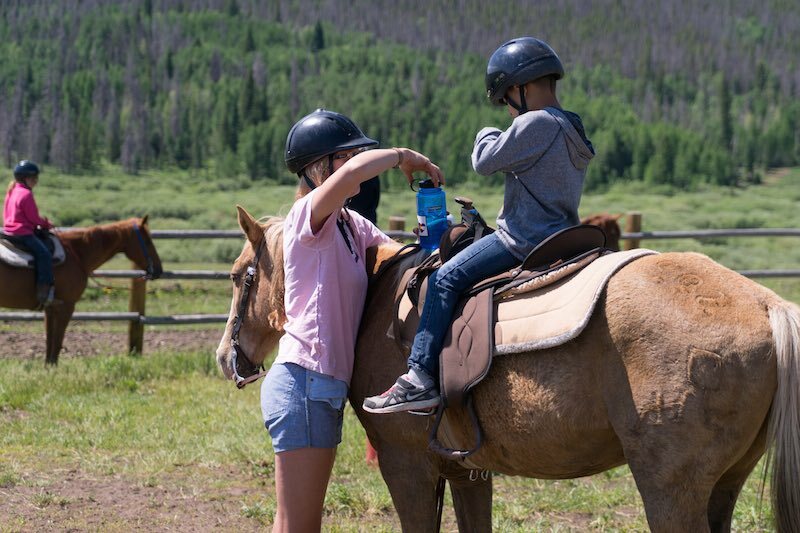 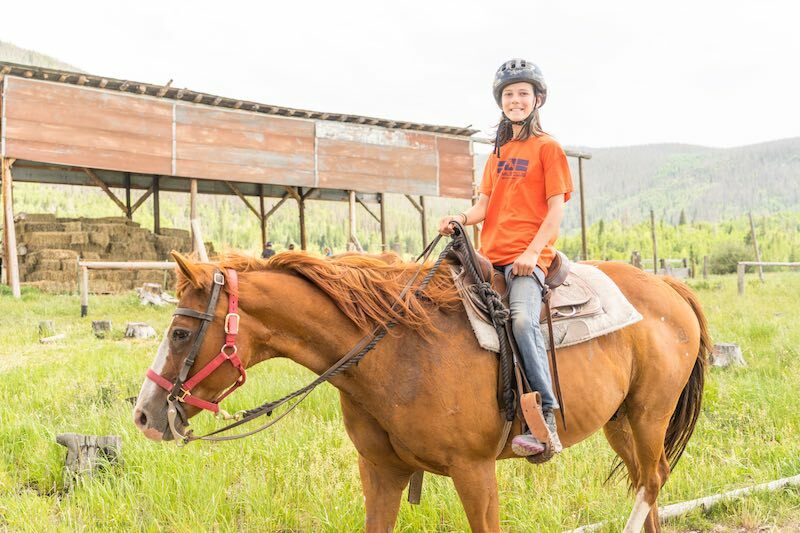 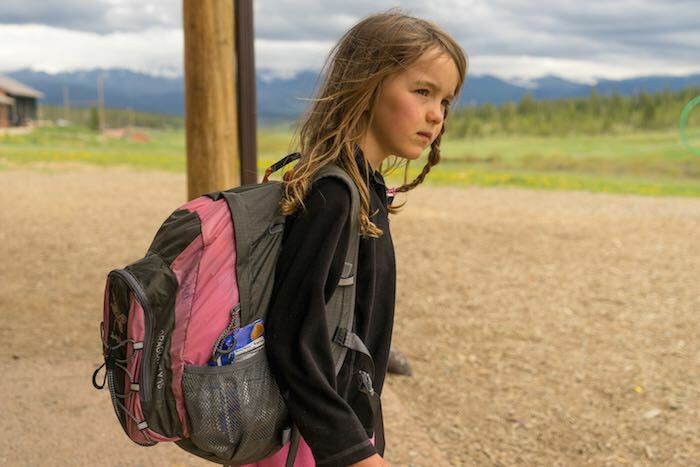 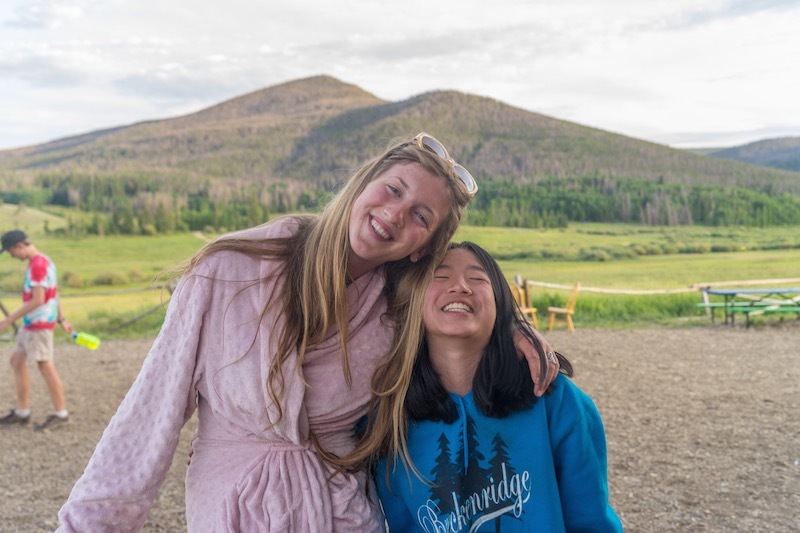 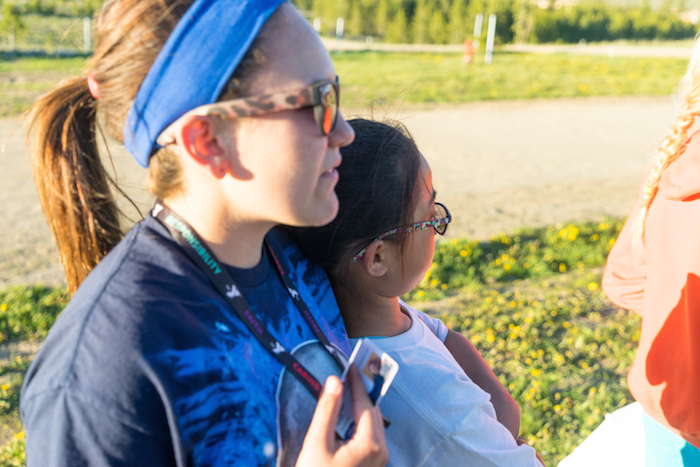 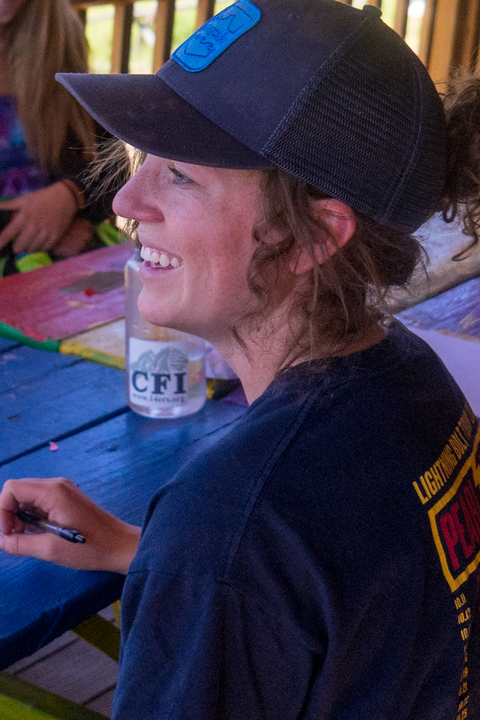 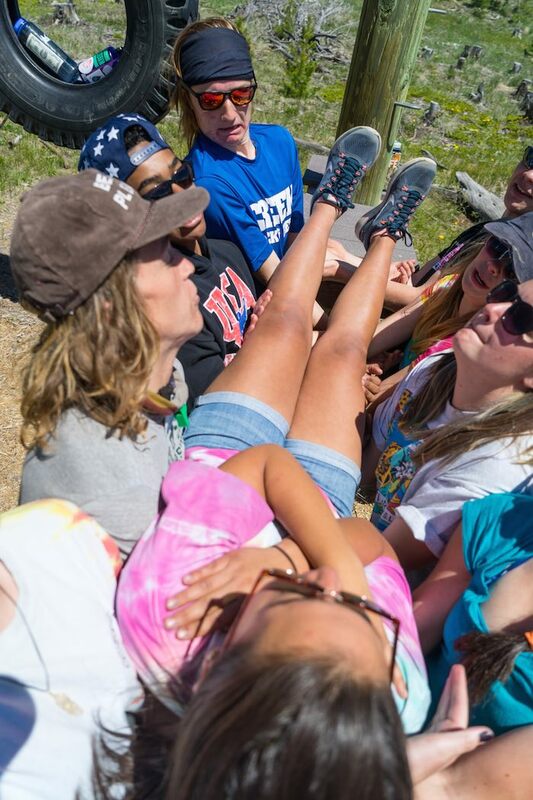 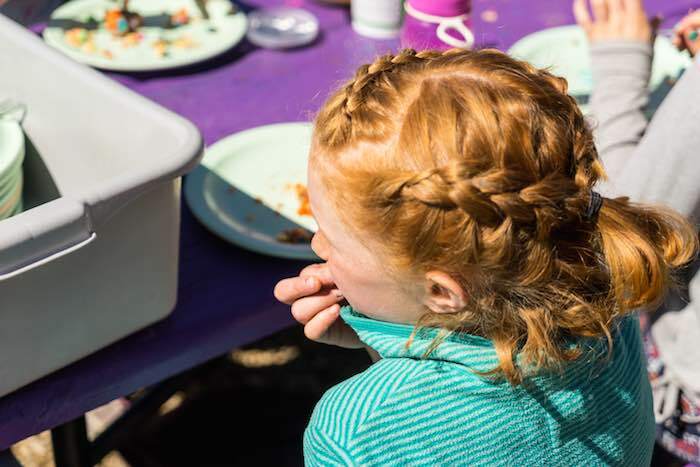 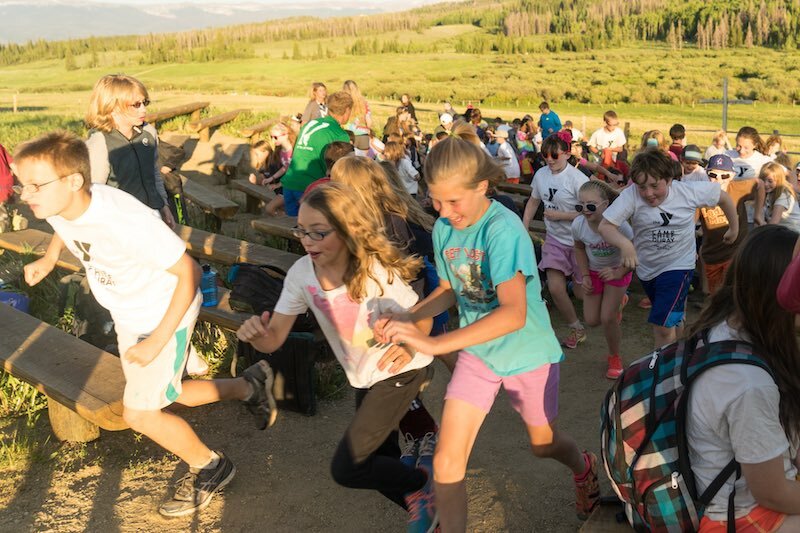 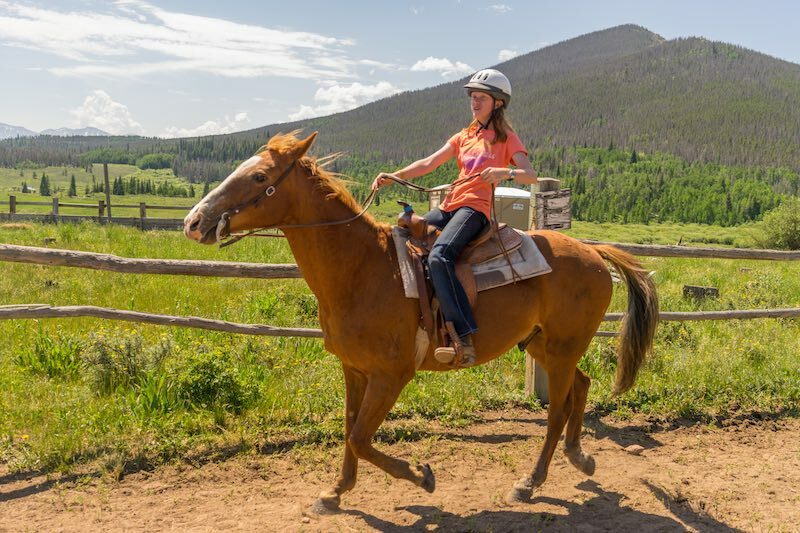 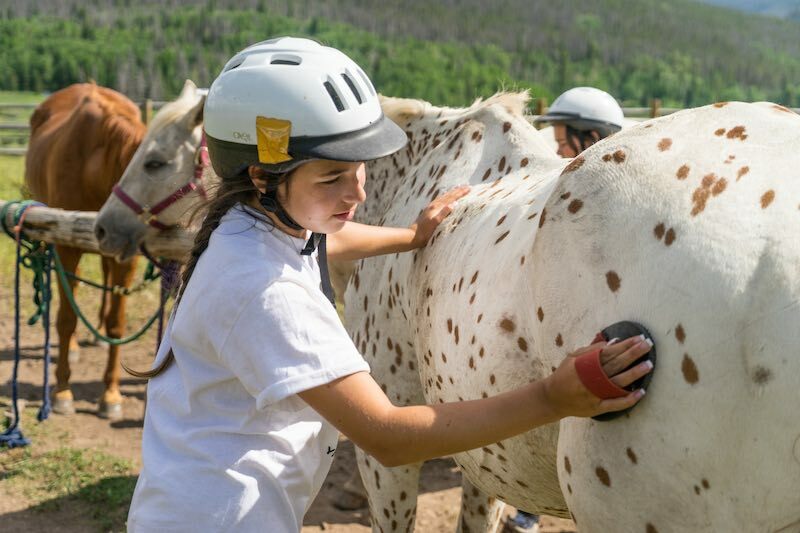 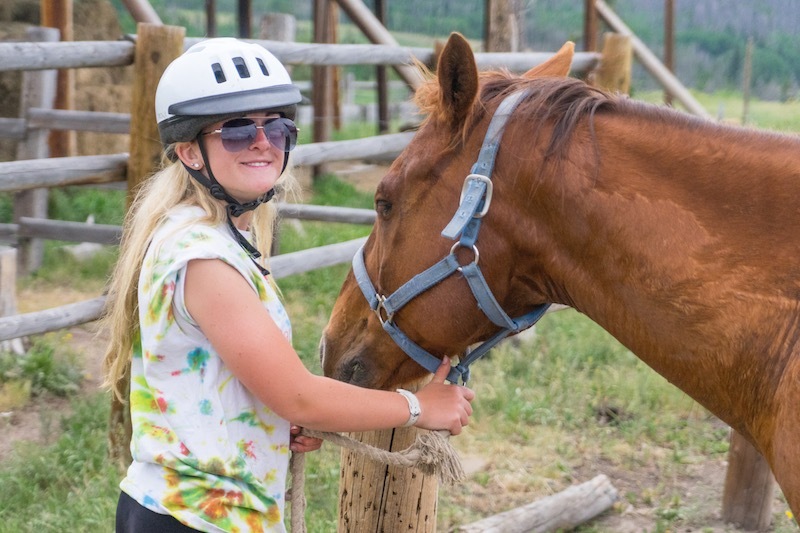 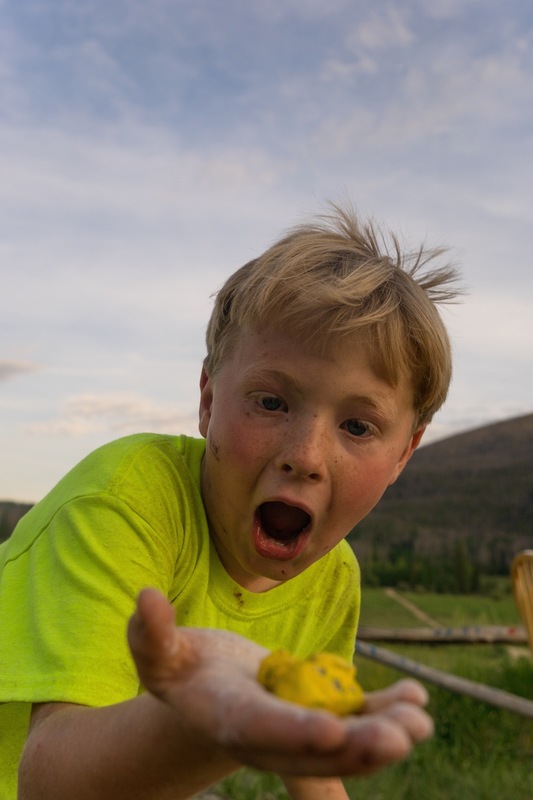 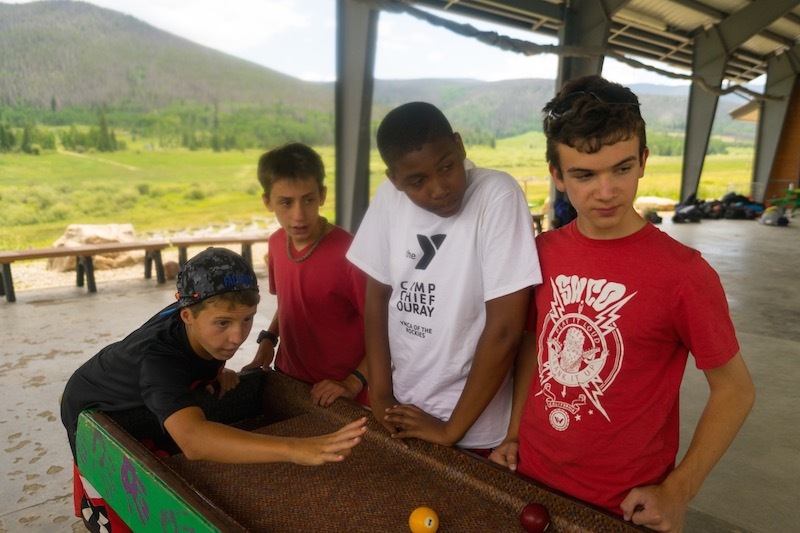 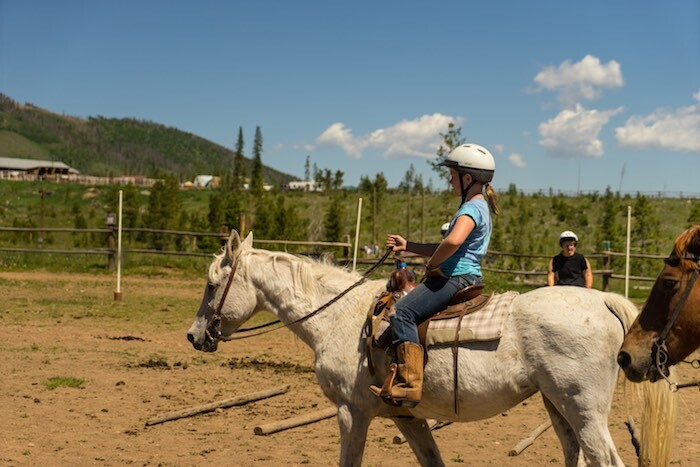 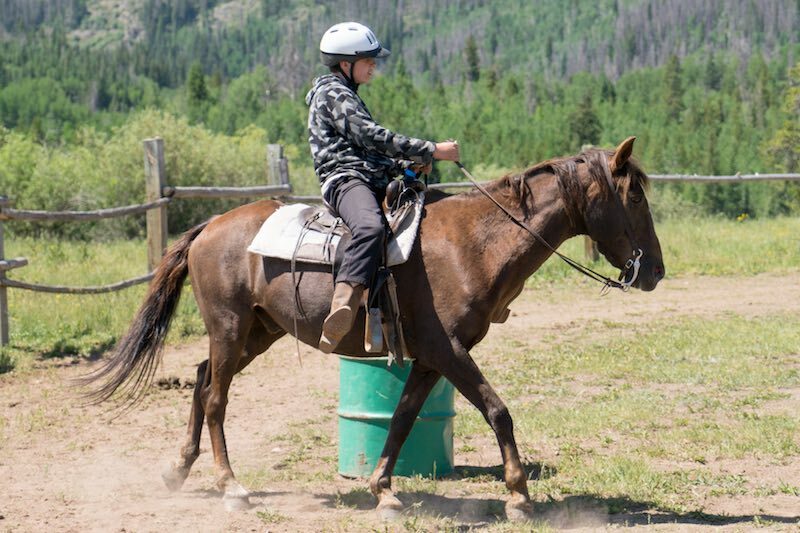 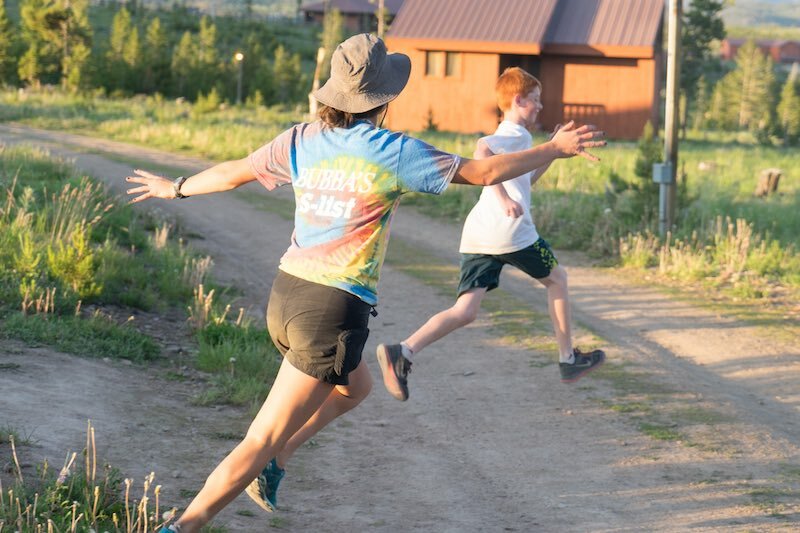 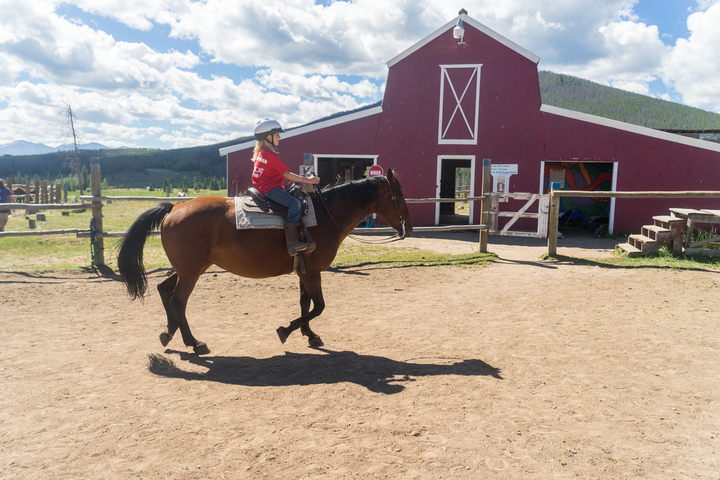 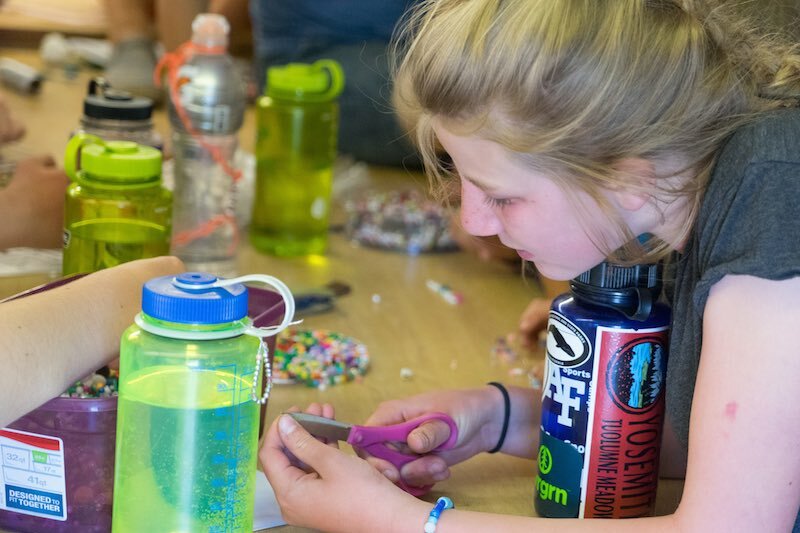 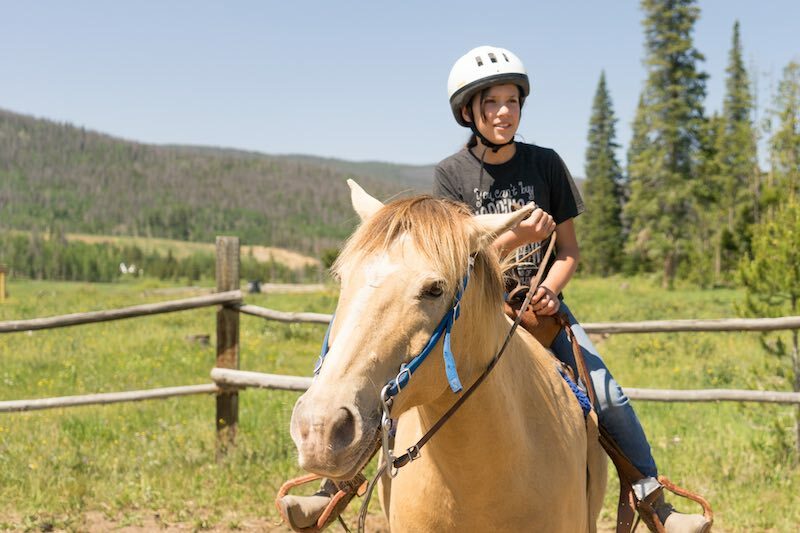 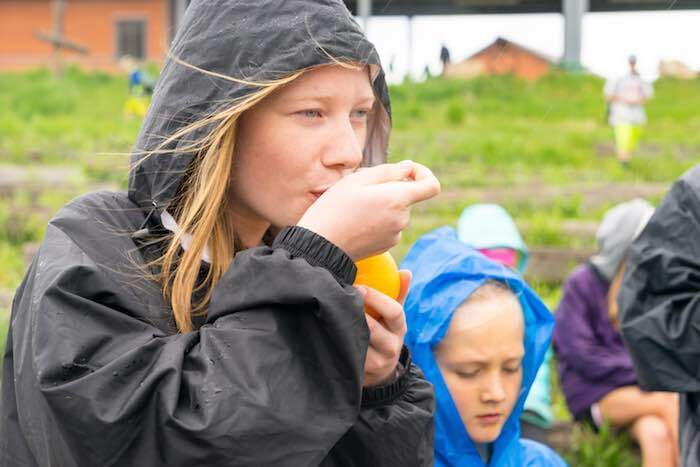 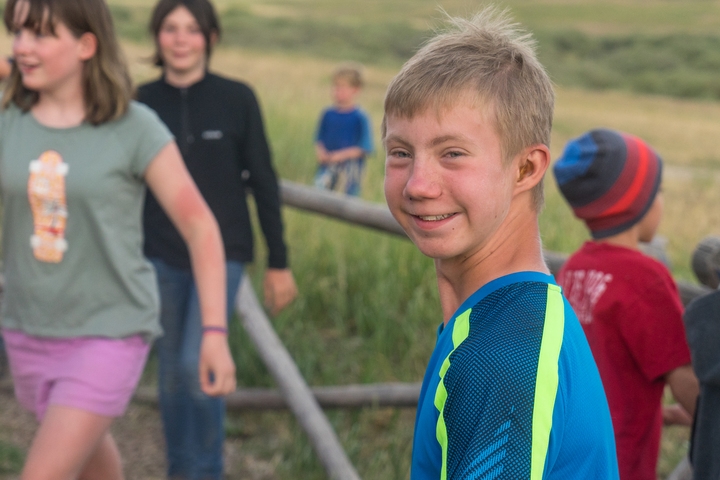 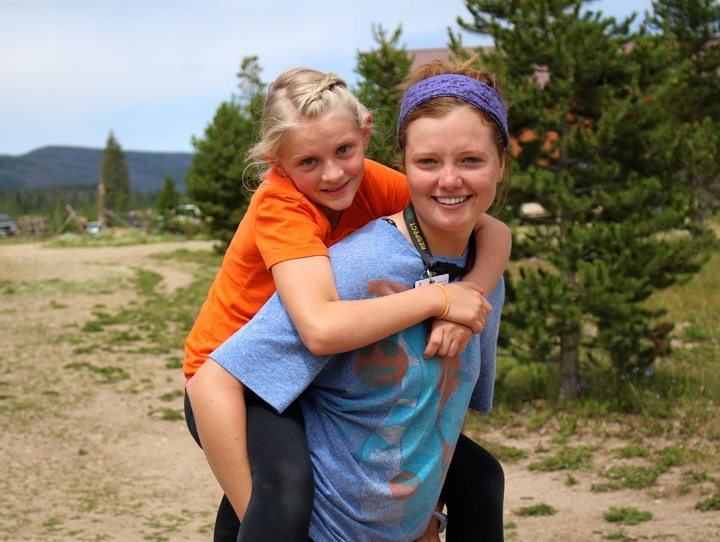 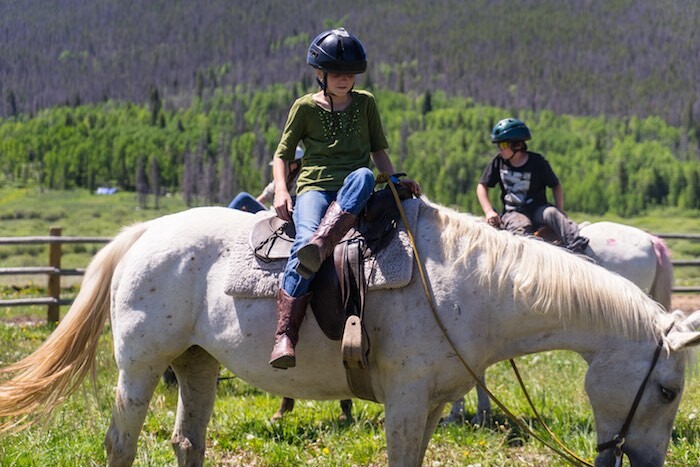 These programs offer campers the opportunity to explore Colorado by foot, raft, kayak, bike or horse while growing strong, working as a member of a team, and learning to live in harmony with our environment. 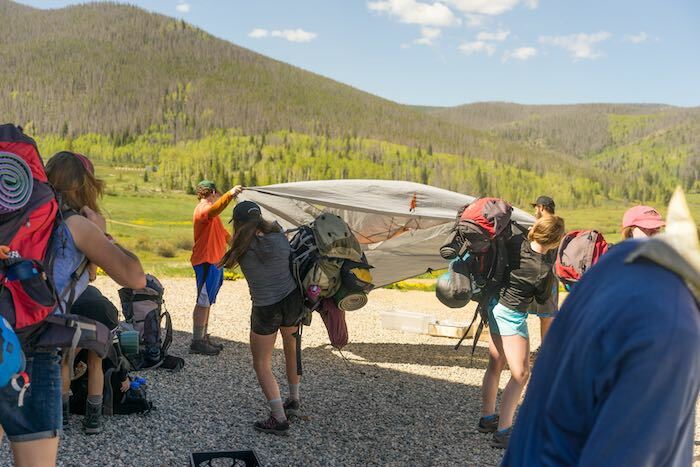 The adventure starts with 1-2 days of team building and trip preparations in camp, then embarking on an incredible 4-day adventure in the back country. 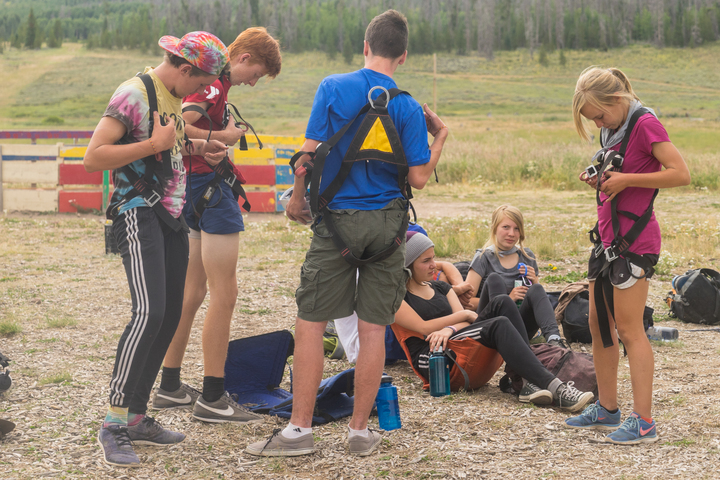 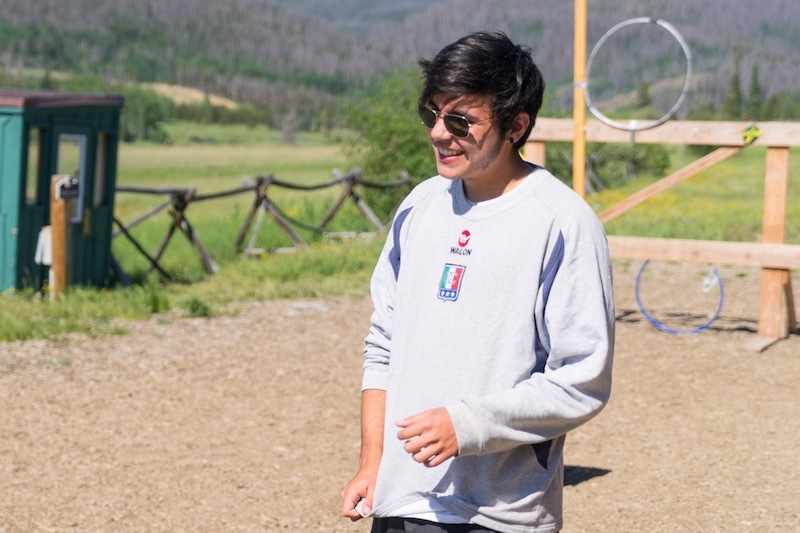 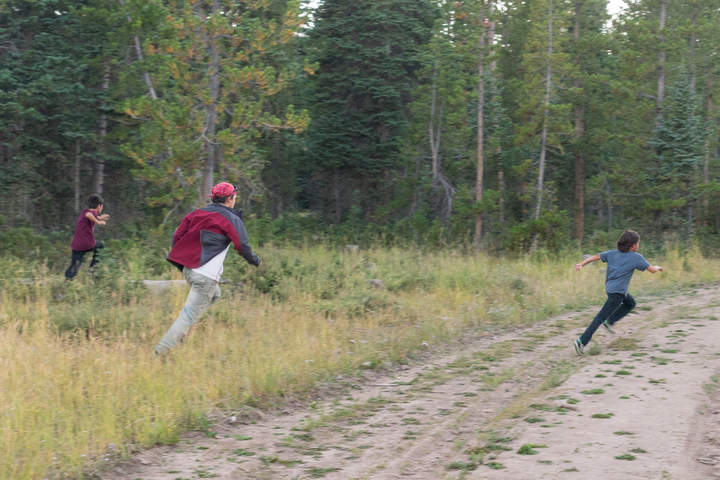 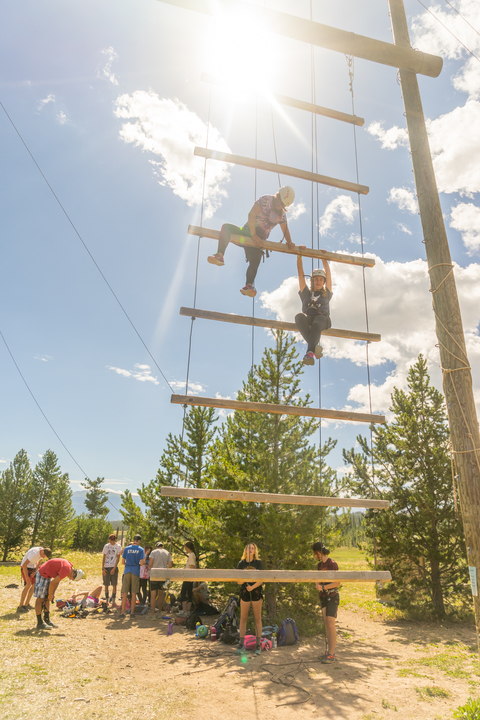 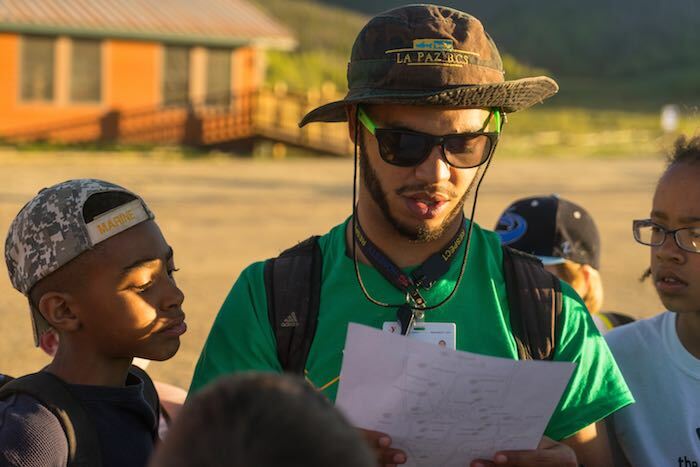 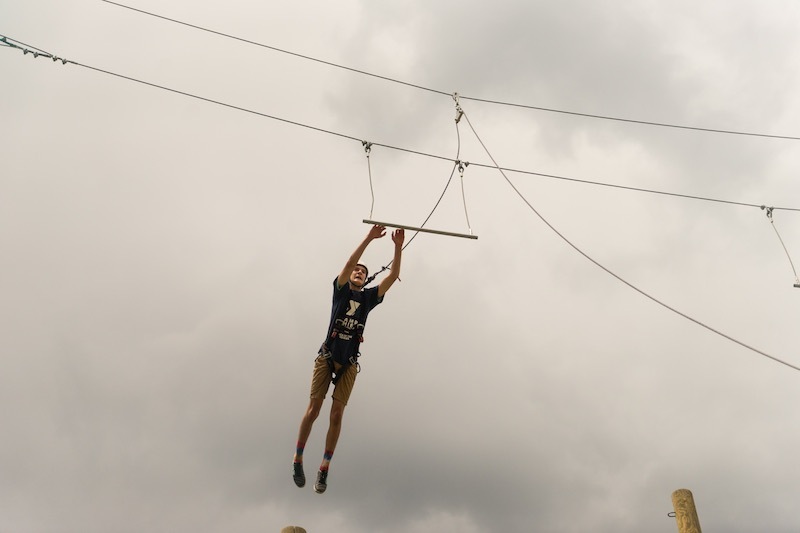 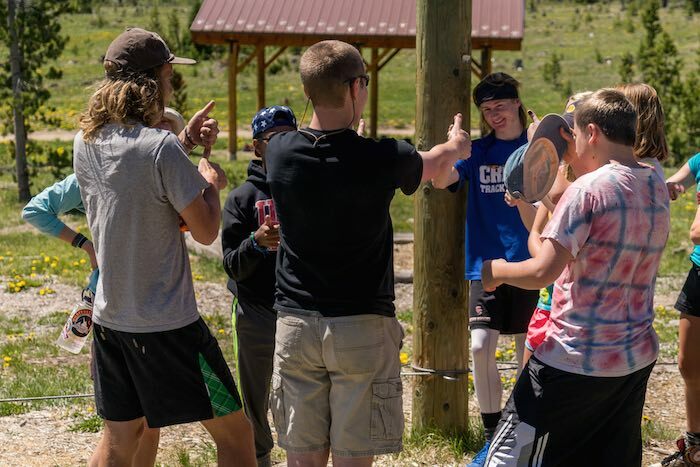 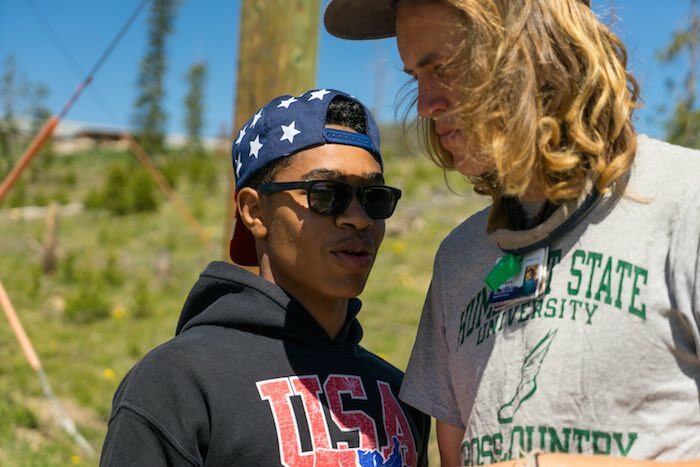 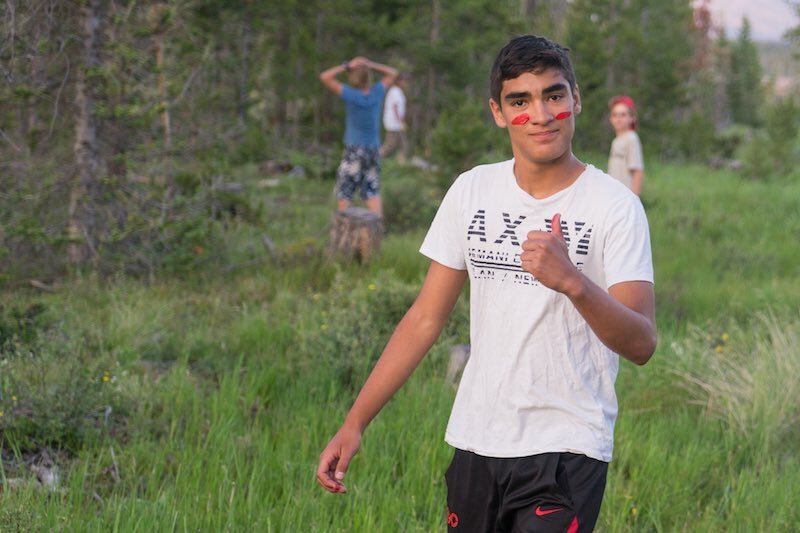 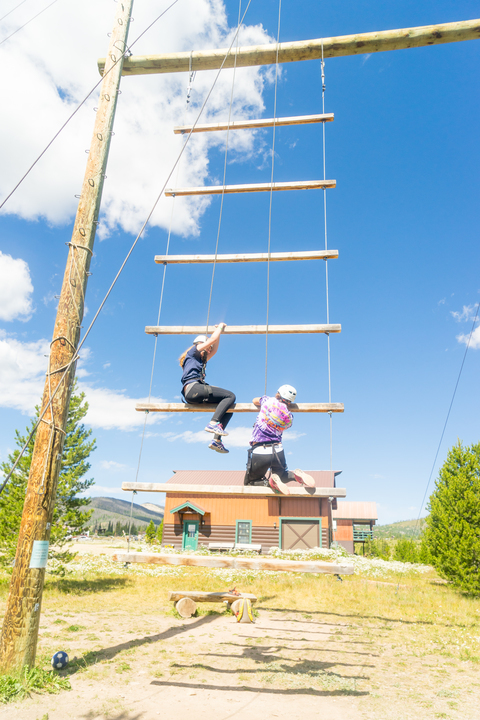 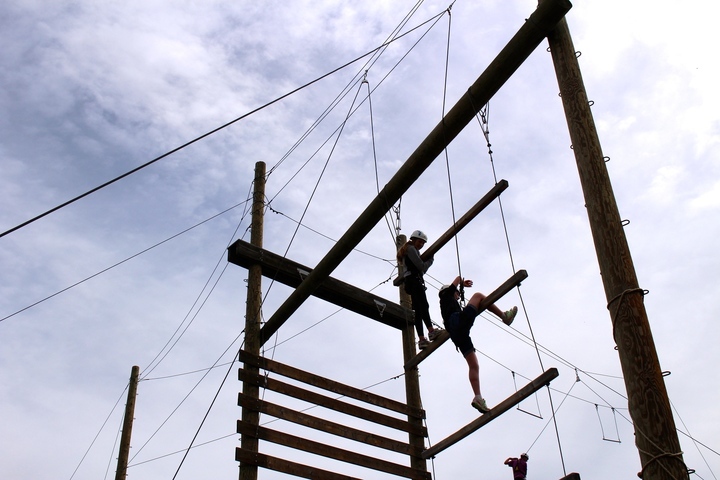 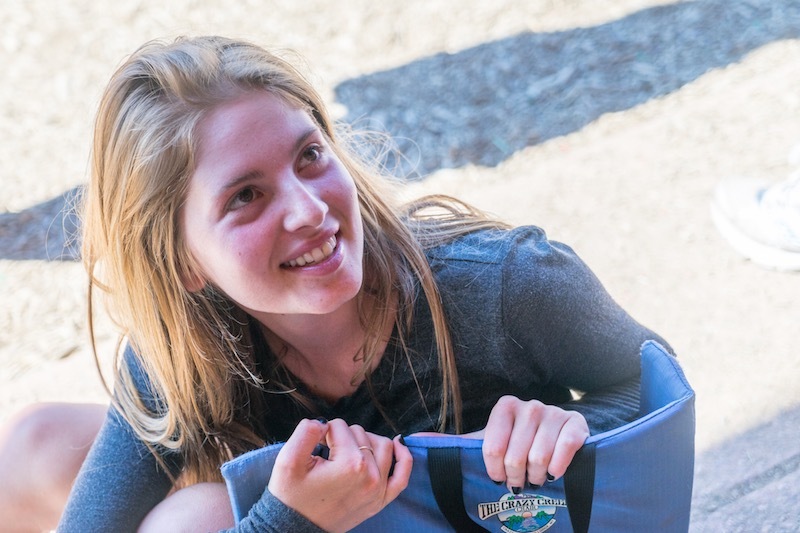 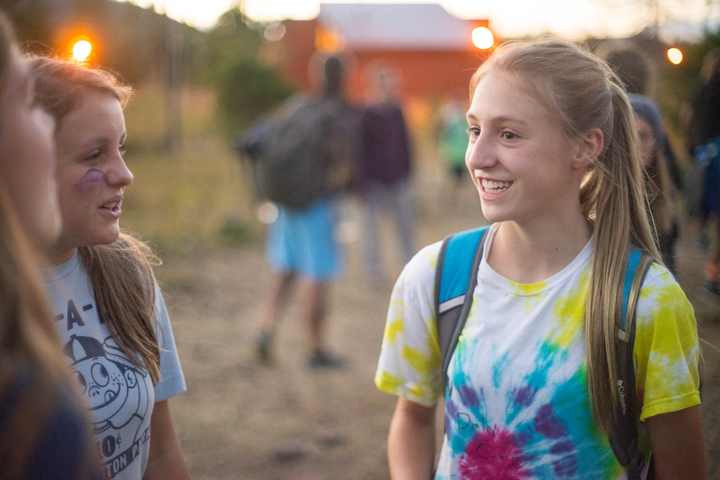 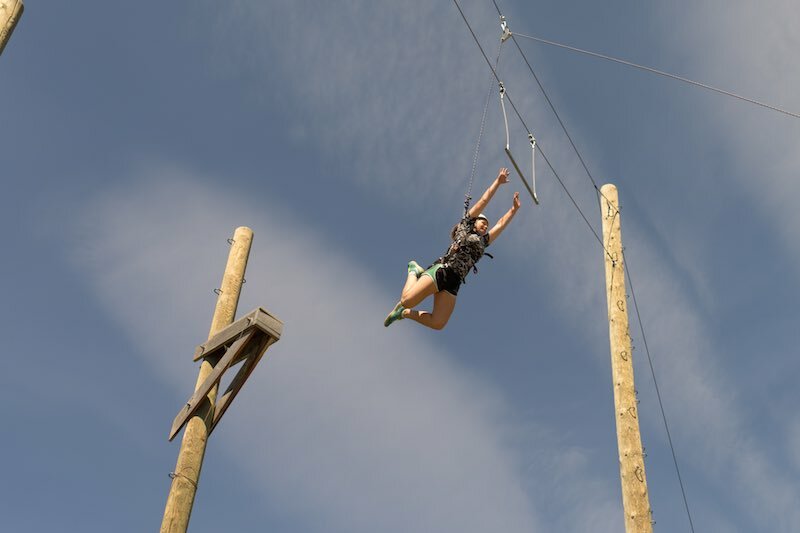 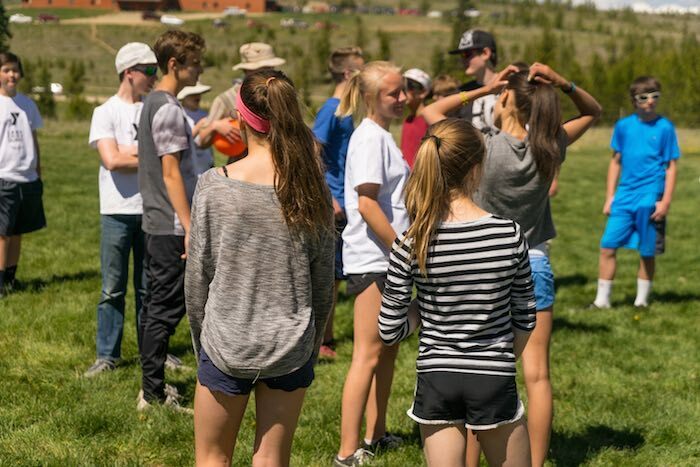 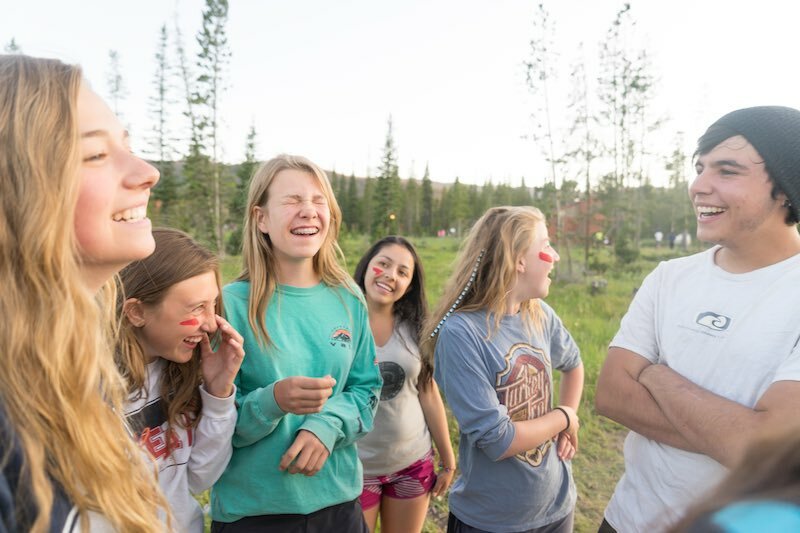 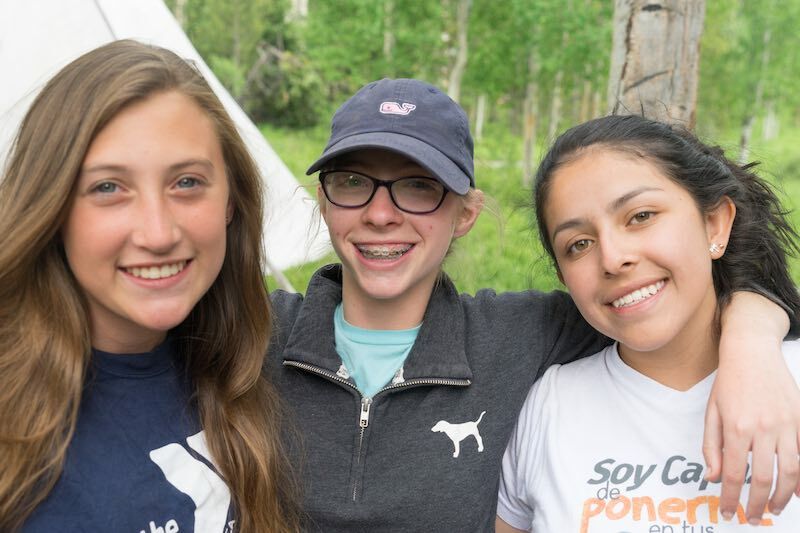 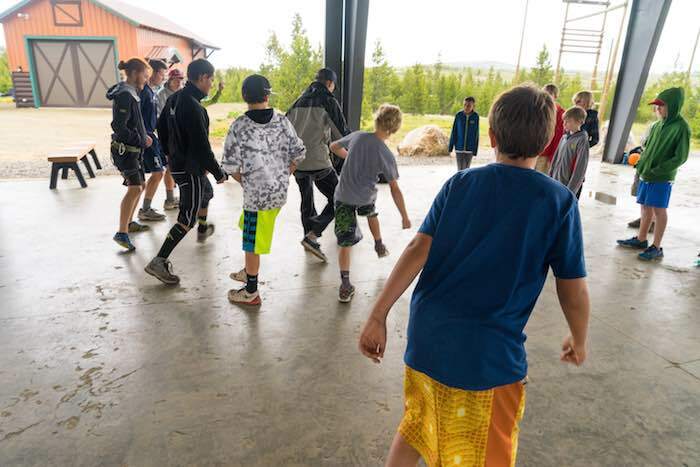 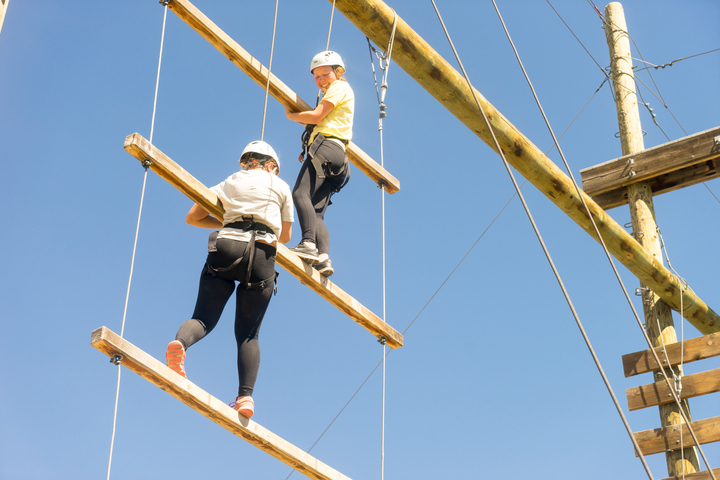 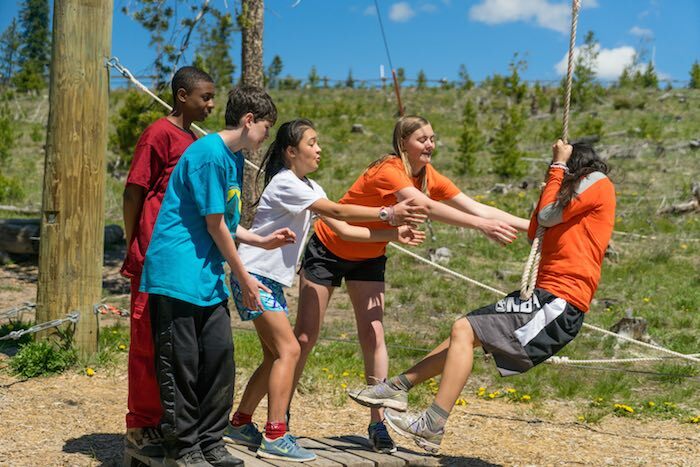 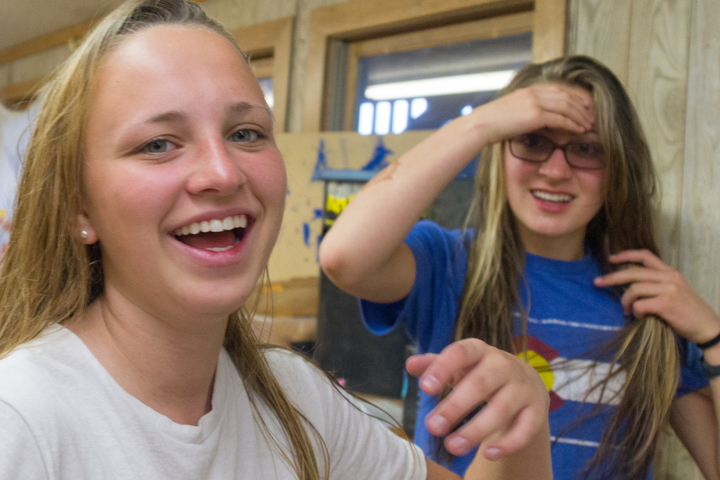 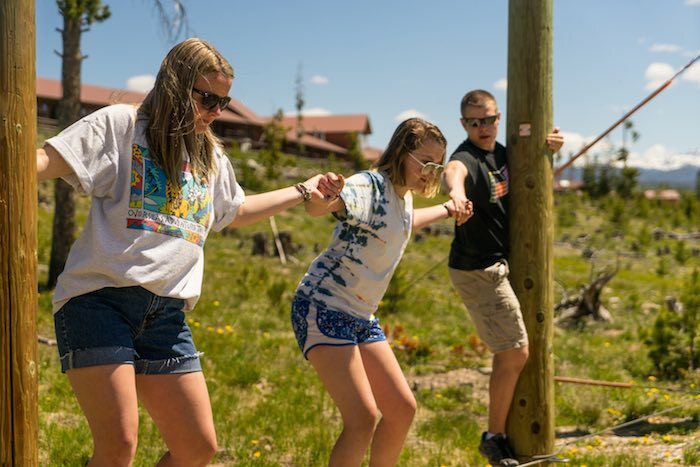 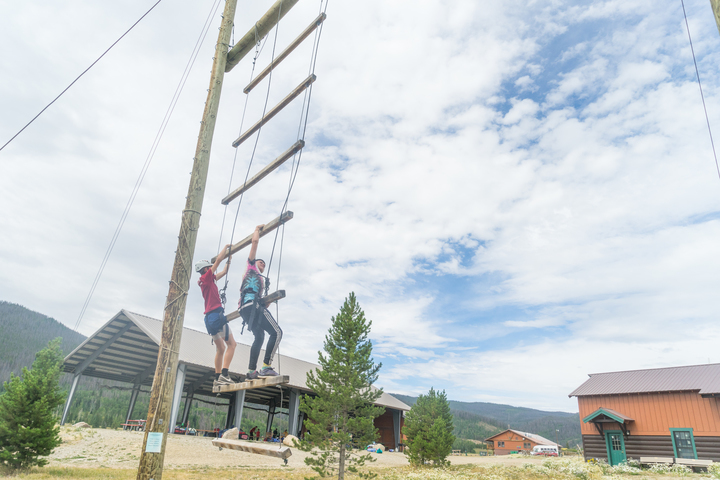 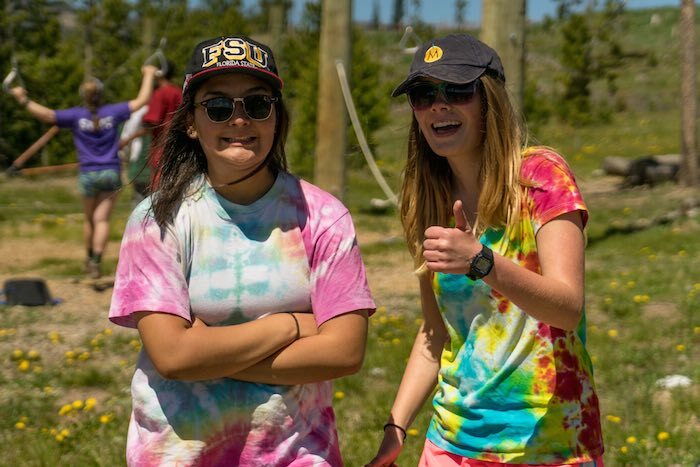 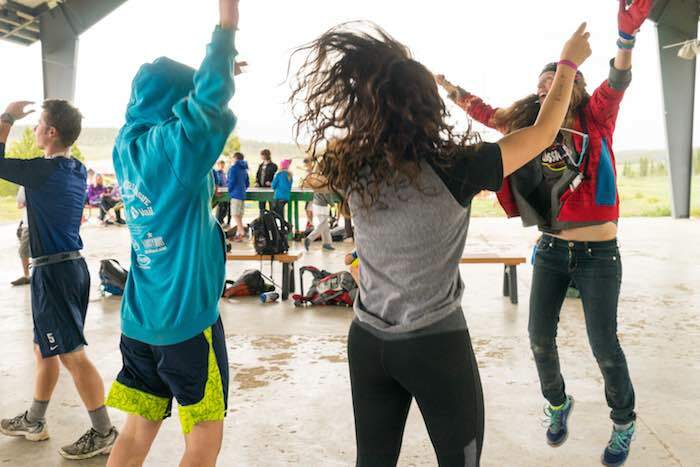 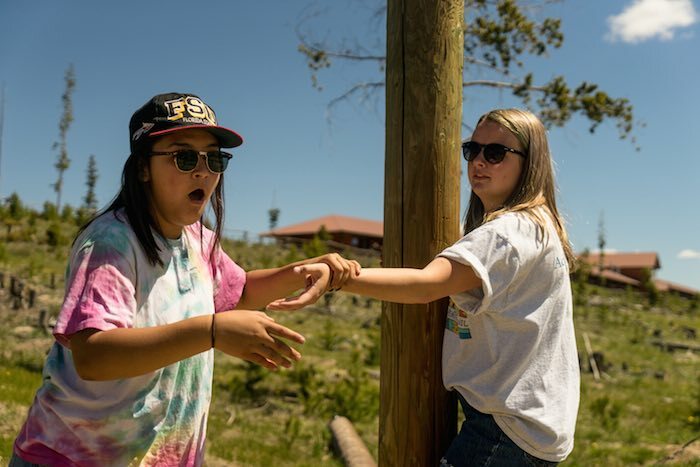 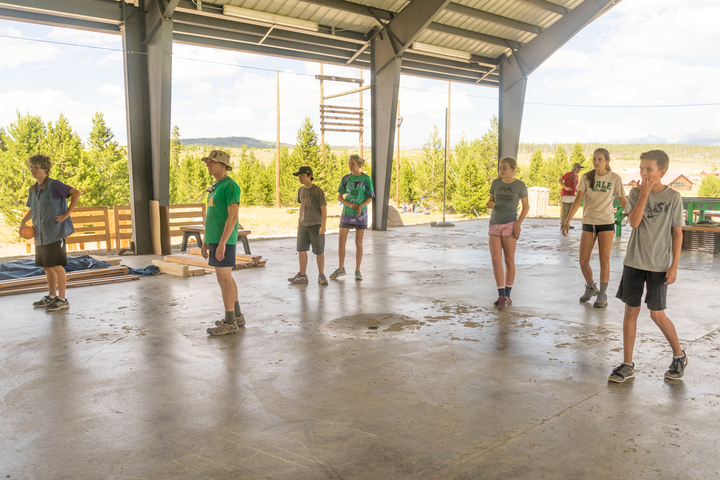 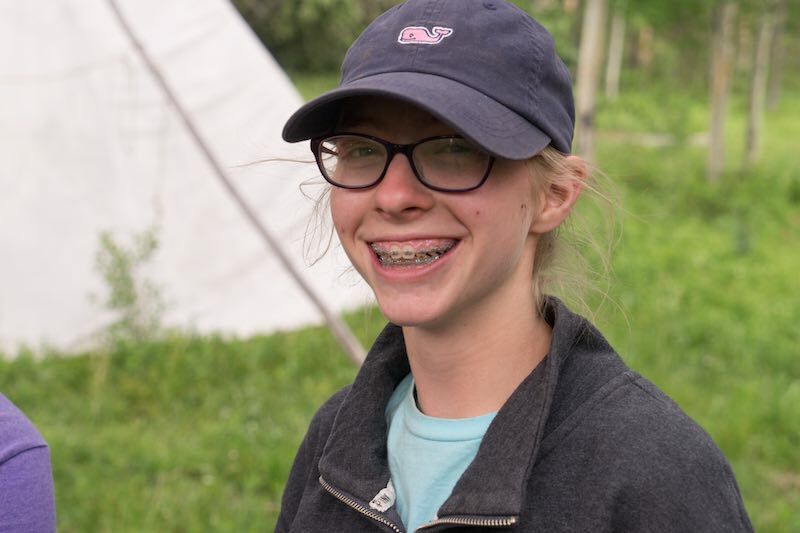 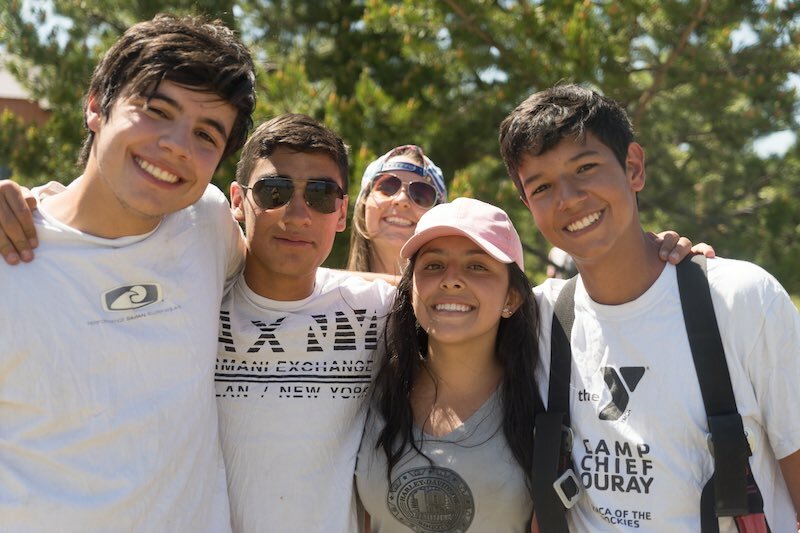 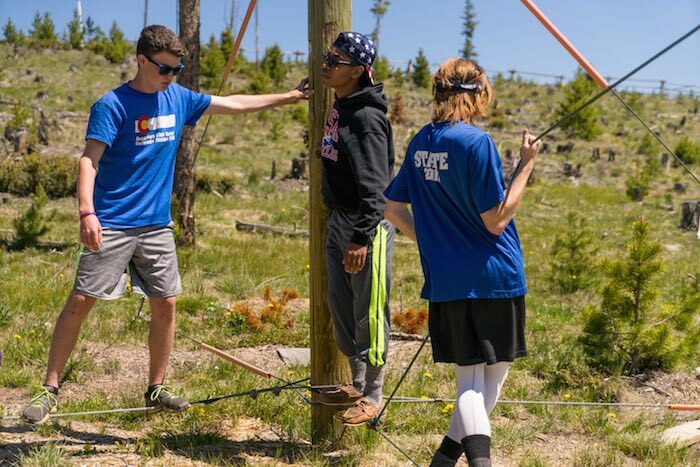 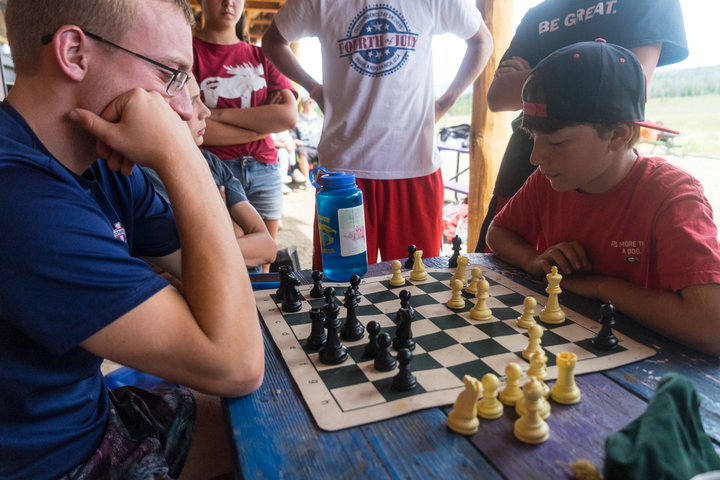 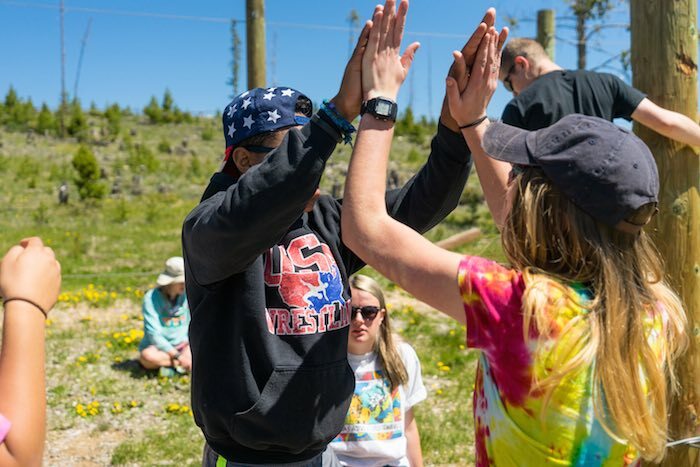 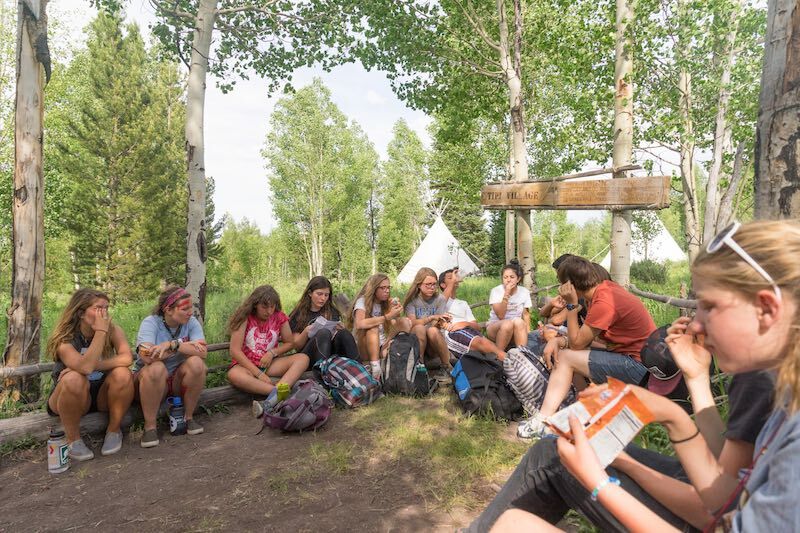 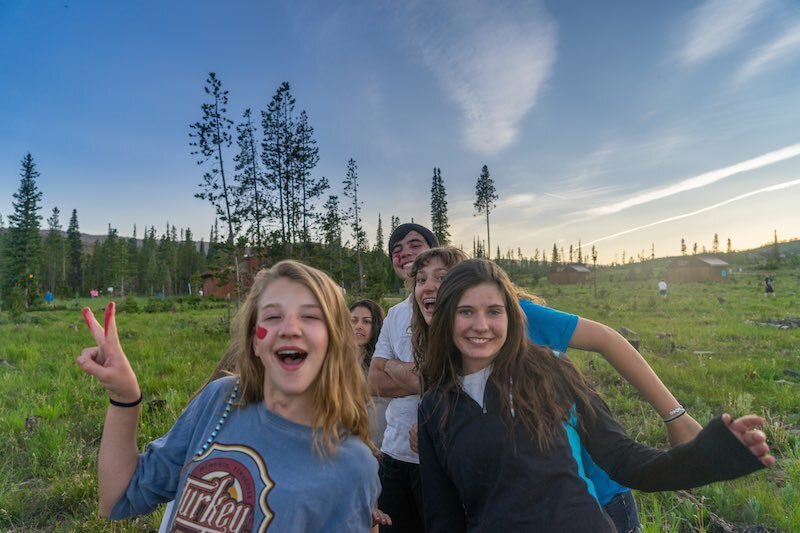 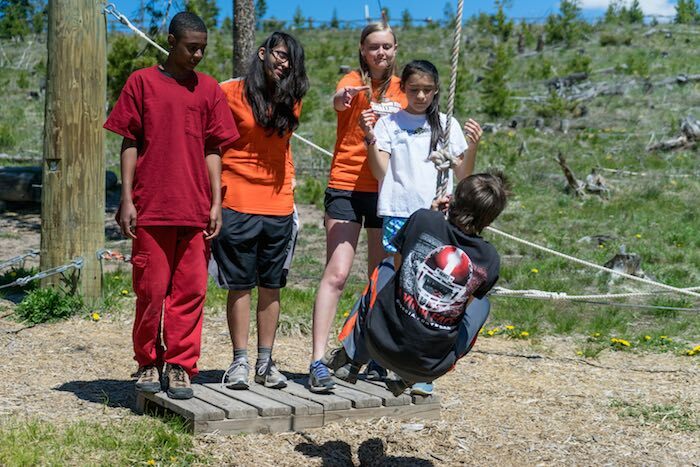 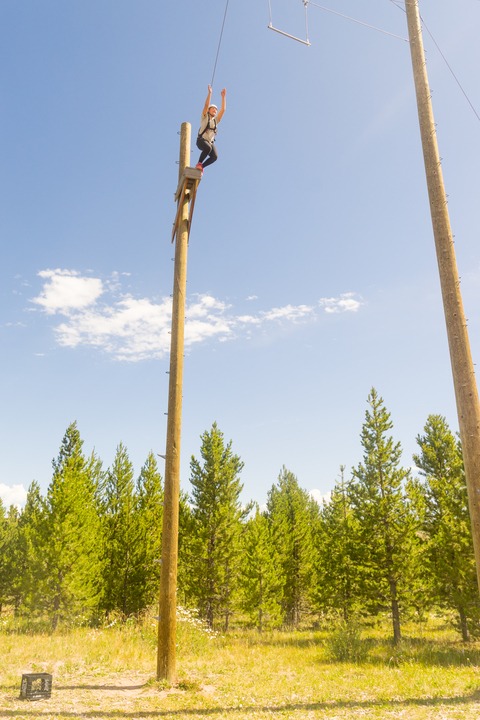 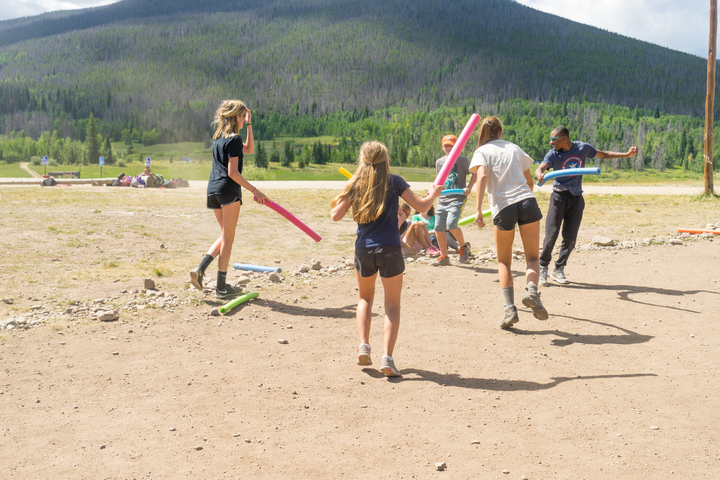 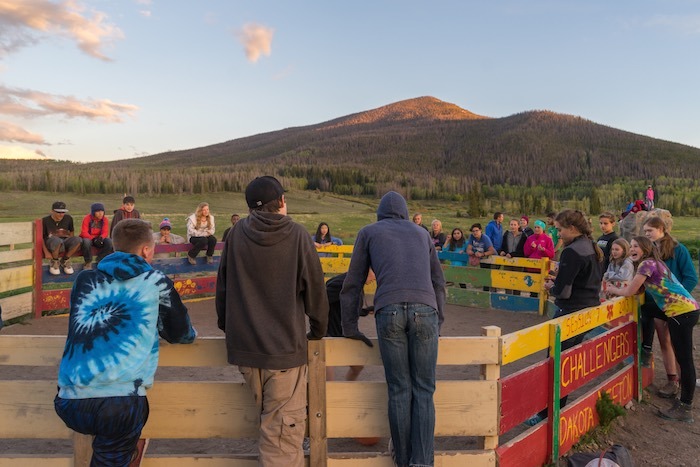 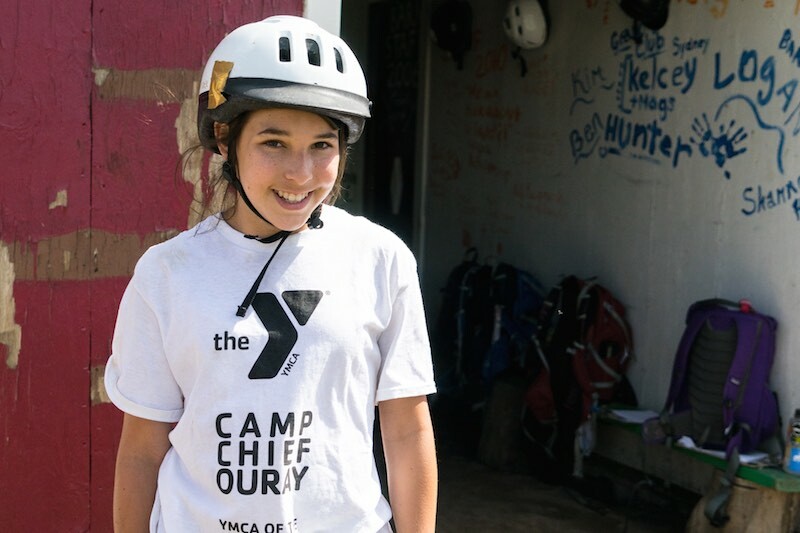 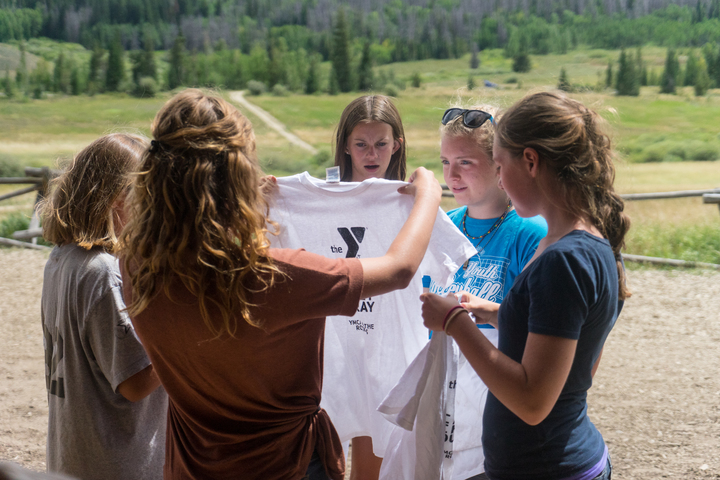 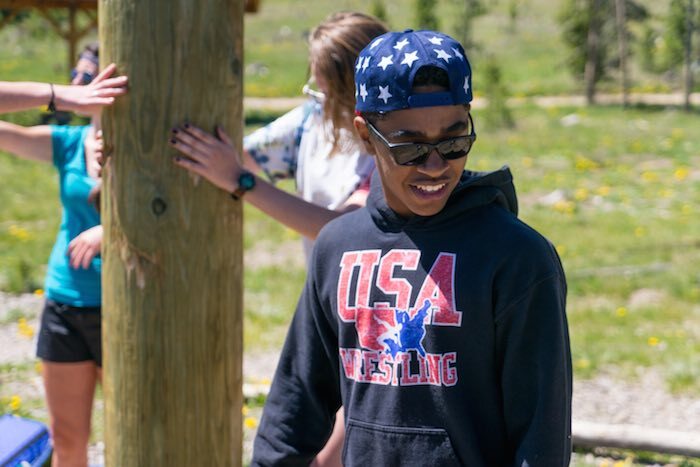 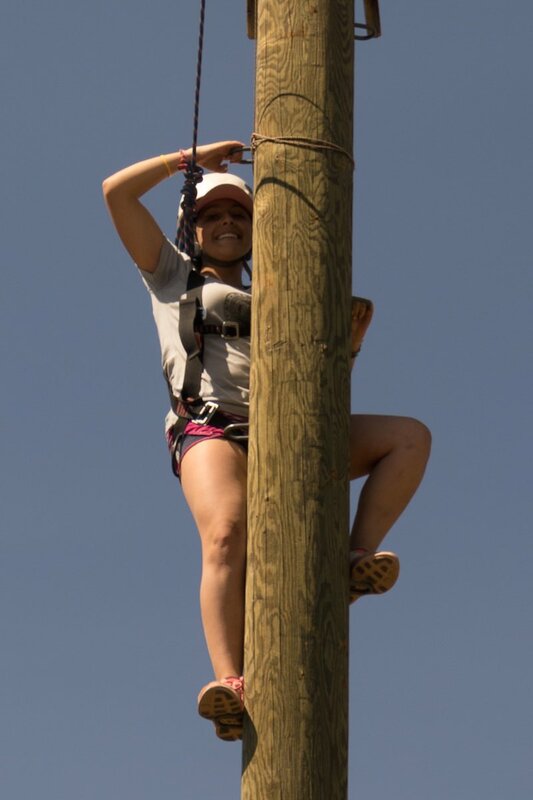 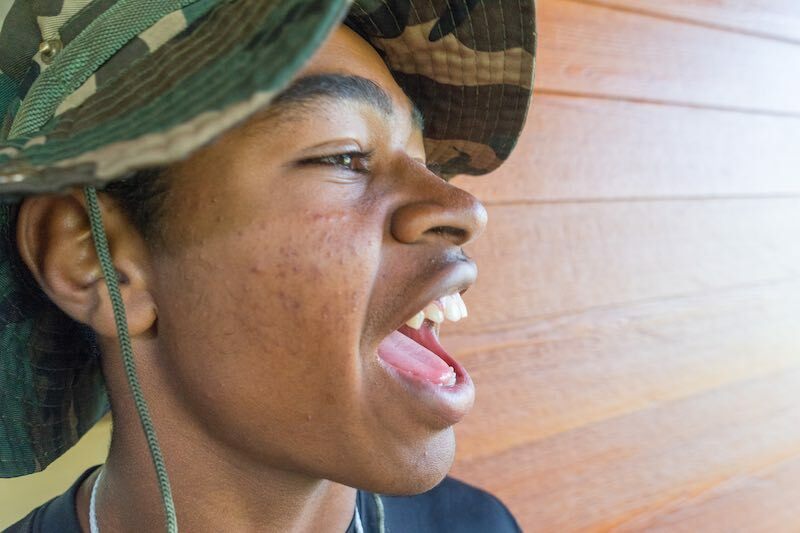 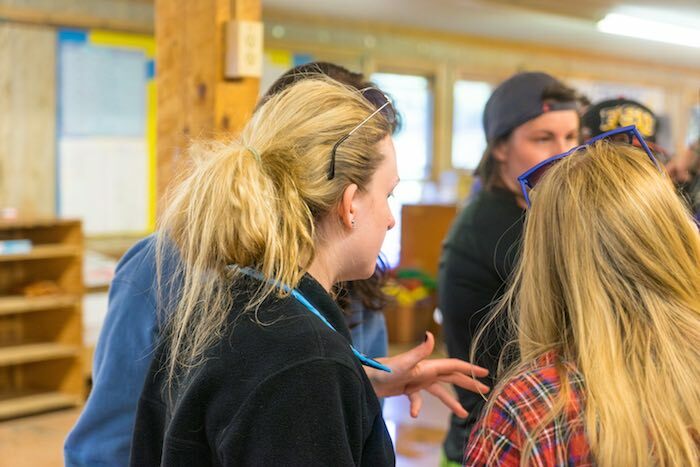 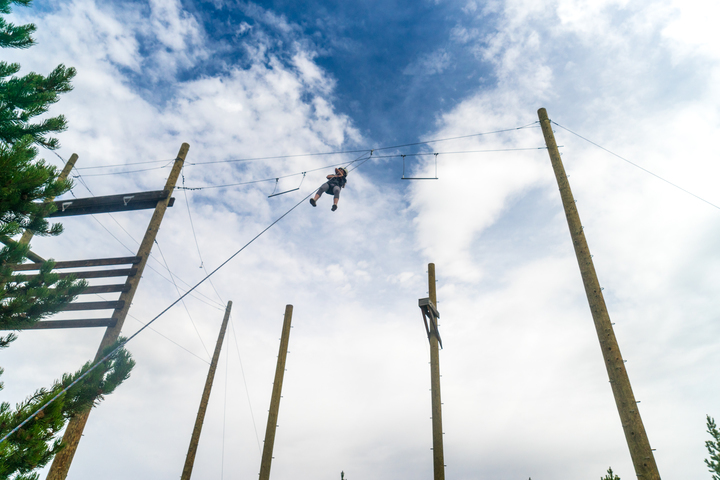 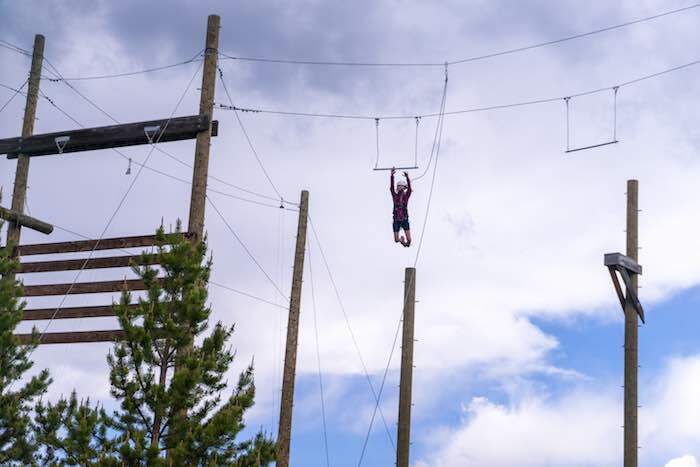 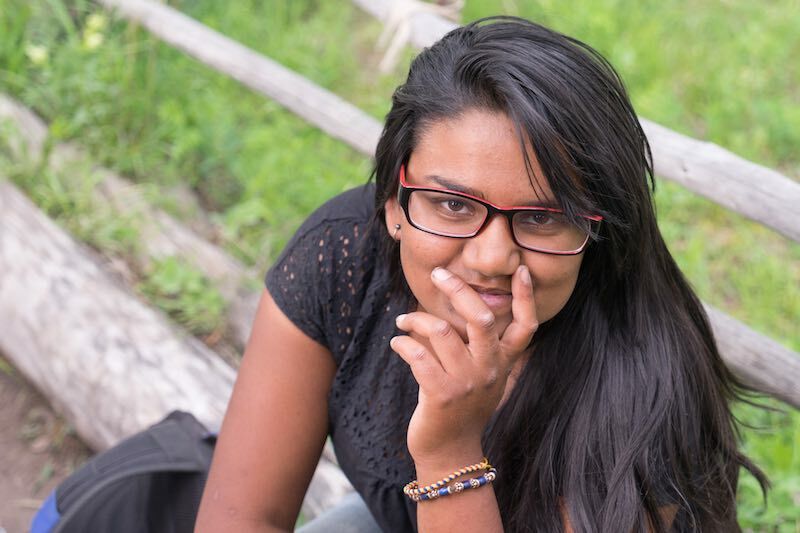 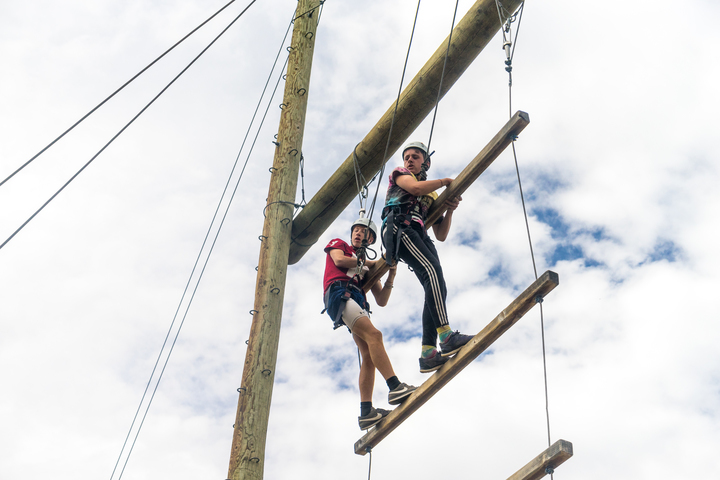 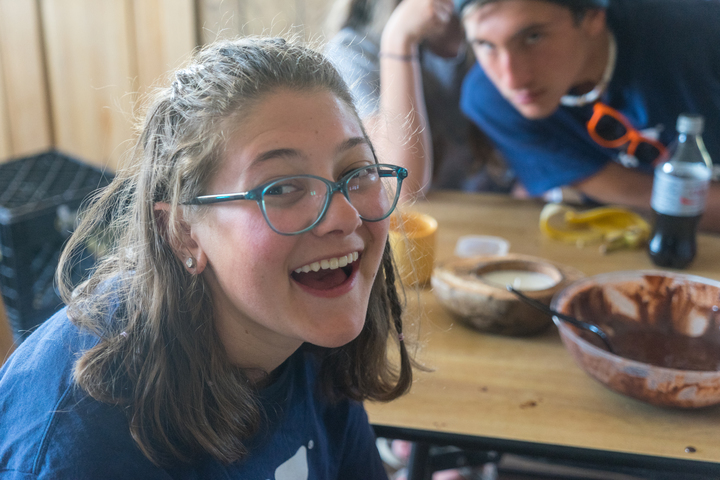 Camp Chief Ouray has many opportunities for teens between 15 and 18 to gain valuable leadership skills while participating in activities at camp and/or in the wilderness. 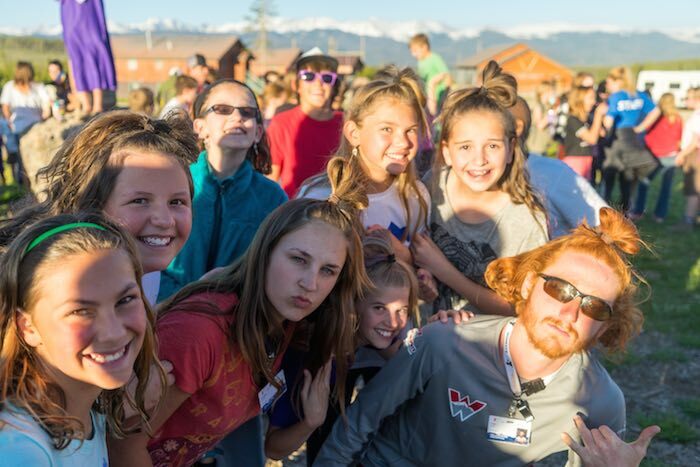 To Learn More about any of these camps please follow the links in the “More Info” tab to the left.